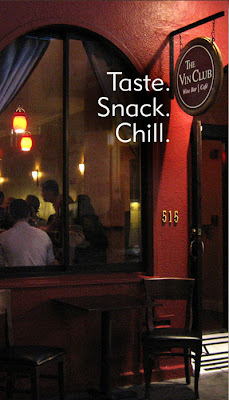 F3--Fast French Food; Oh! 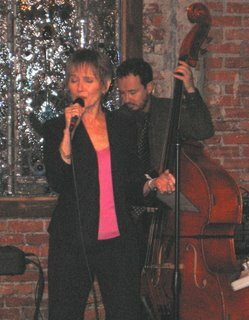 La, la! Thank you Peter Bohns for the photos and all your help. 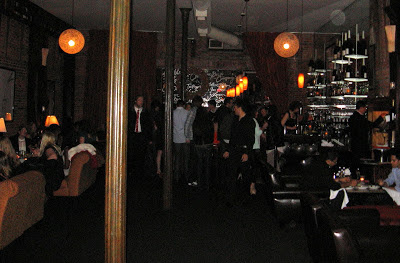 City regs caused us to be moved inside. 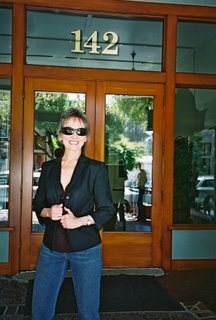 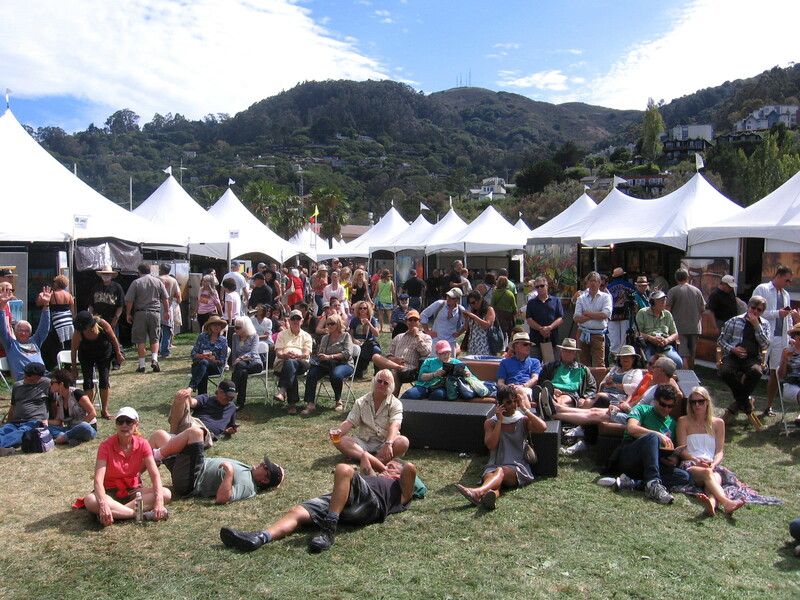 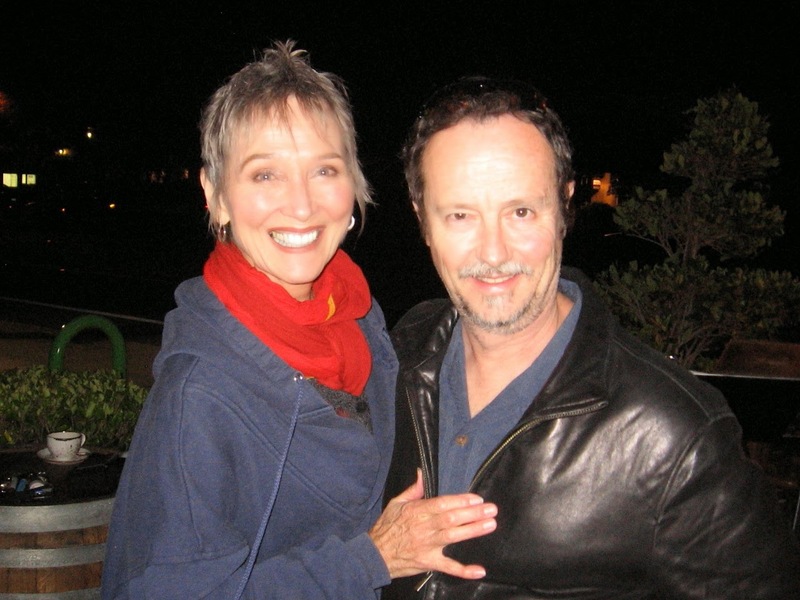 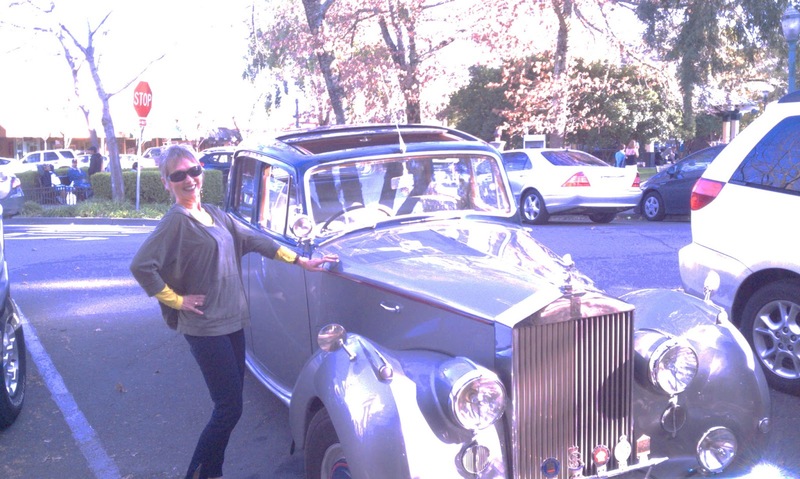 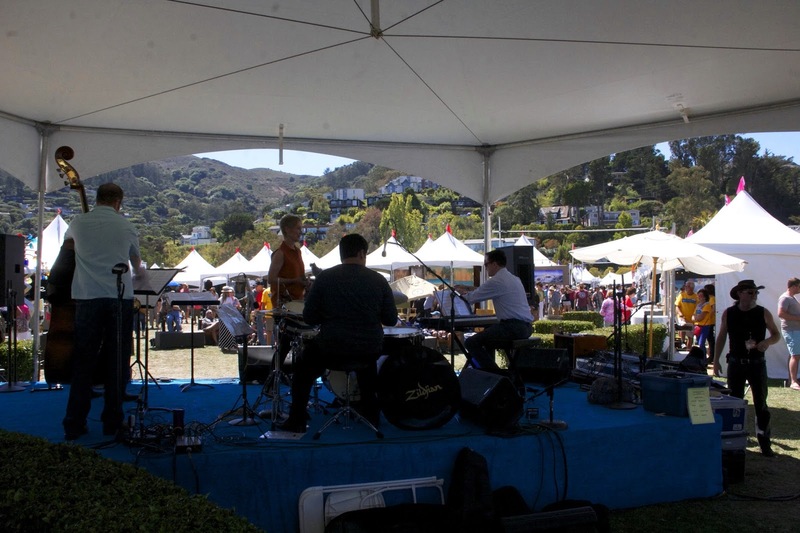 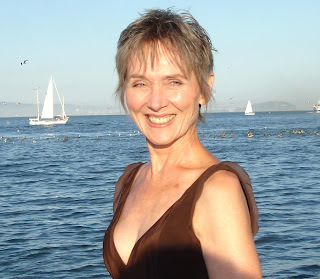 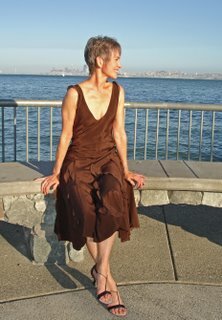 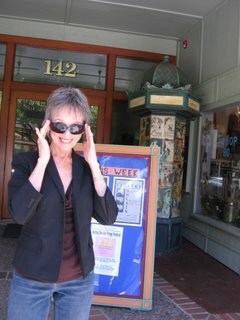 Deep in the heart of Tiburon, California; outside in the sunny late afternoon sun. 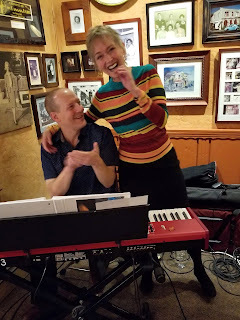 With Greg, making music is beautiful. 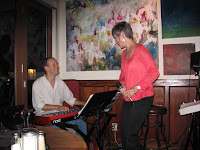 Mike Stone, Mgr of the Trident, singing a couple of tunes in his beautiful voice. 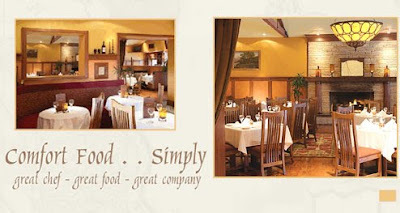 What a range! 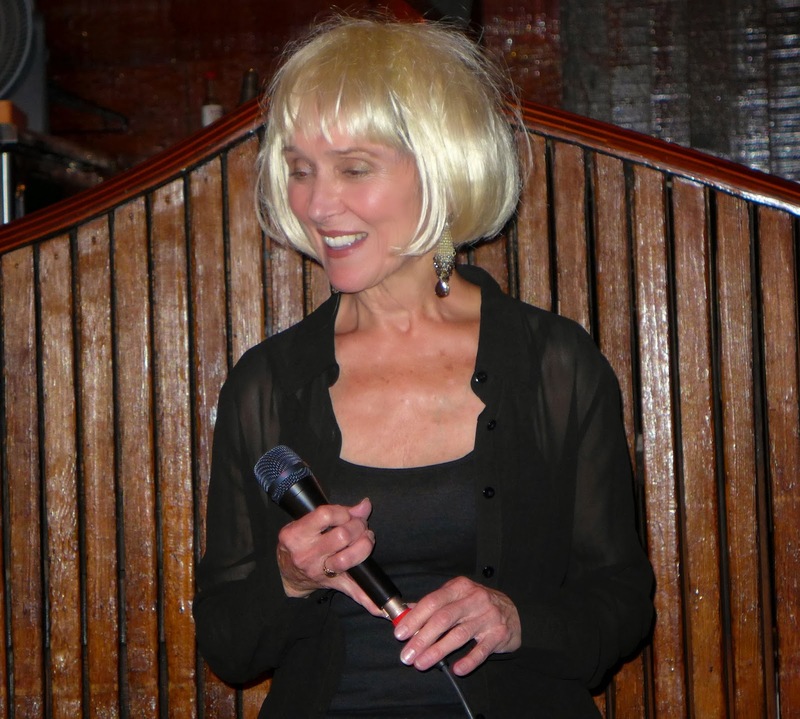 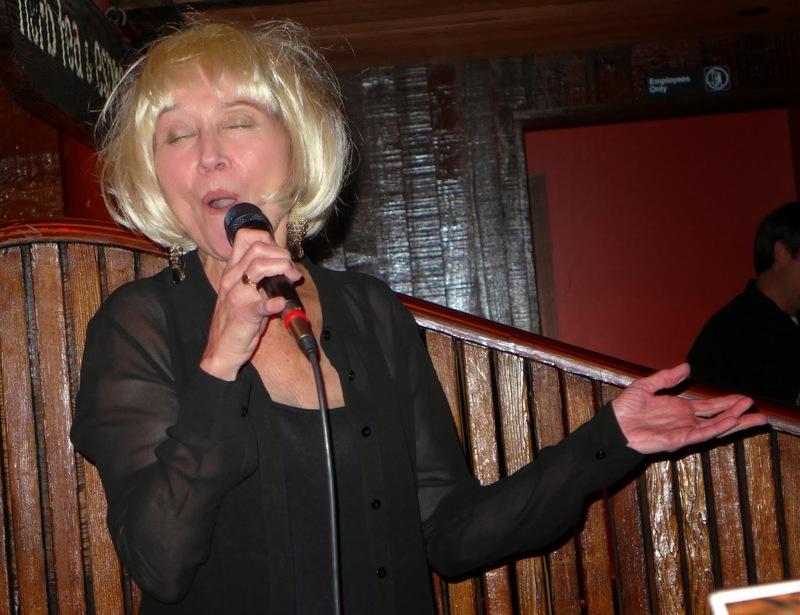 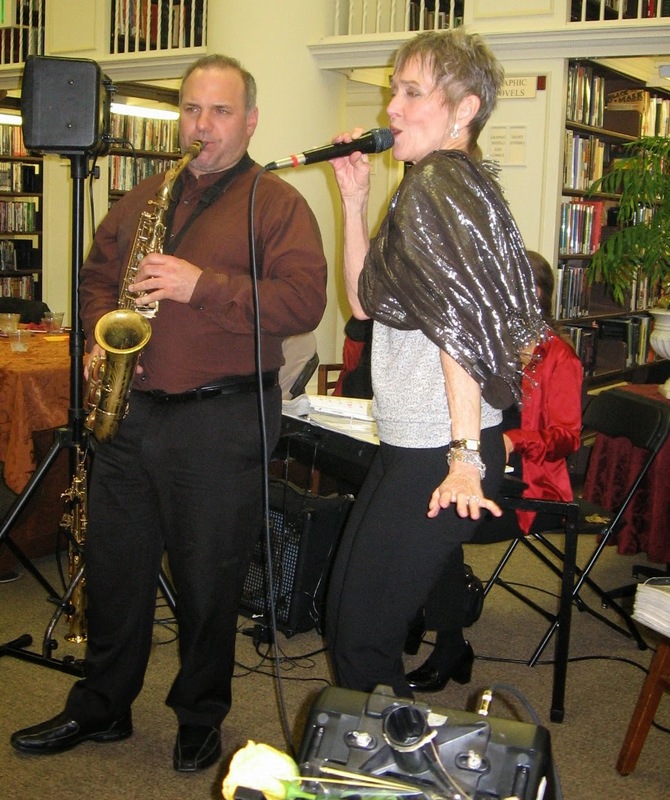 The "blonde" appeared and sang "Kiss"
Jazz is about the music! 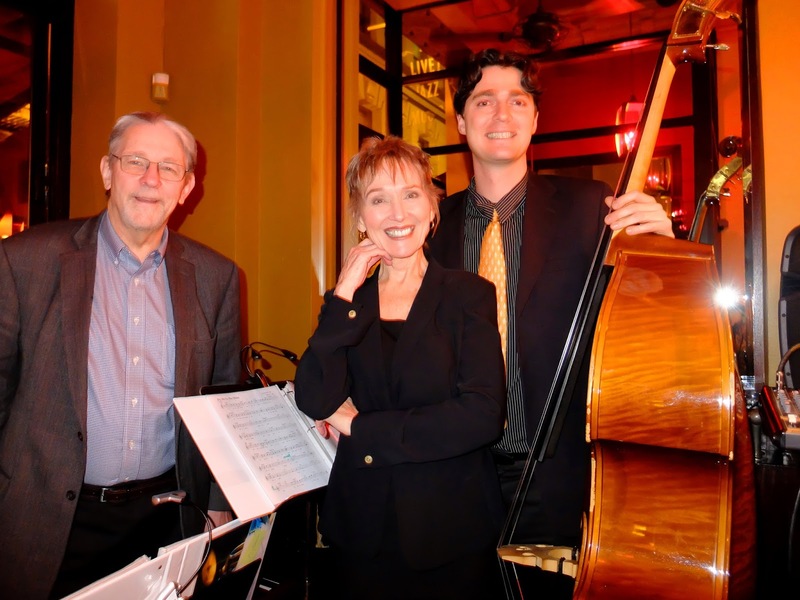 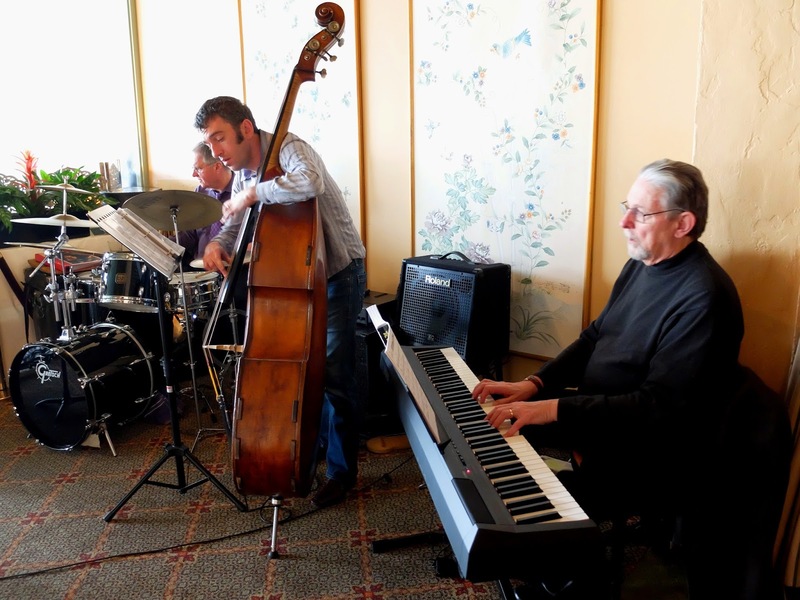 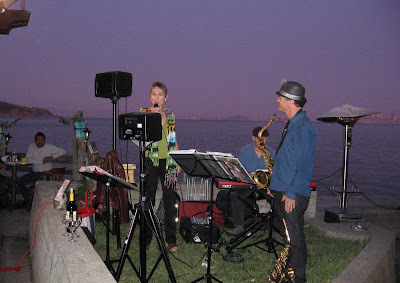 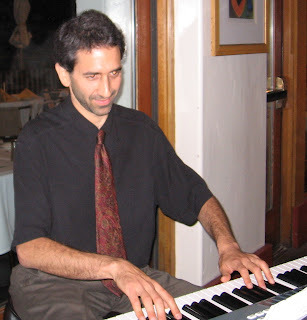 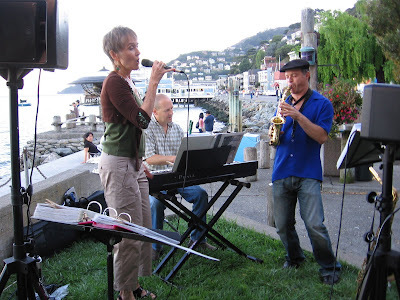 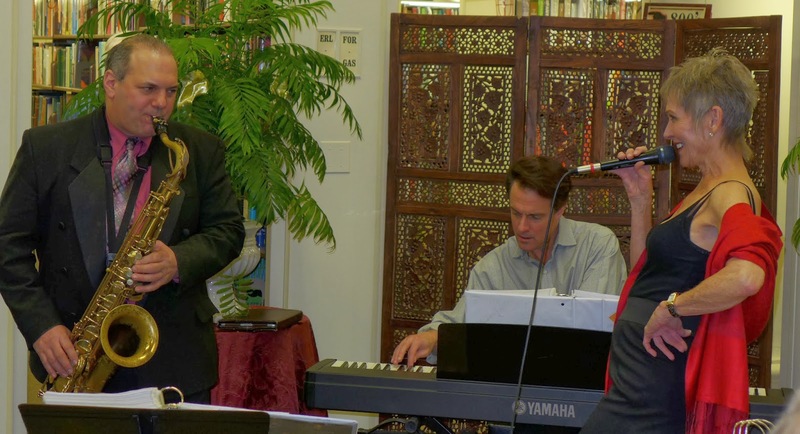 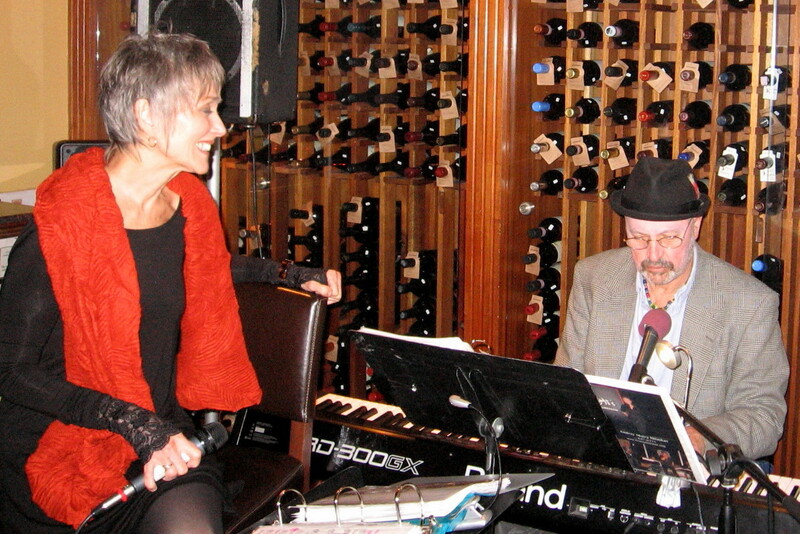 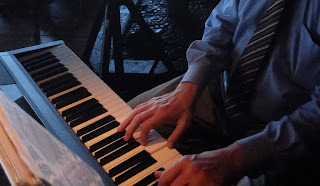 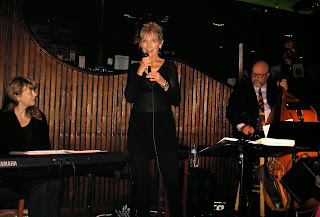 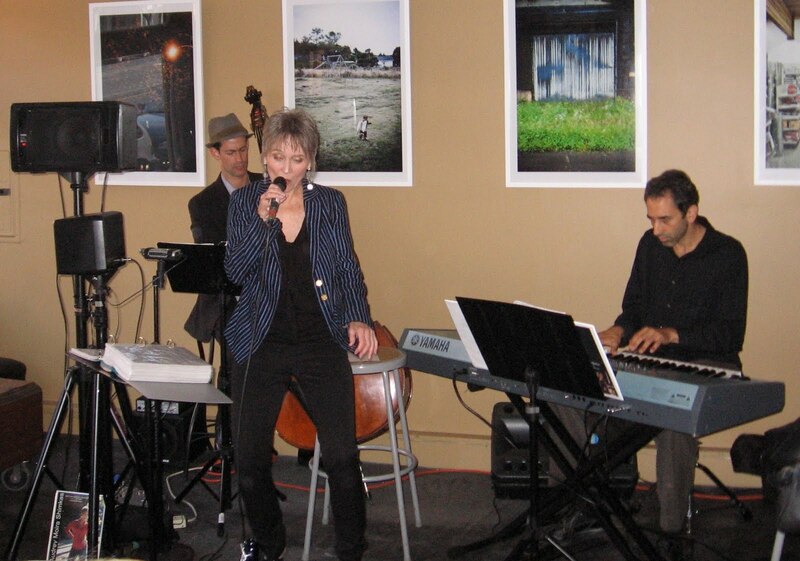 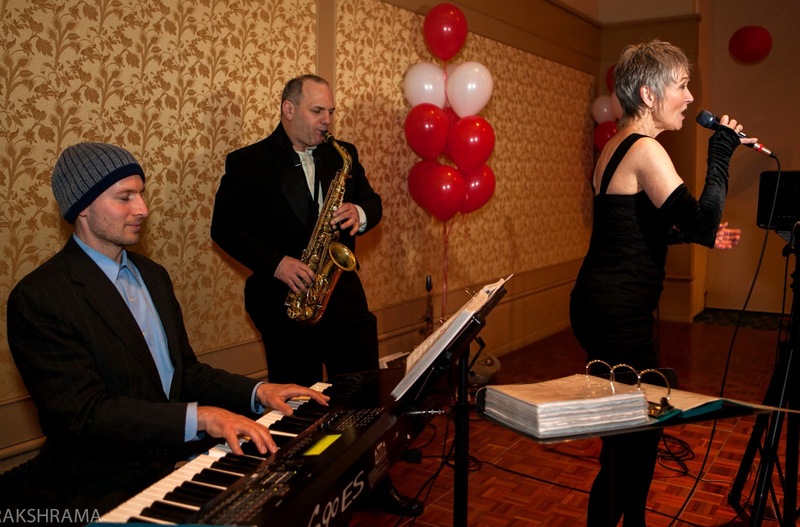 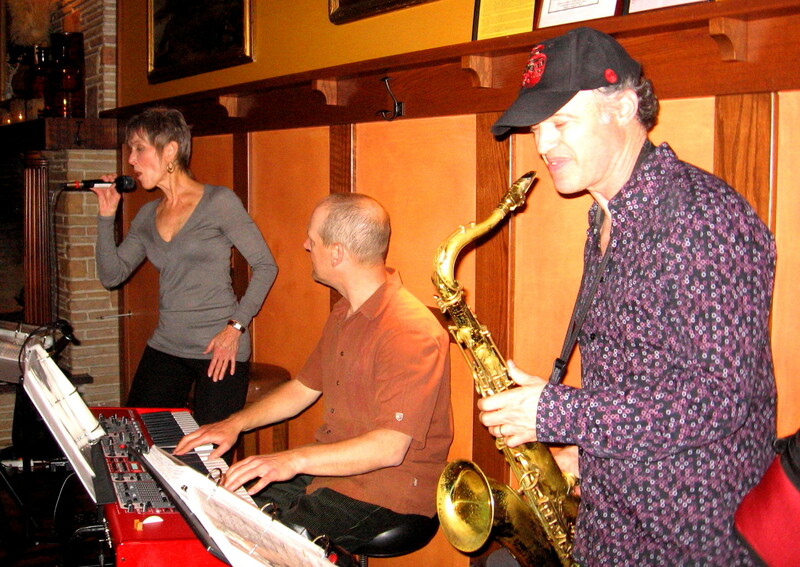 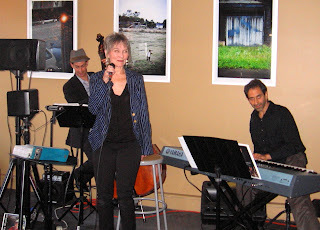 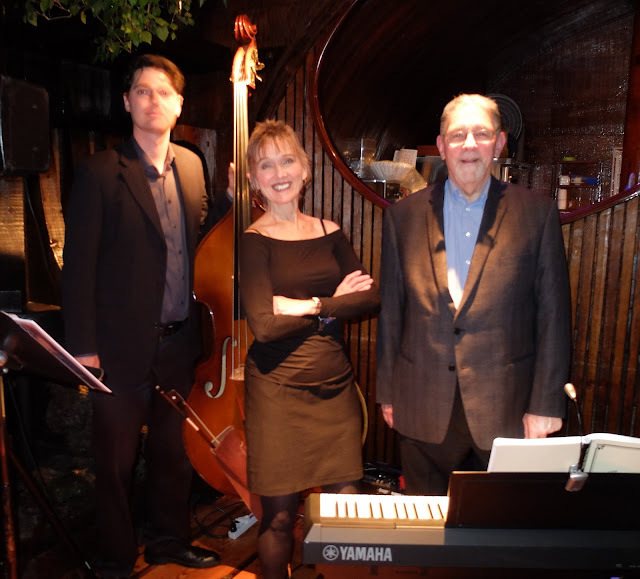 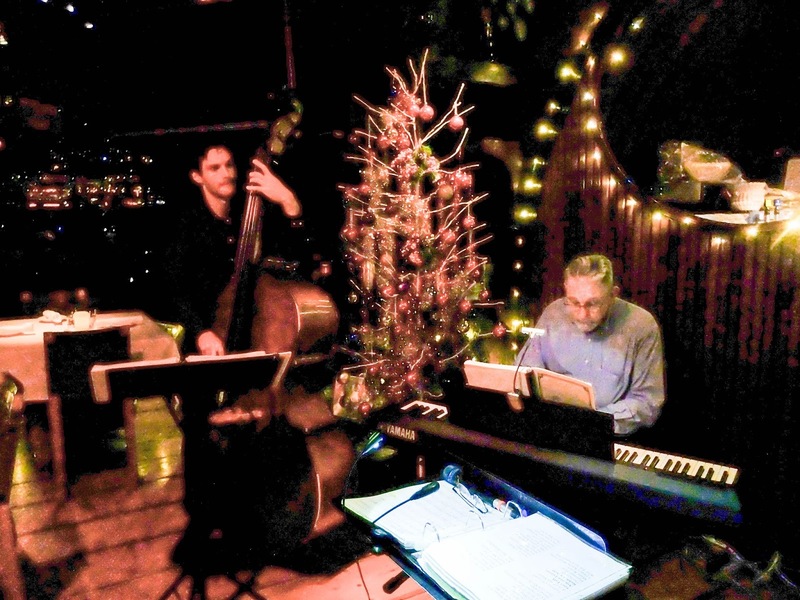 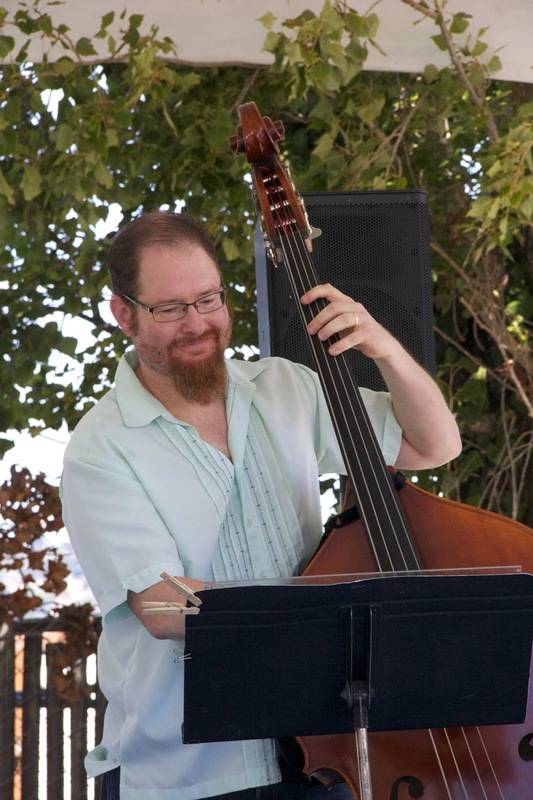 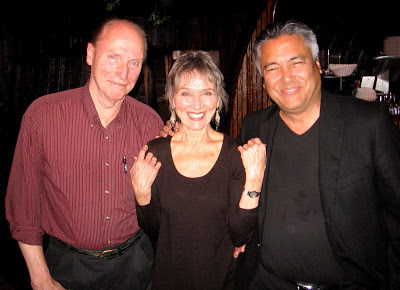 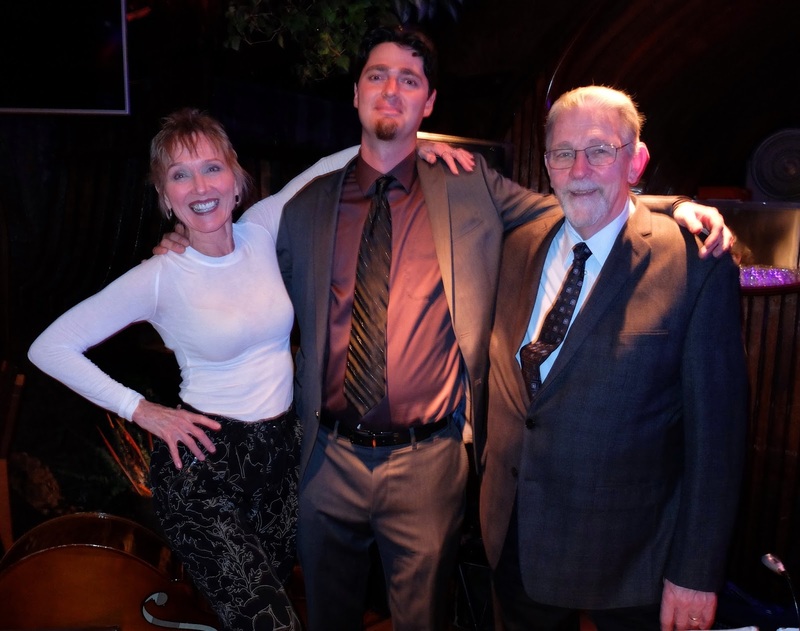 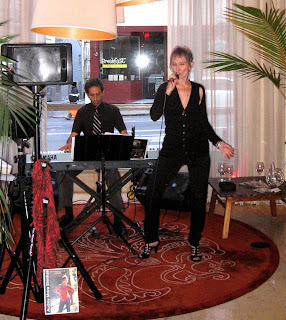 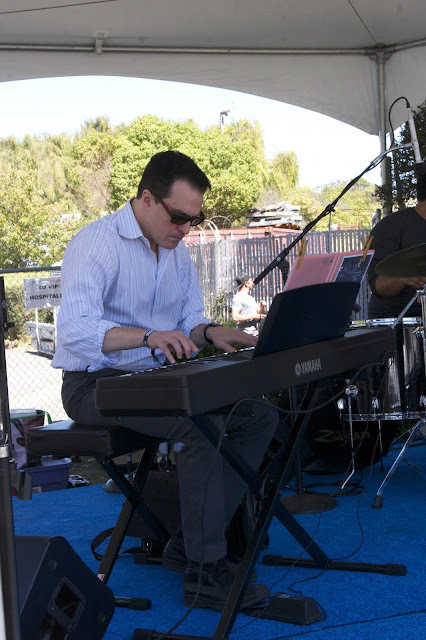 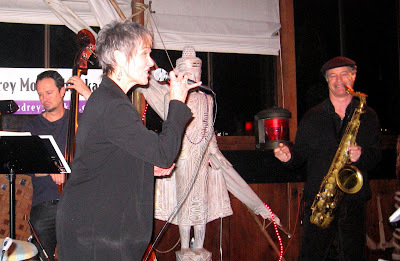 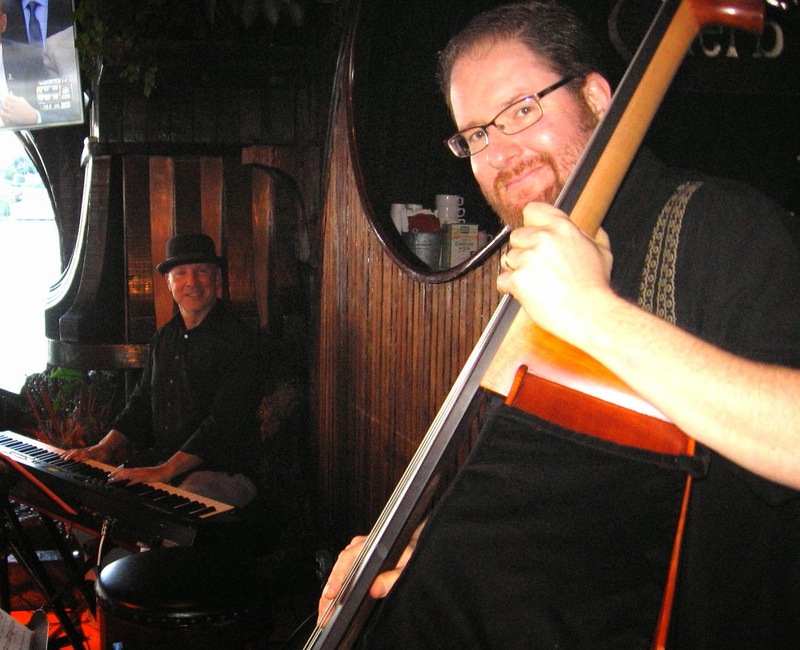 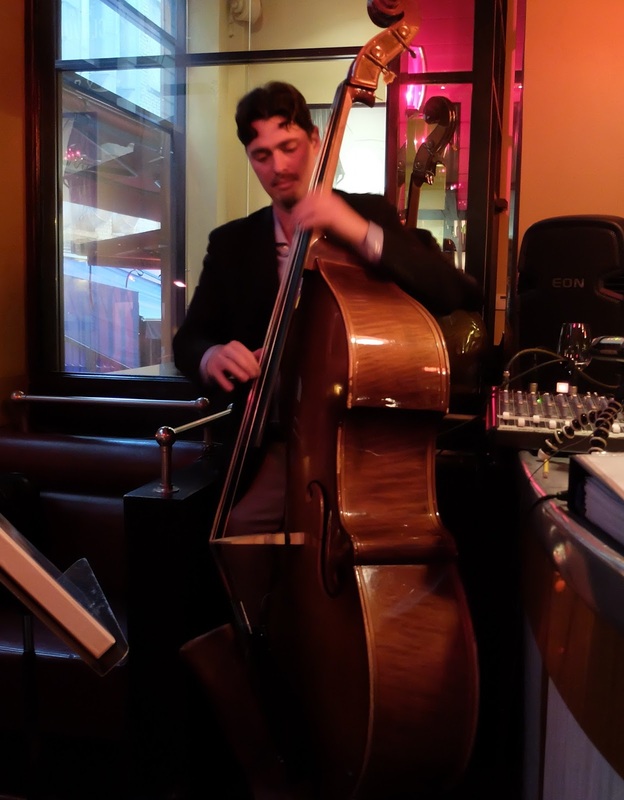 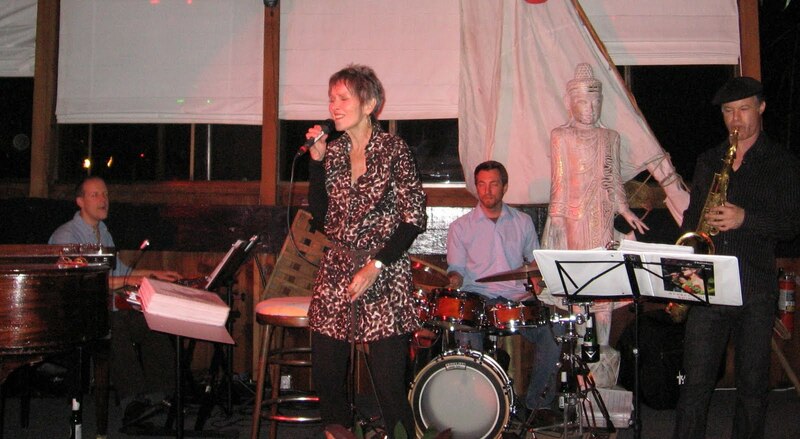 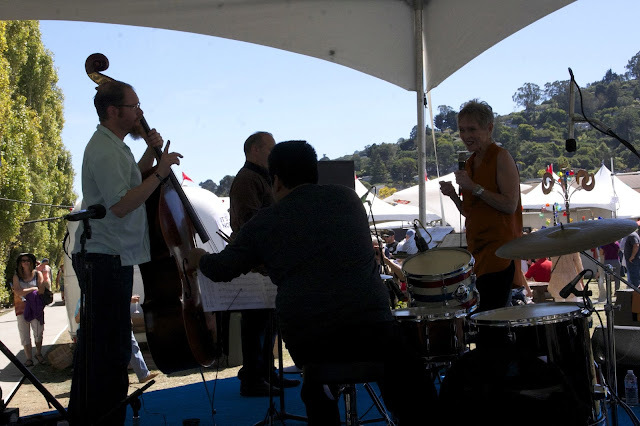 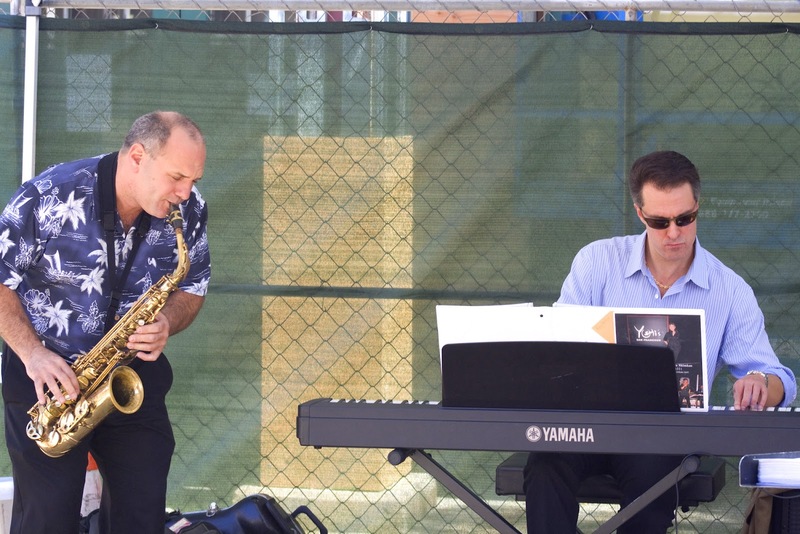 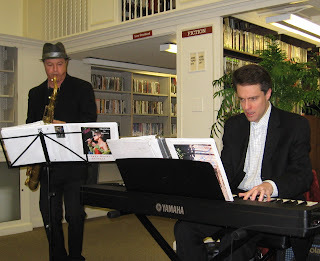 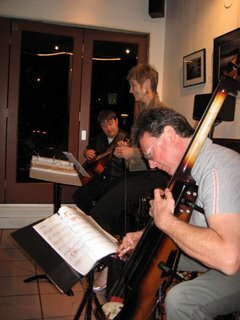 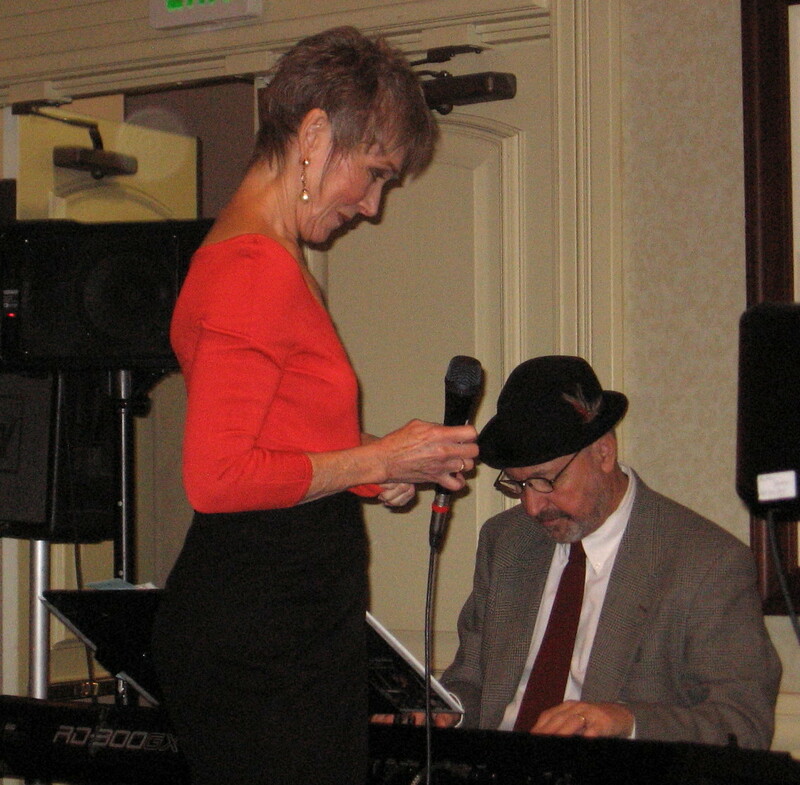 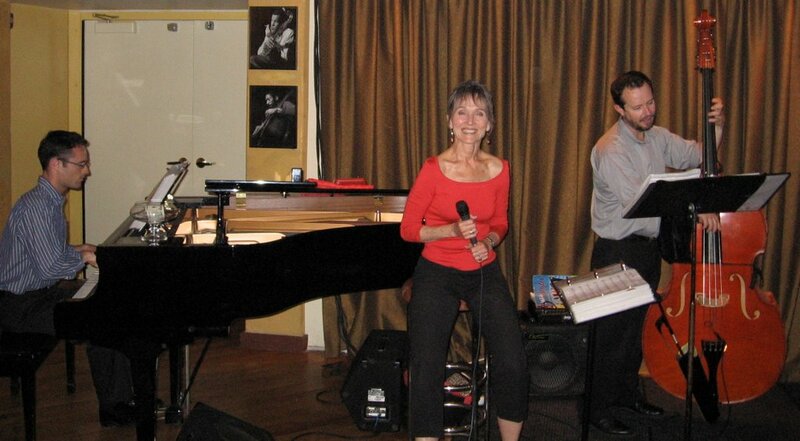 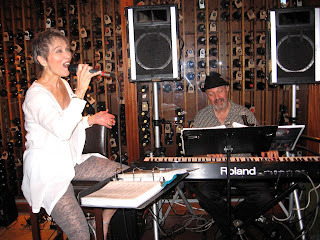 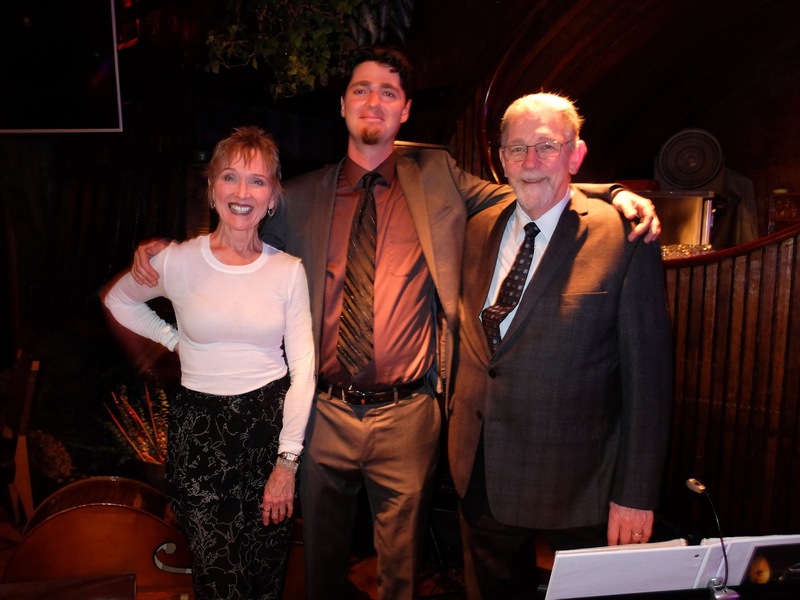 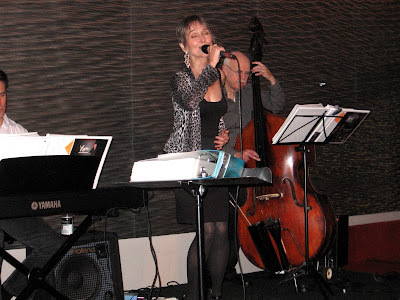 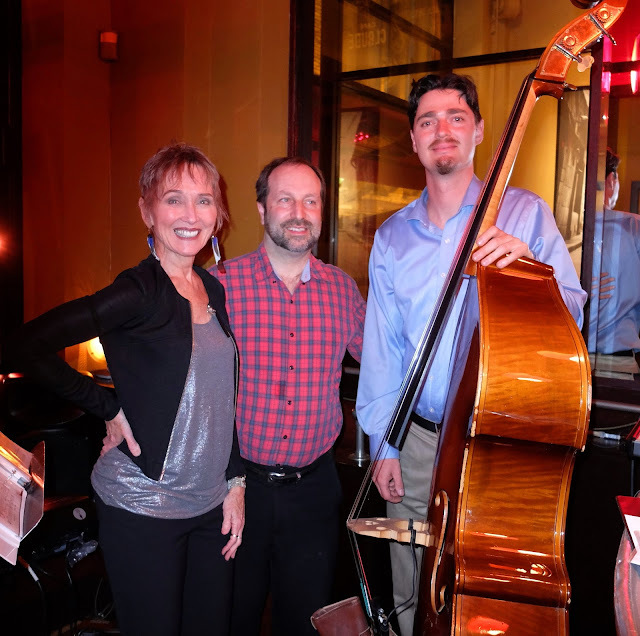 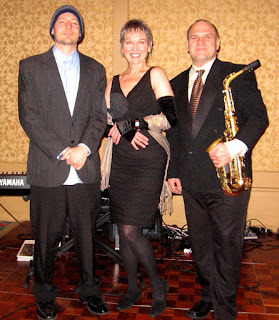 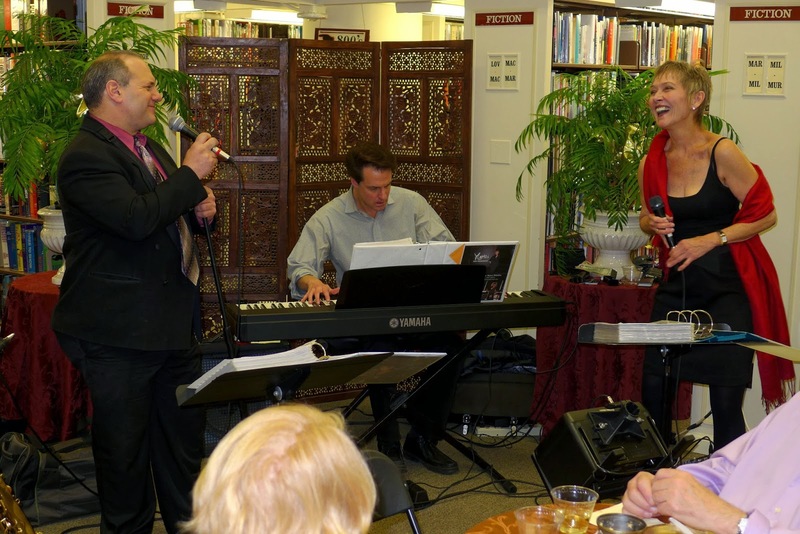 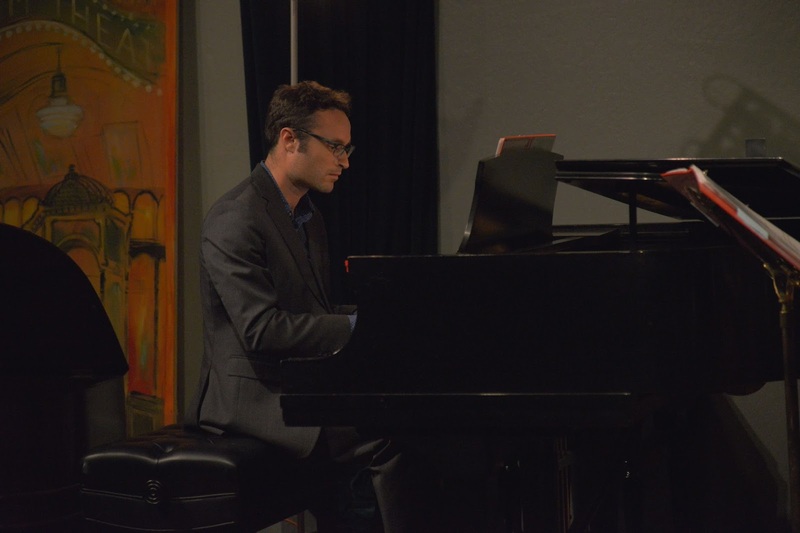 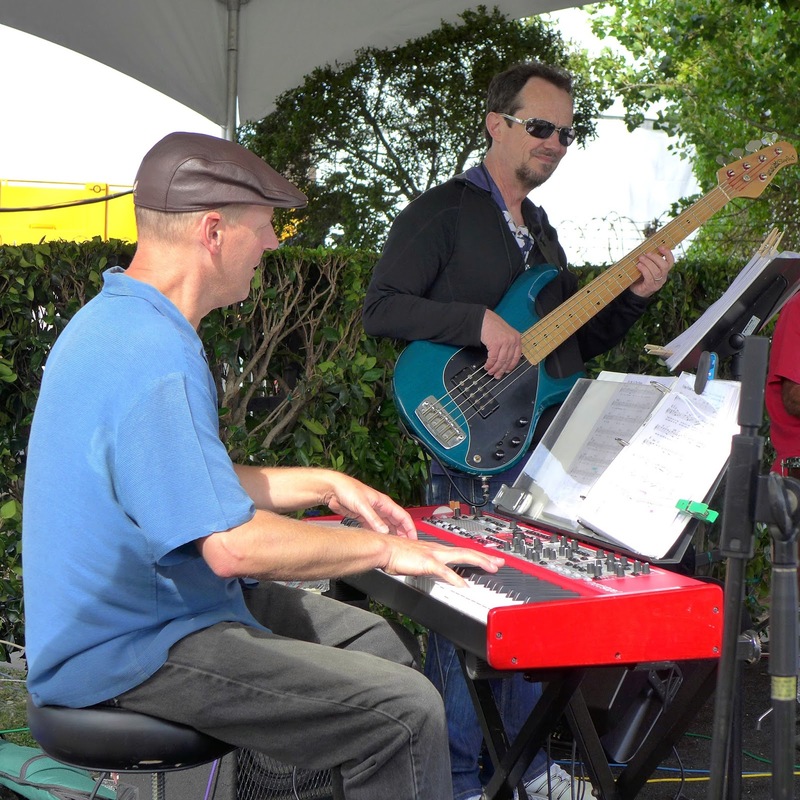 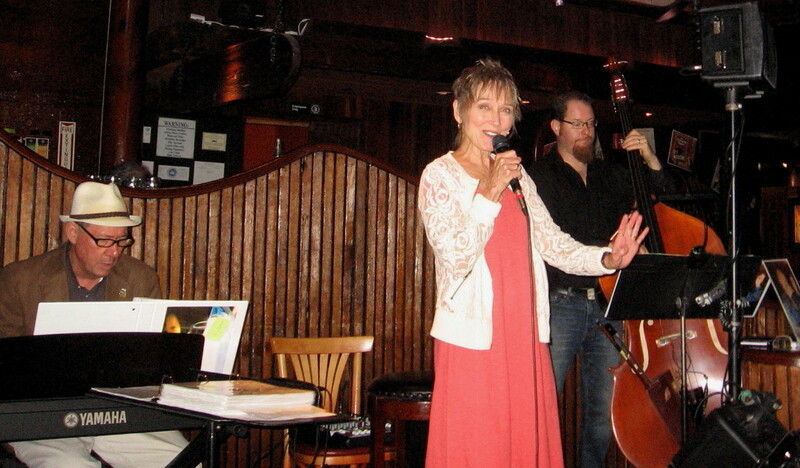 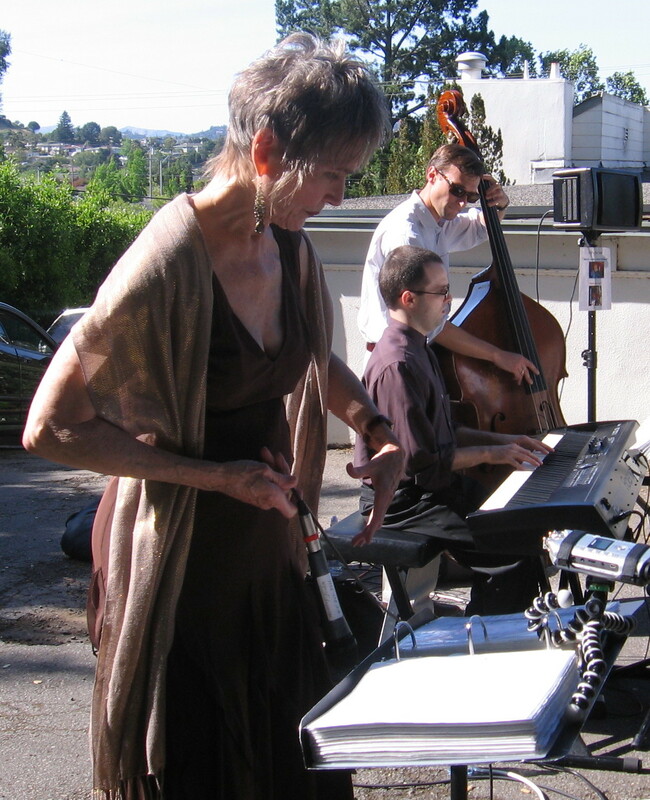 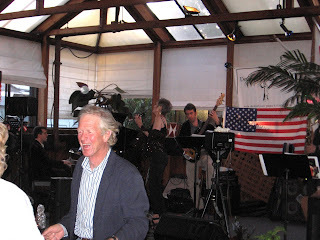 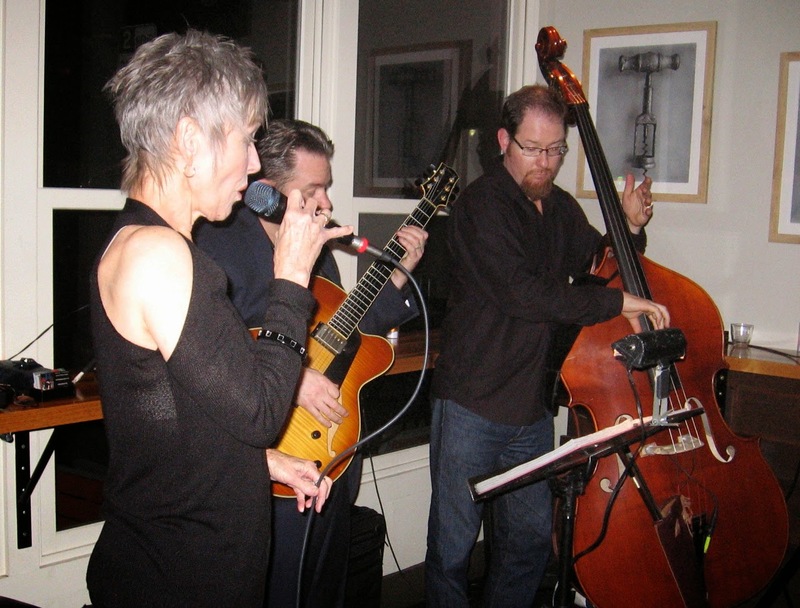 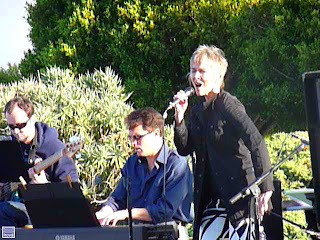 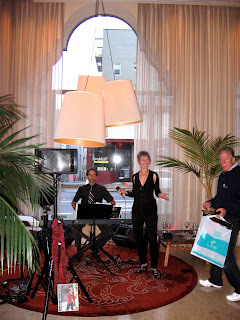 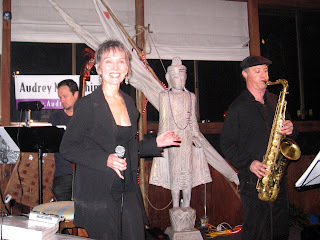 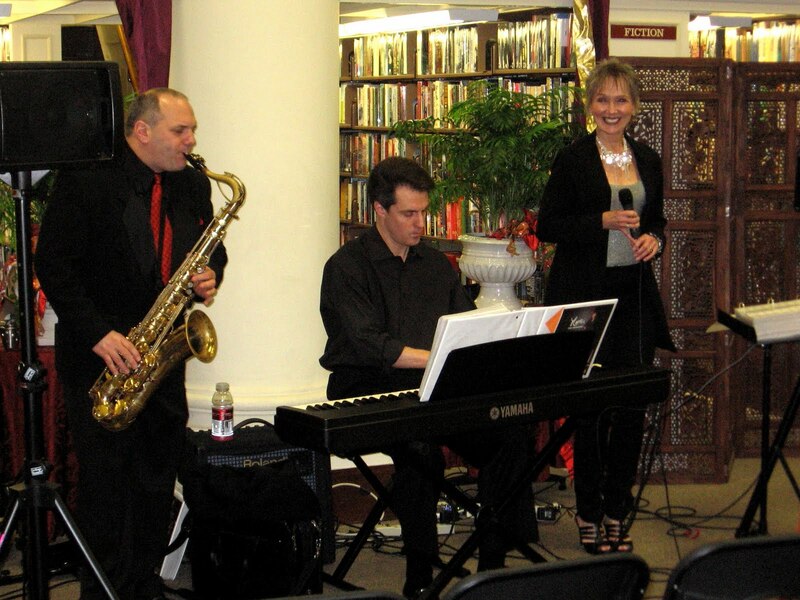 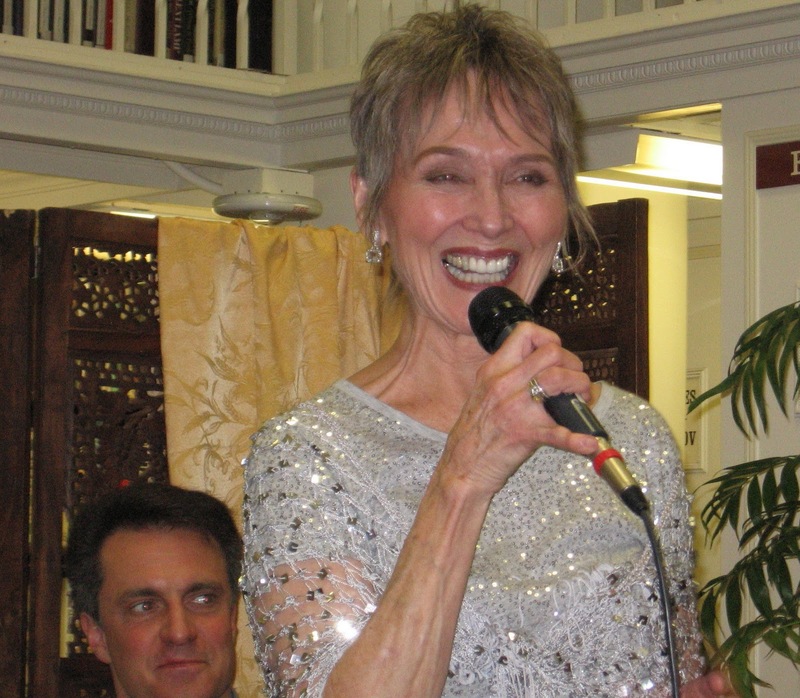 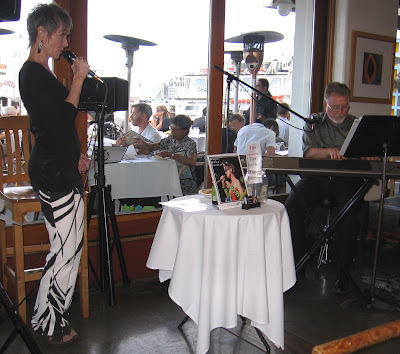 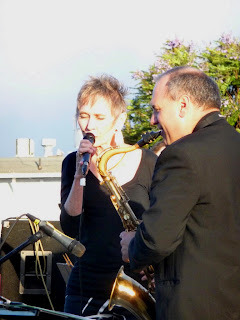 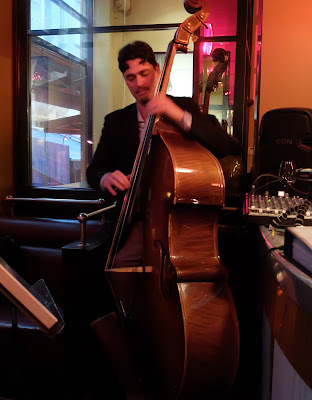 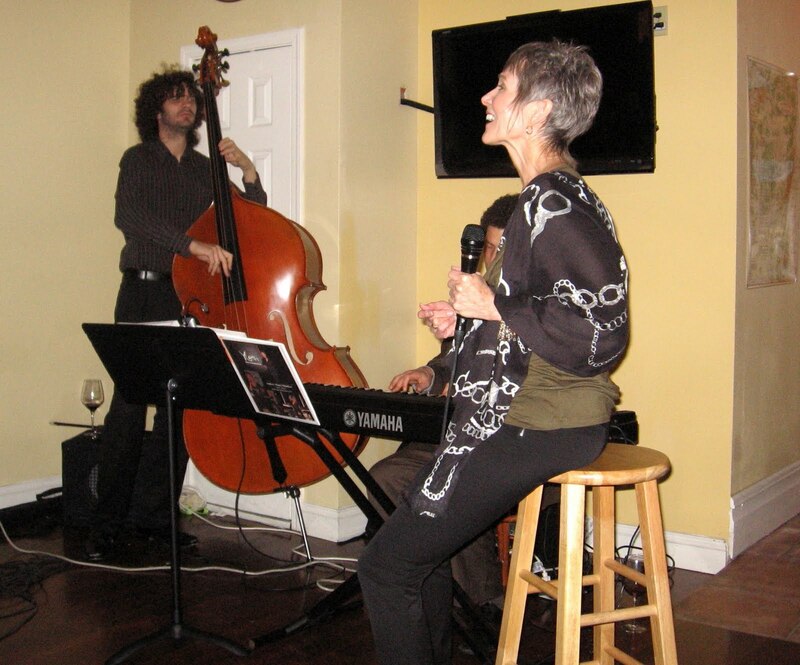 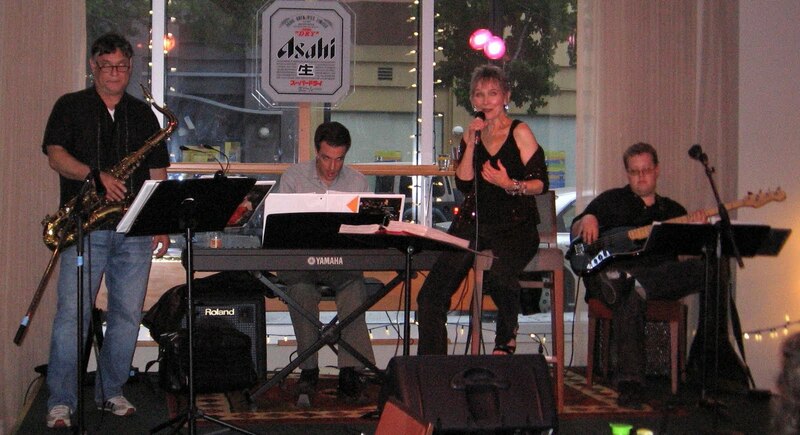 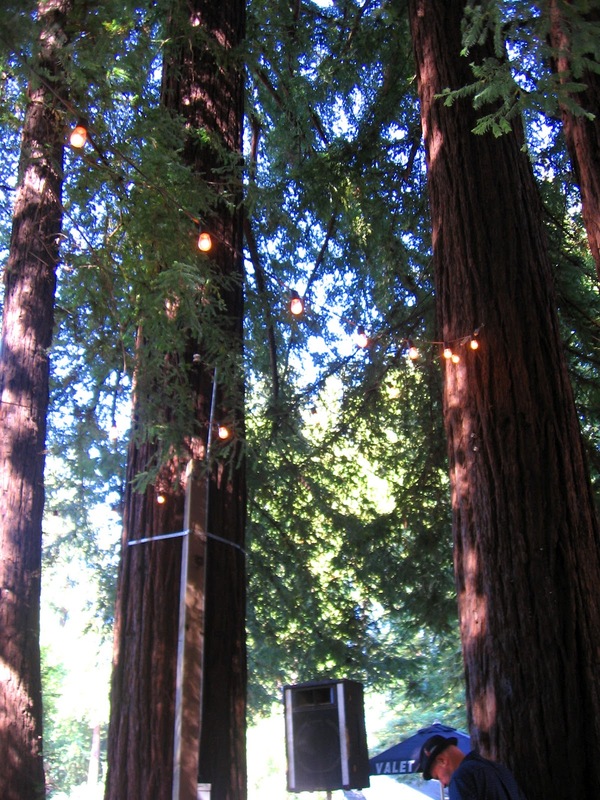 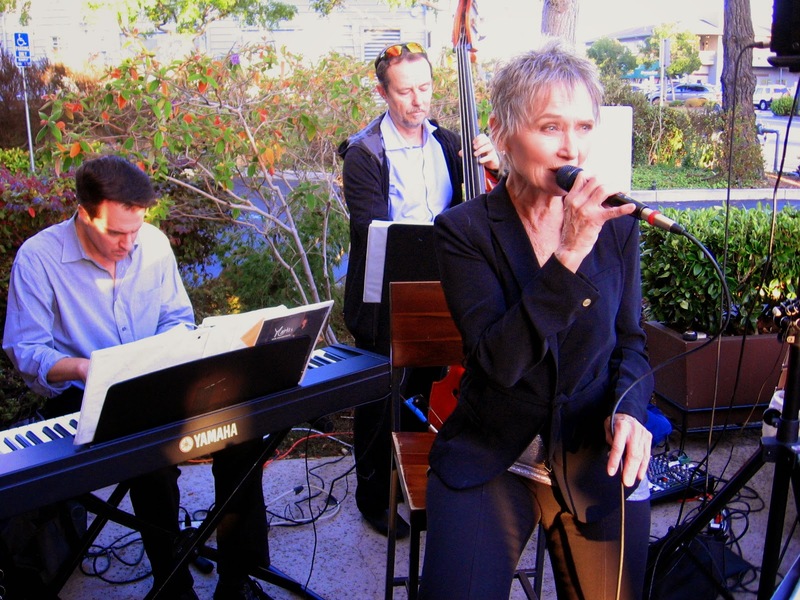 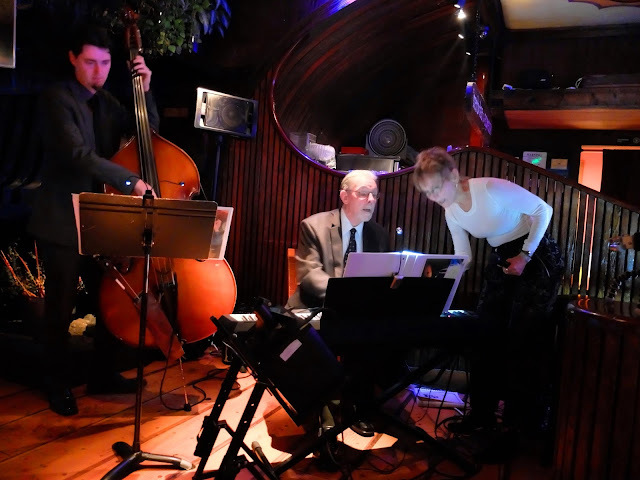 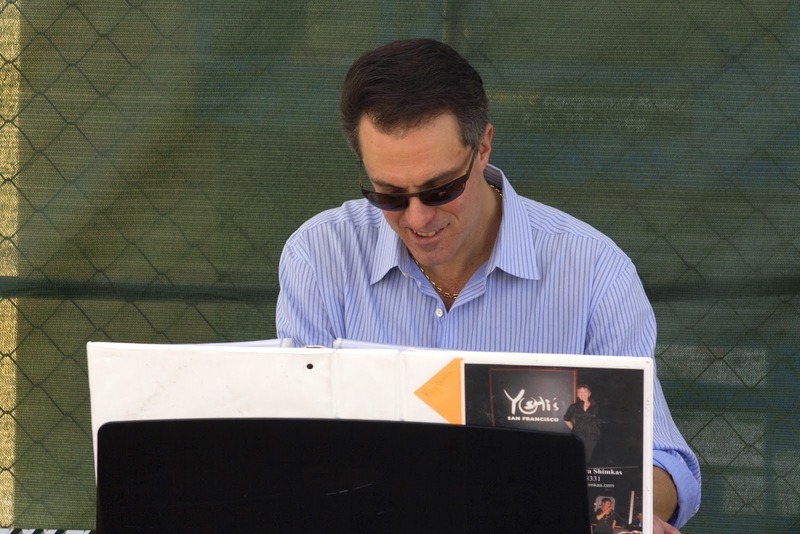 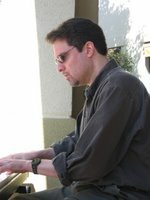 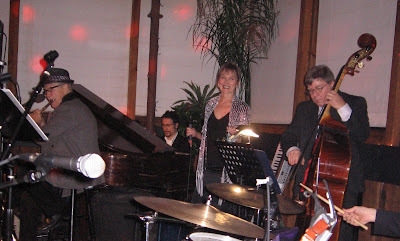 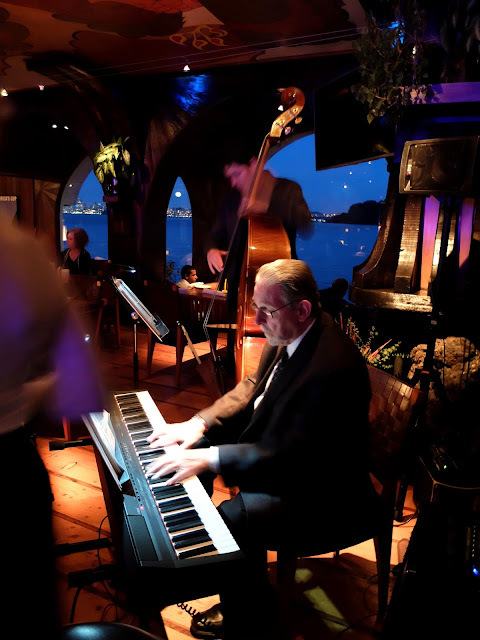 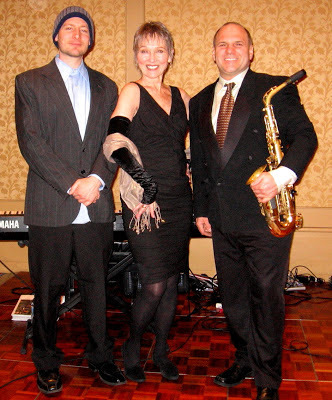 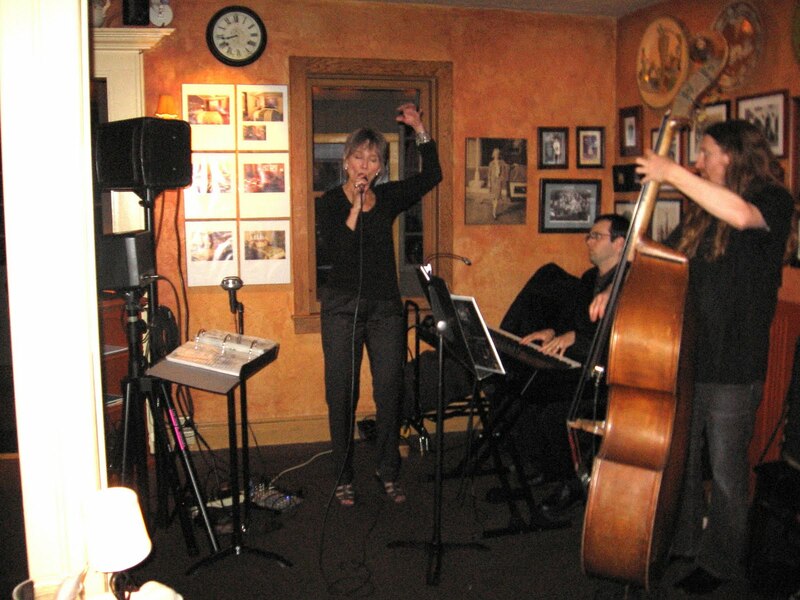 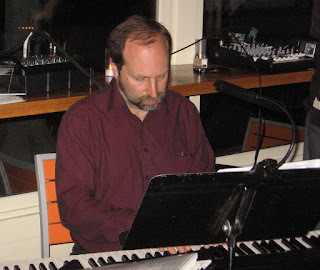 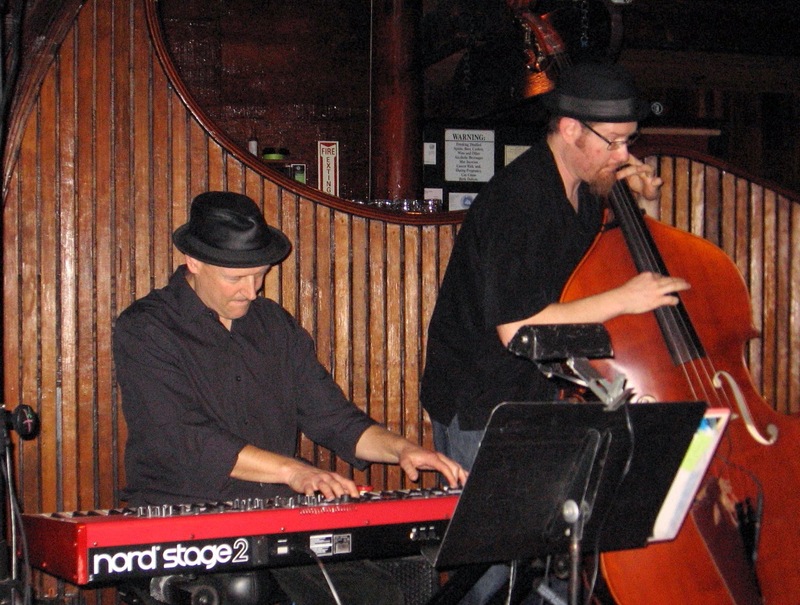 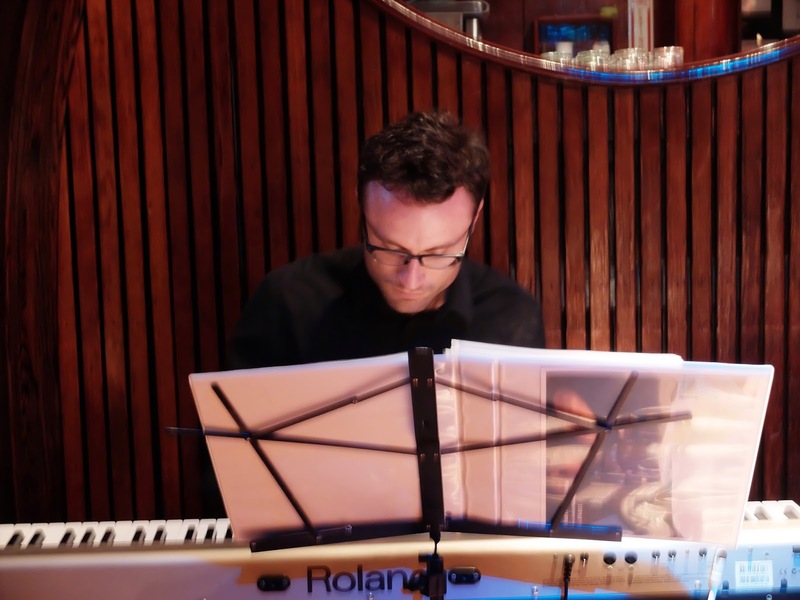 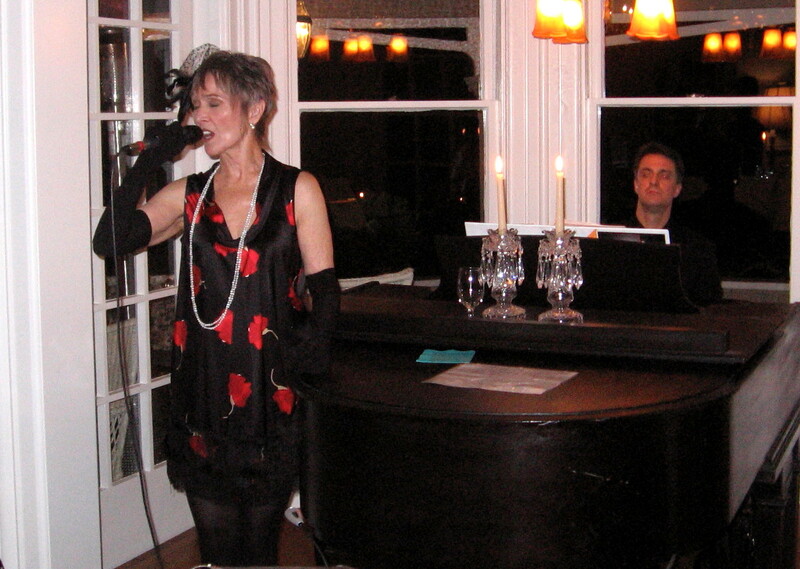 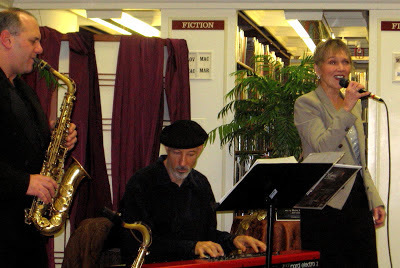 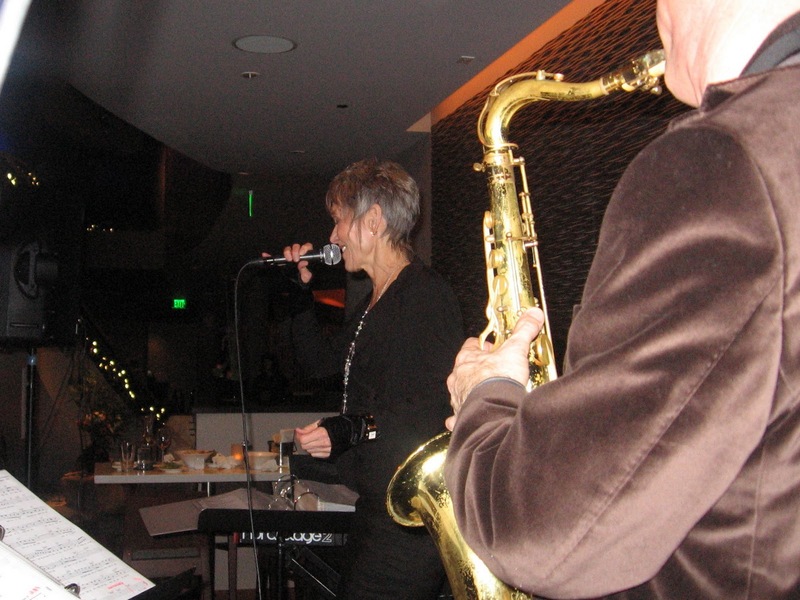 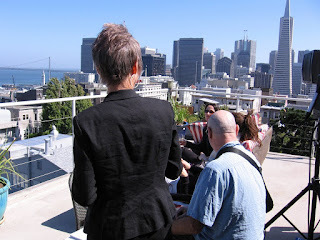 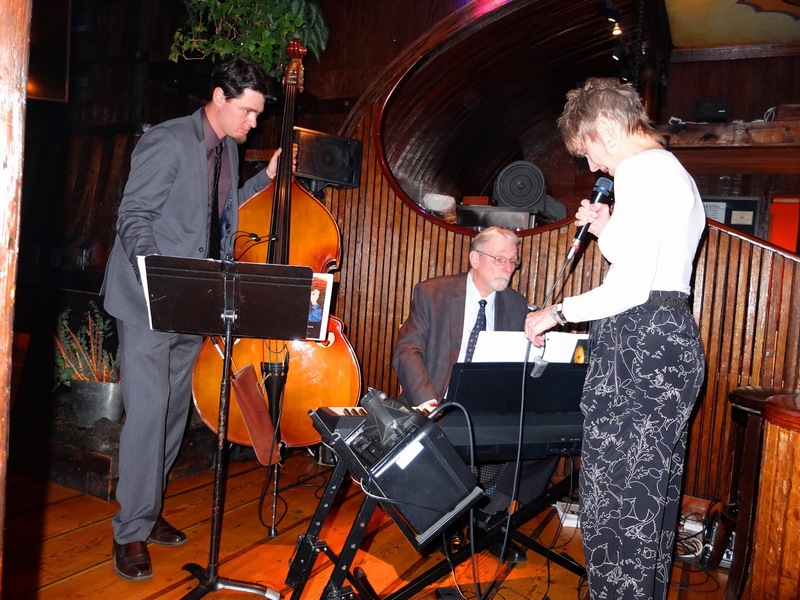 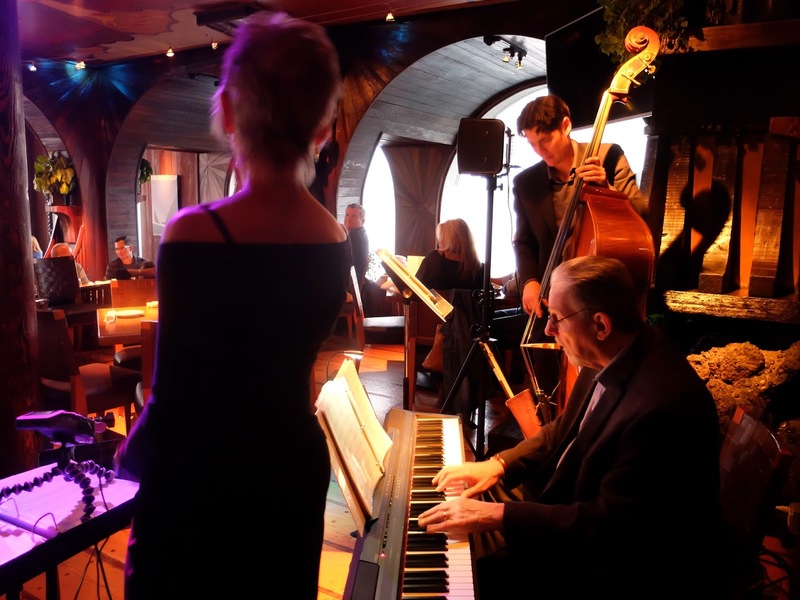 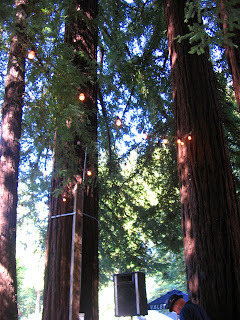 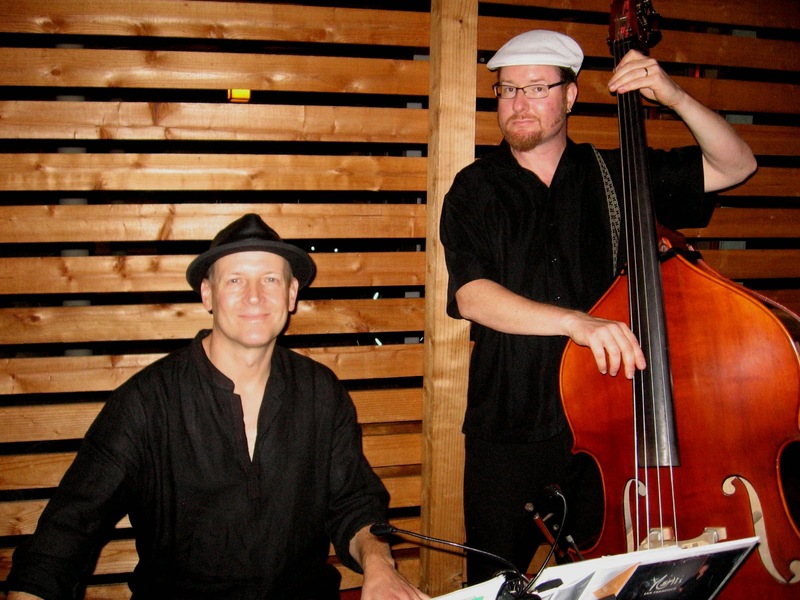 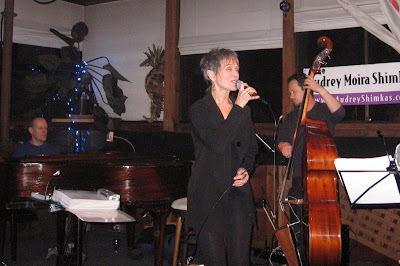 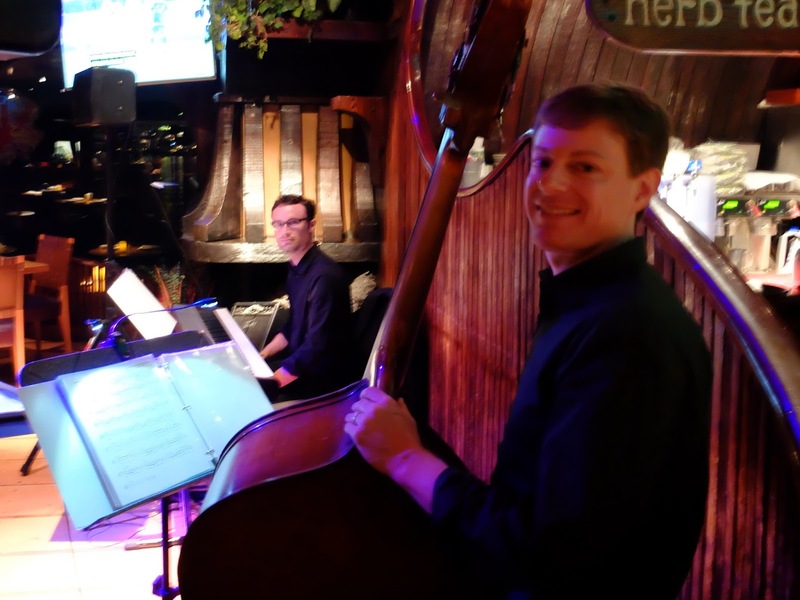 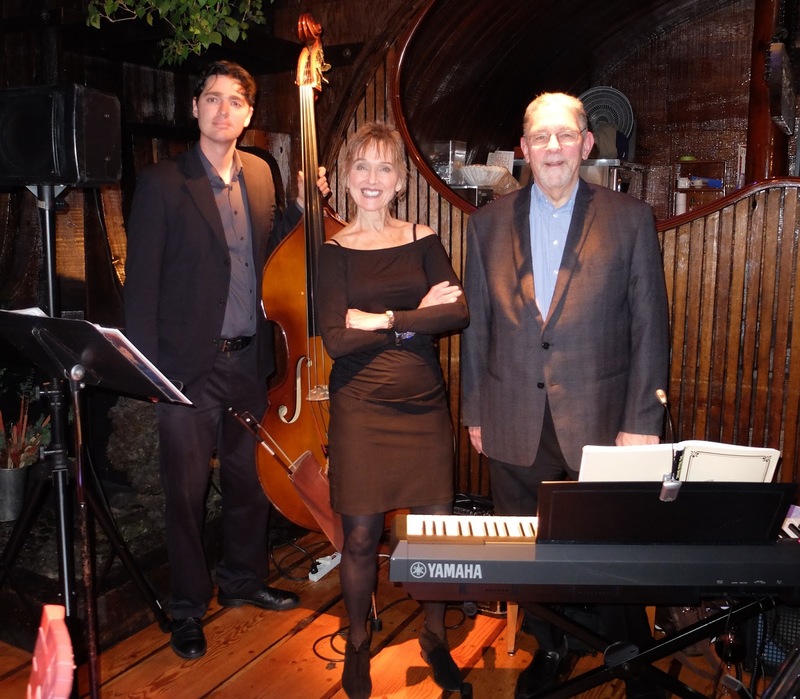 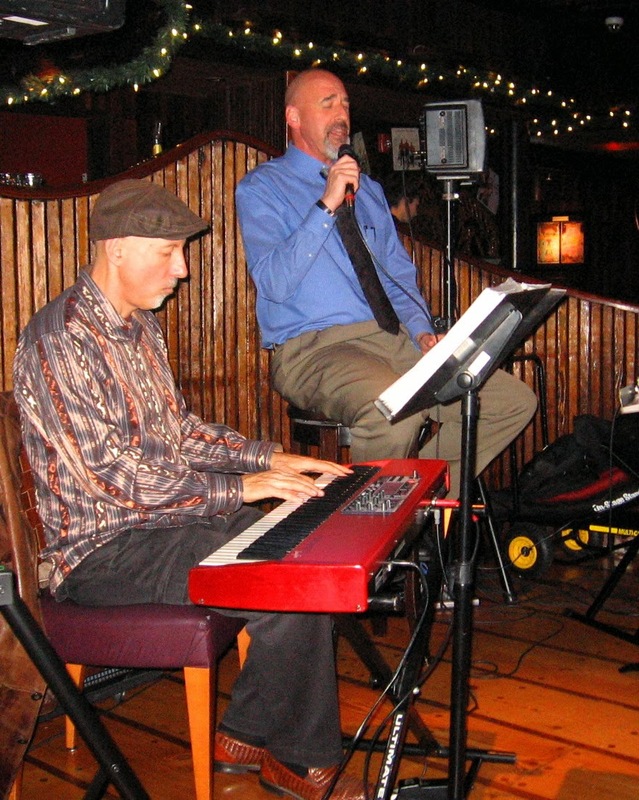 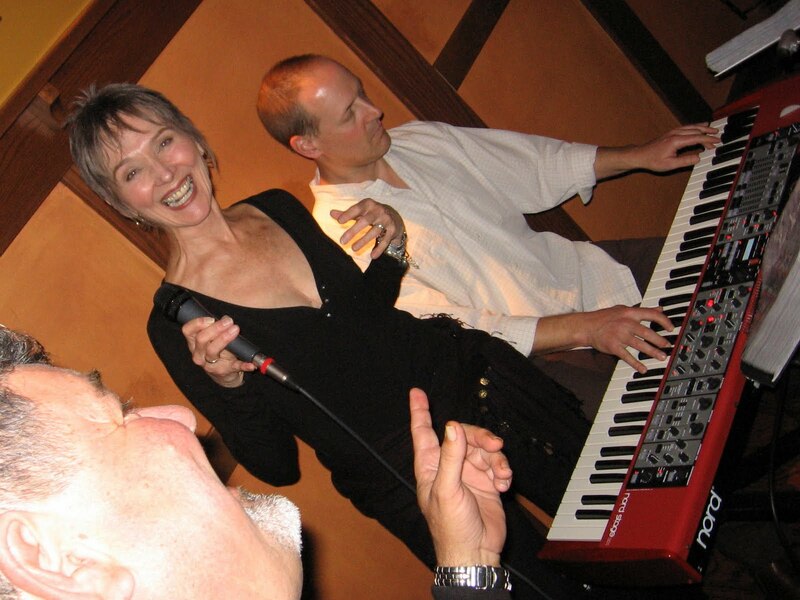 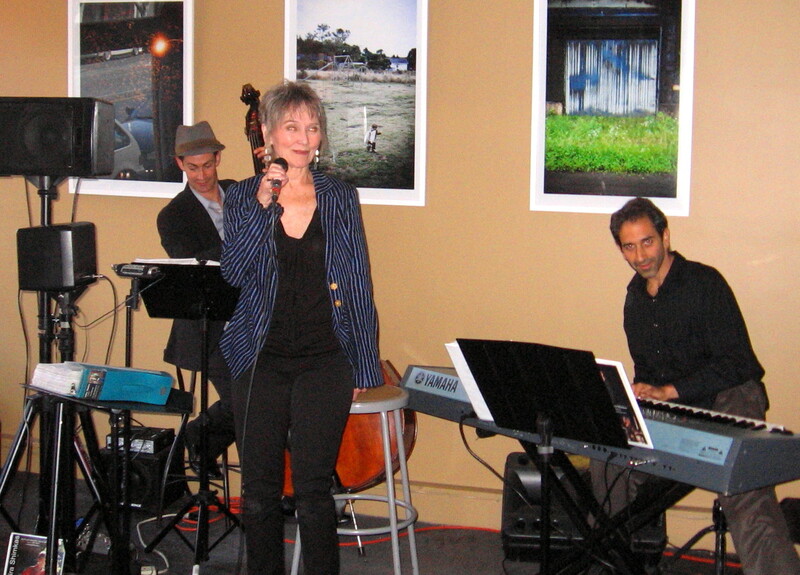 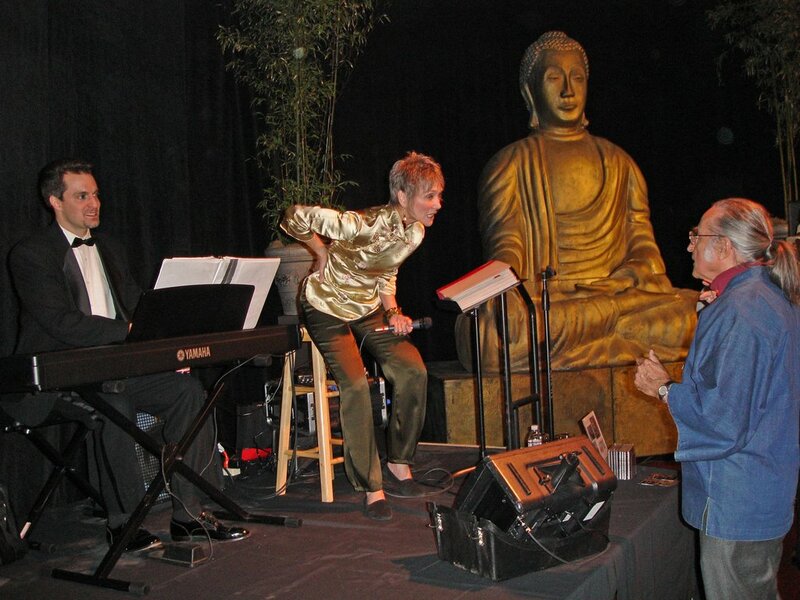 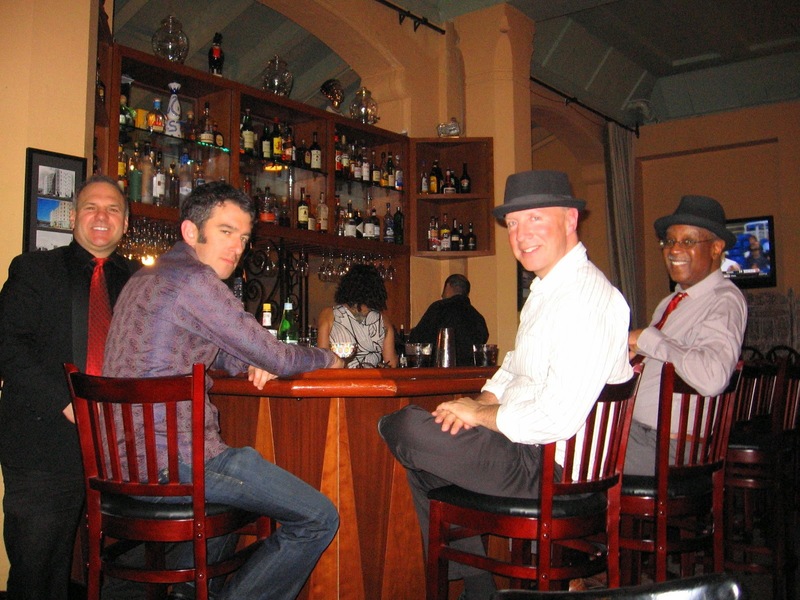 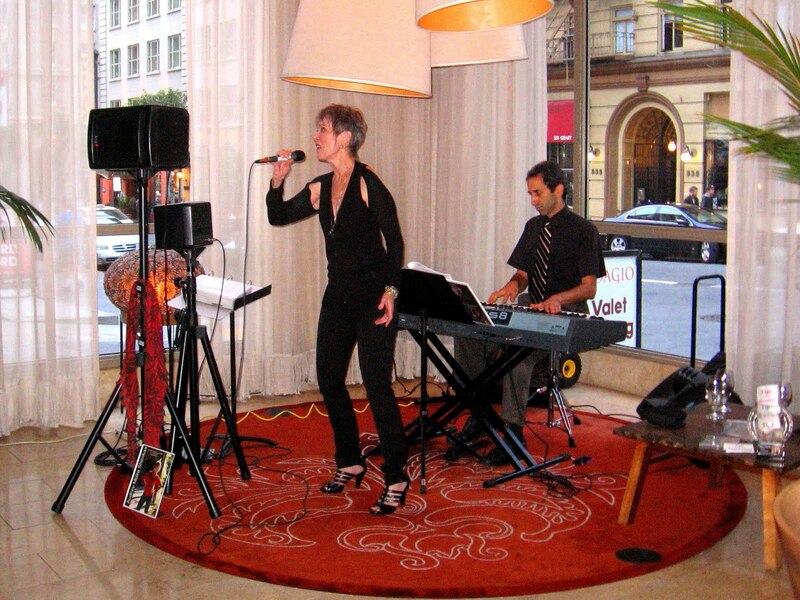 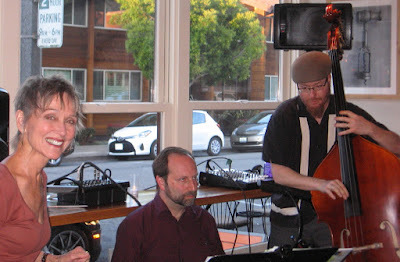 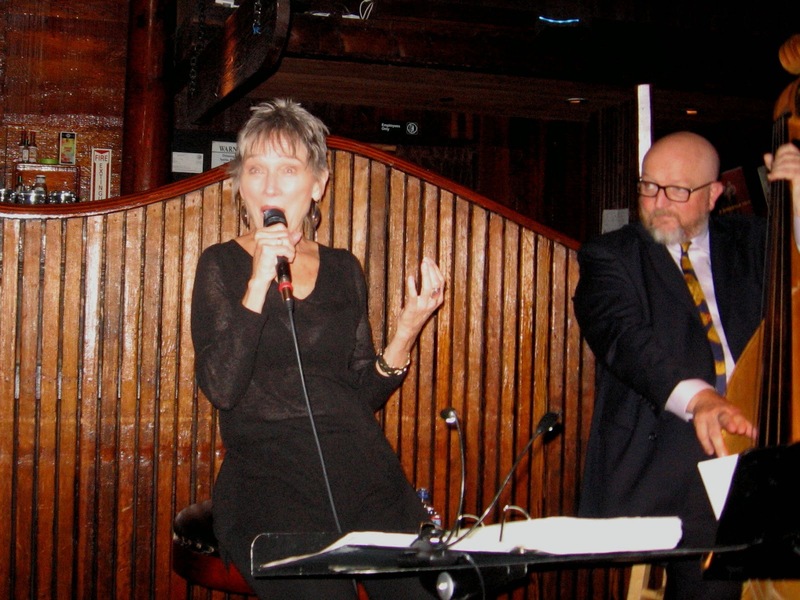 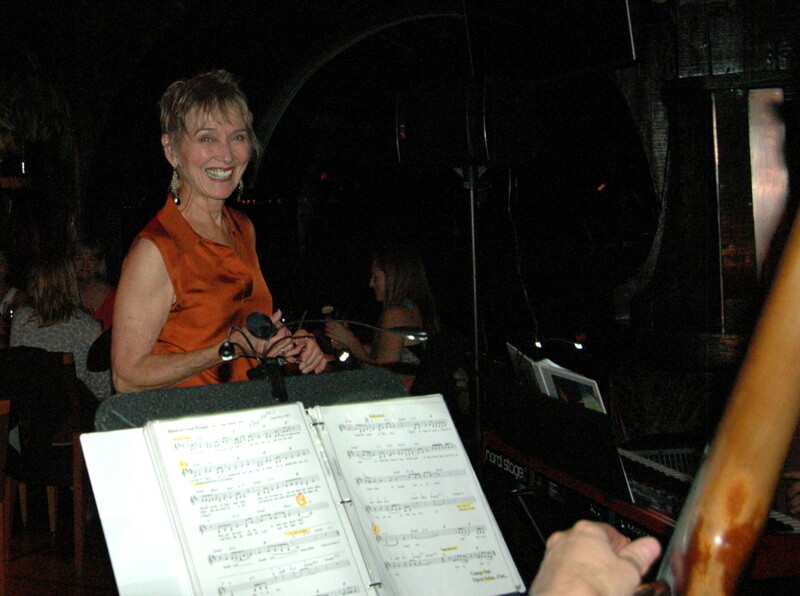 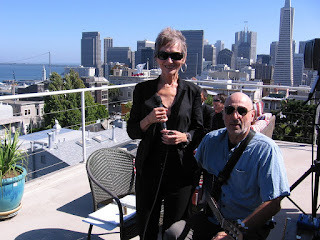 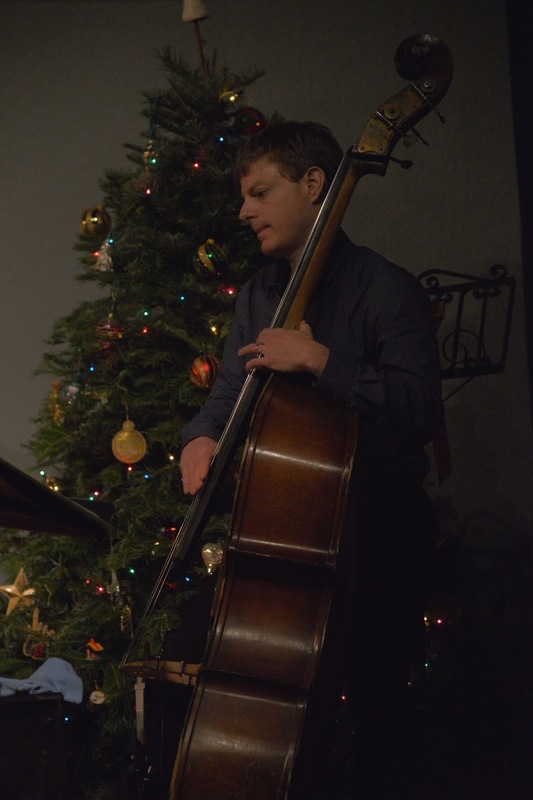 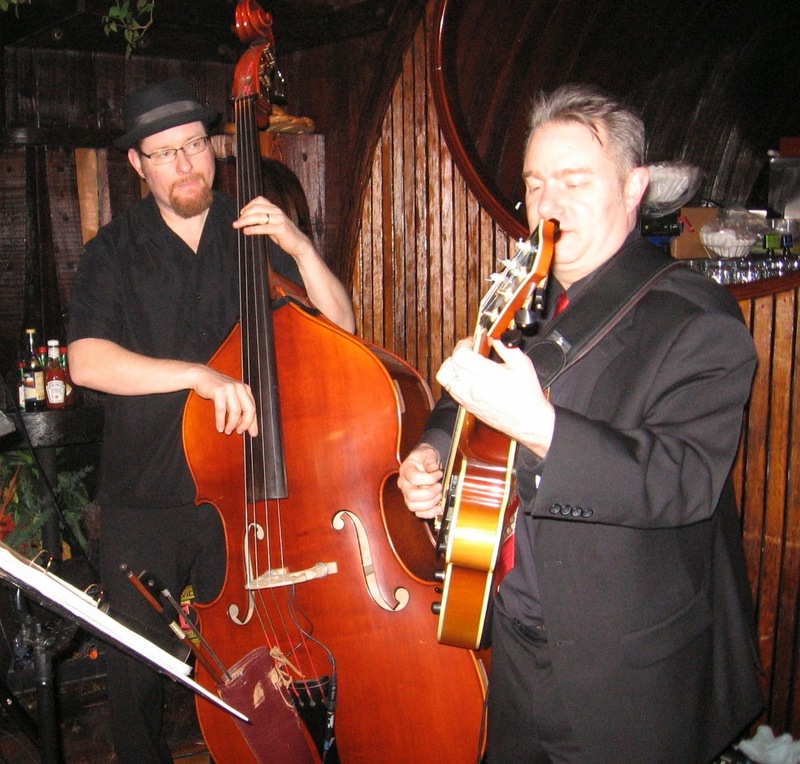 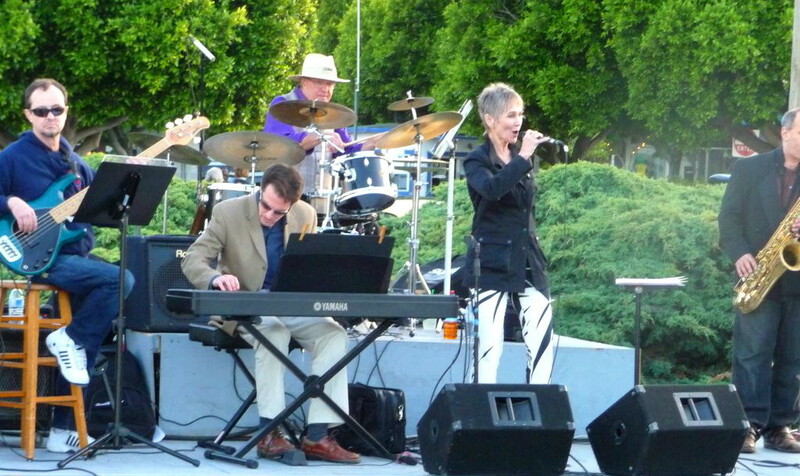 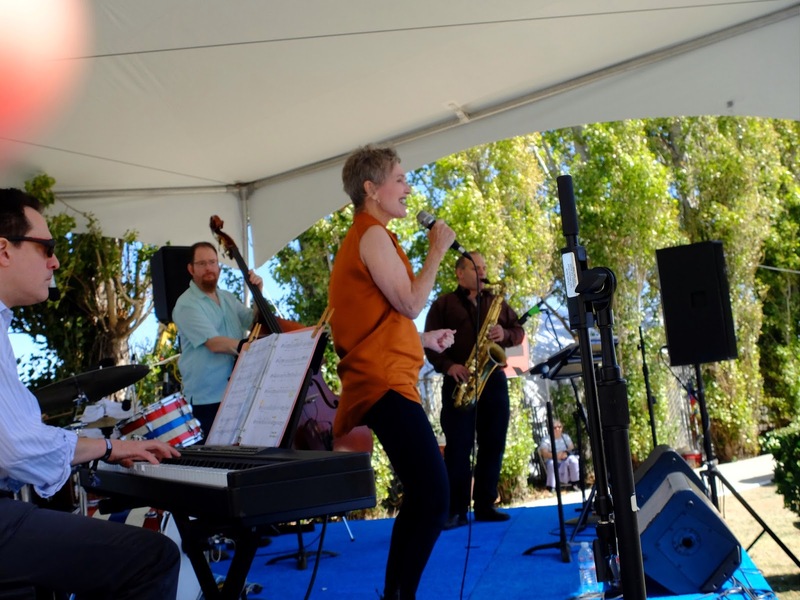 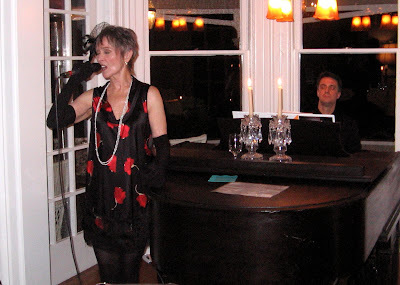 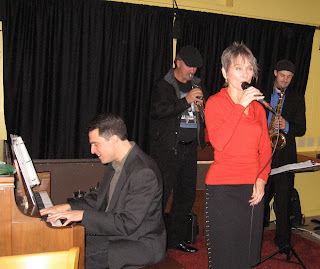 Grant Levin, myself and Tony Malfatti play at a SF wedding reception. 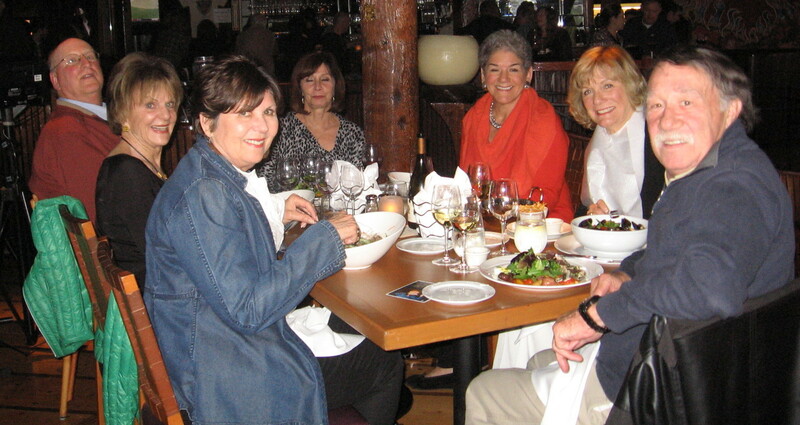 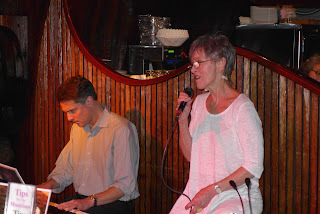 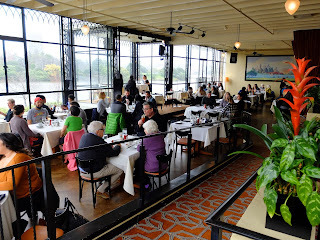 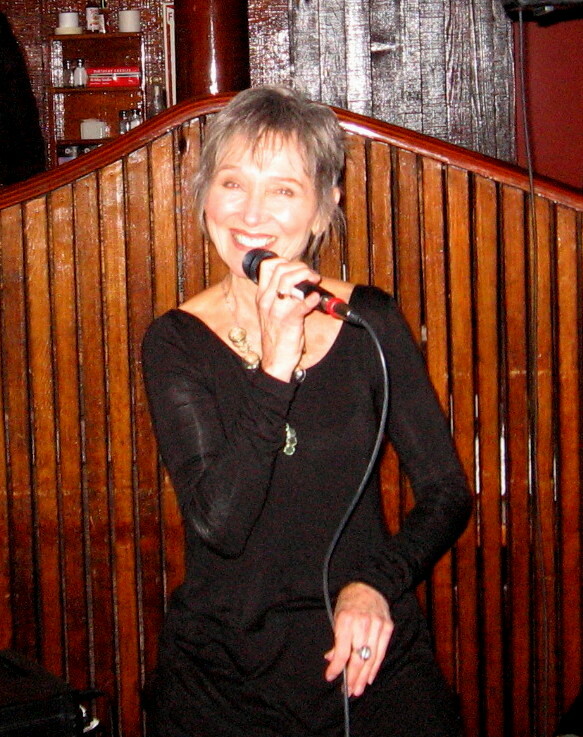 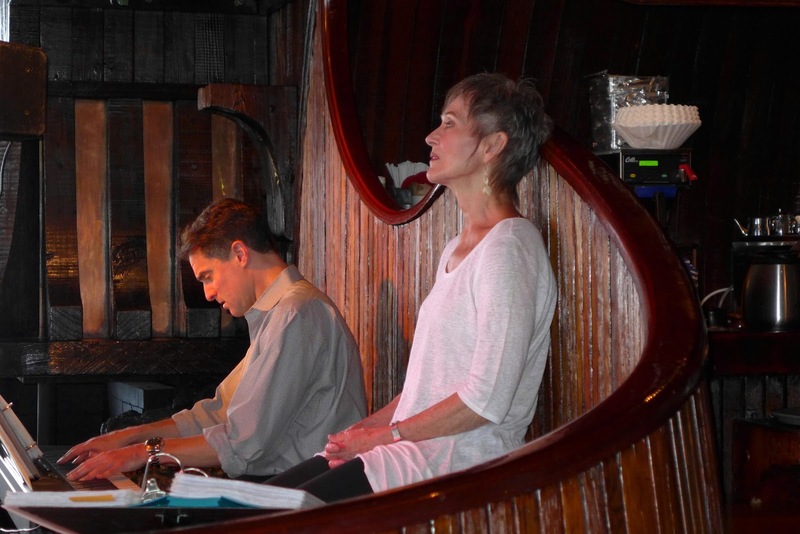 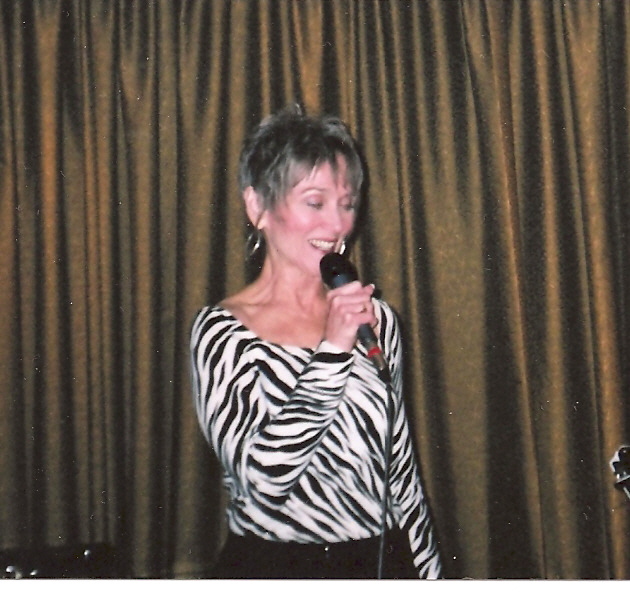 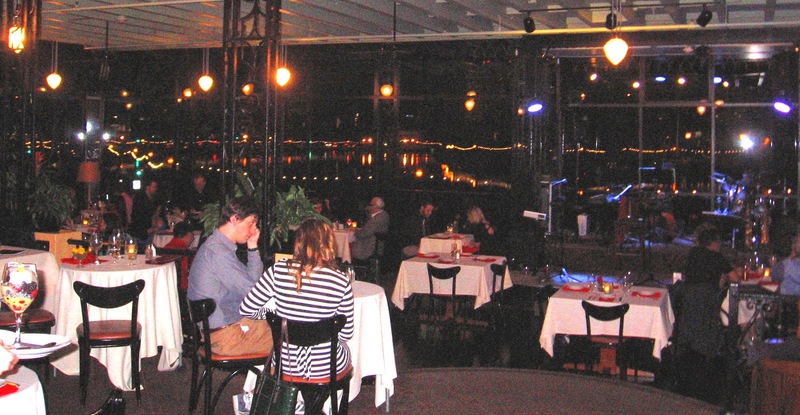 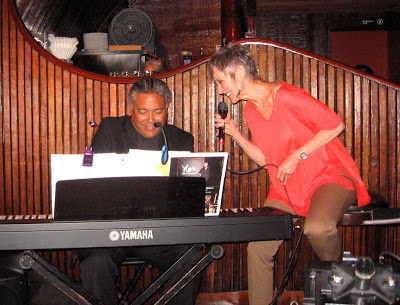 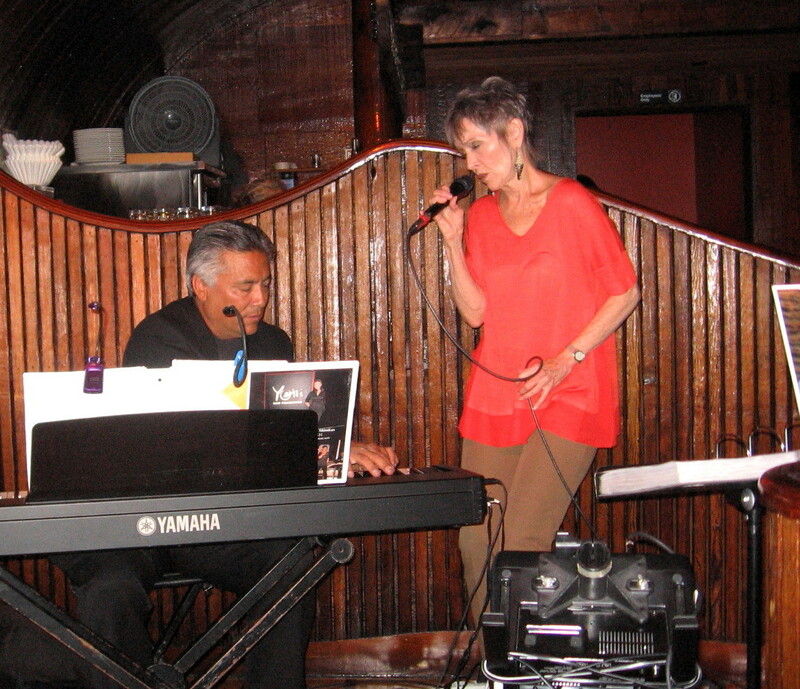 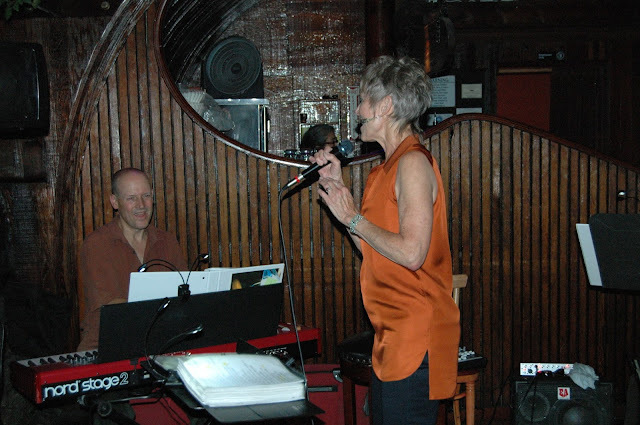 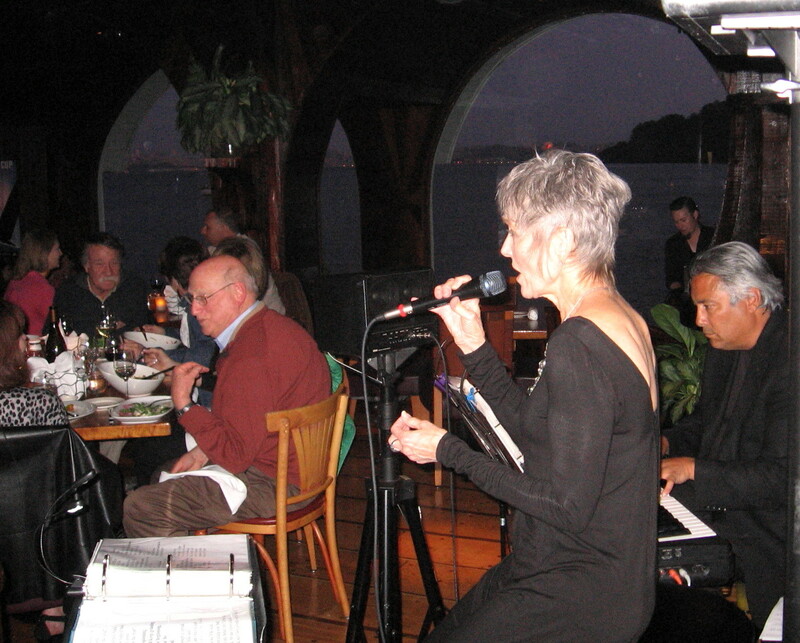 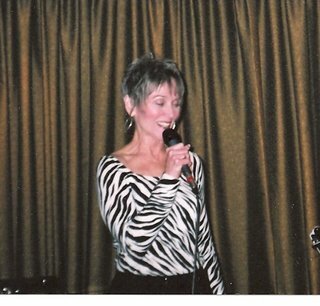 The Panama is a wonderful spot to sing; it's really a supper club where the people come to hear great music. 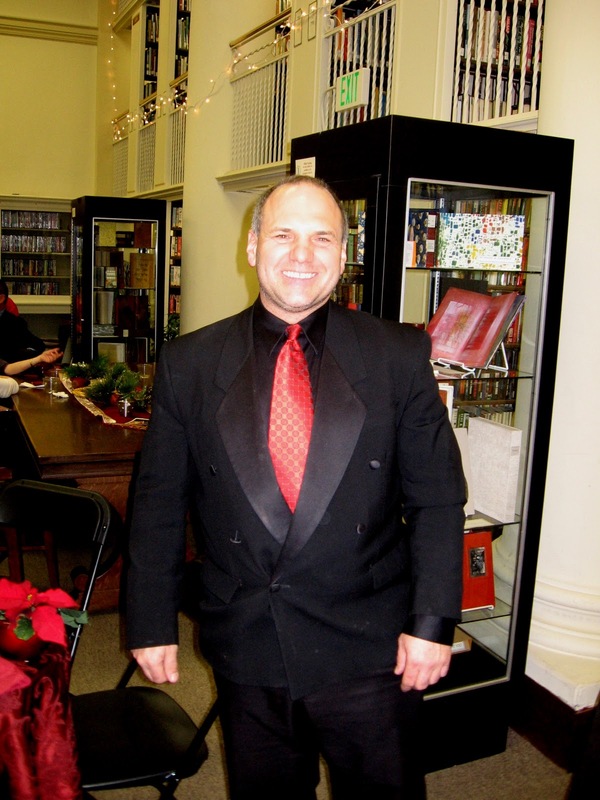 My 4th year doing the Mechanic Institute Holiday party which is held in their 2-story library. 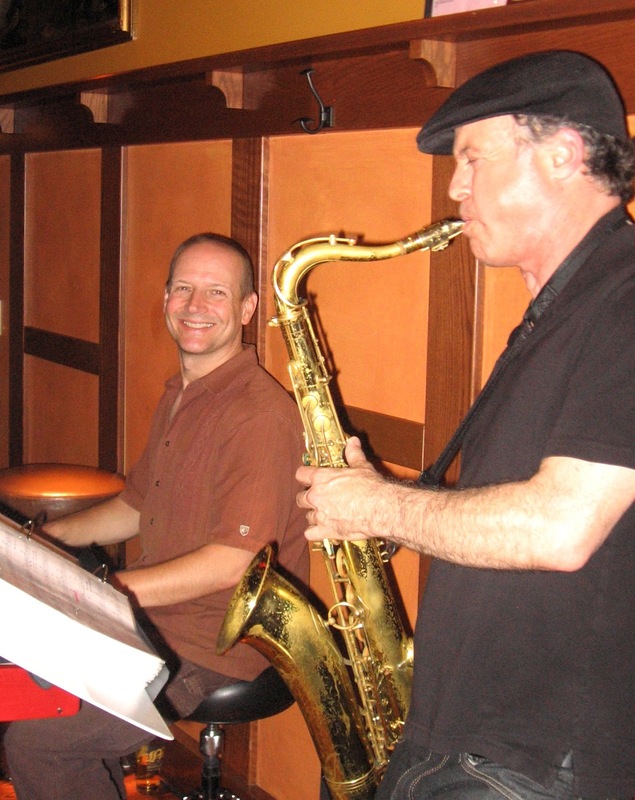 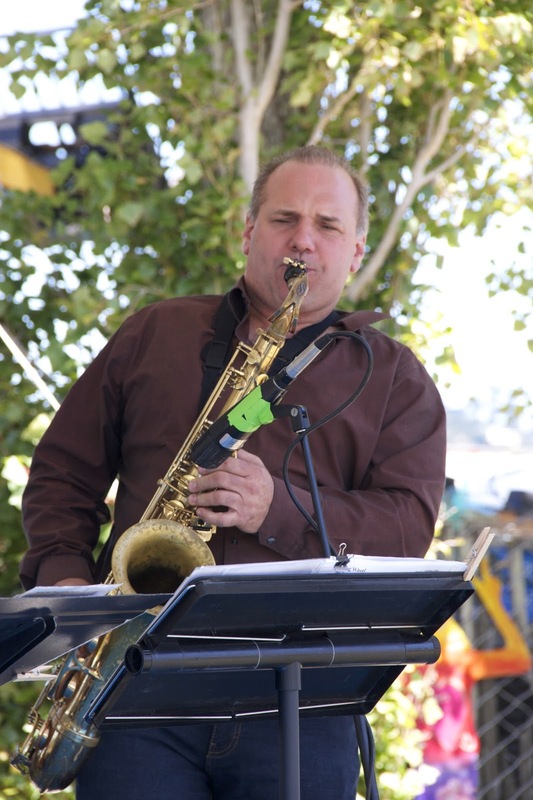 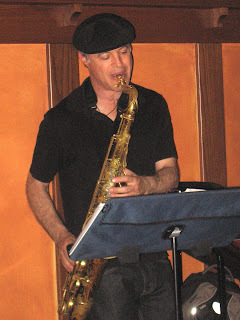 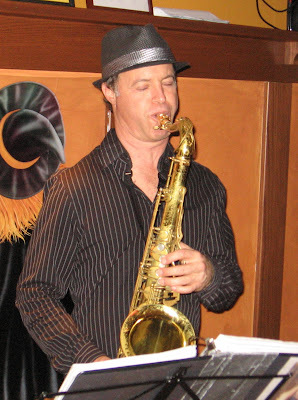 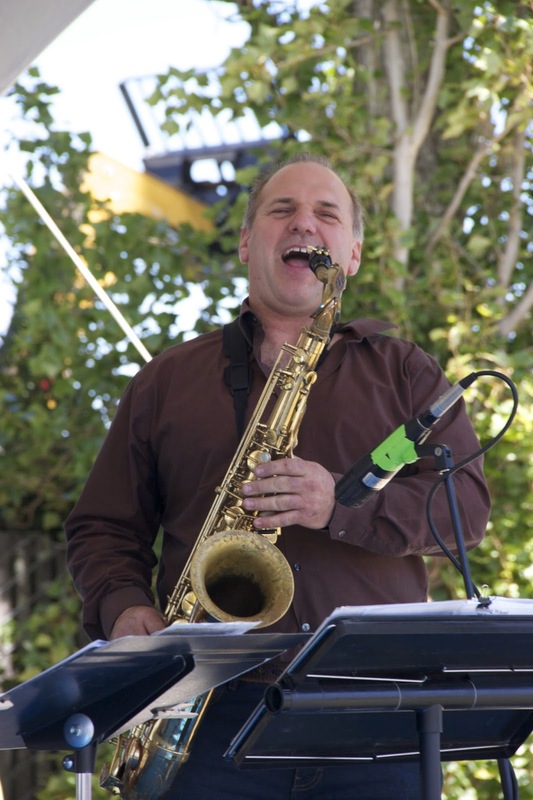 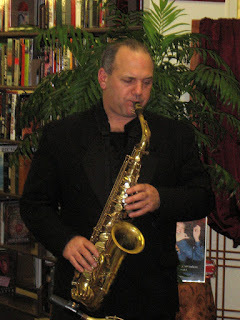 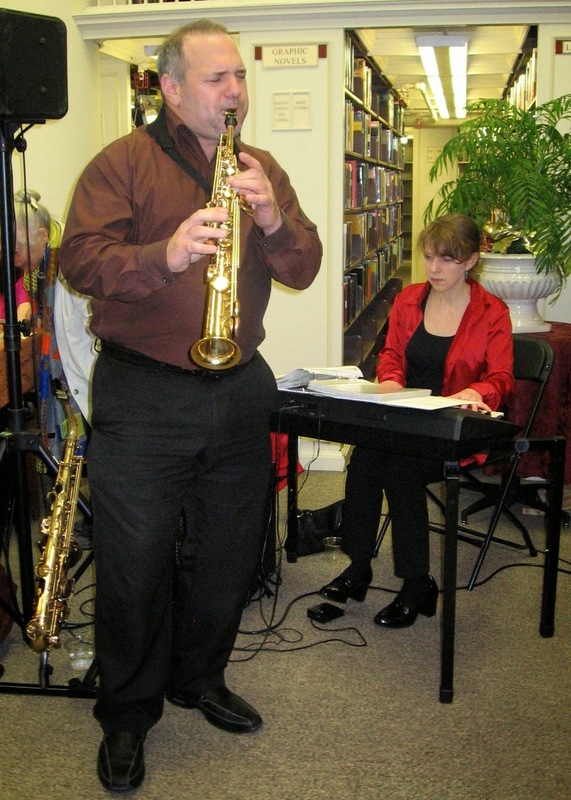 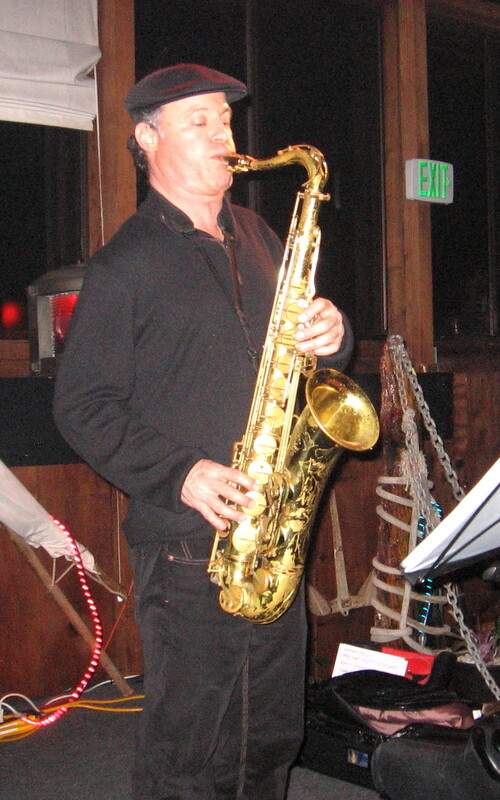 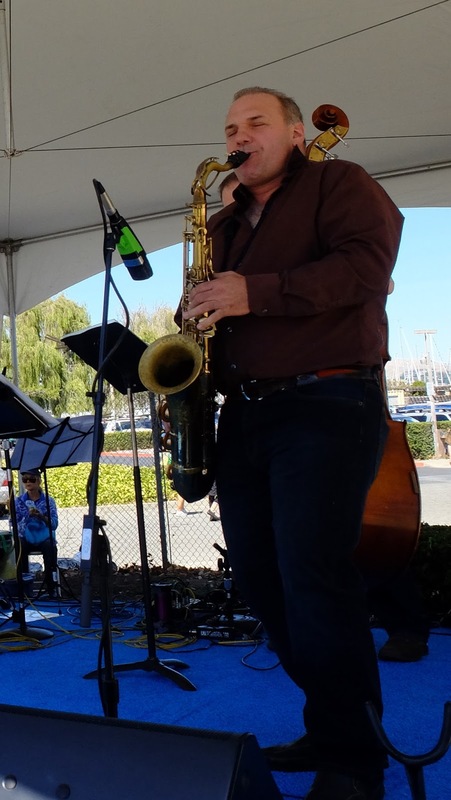 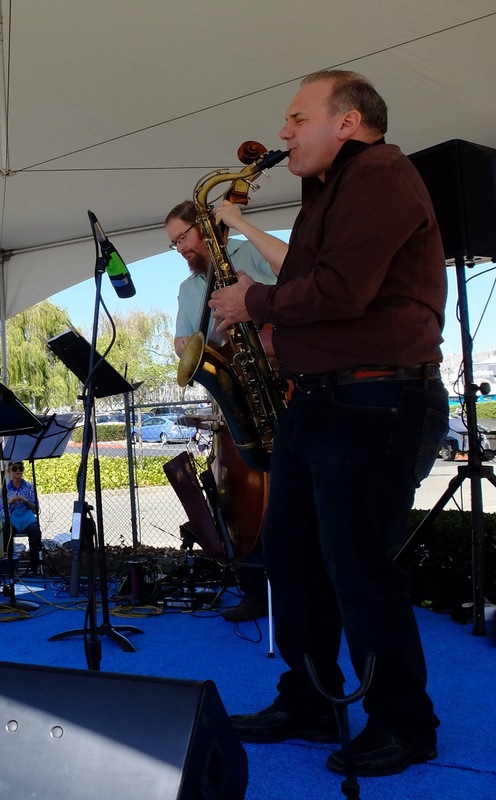 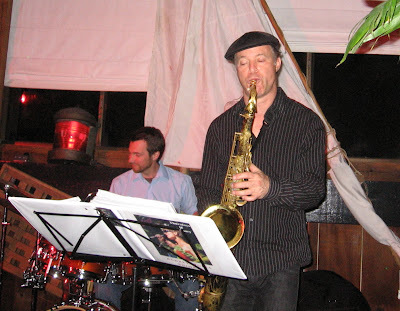 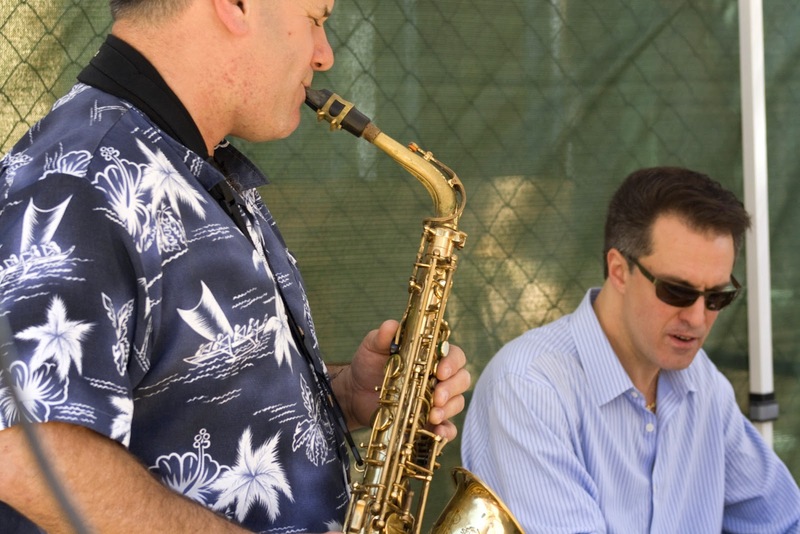 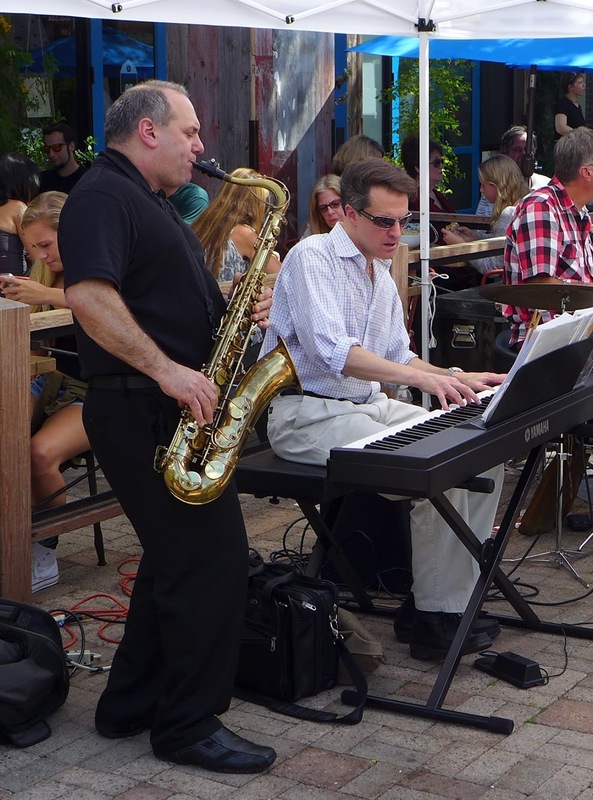 Tony Malfatti on sax; such a great, natural player! 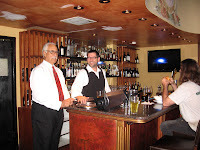 Bill, the host with the most and Rick, easily the best bartender in town. 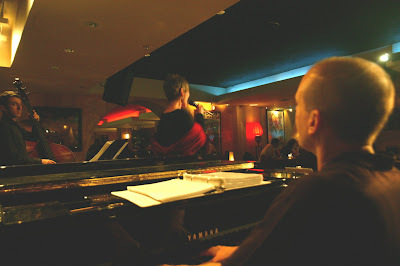 Those moments! 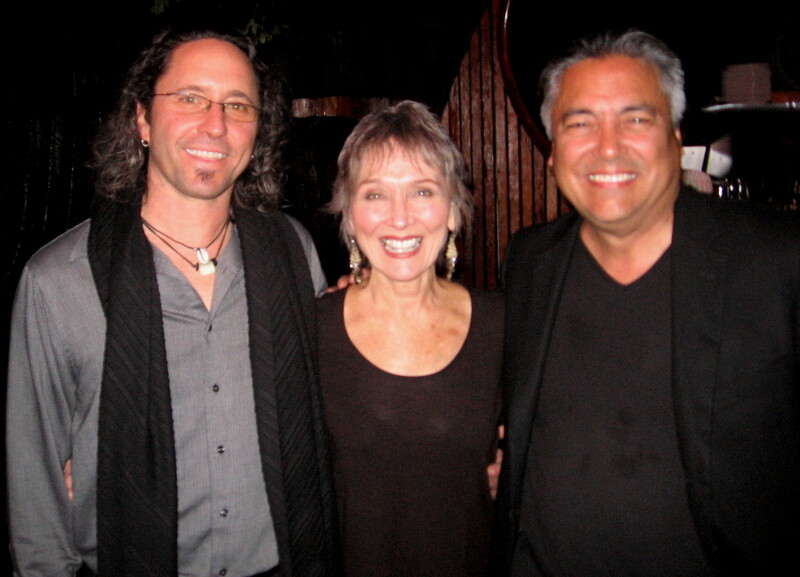 with Greg & Lincoln Adler, the sweetest guys and wonderful musicians. 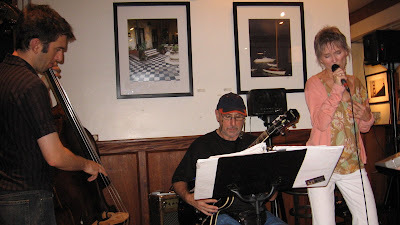 with Dan Zemmelman and fan. 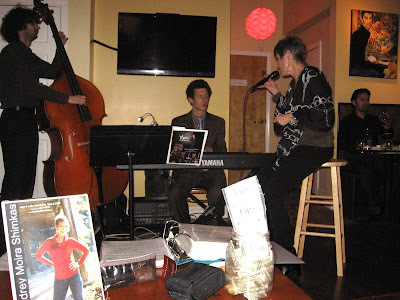 At Rickey's on a very rainy night--we had a full house. 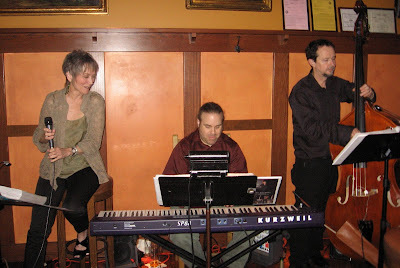 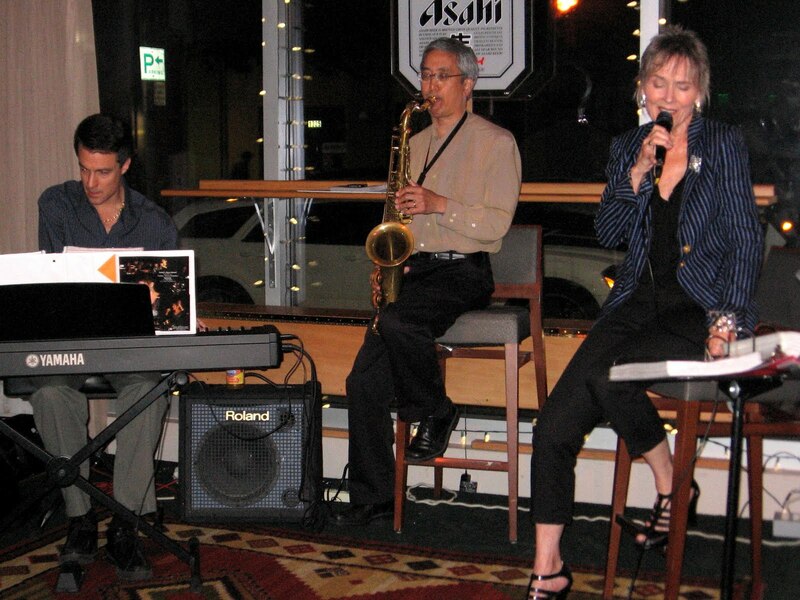 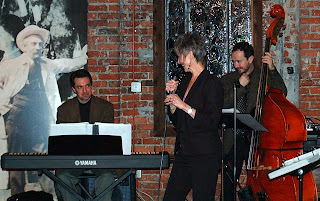 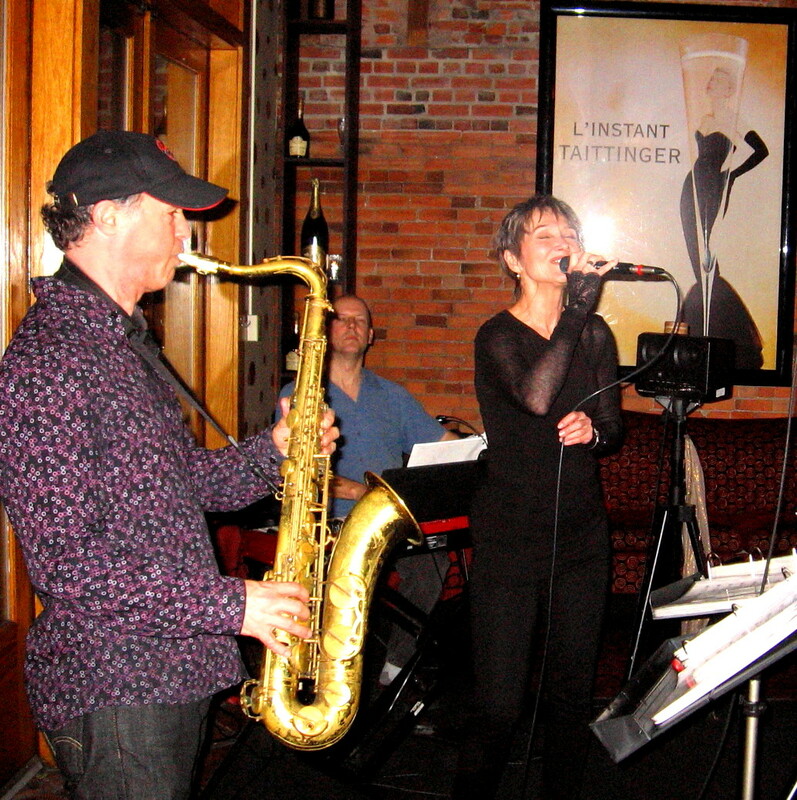 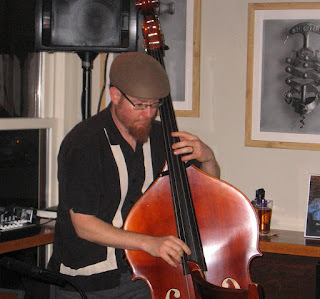 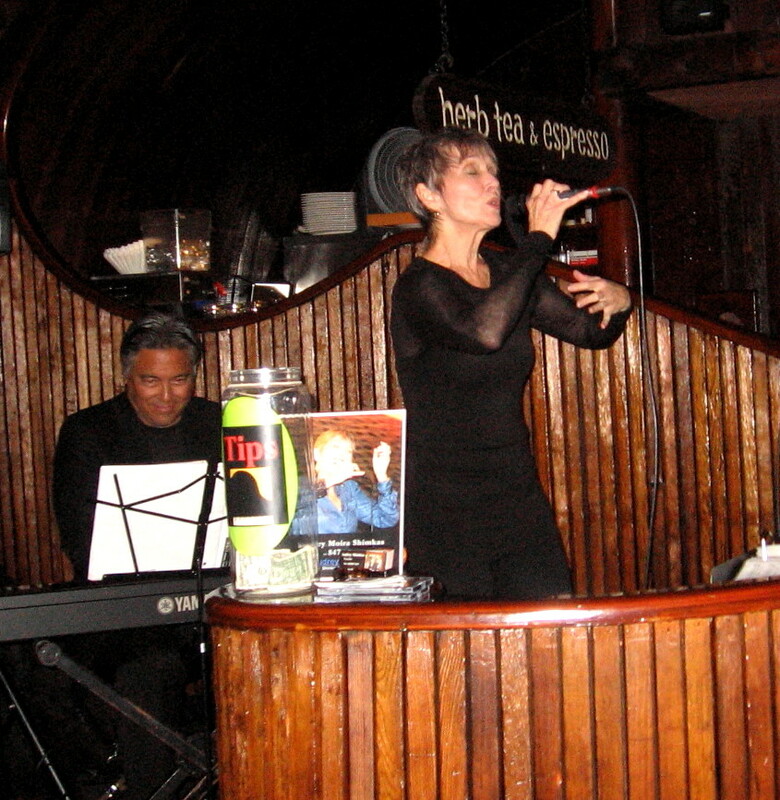 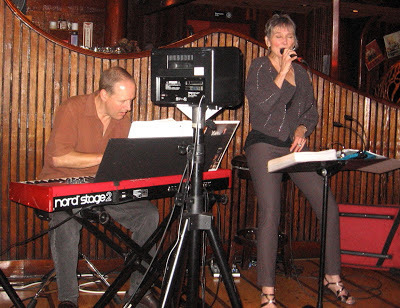 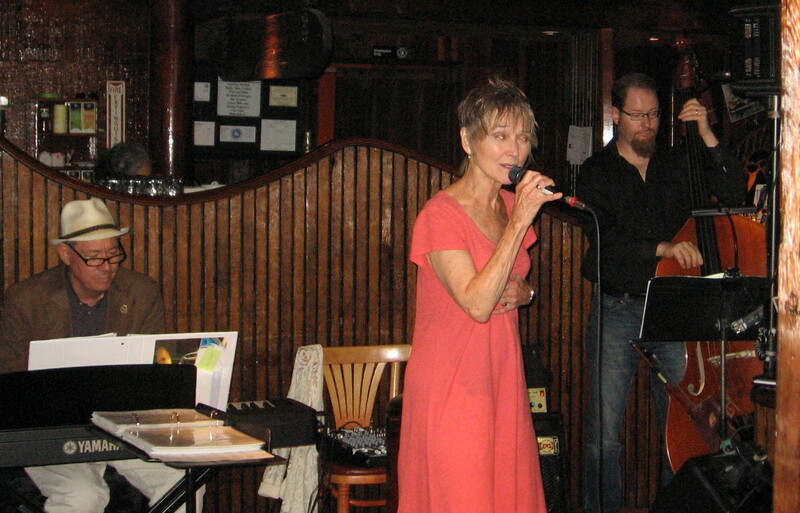 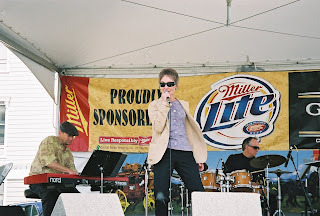 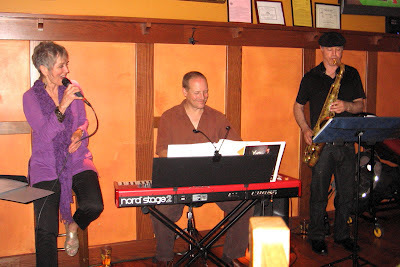 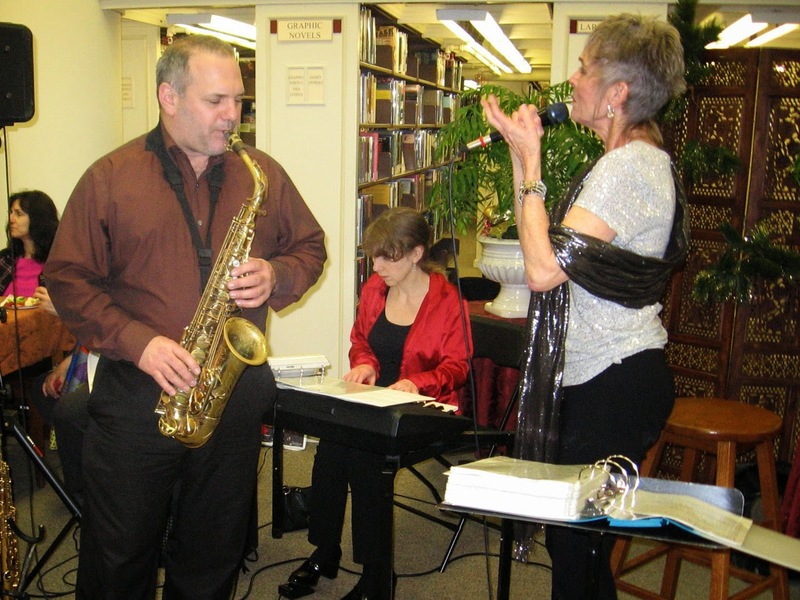 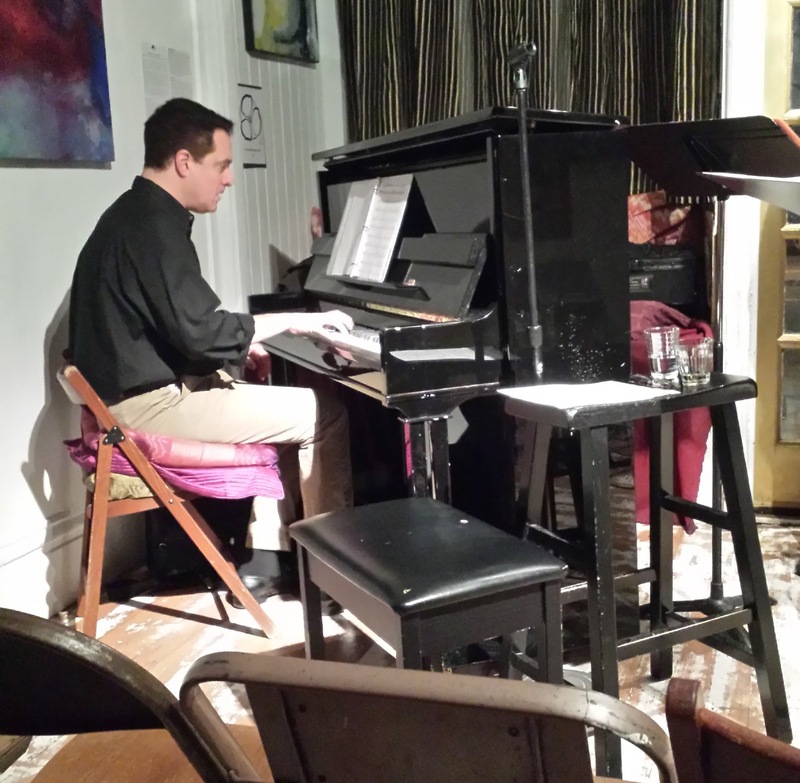 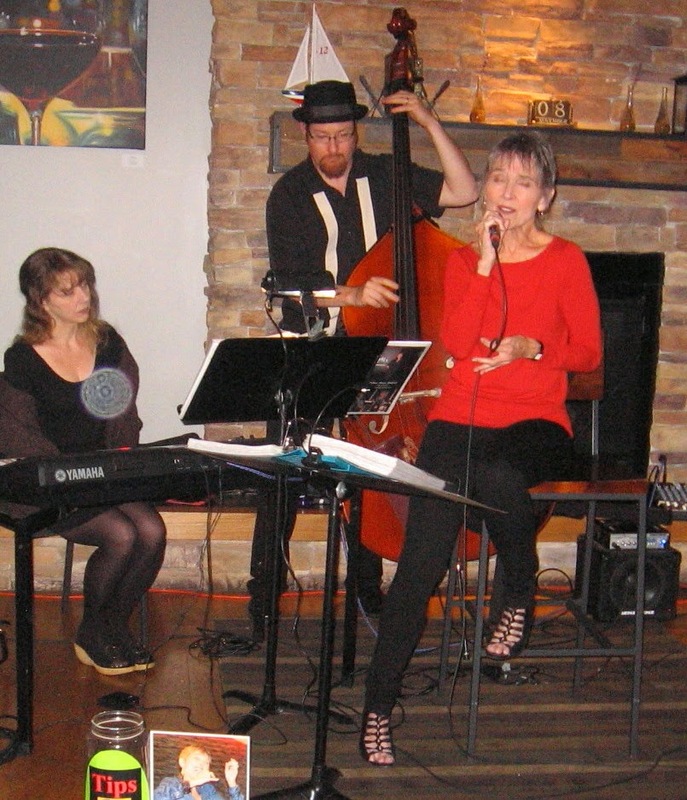 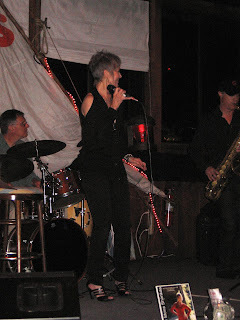 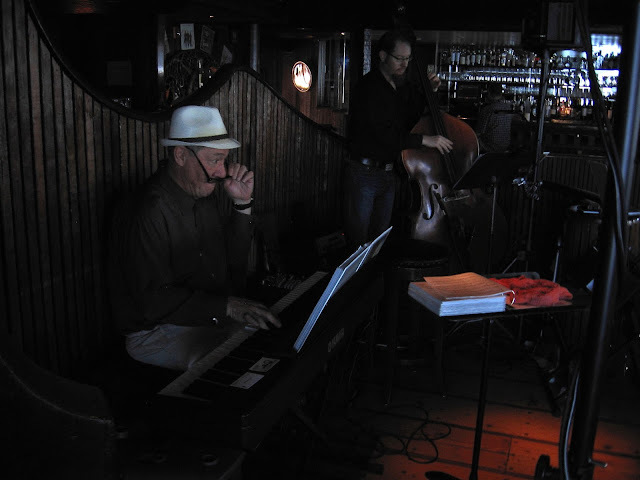 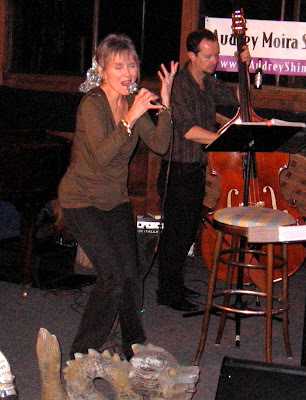 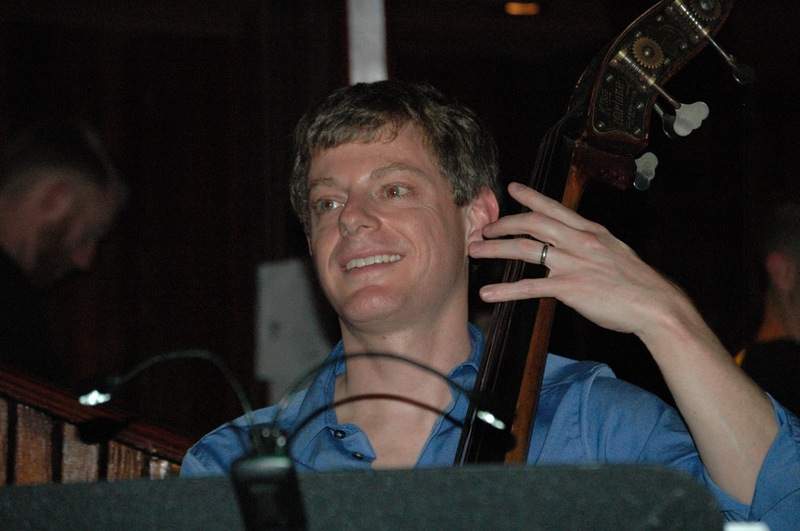 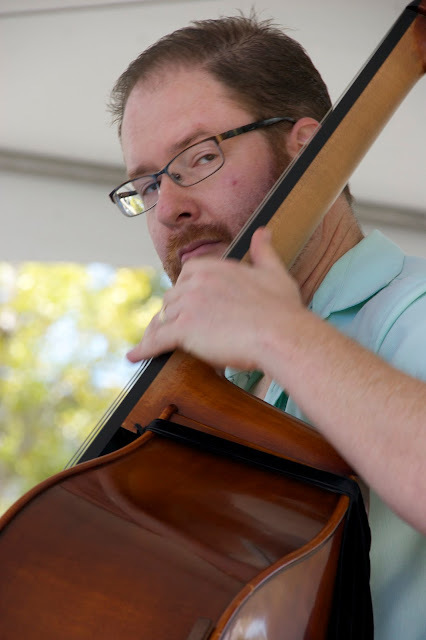 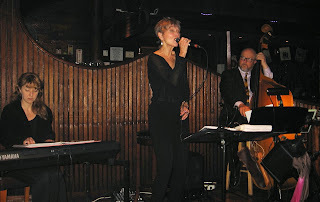 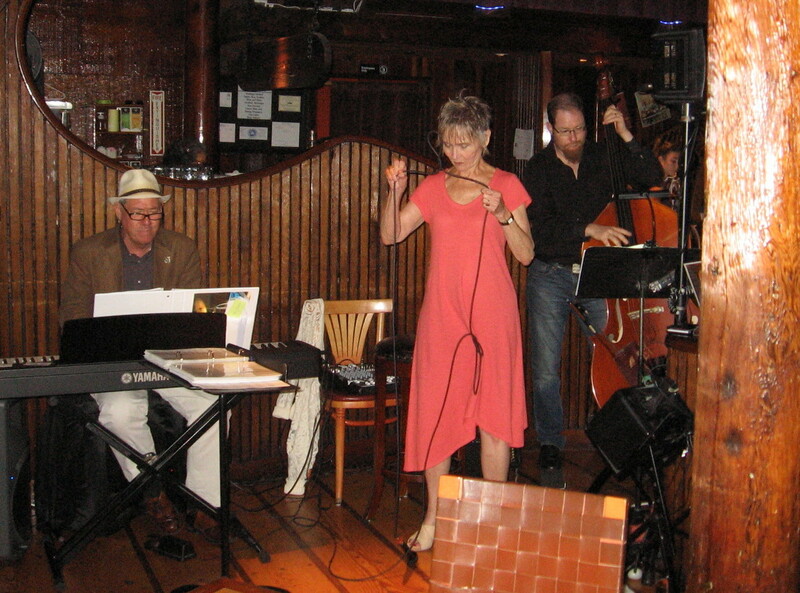 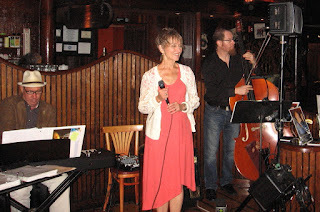 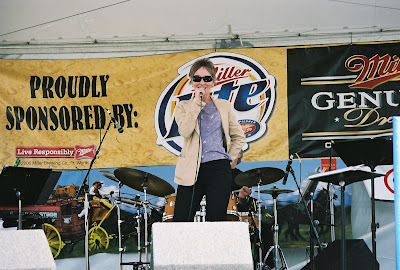 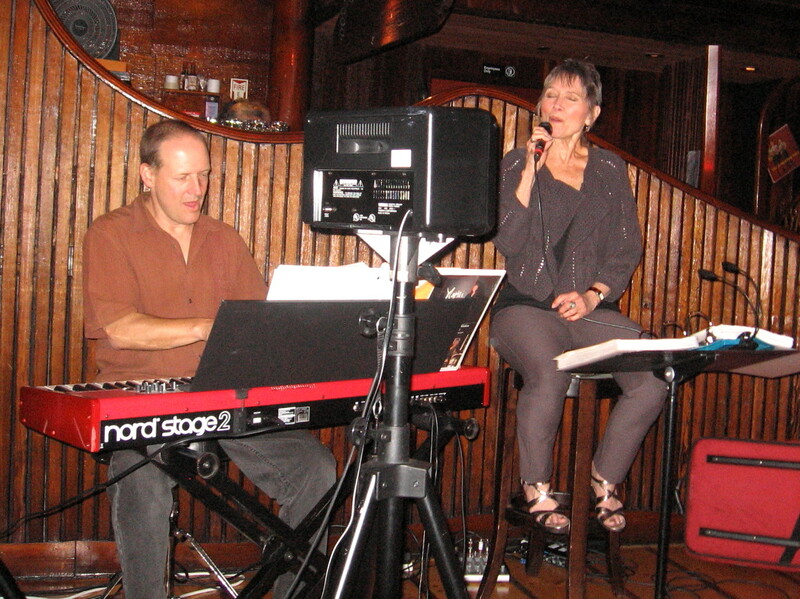 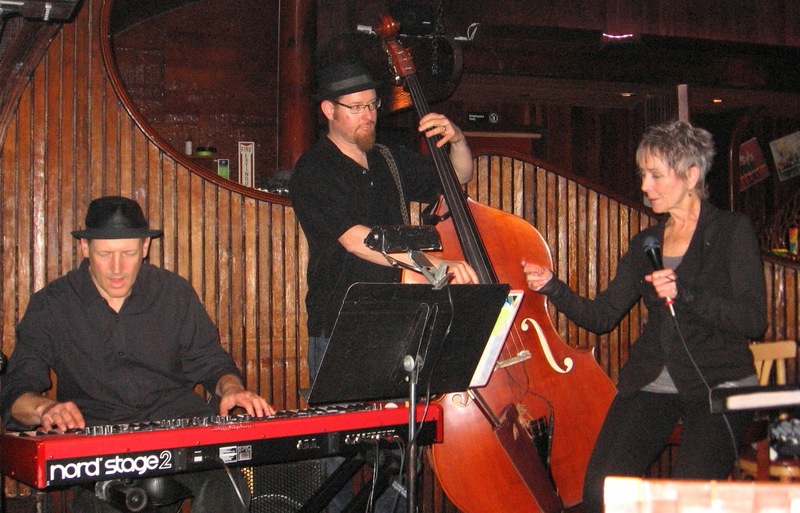 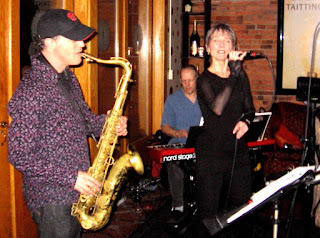 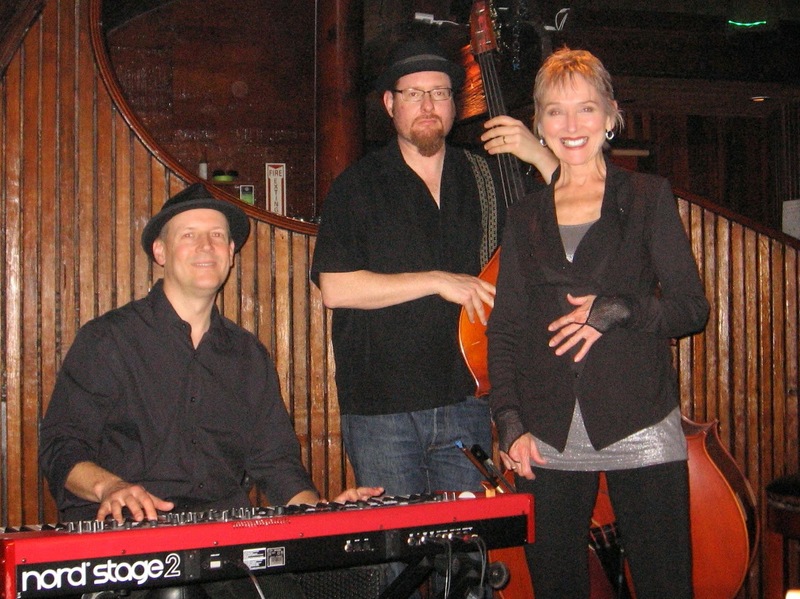 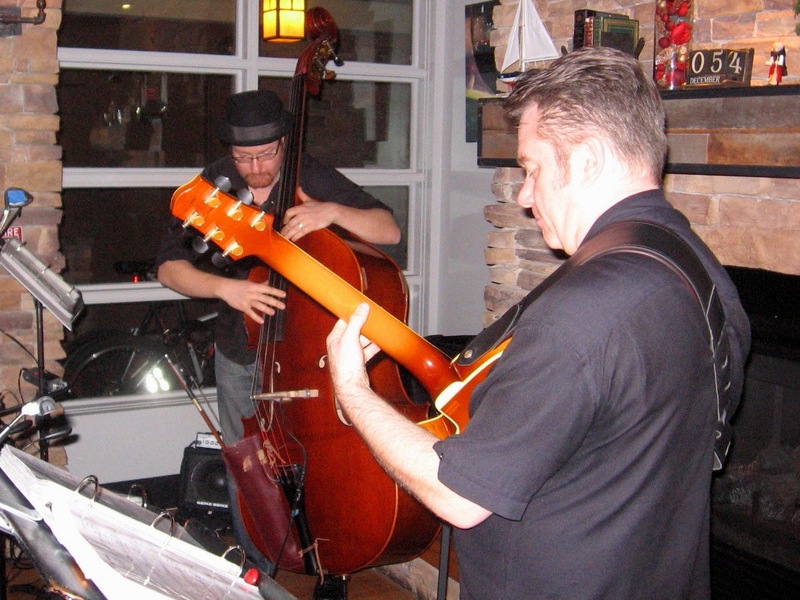 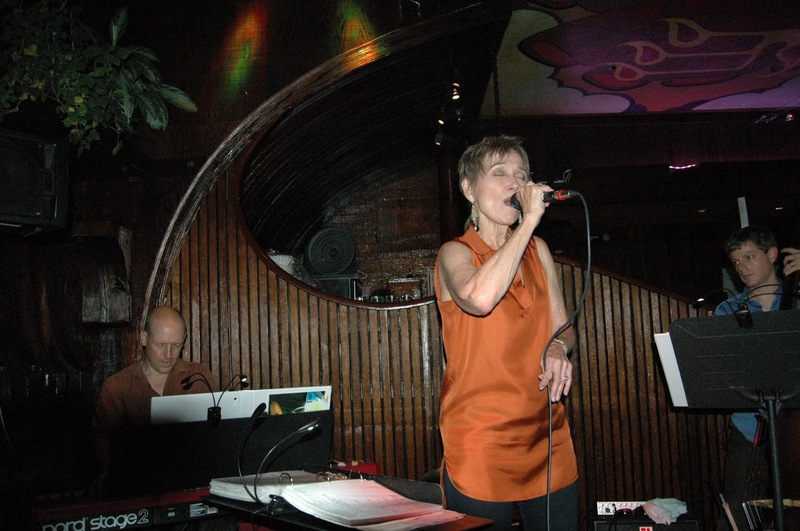 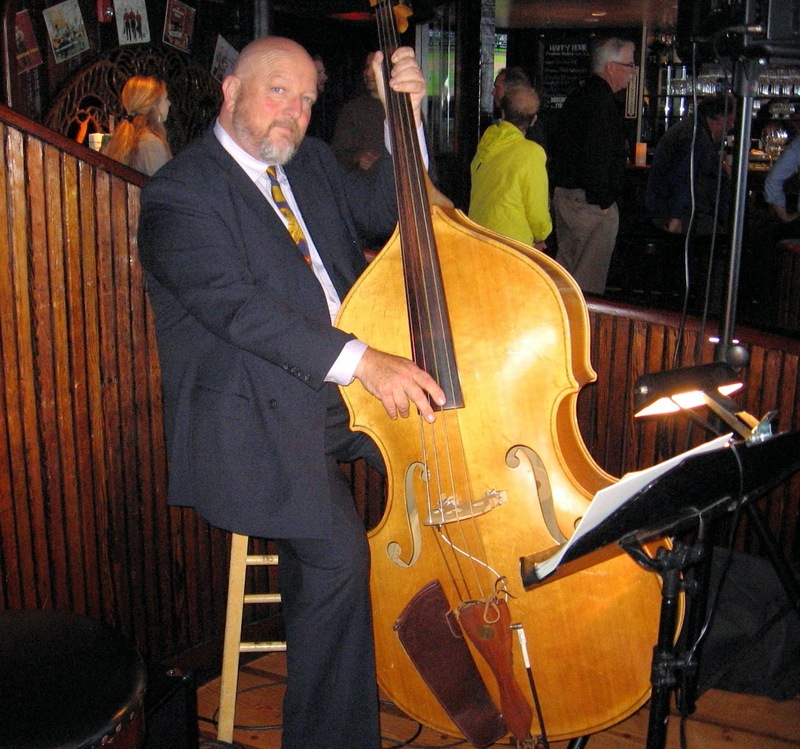 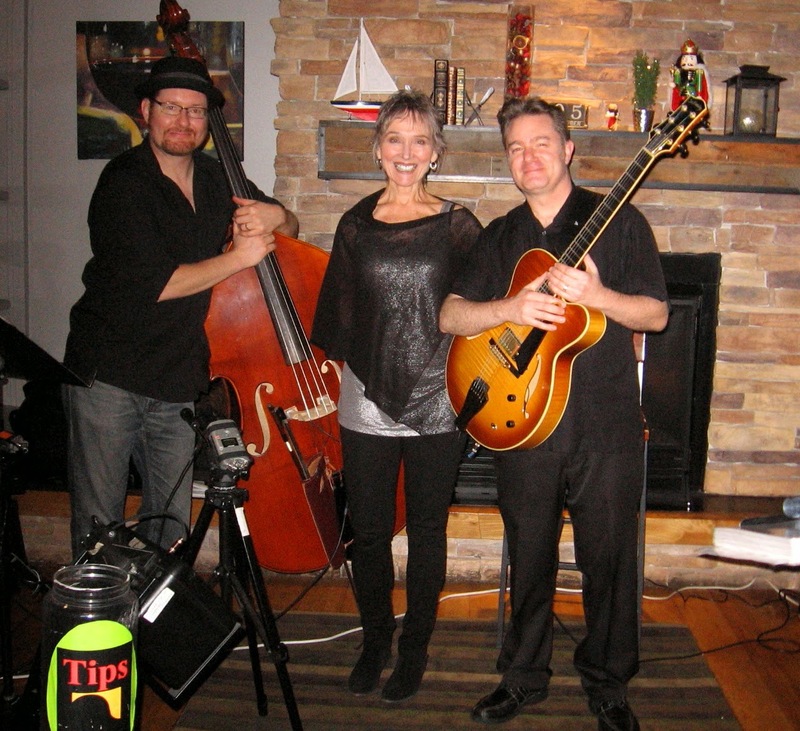 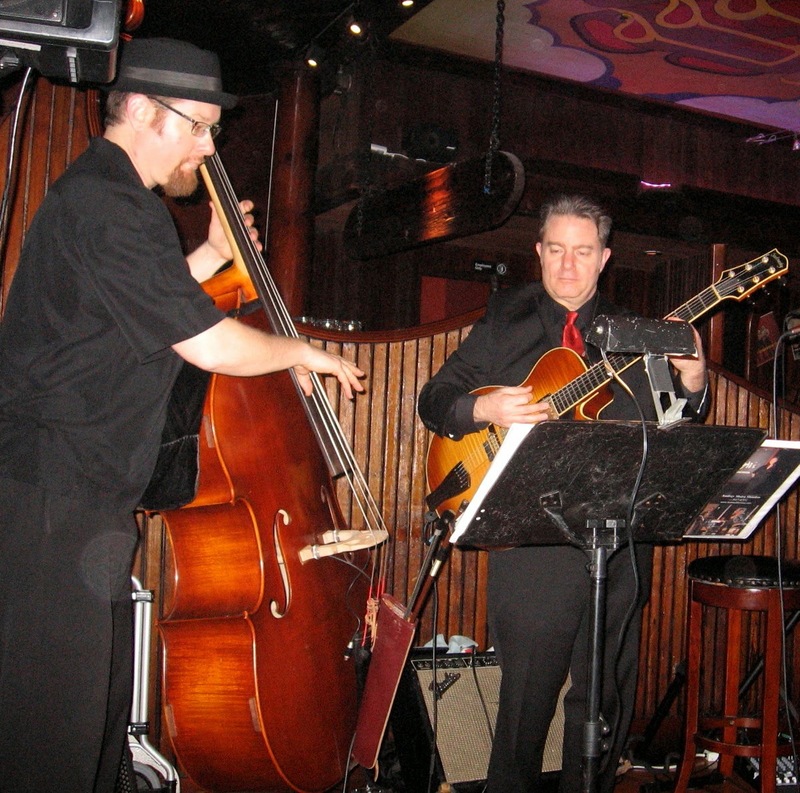 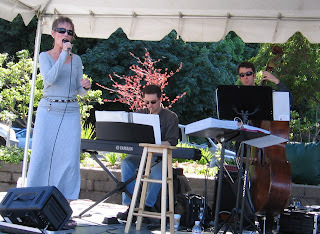 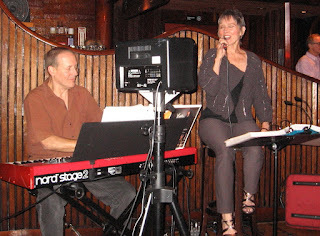 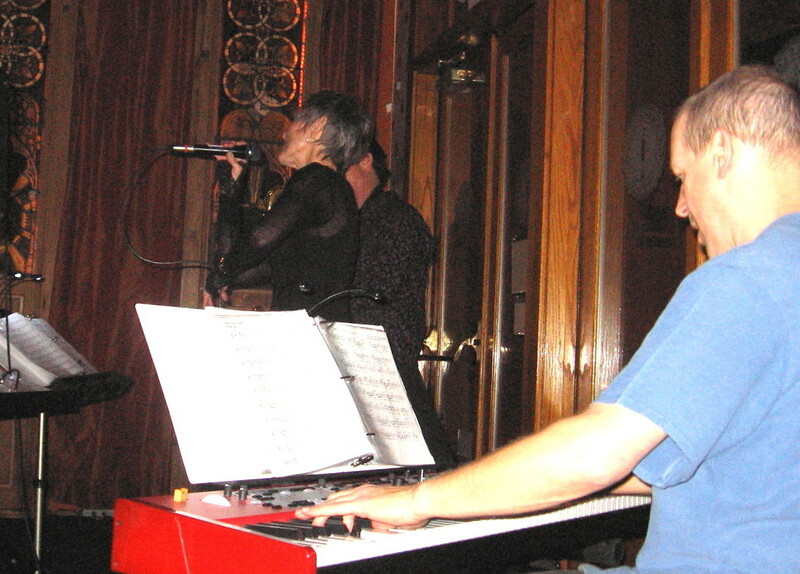 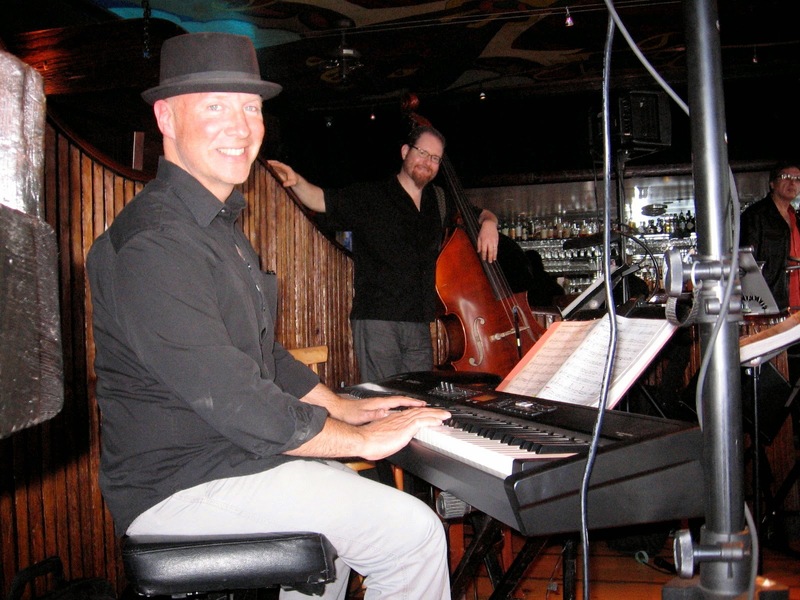 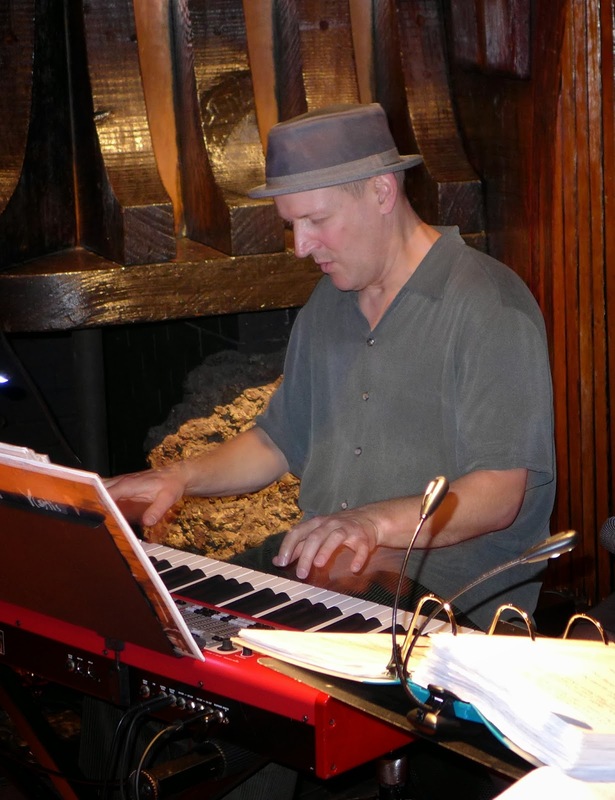 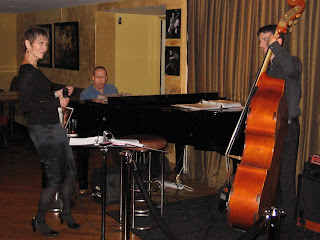 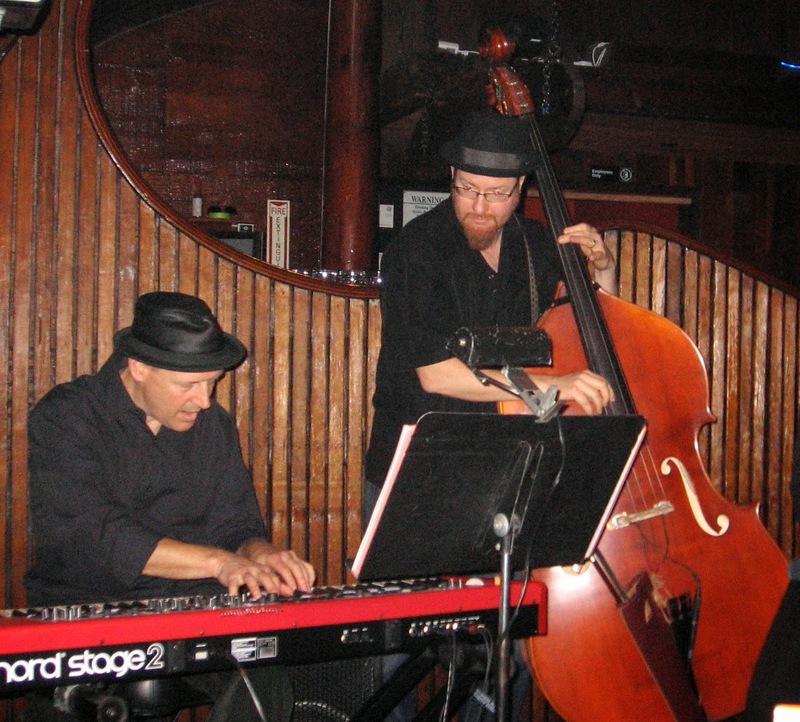 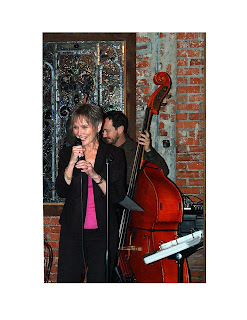 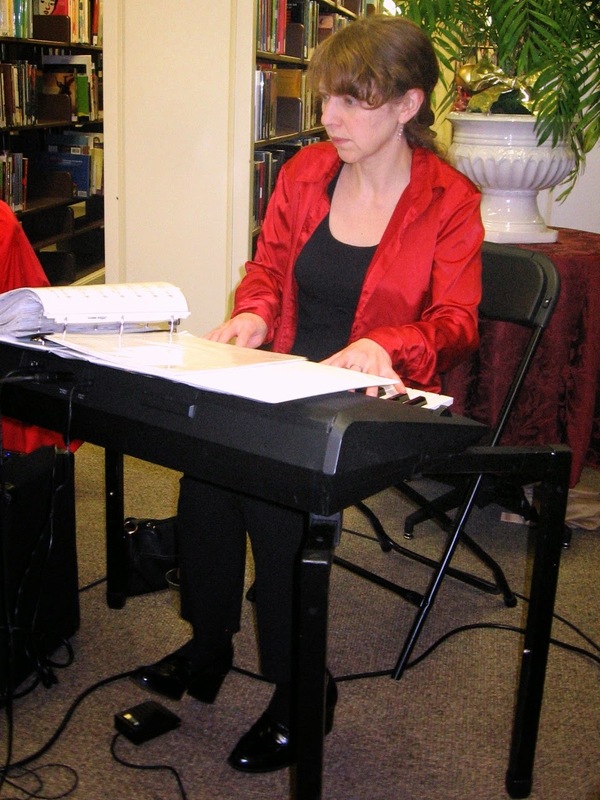 with Dean Muench on bass and Michael Parsons on keyboard. 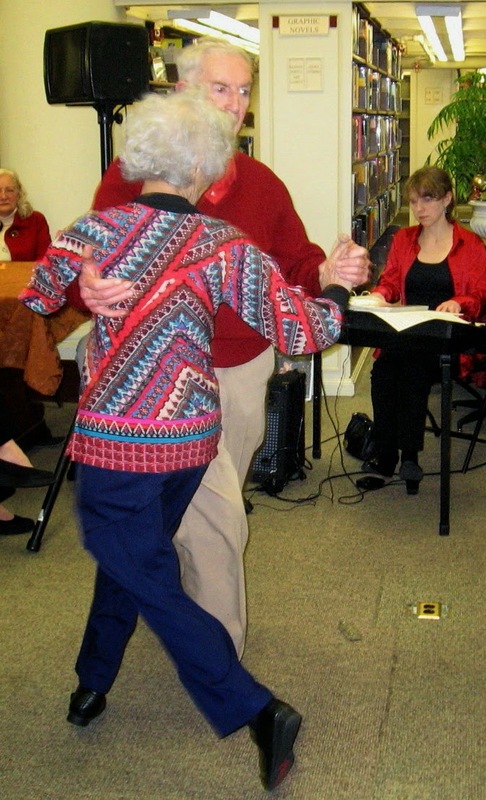 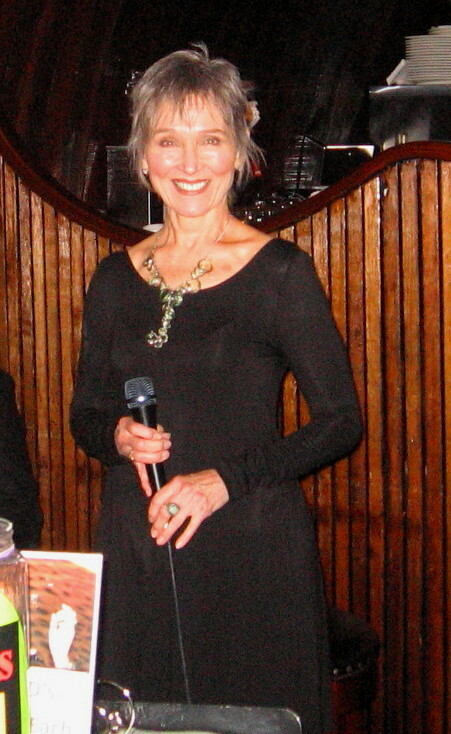 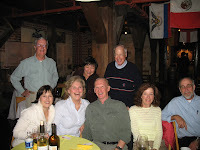 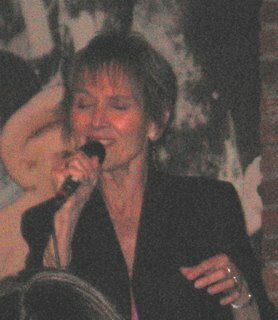 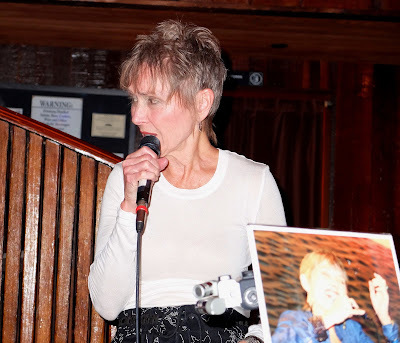 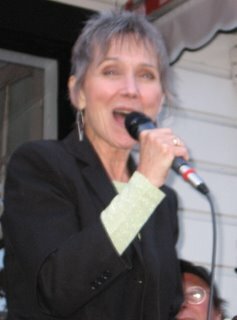 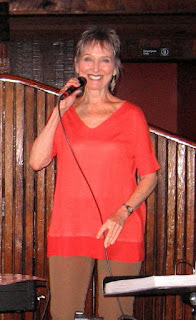 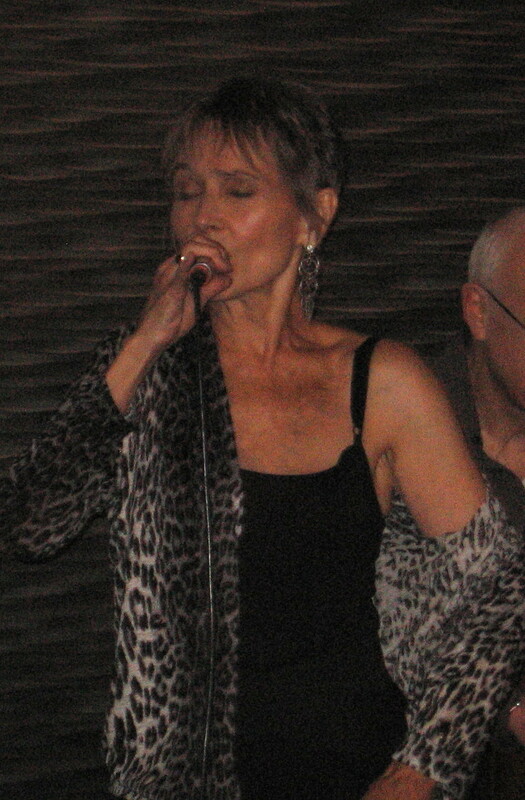 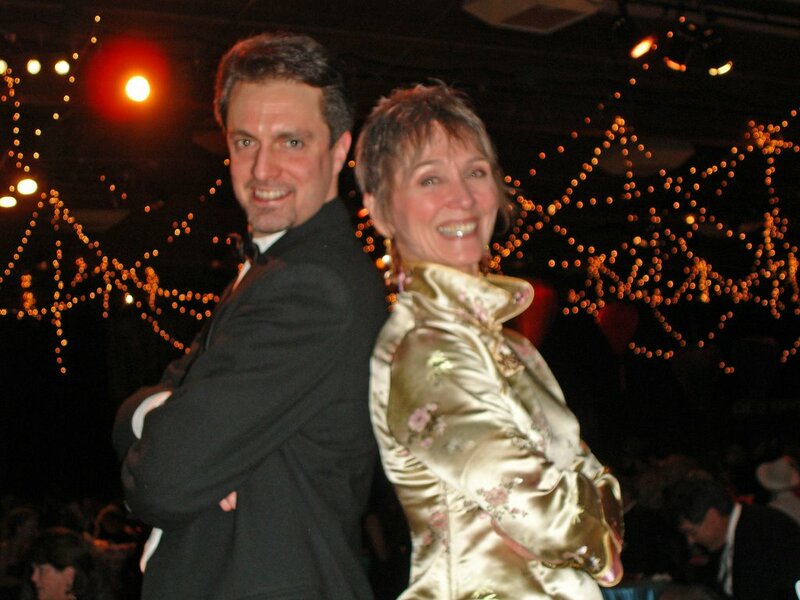 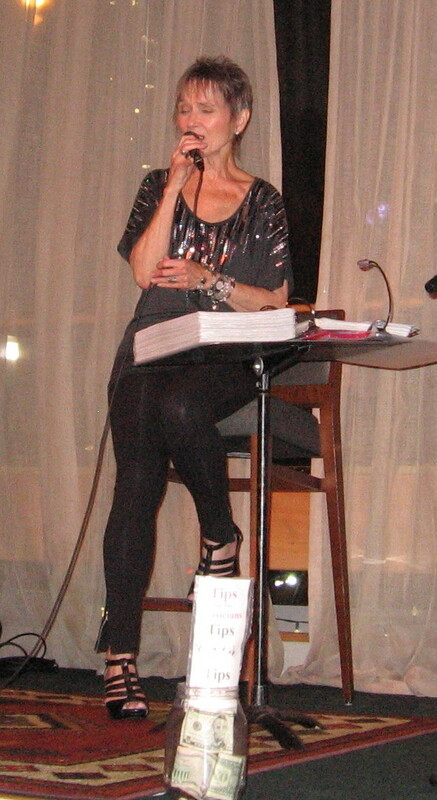 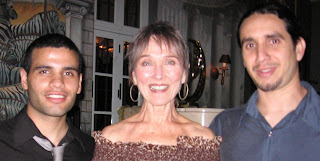 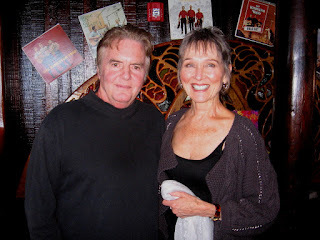 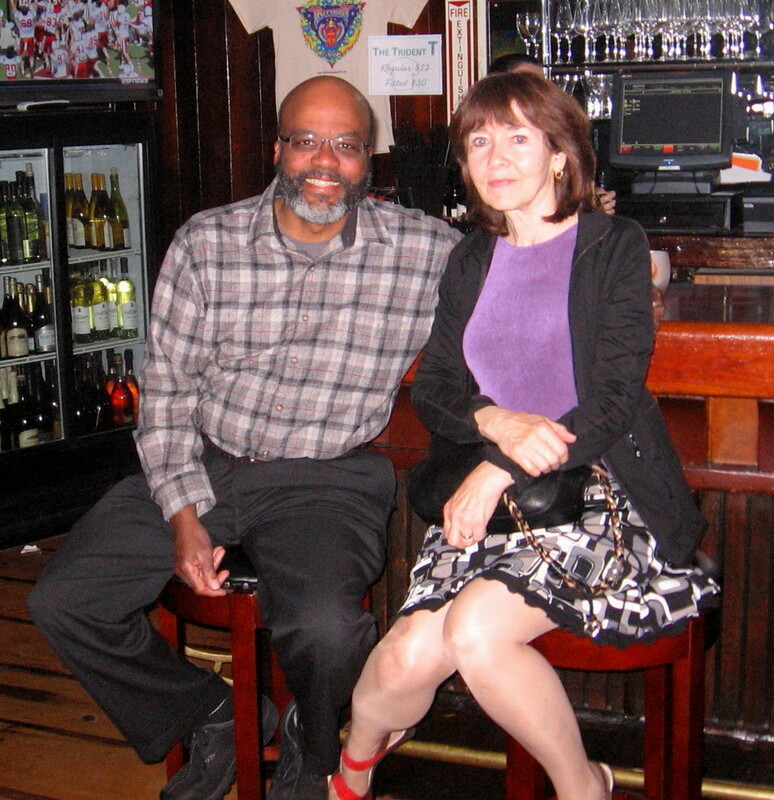 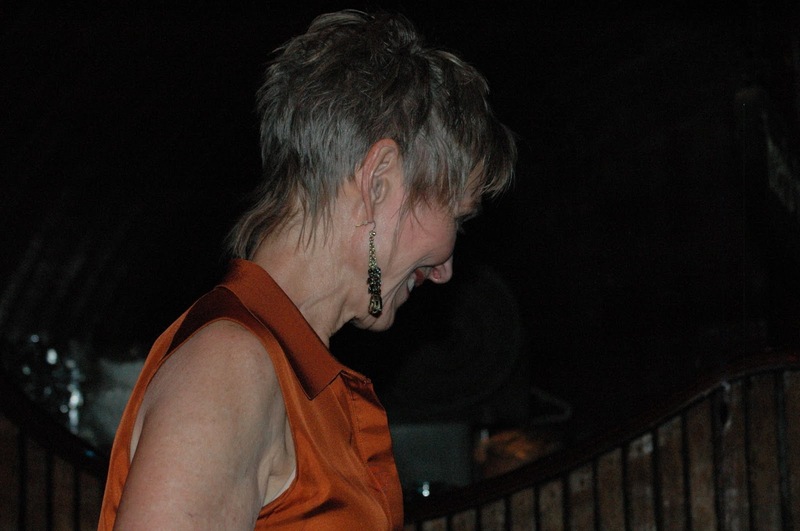 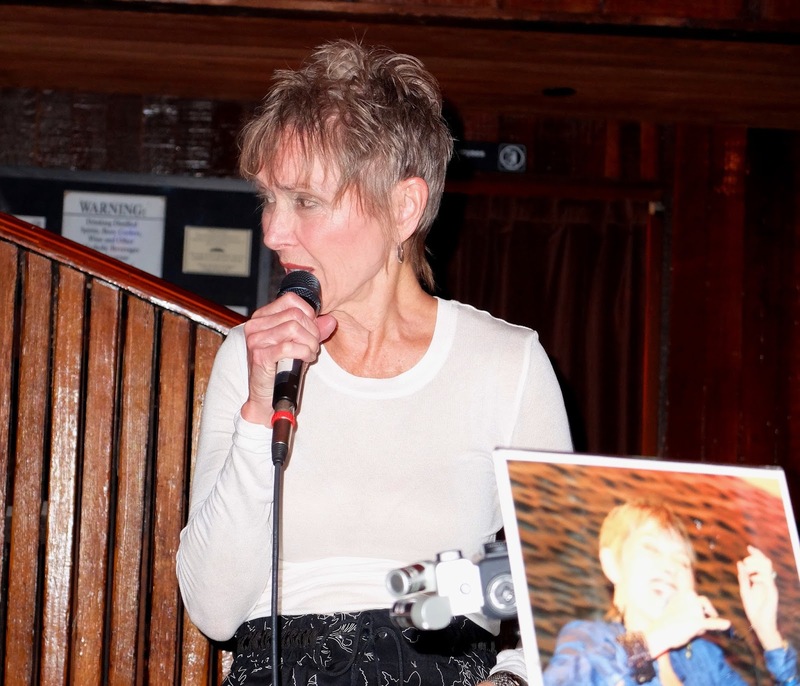 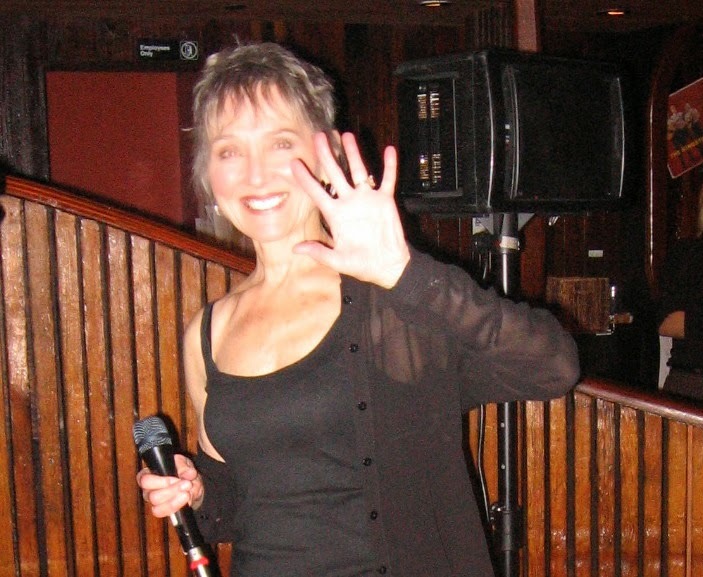 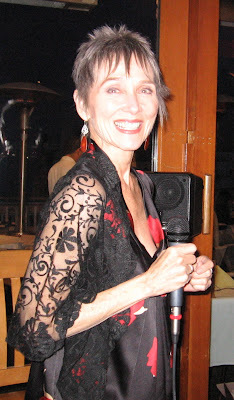 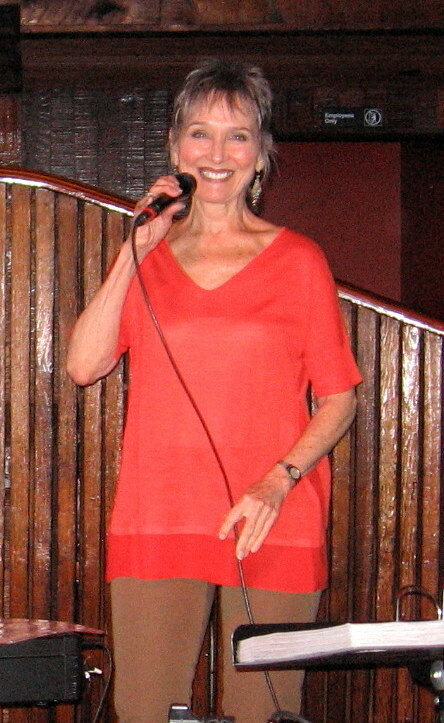 "A Night at the Charleston" Fundraiser. 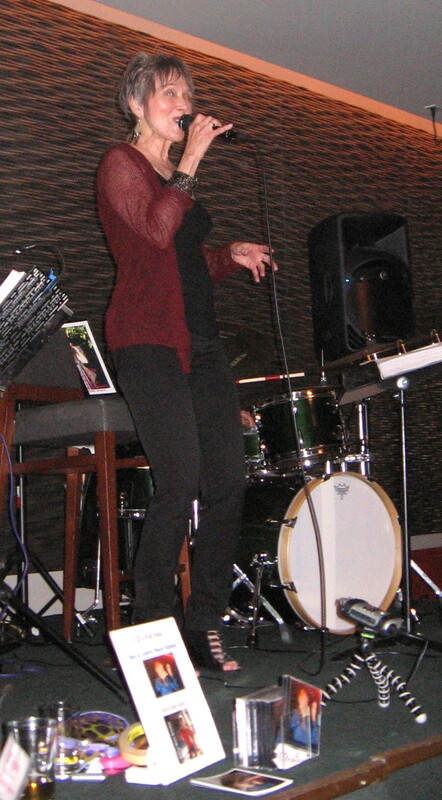 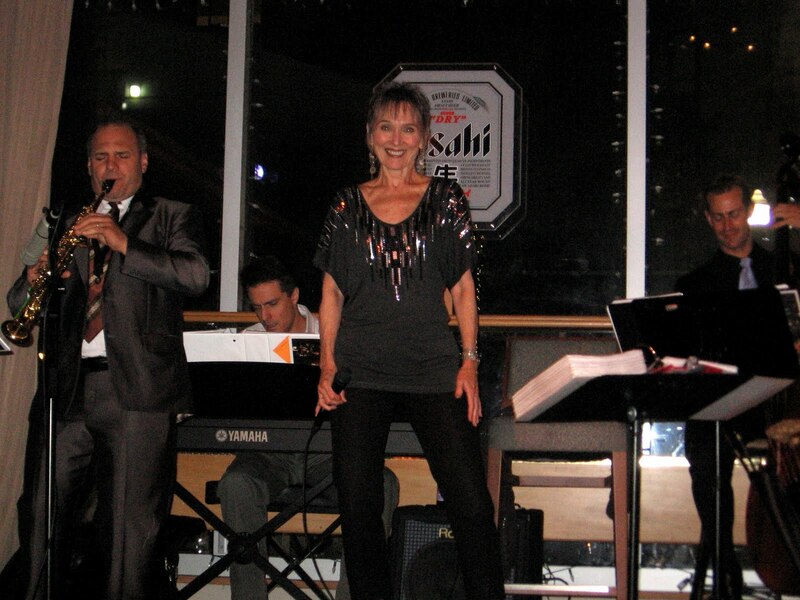 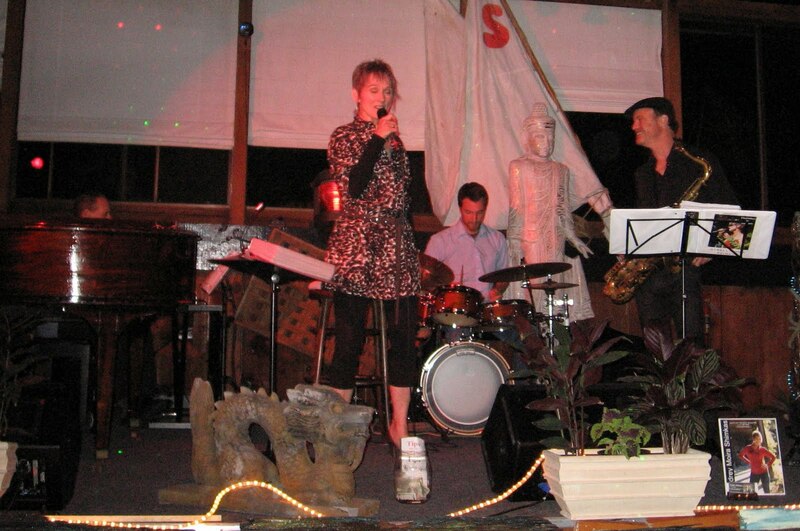 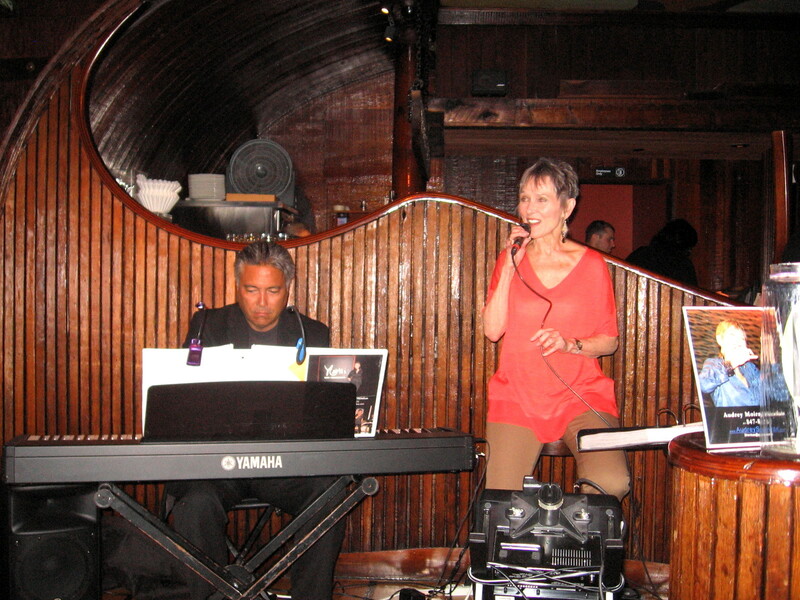 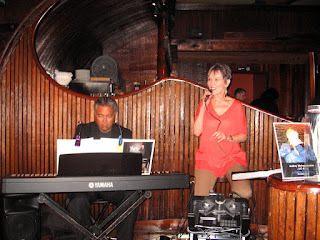 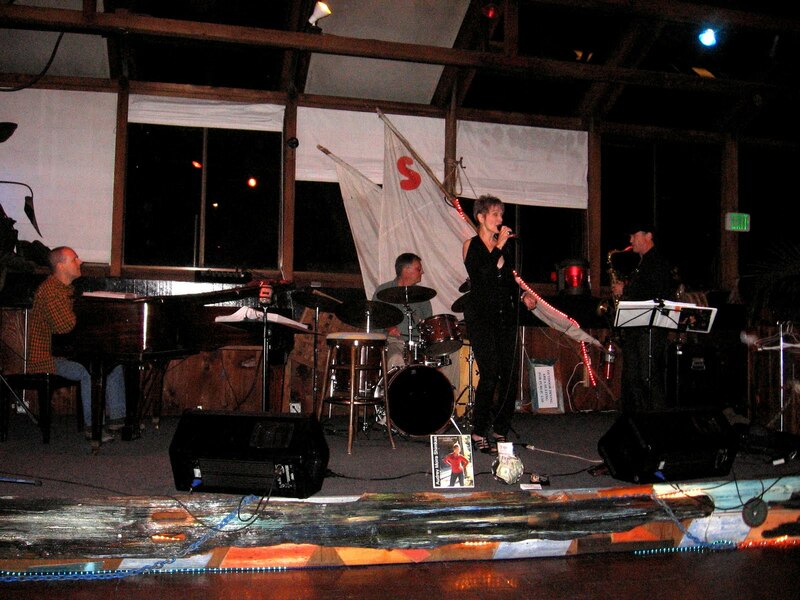 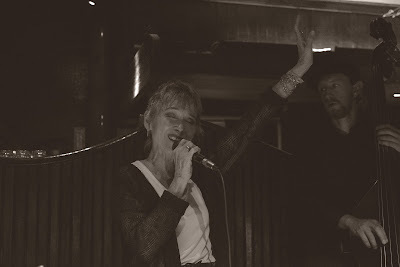 We had a great time performing at Seahorse, great crowd, the band was really getting into it with some new rhythms. 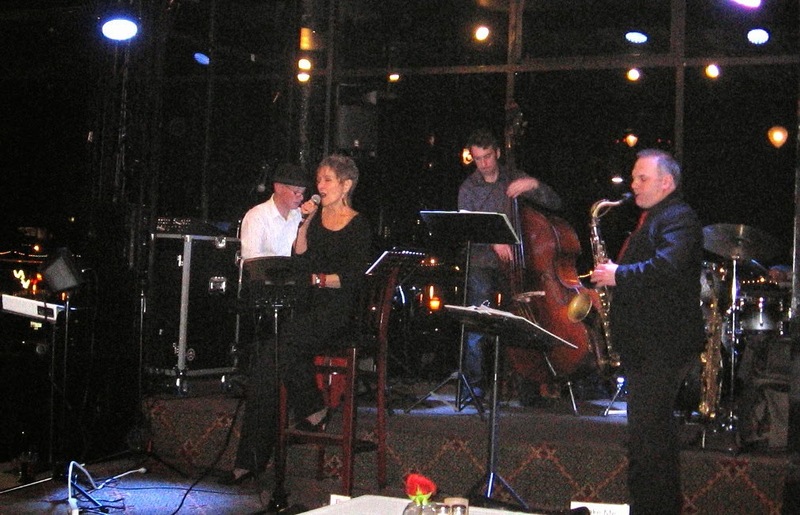 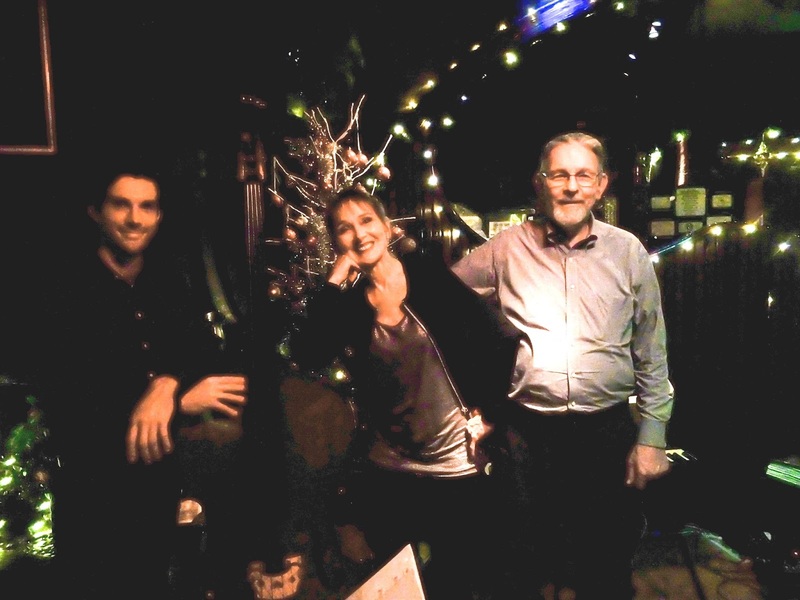 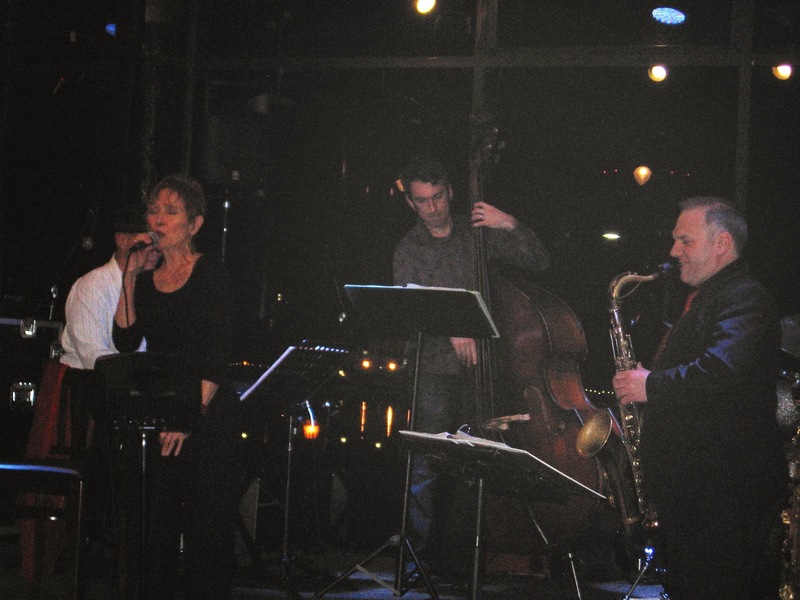 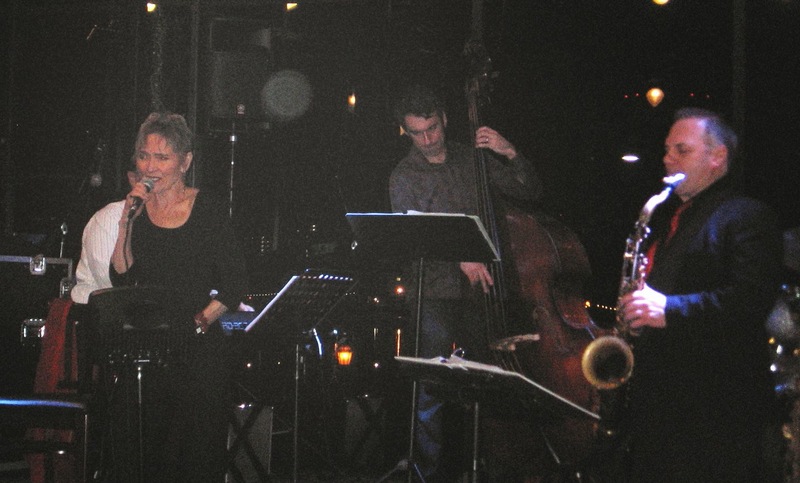 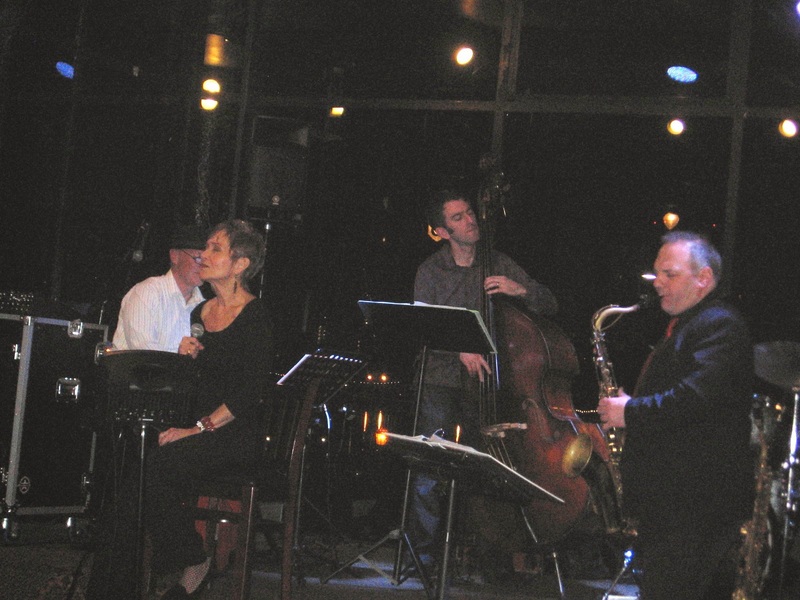 Performing with the quartet at Seahorse with guest artist Graham Bruce on trumpet. 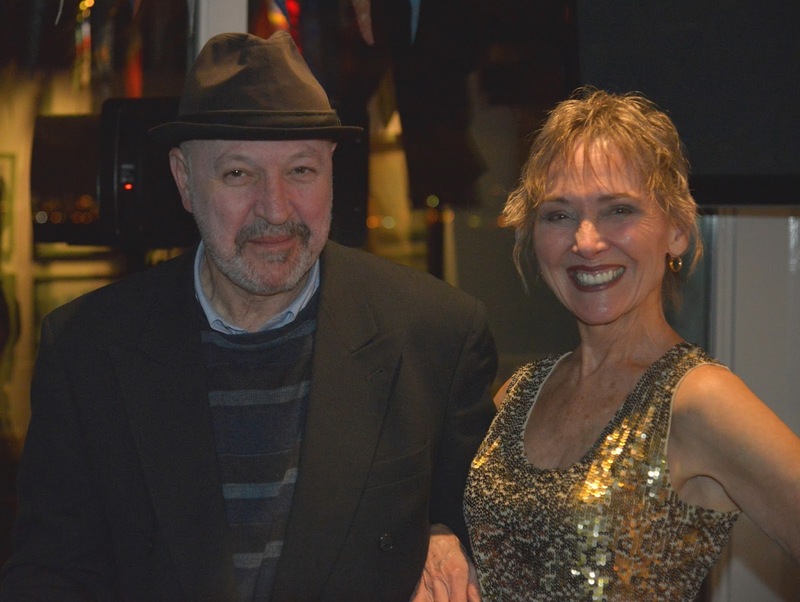 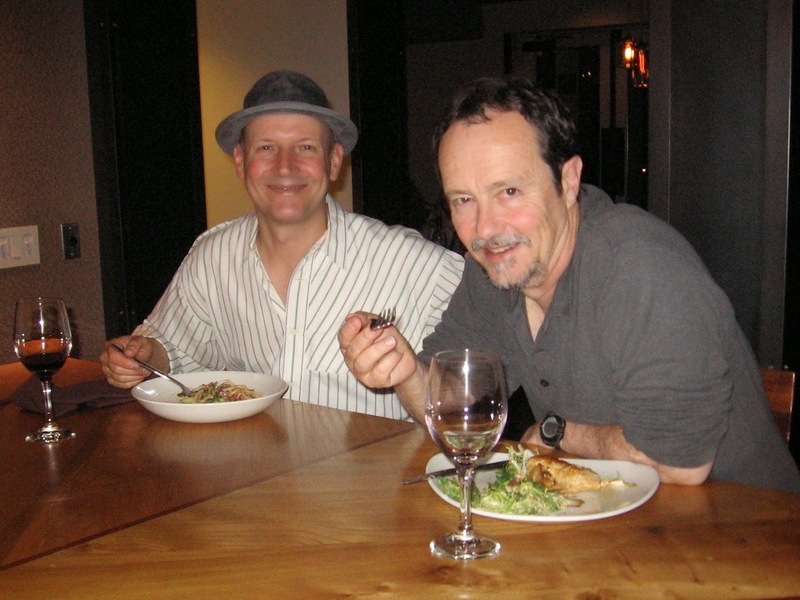 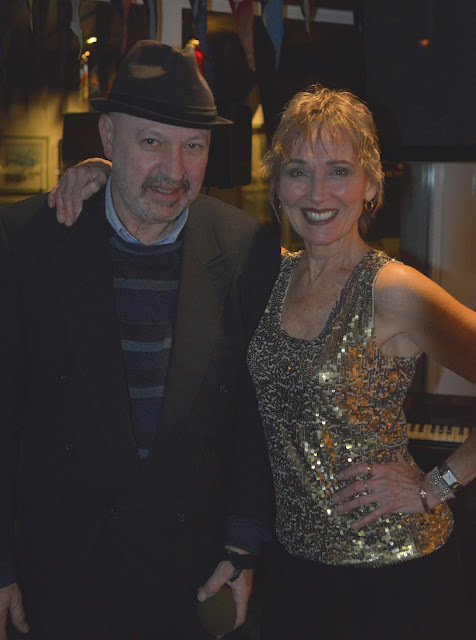 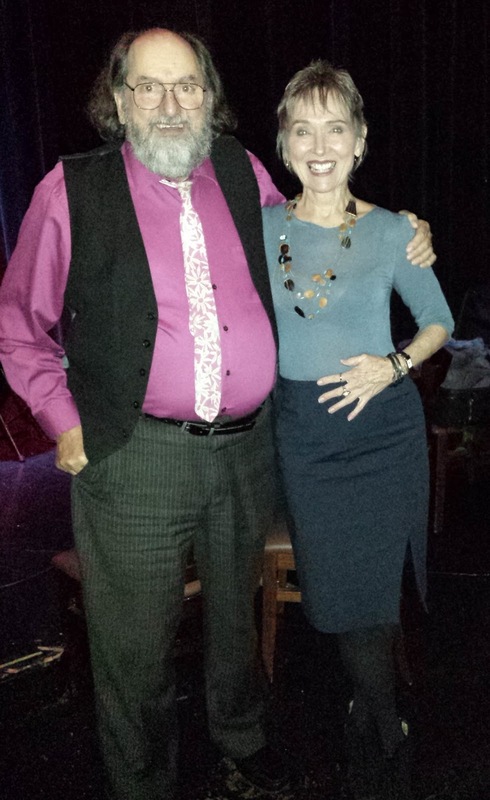 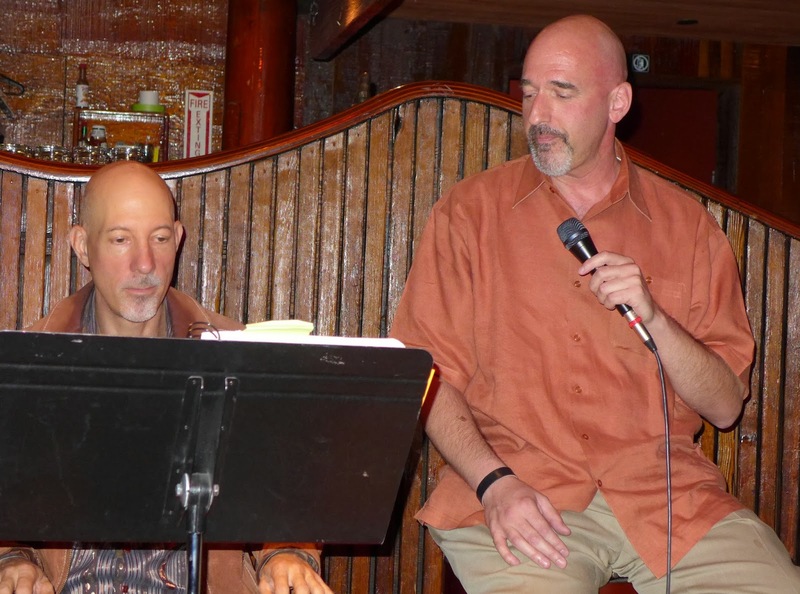 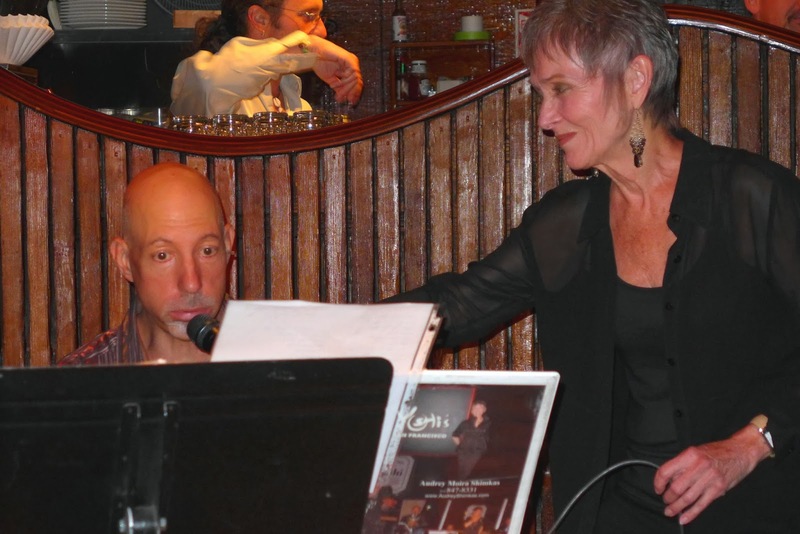 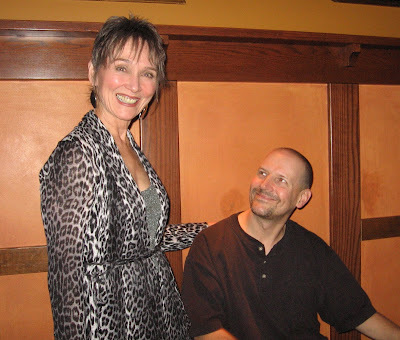 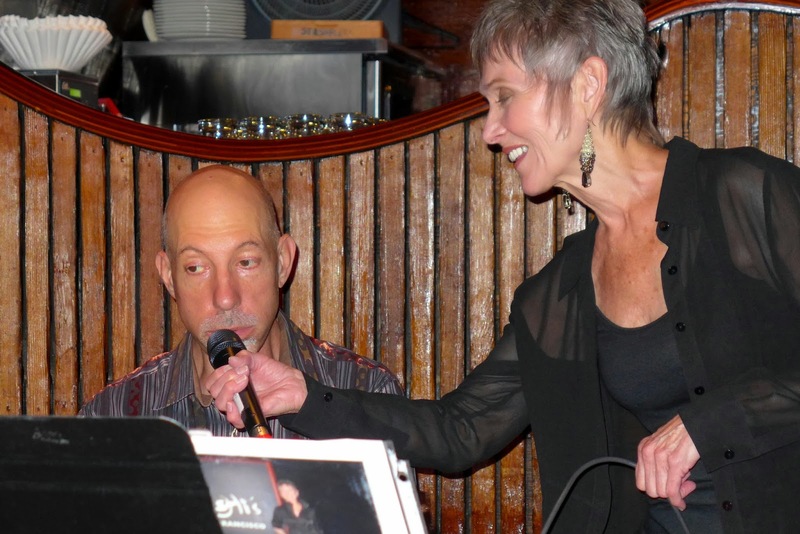 Stan Sinberg & myself celebrating NYE at Seahorse. 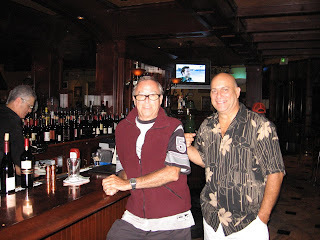 thanks to Mick Suverkrubbe, owner of The Parlor and The Cosmopolitan. 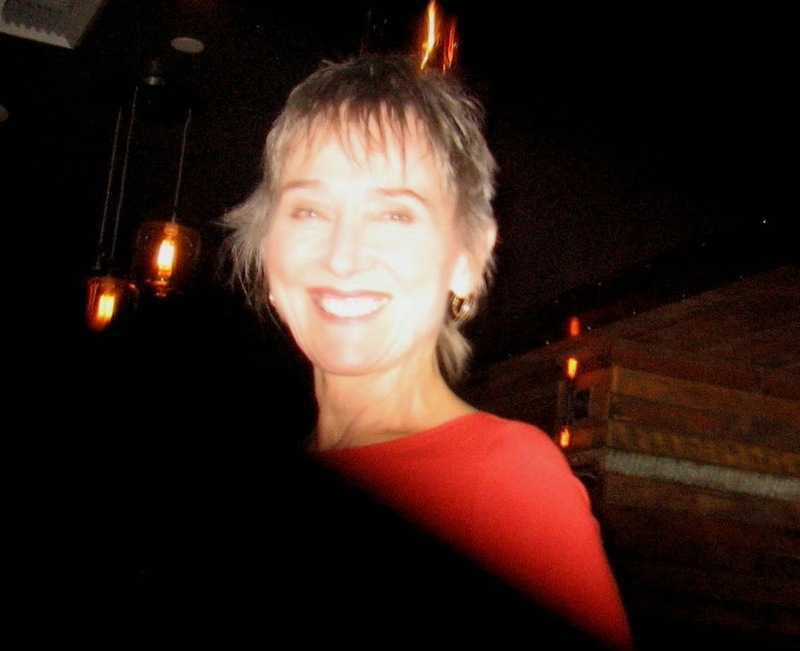 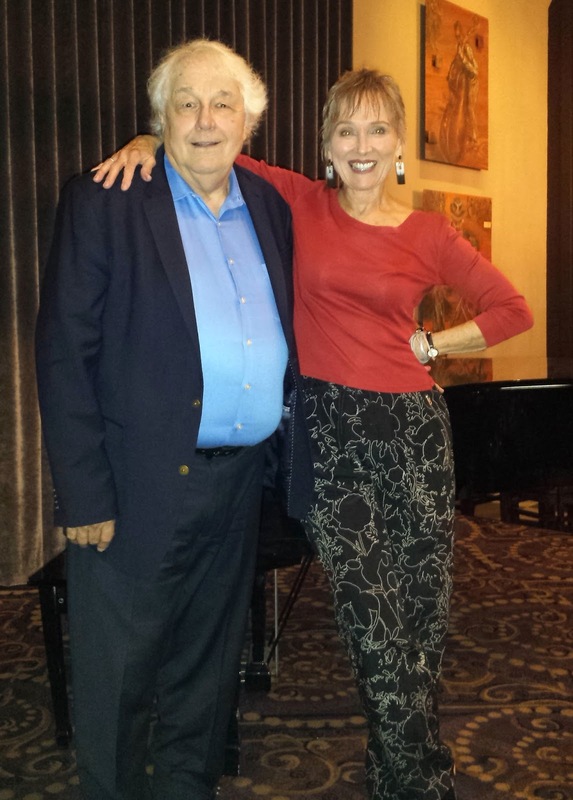 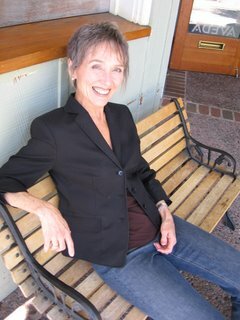 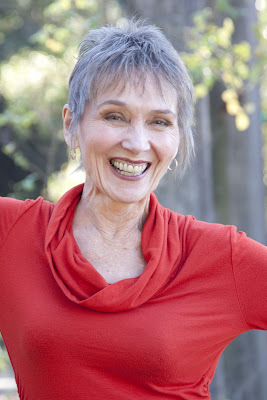 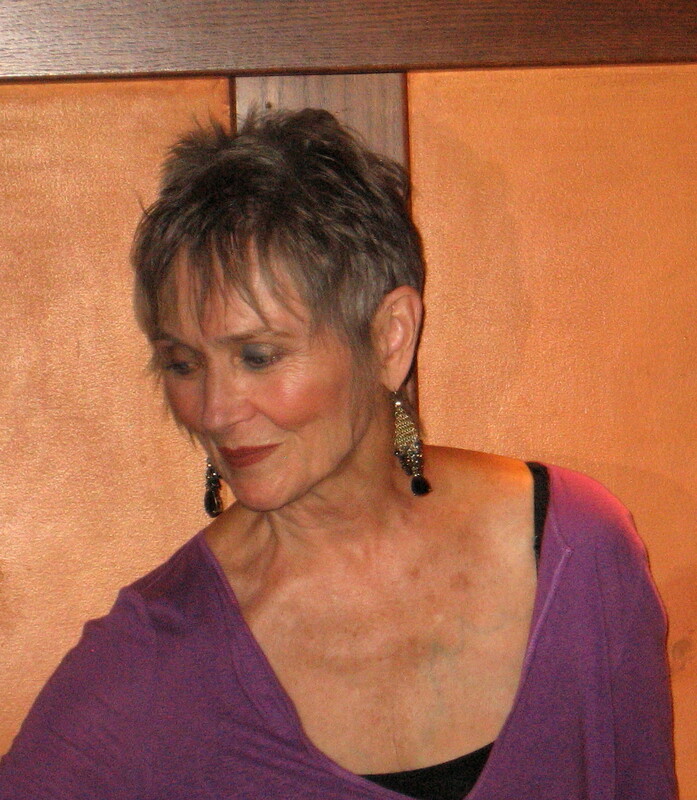 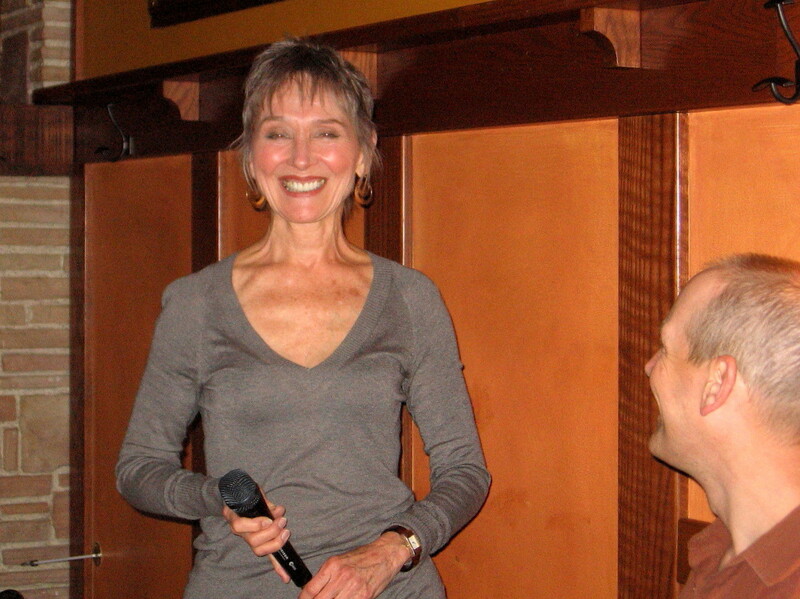 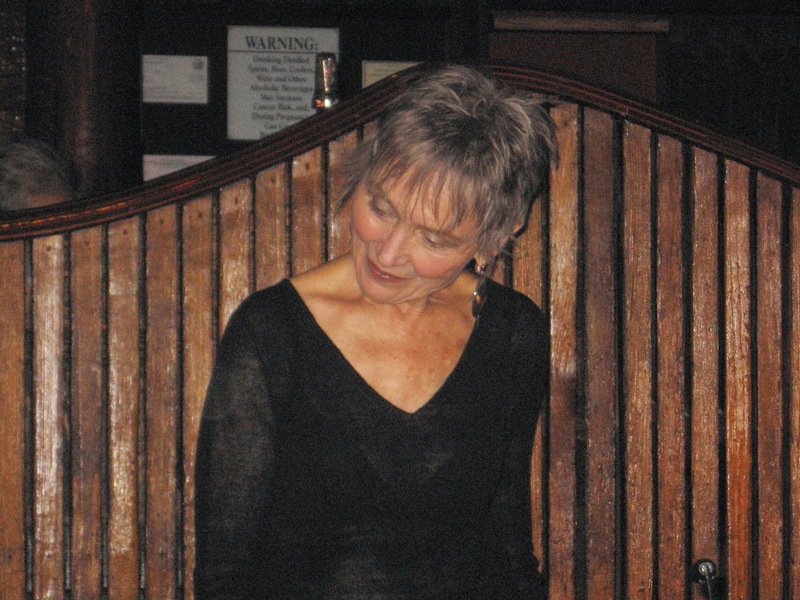 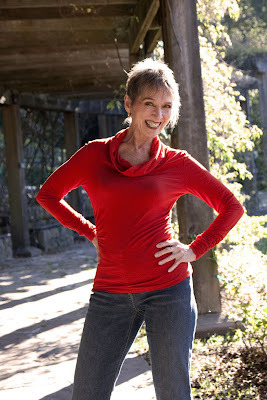 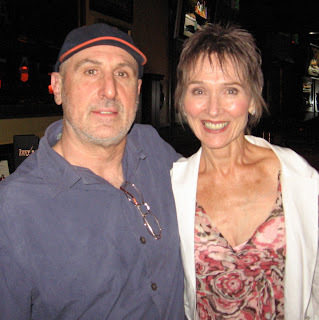 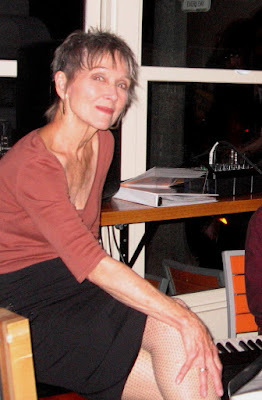 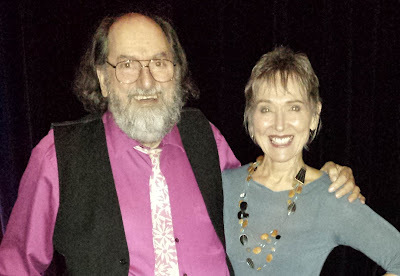 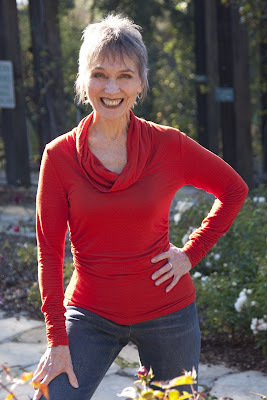 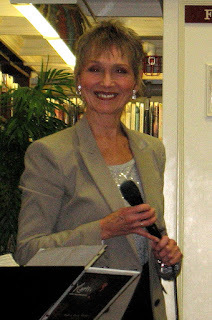 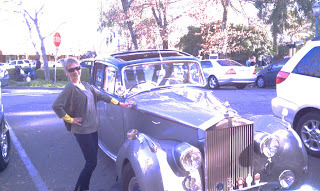 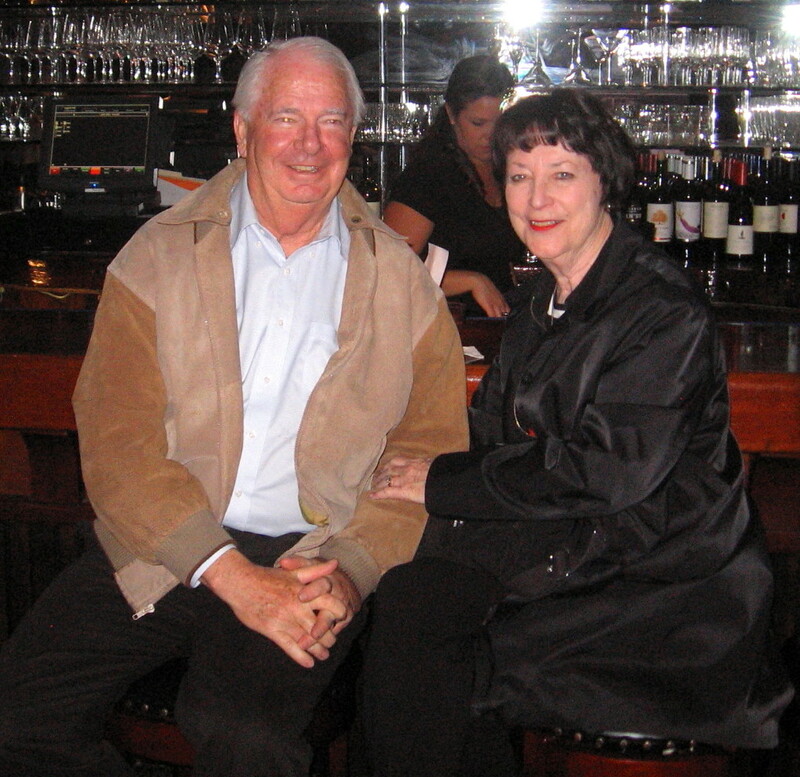 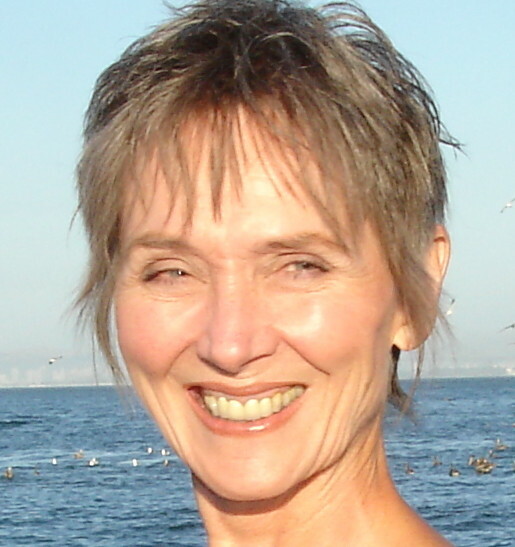 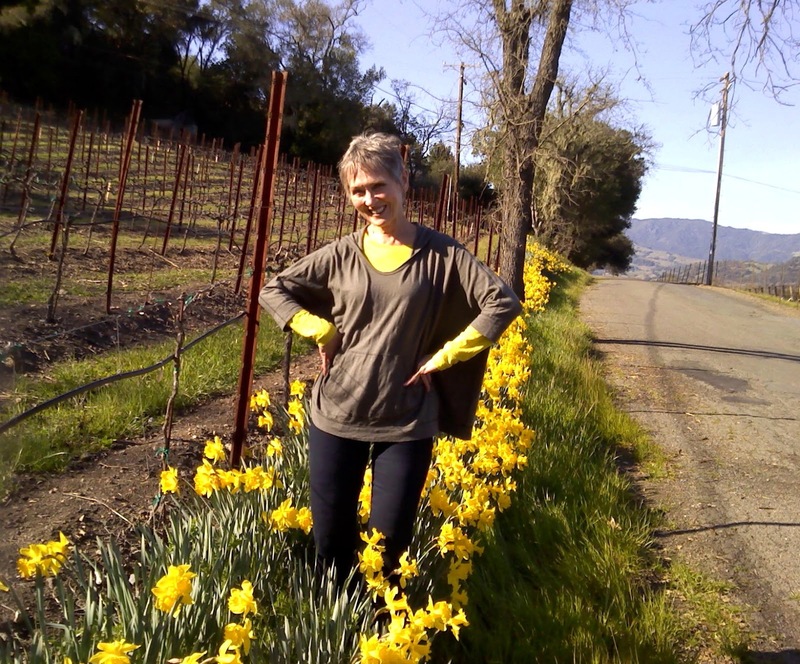 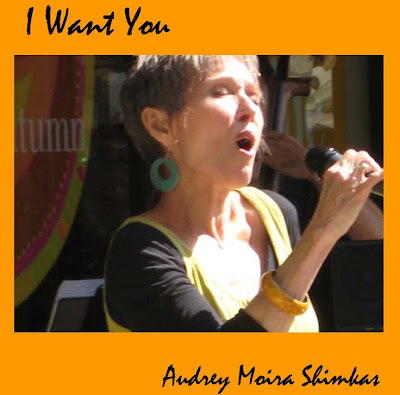 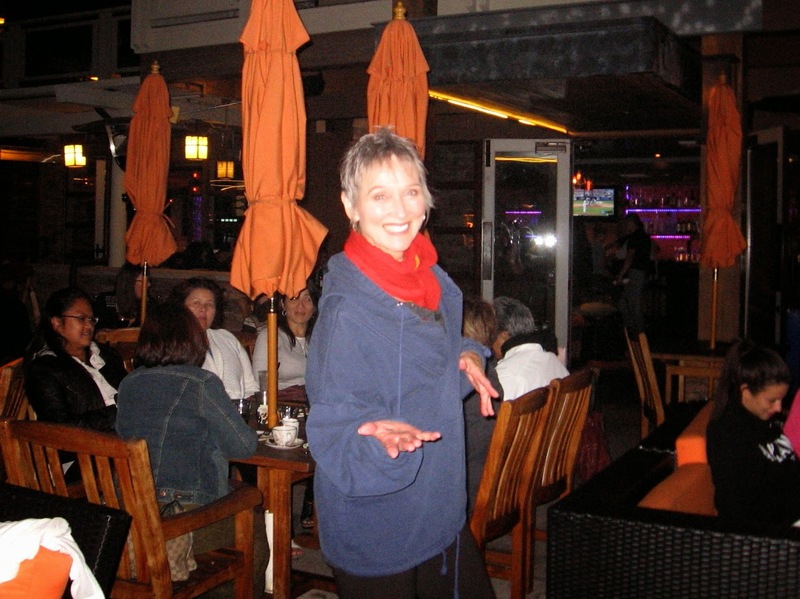 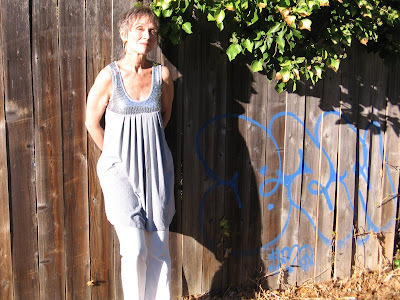 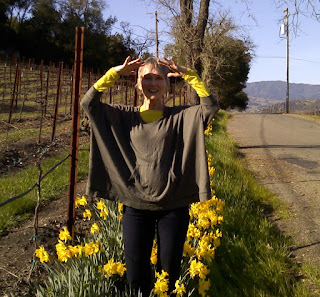 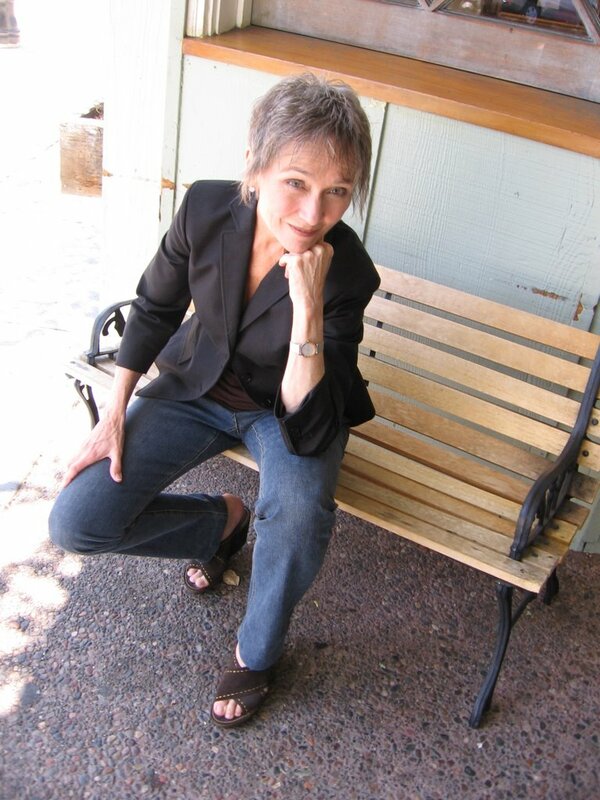 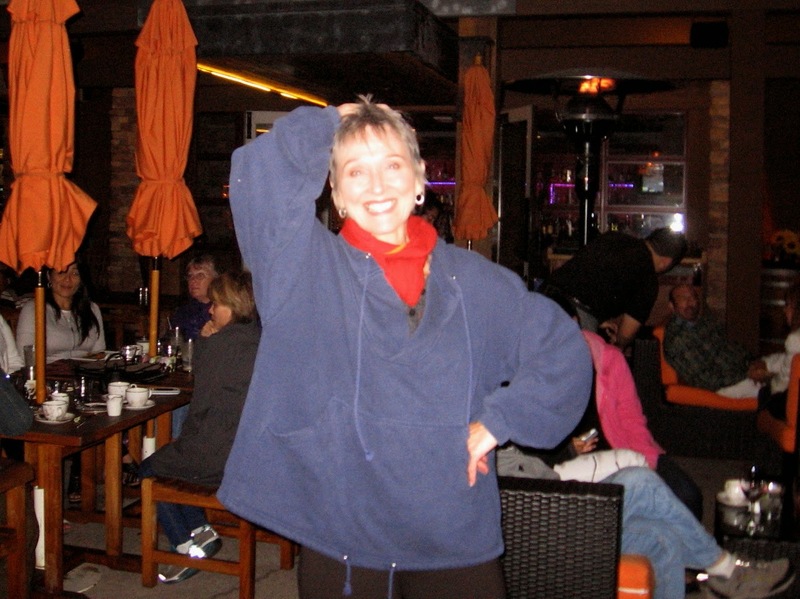 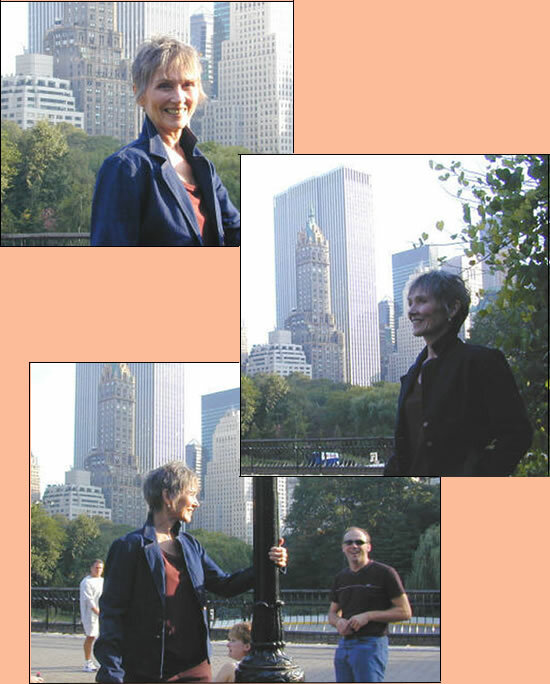 "Audrey Moira Shimkas is a delightful presence with an abundance of warmth, wit, and sophistication. 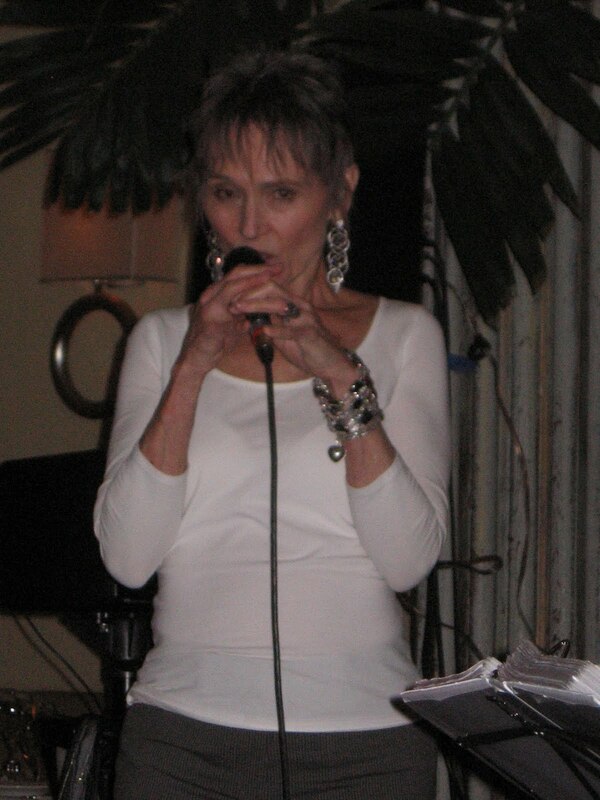 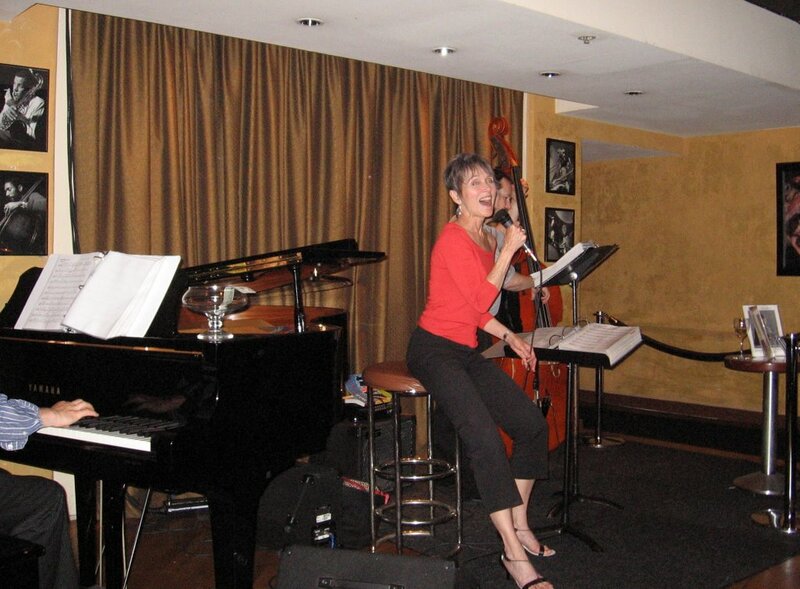 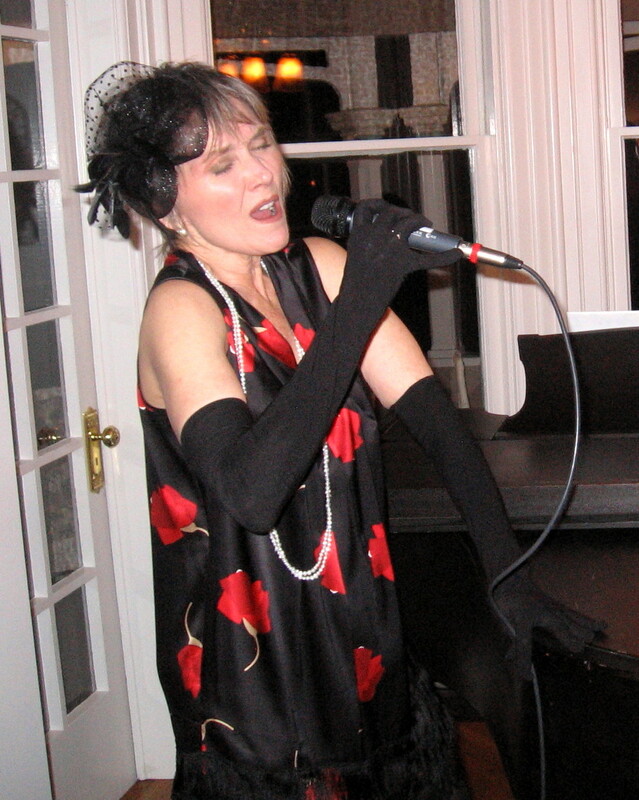 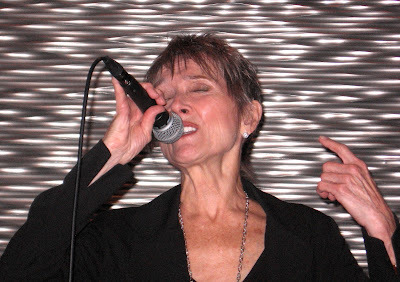 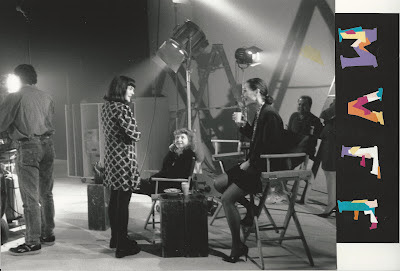 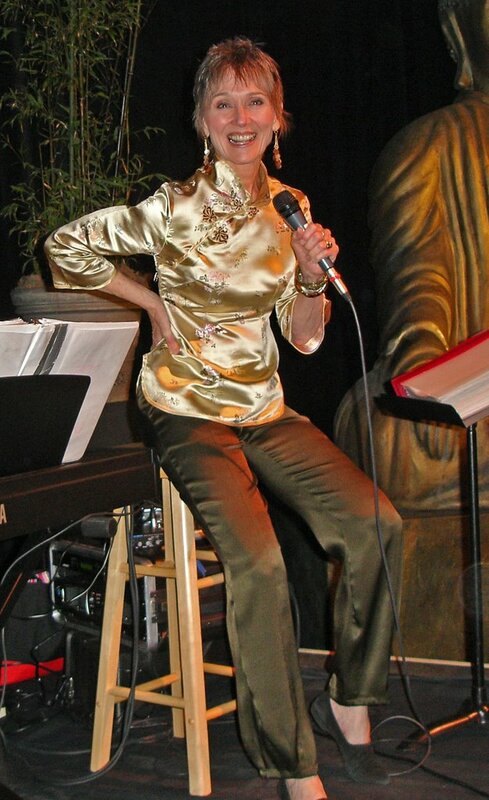 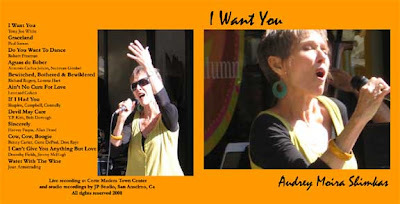 Though a jazz singer by training and temperament, Audrey takes obvious pleasure in a boundless repertory. 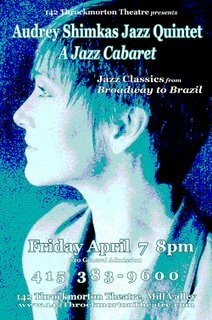 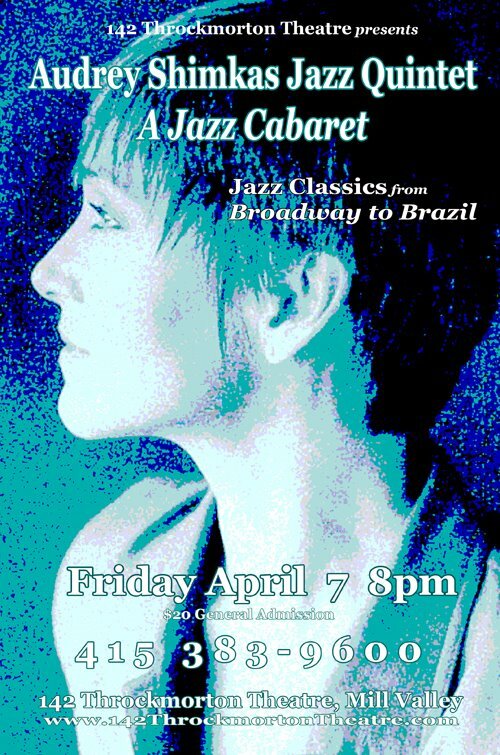 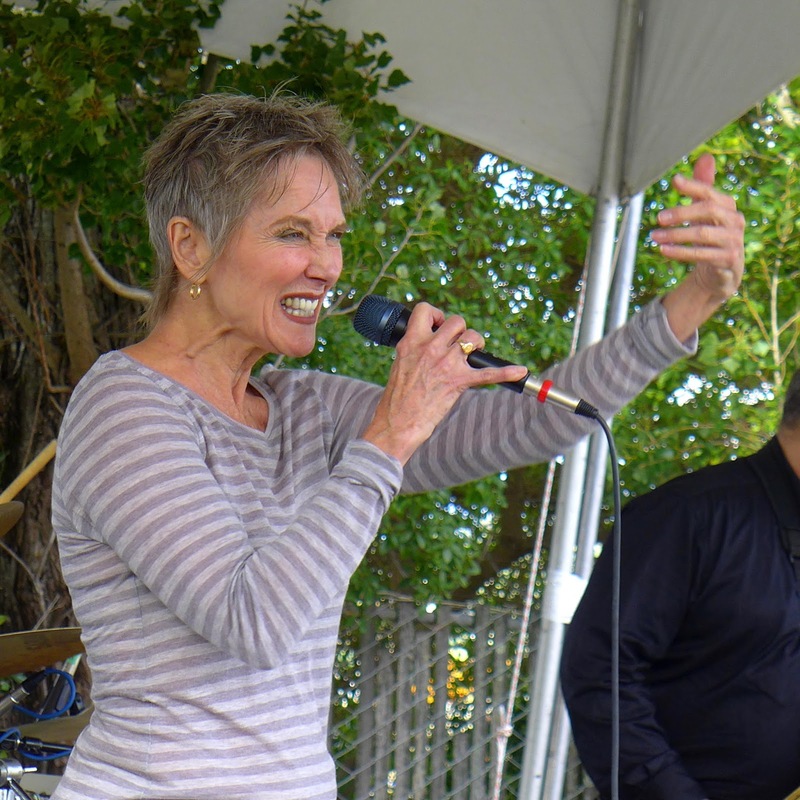 On her exciting, recent album "devil may care" (Anna's Jazz Island), she puts her stamp on a sheaf of American and Brazilian standards, Rock/pop classics and Blues. 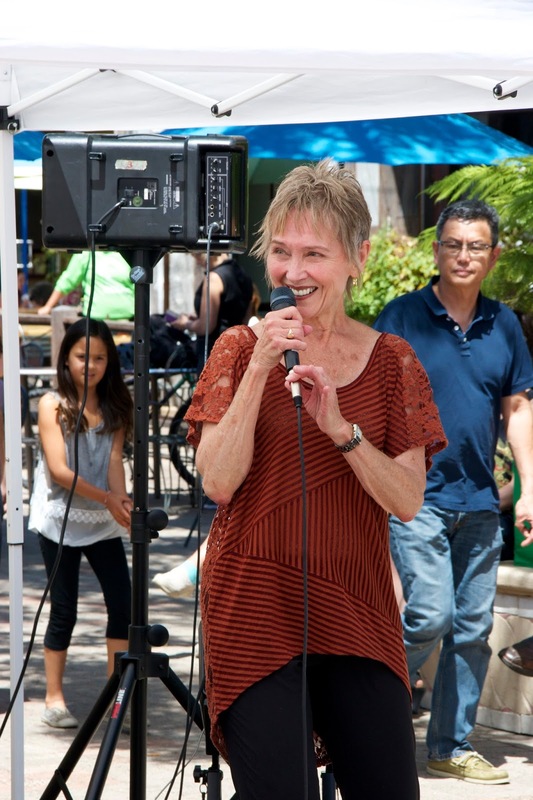 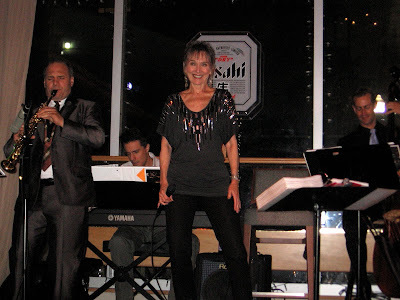 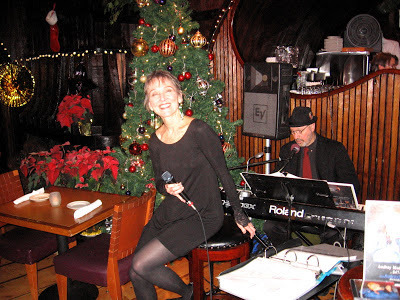 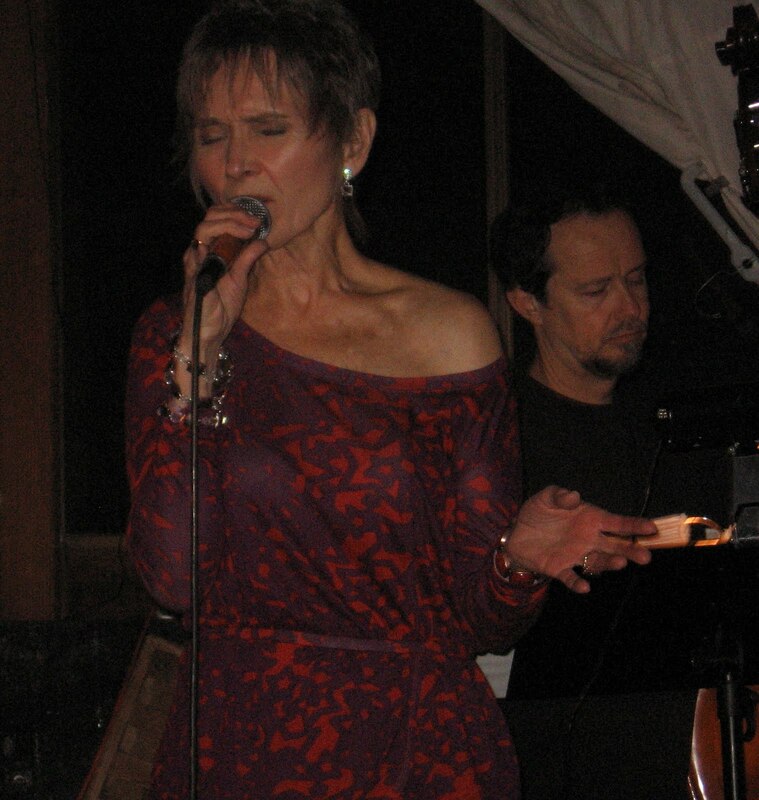 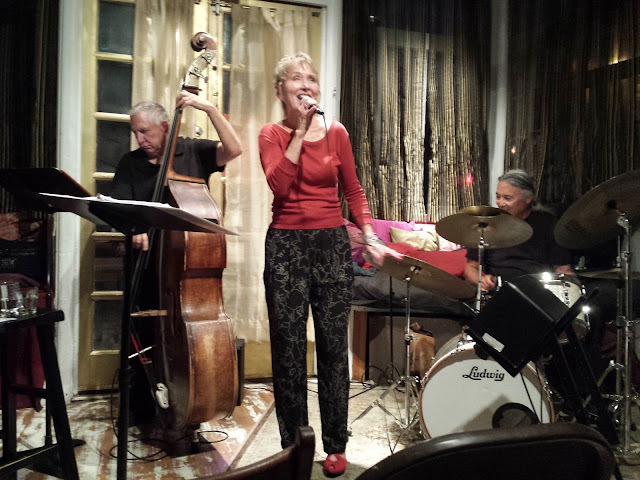 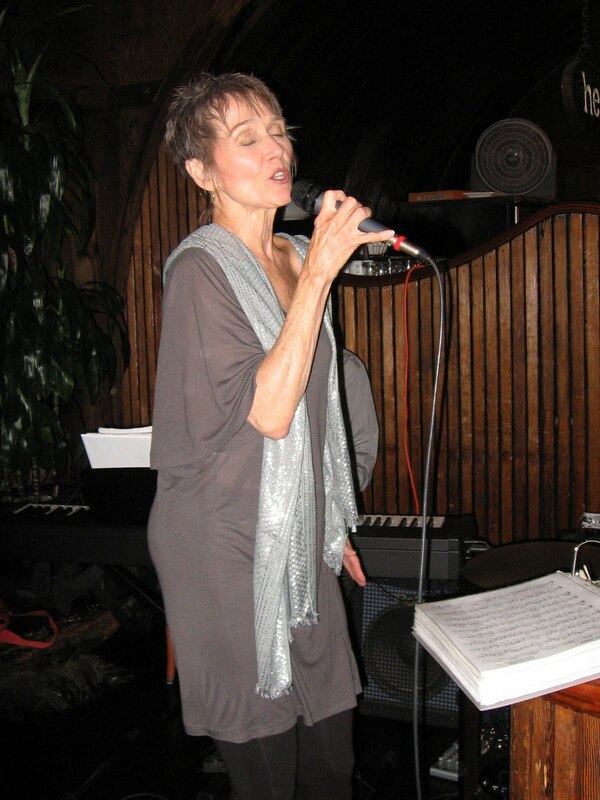 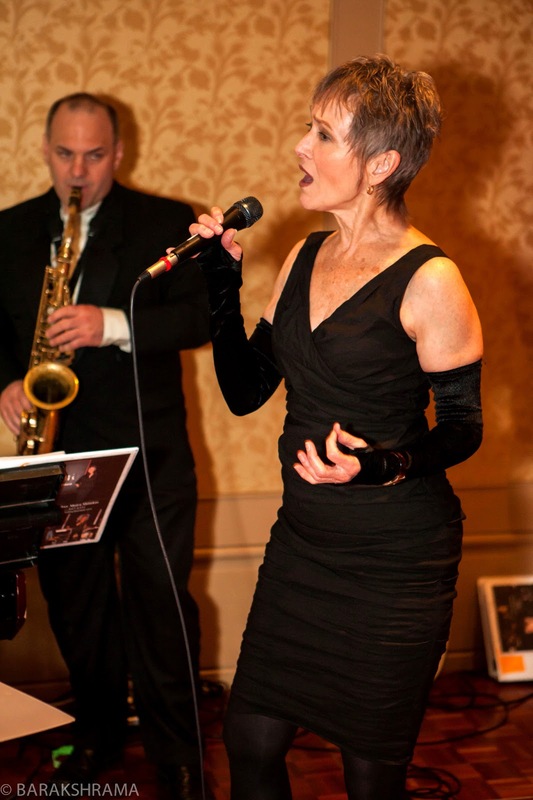 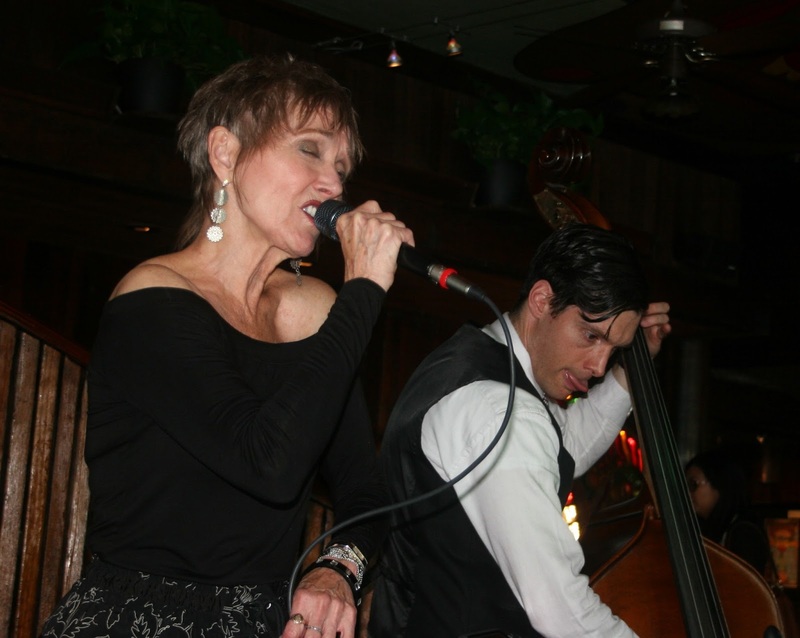 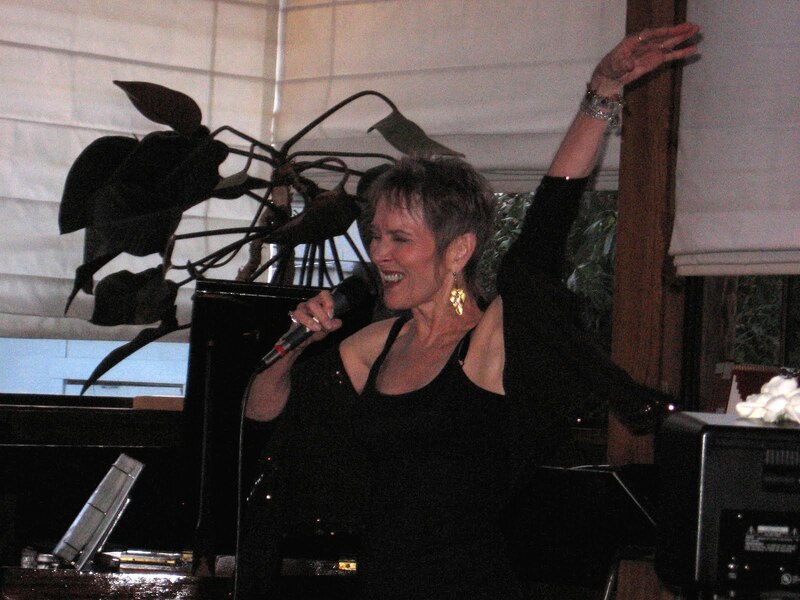 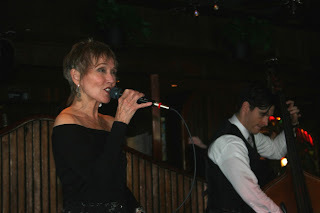 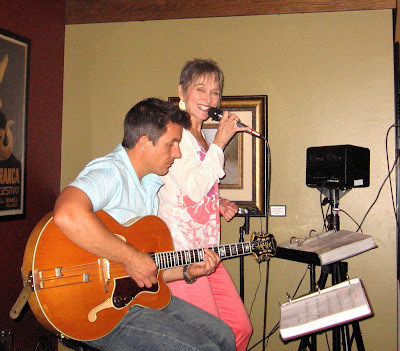 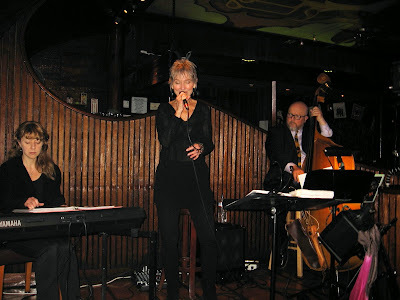 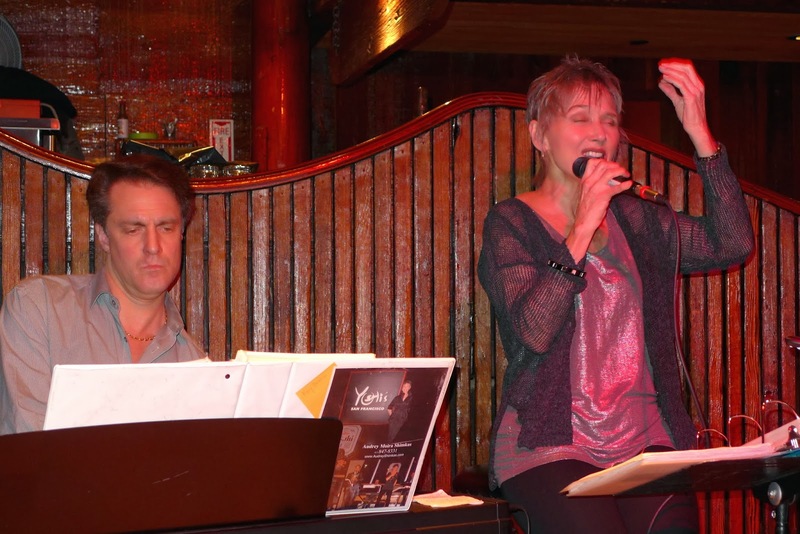 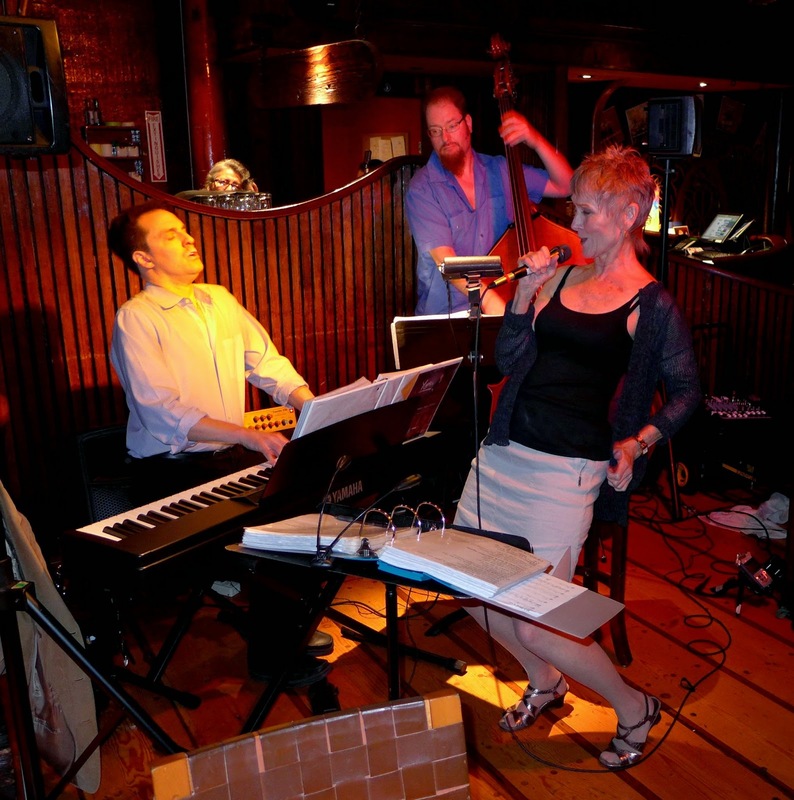 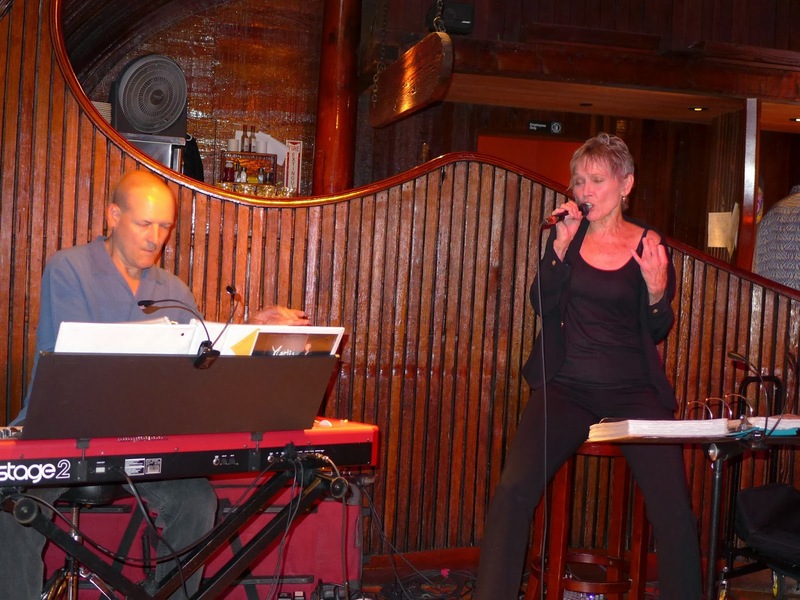 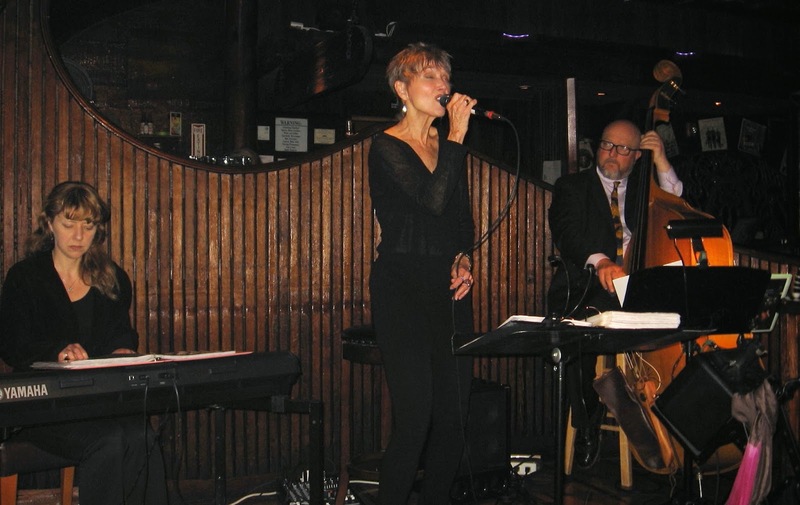 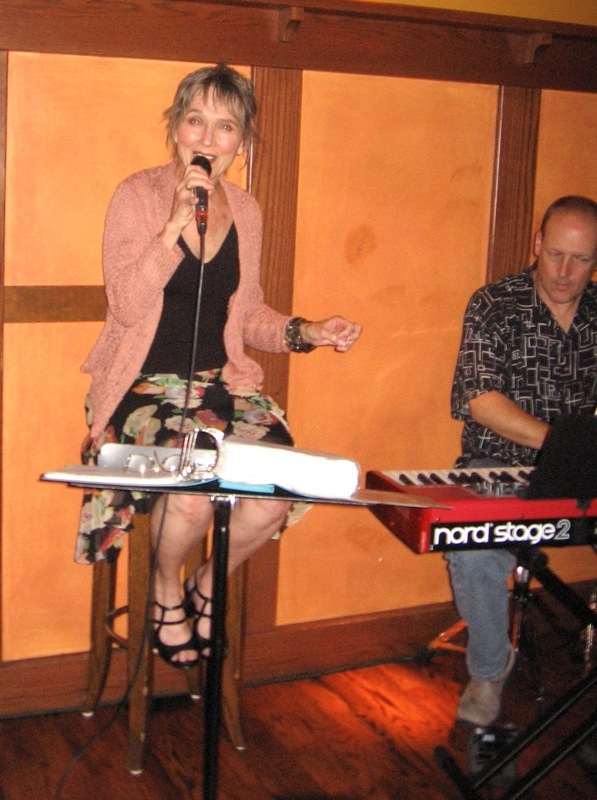 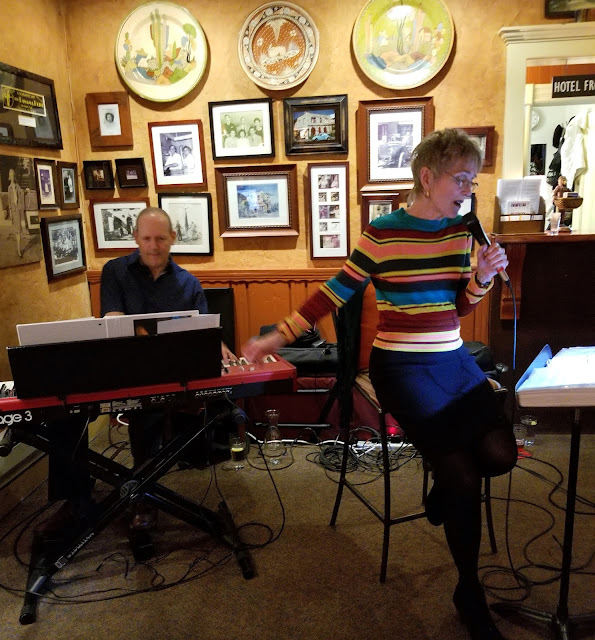 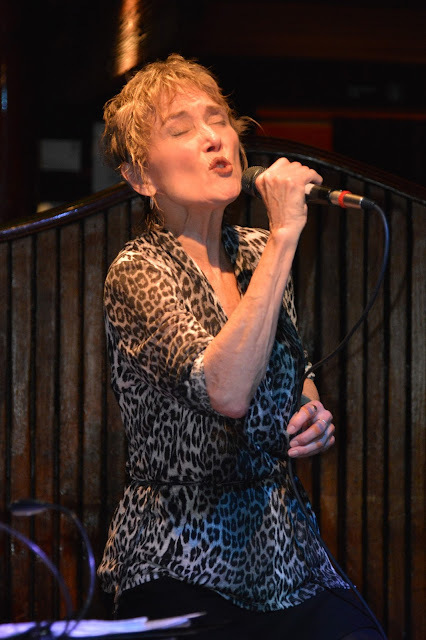 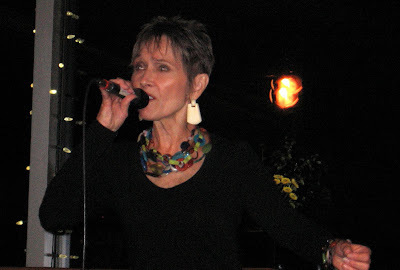 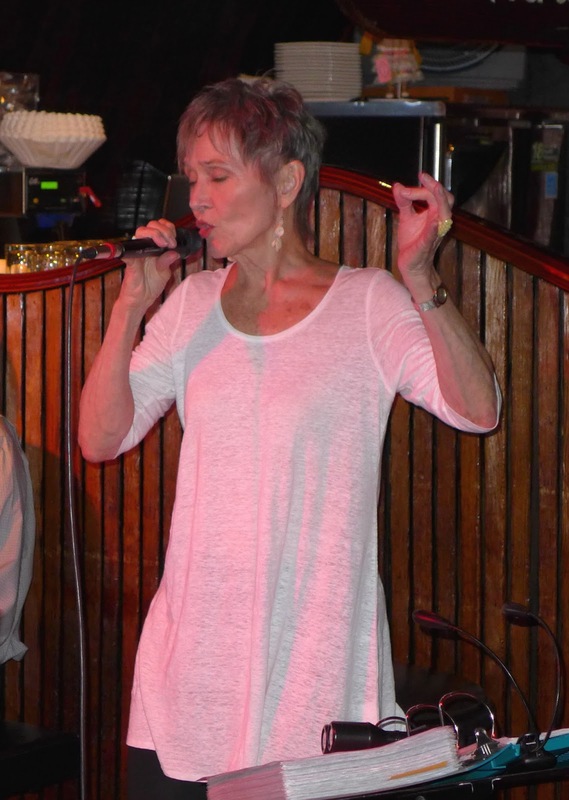 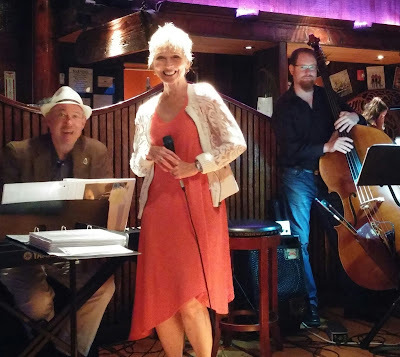 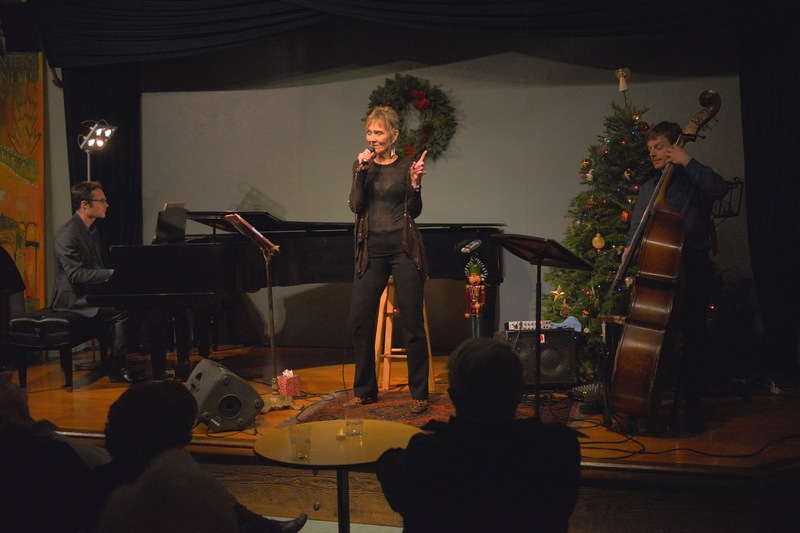 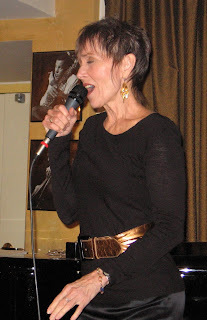 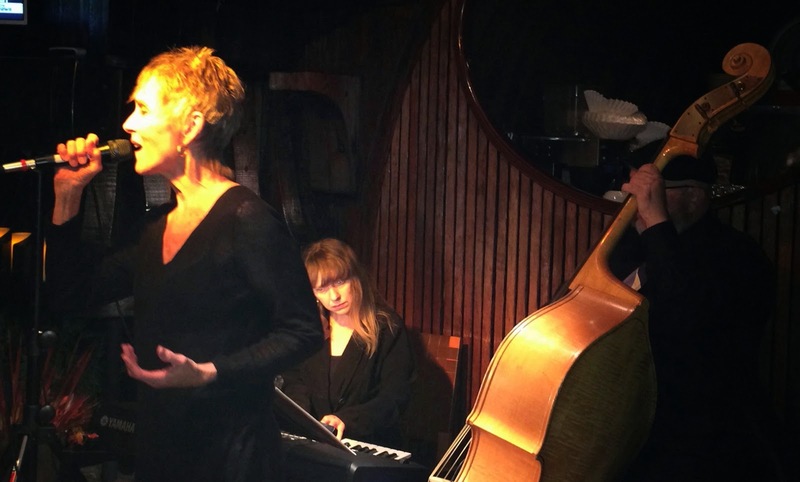 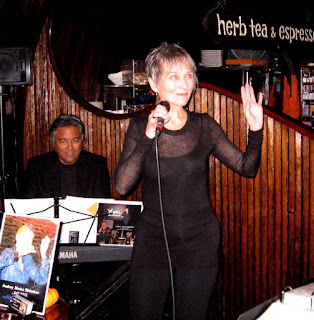 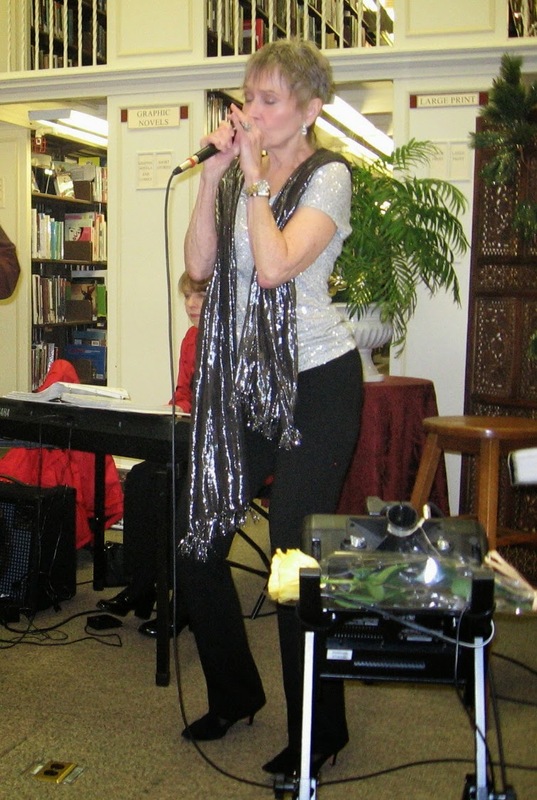 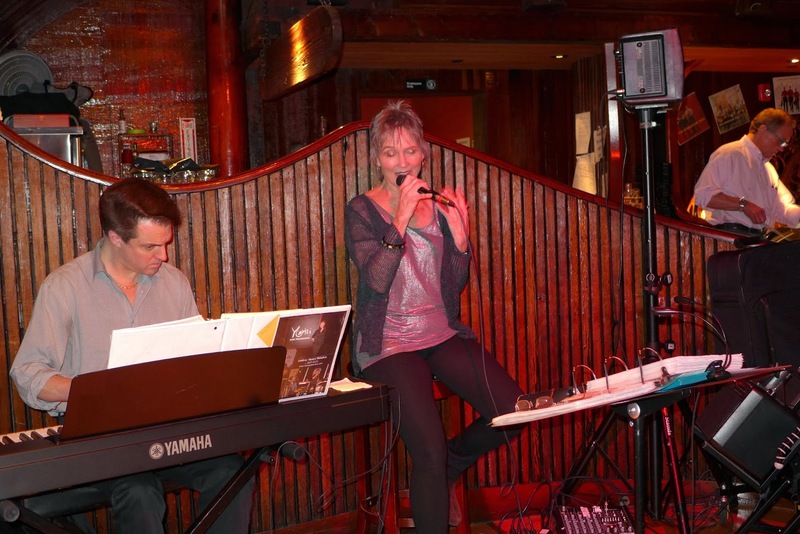 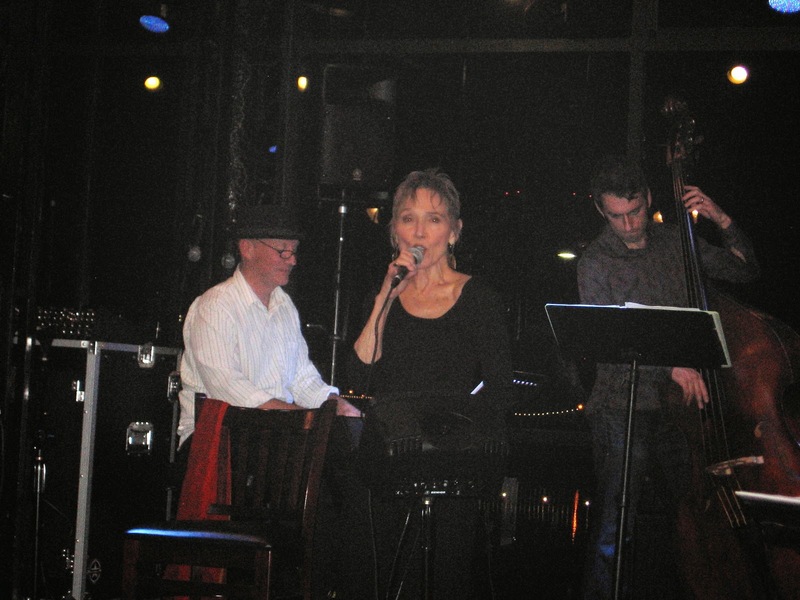 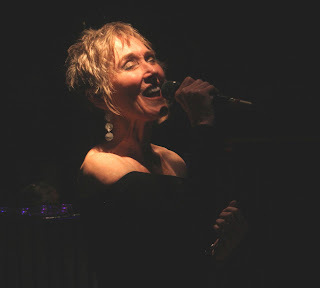 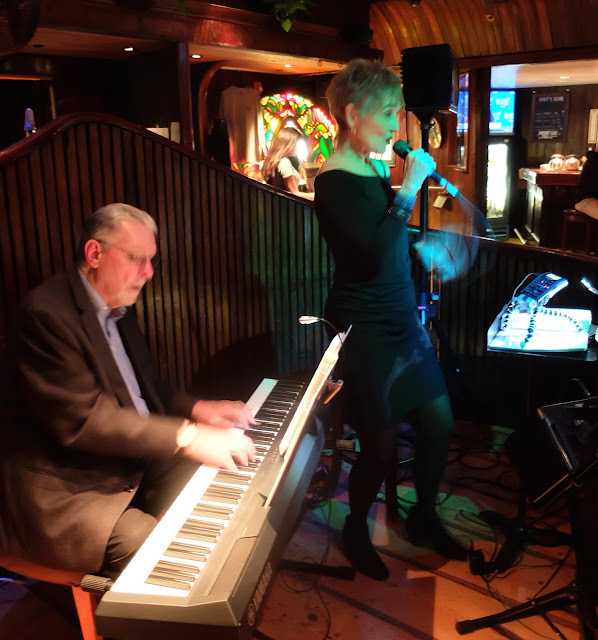 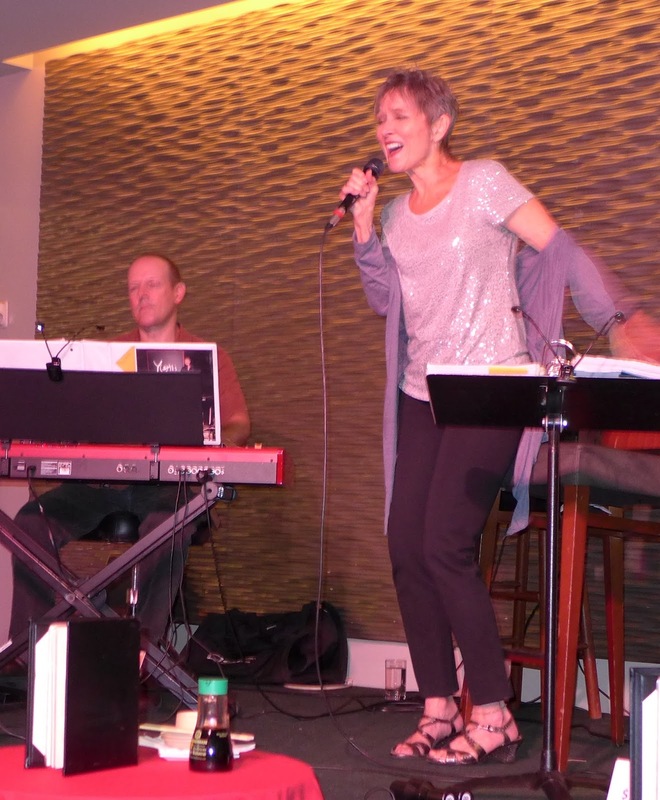 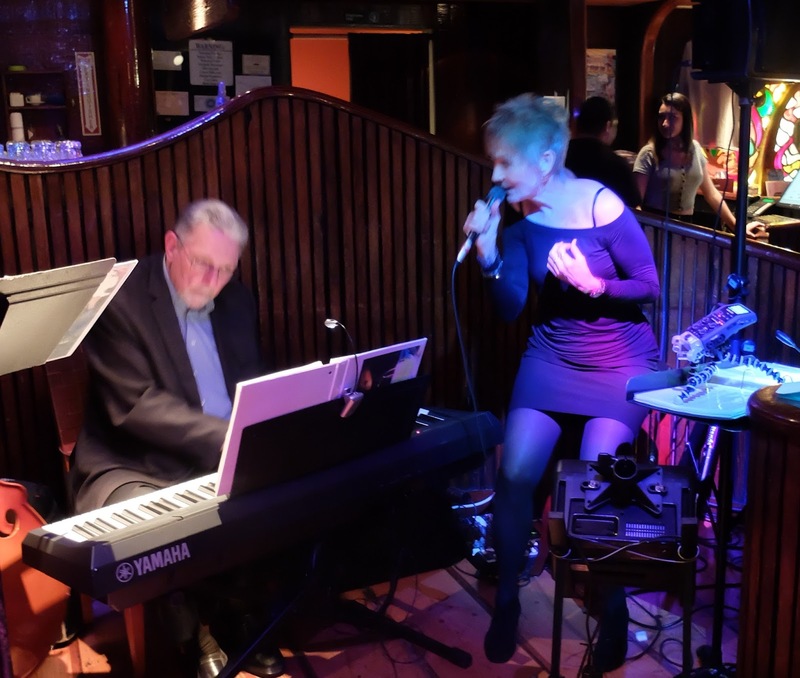 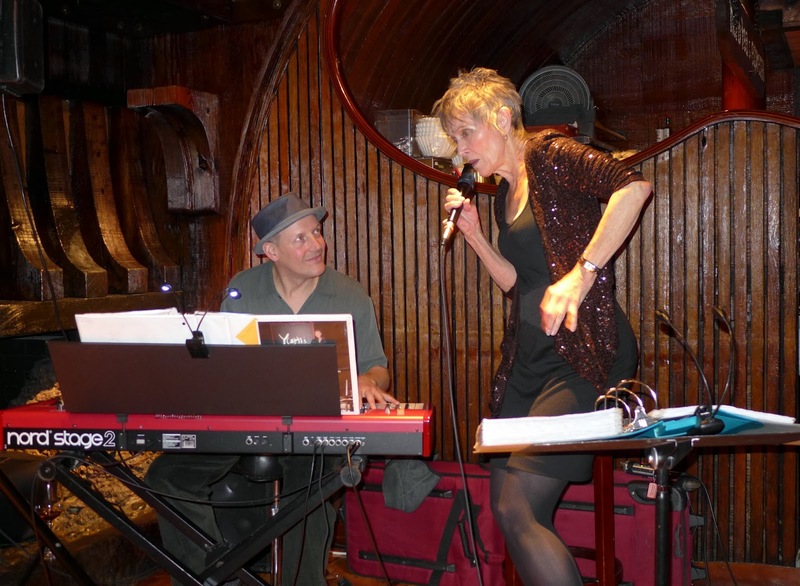 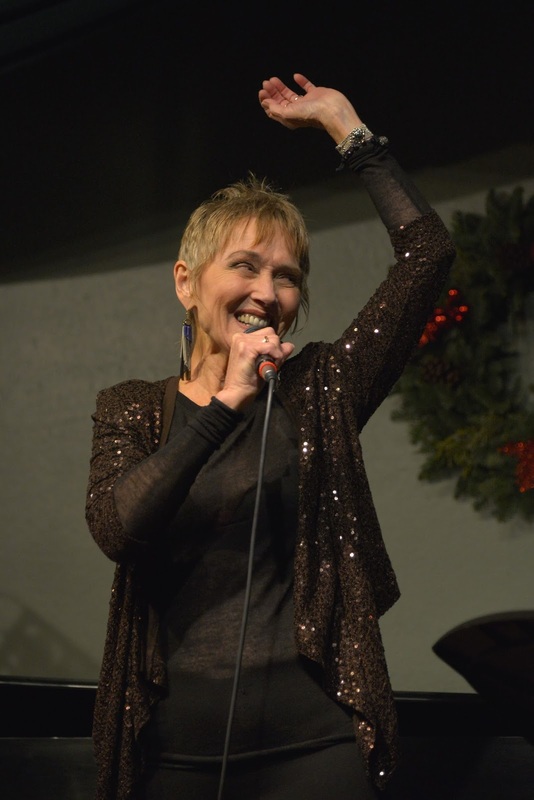 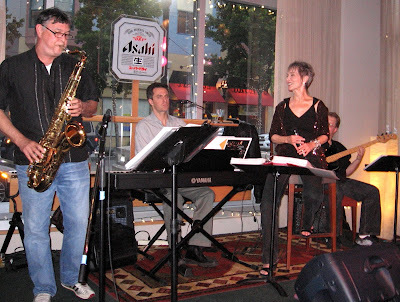 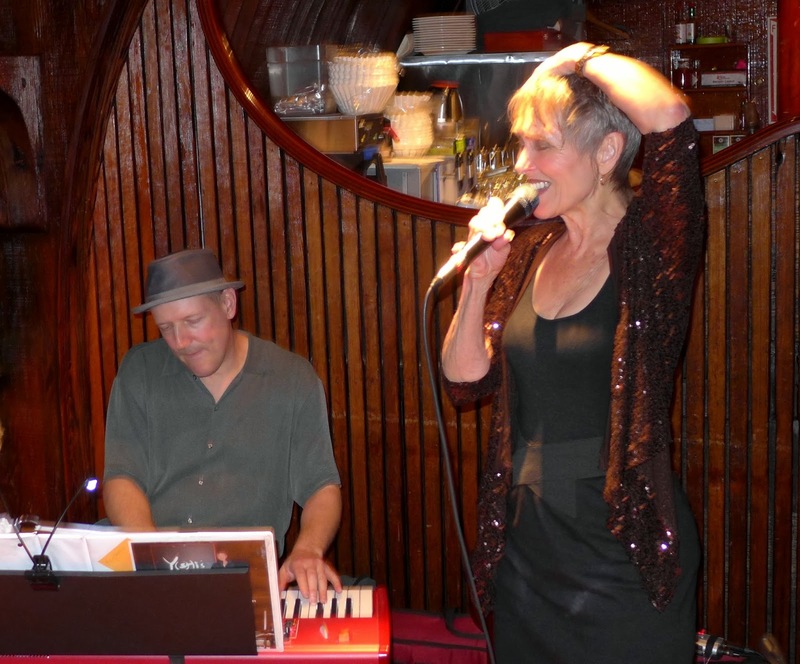 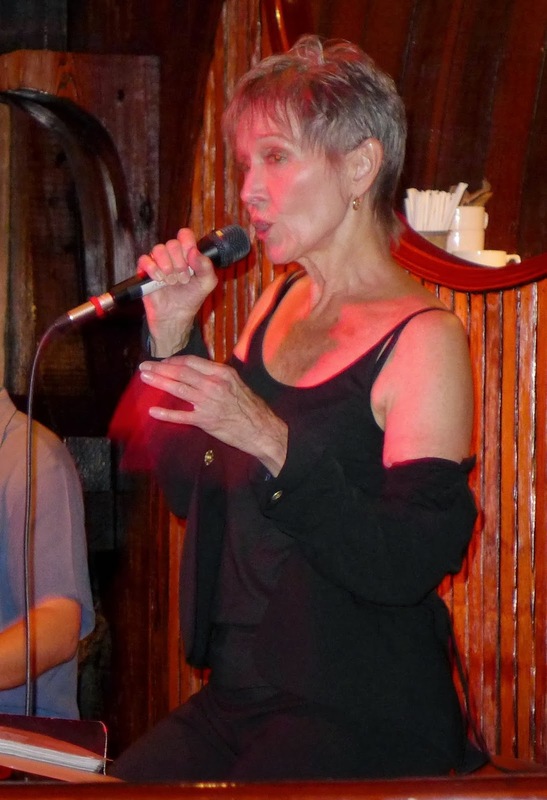 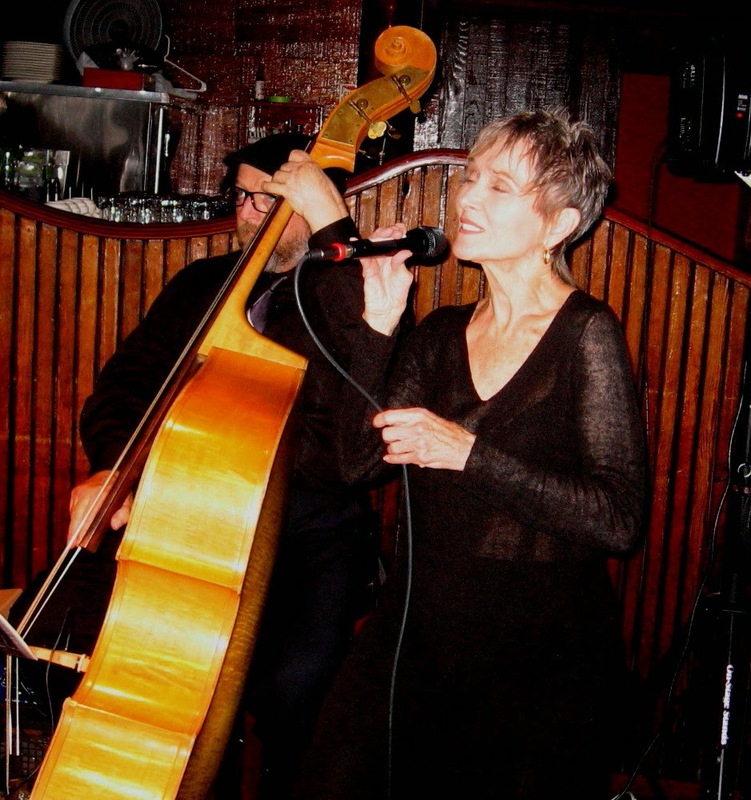 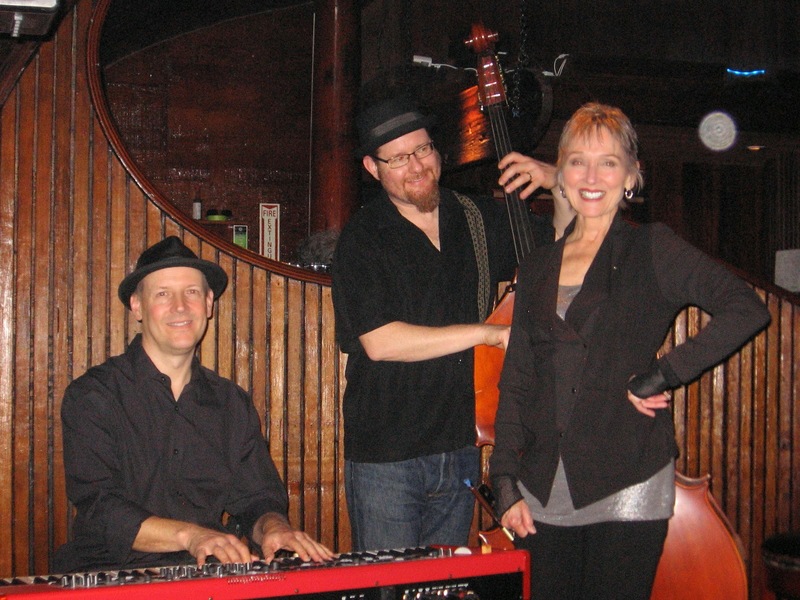 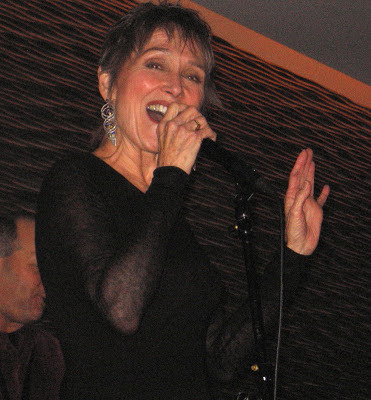 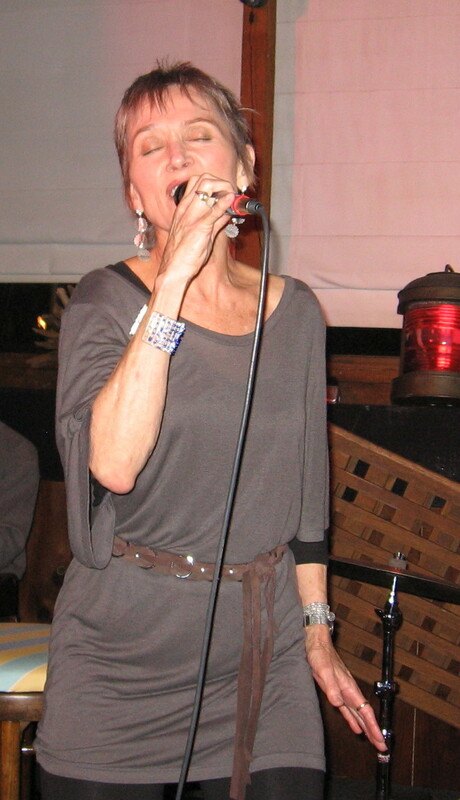 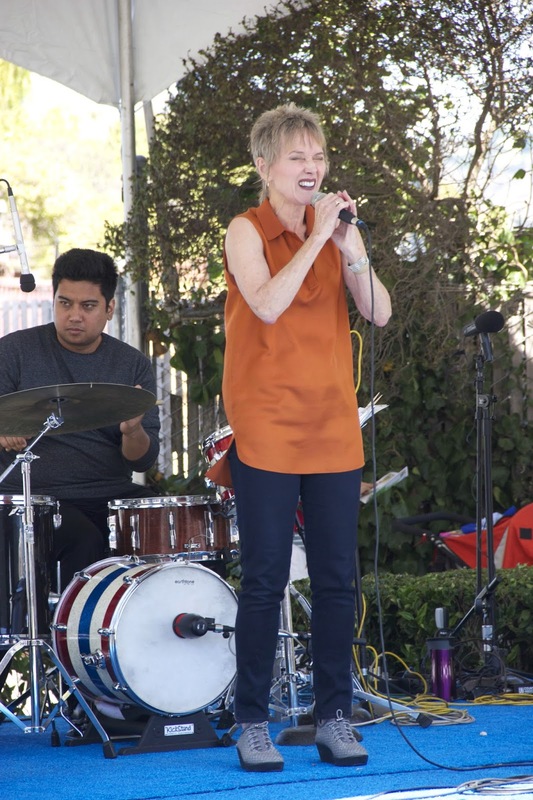 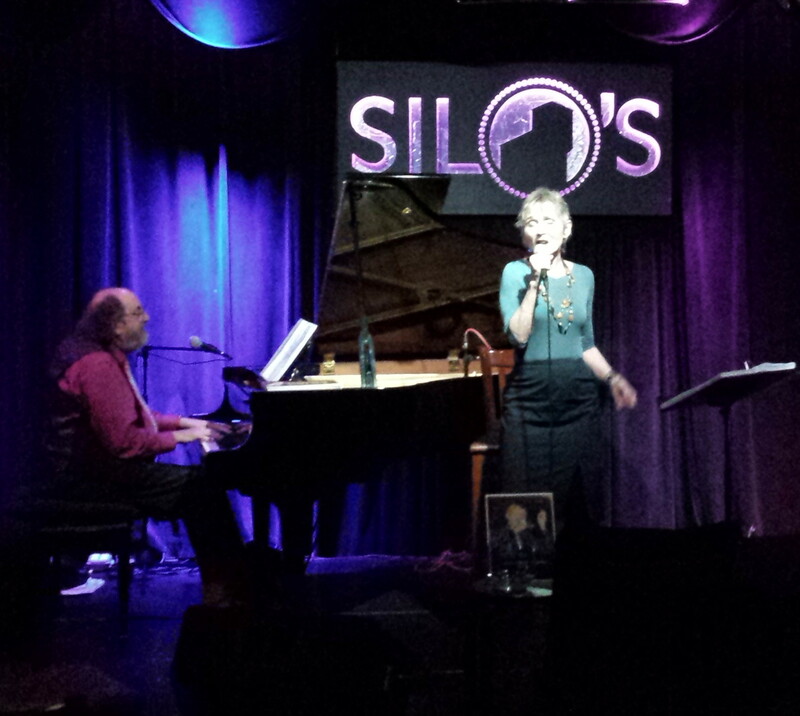 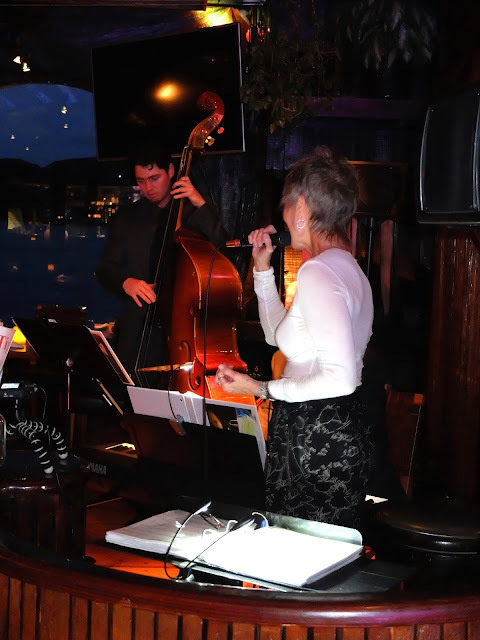 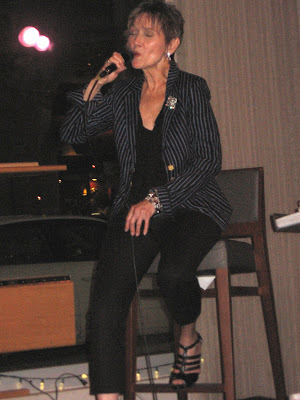 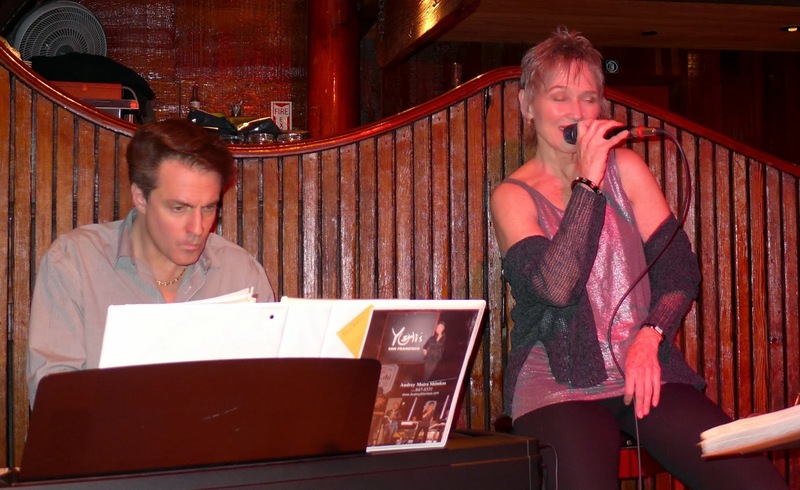 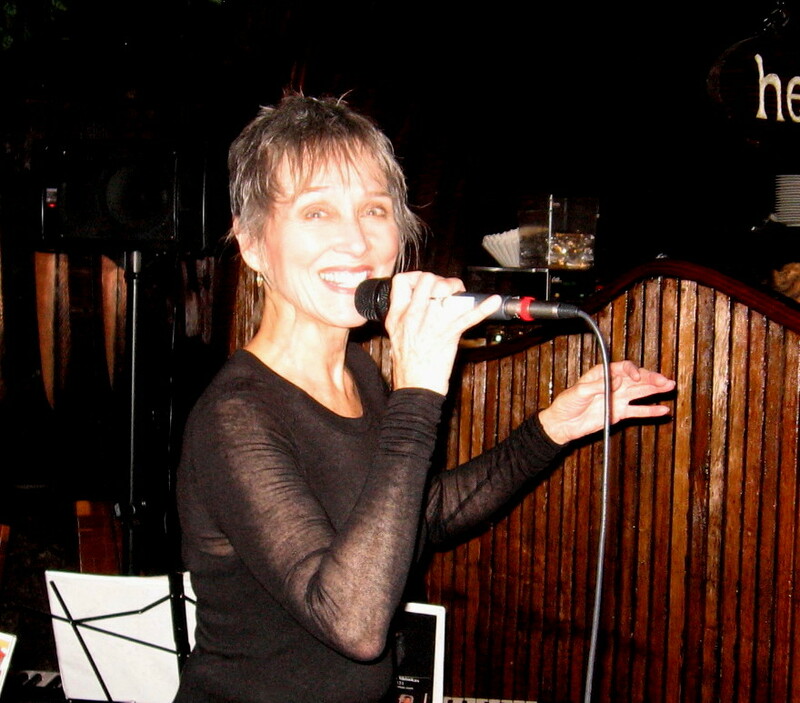 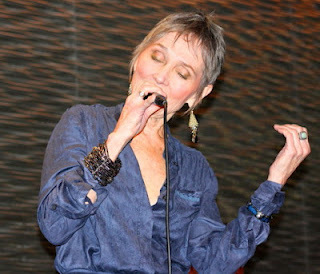 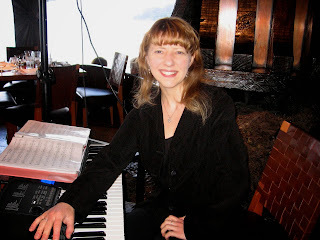 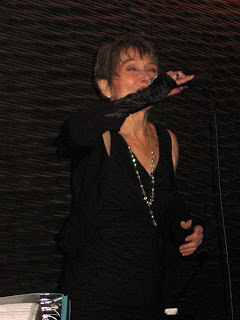 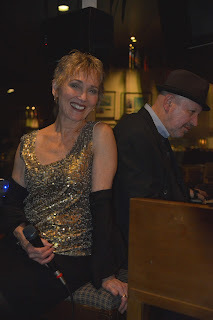 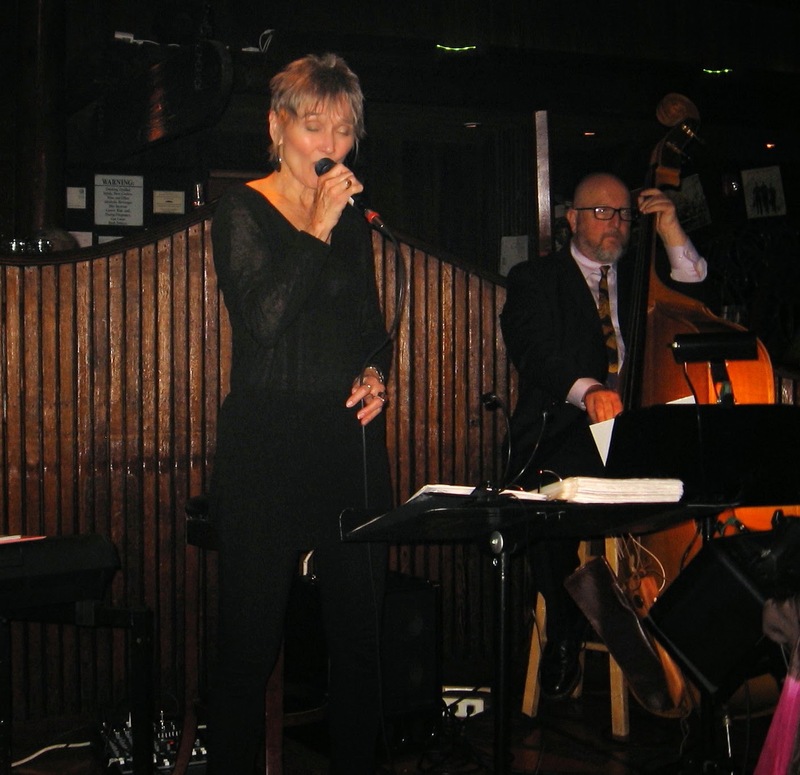 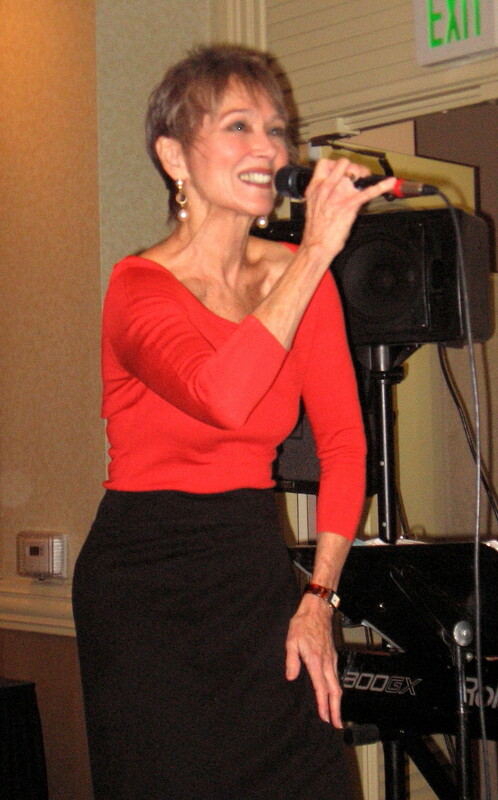 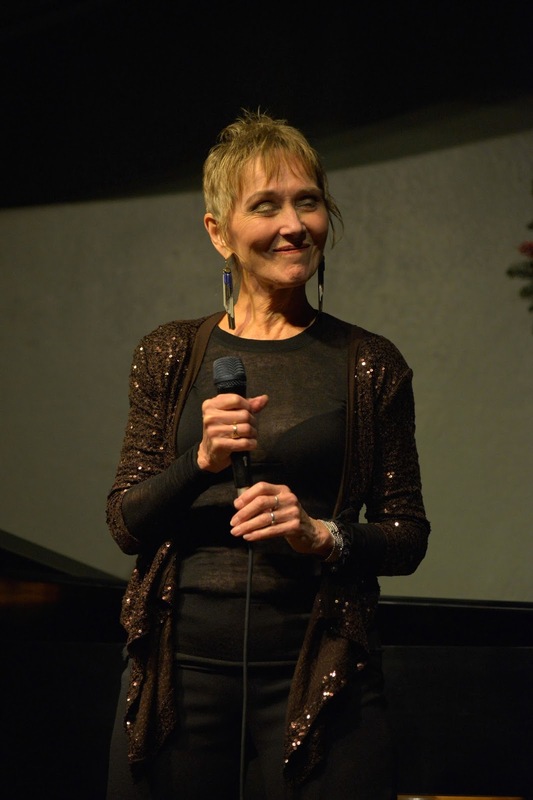 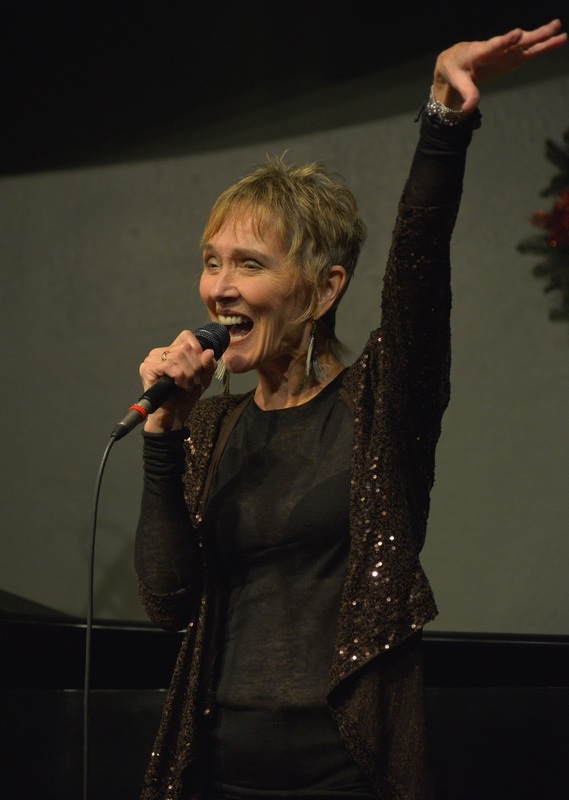 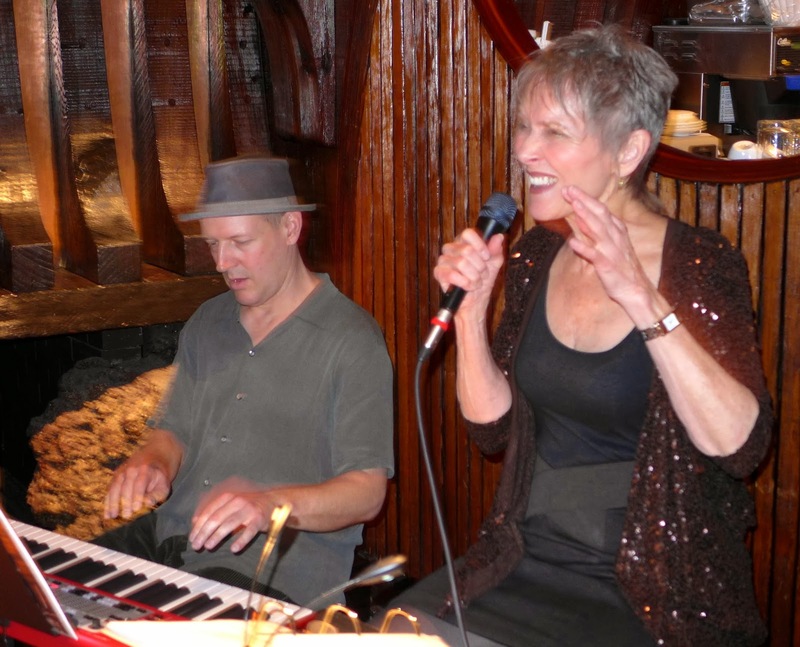 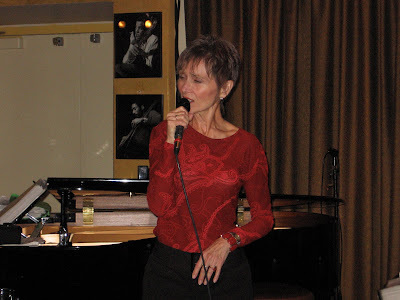 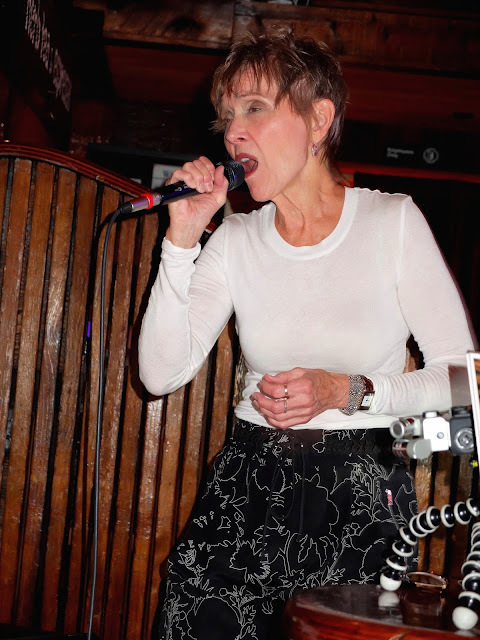 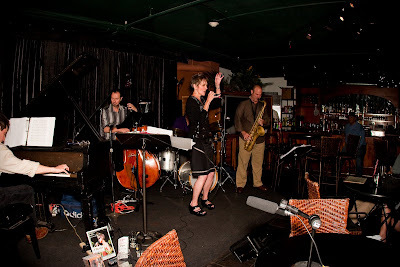 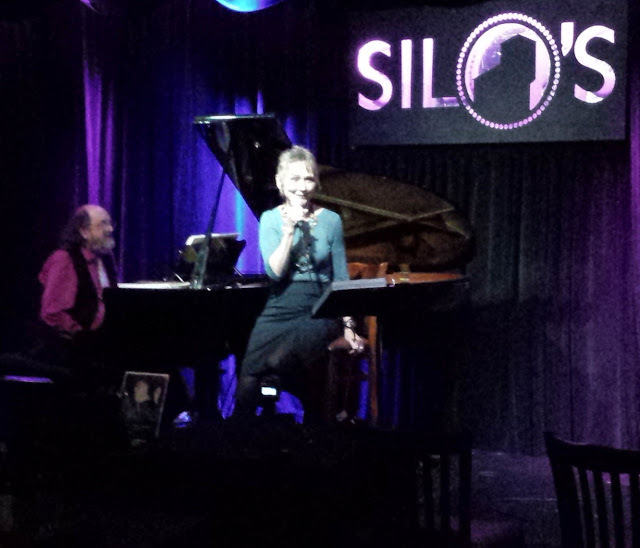 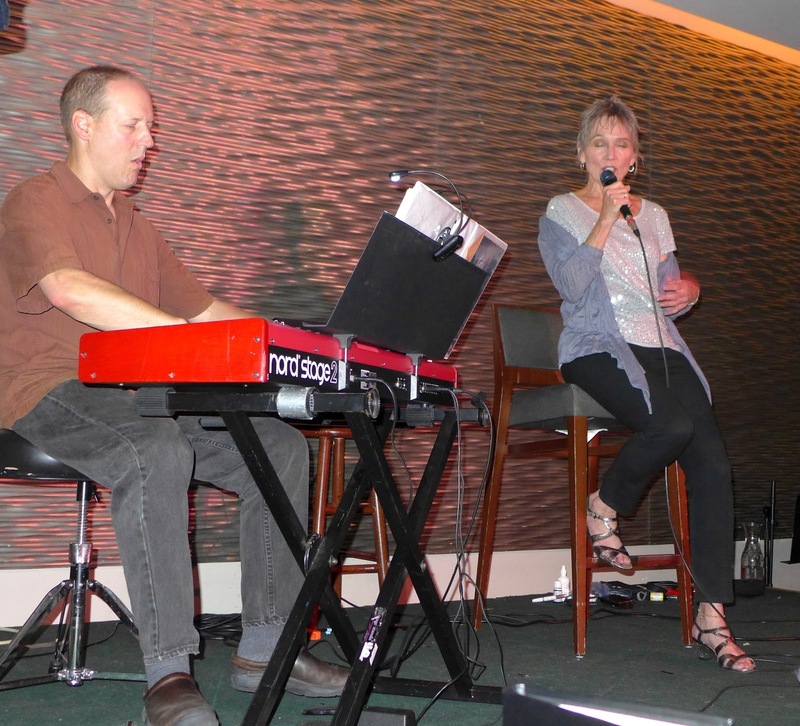 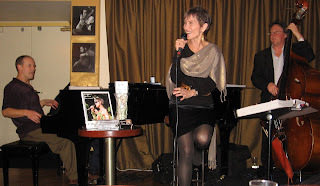 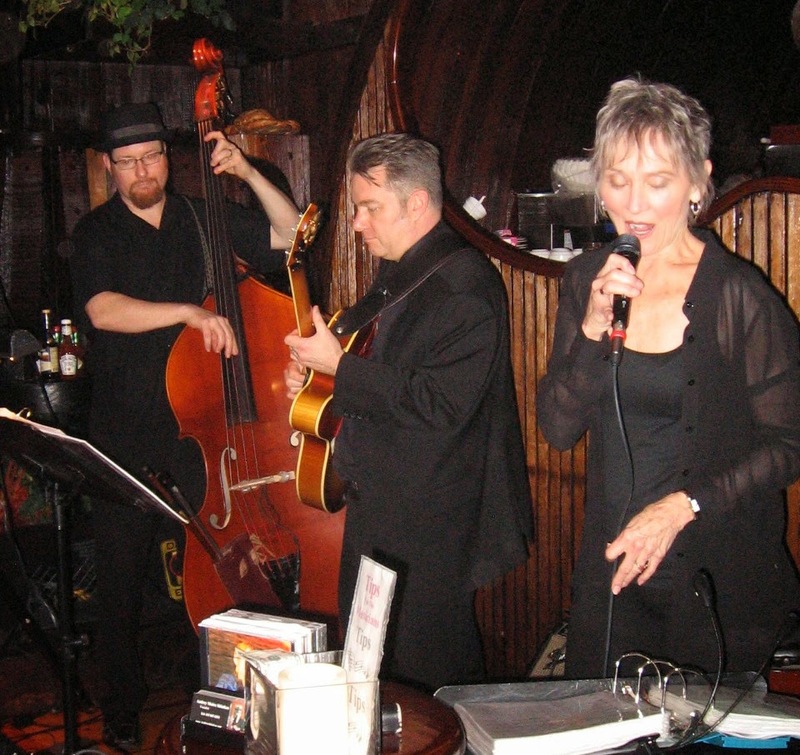 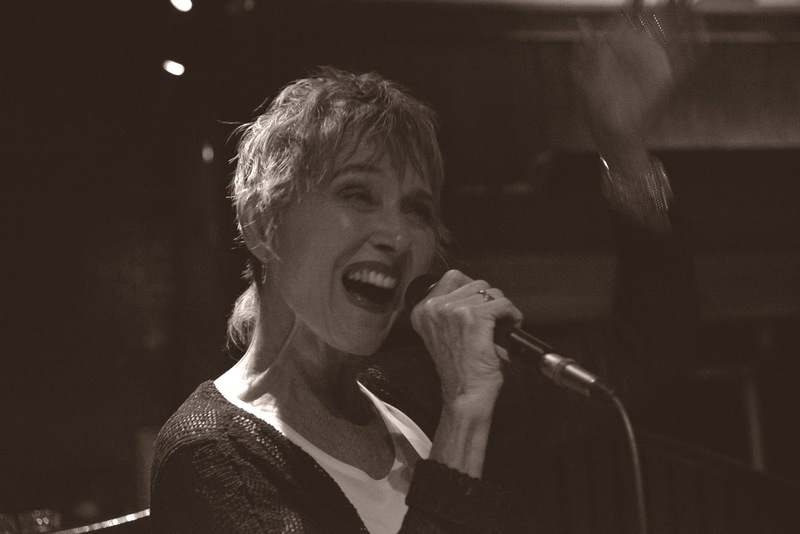 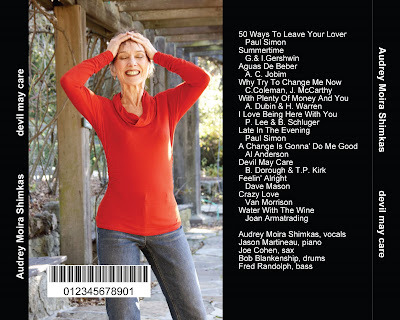 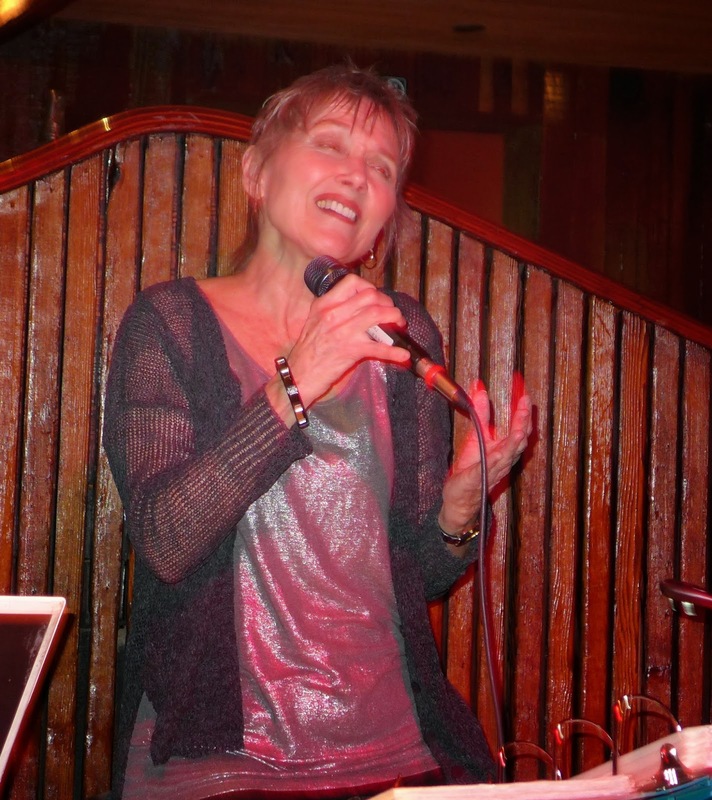 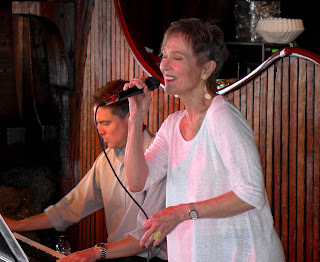 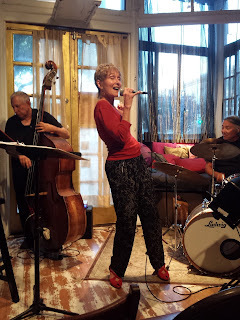 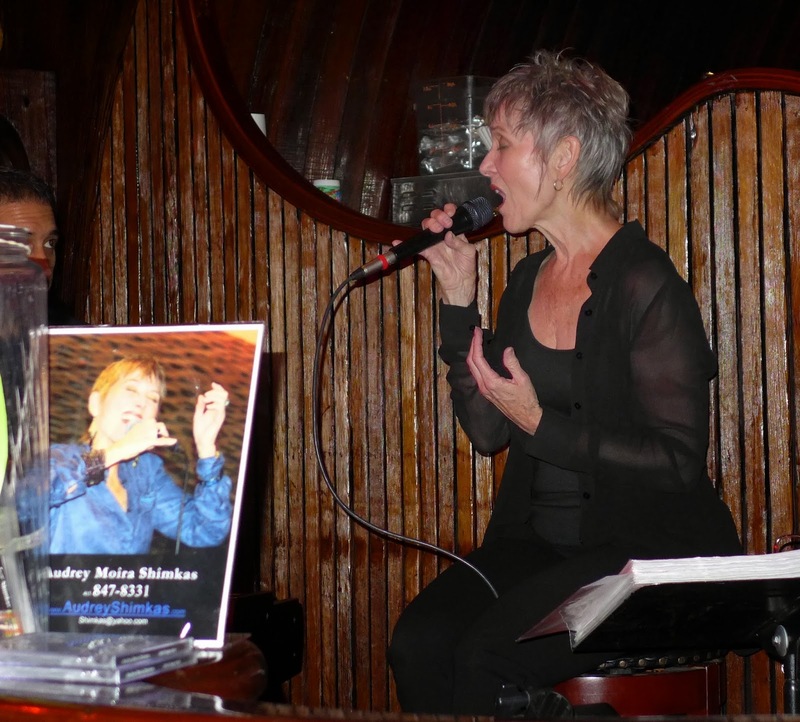 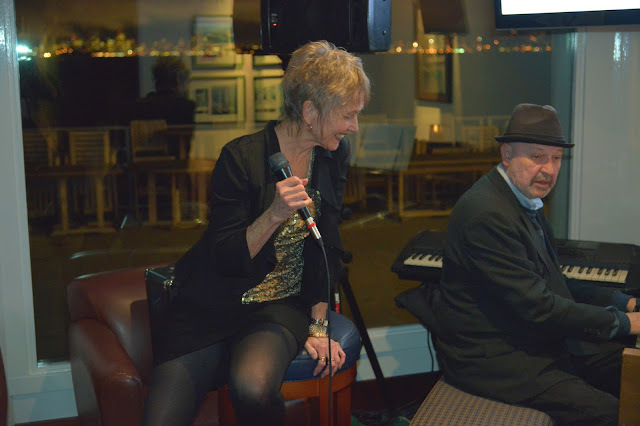 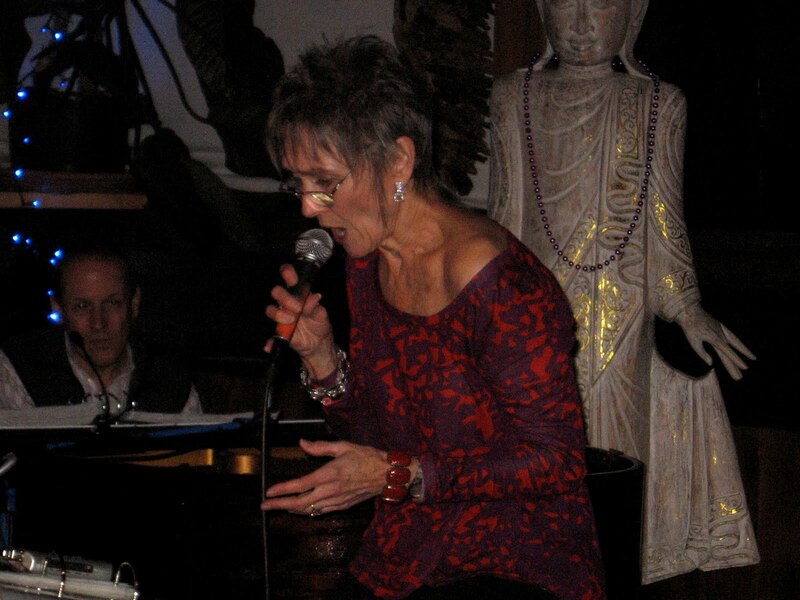 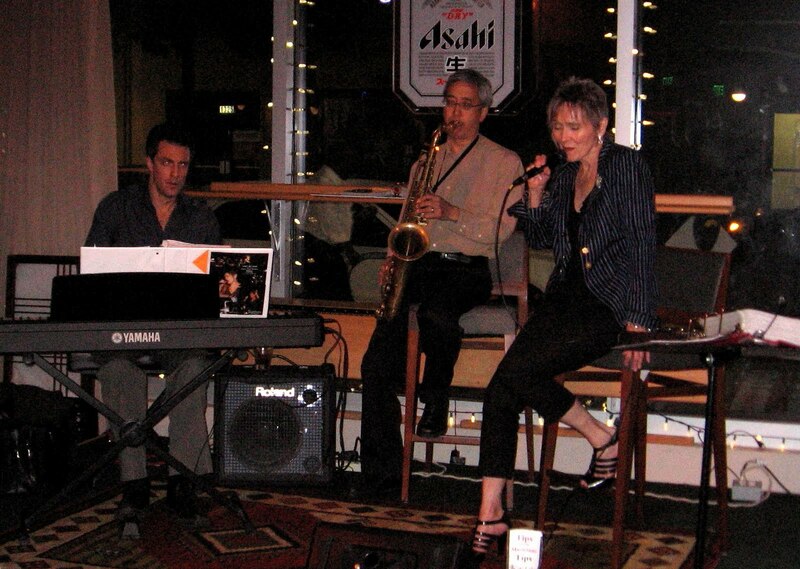 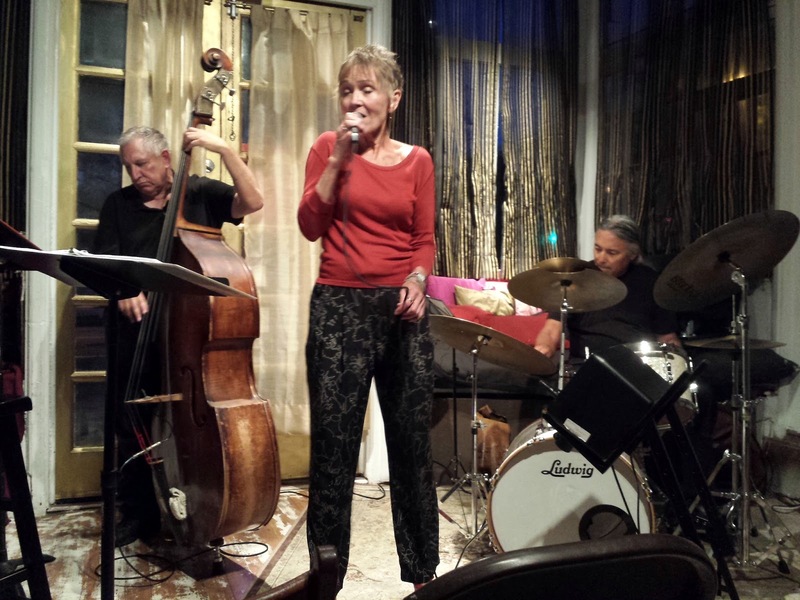 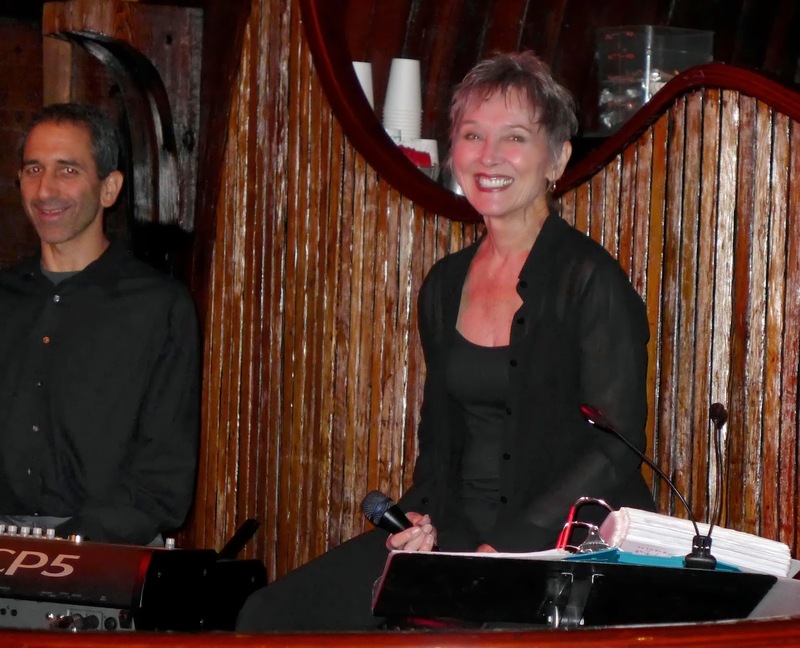 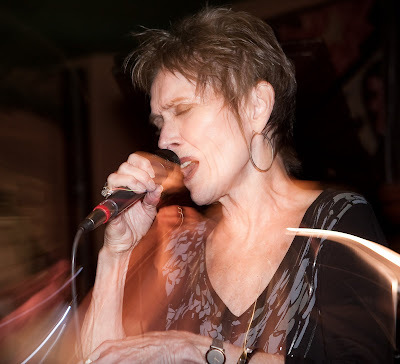 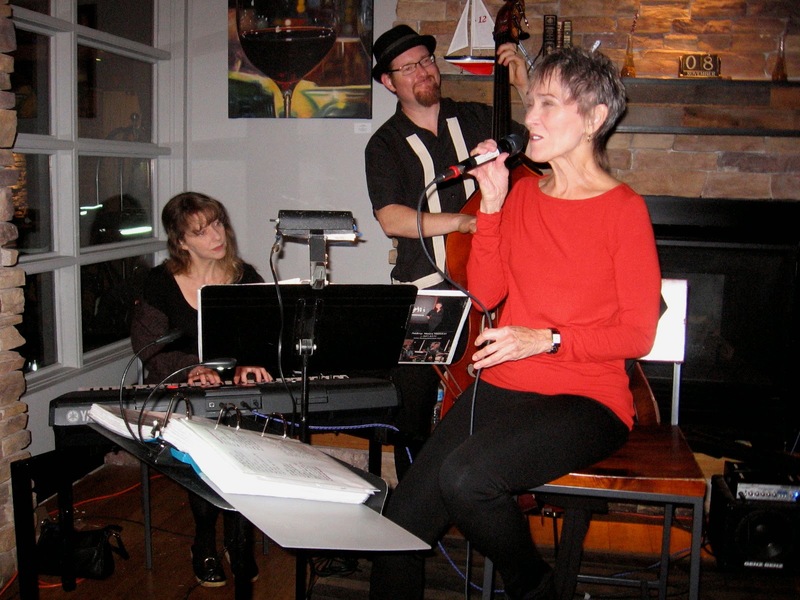 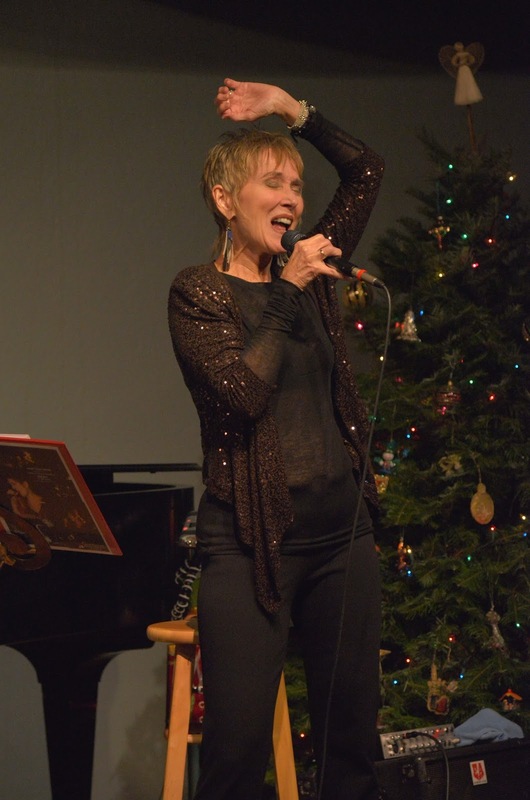 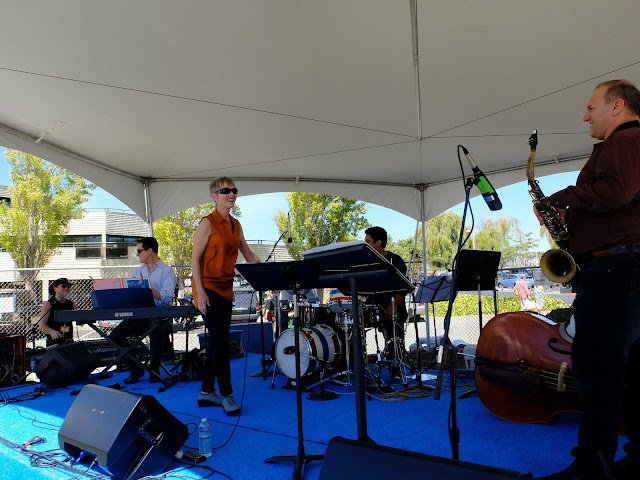 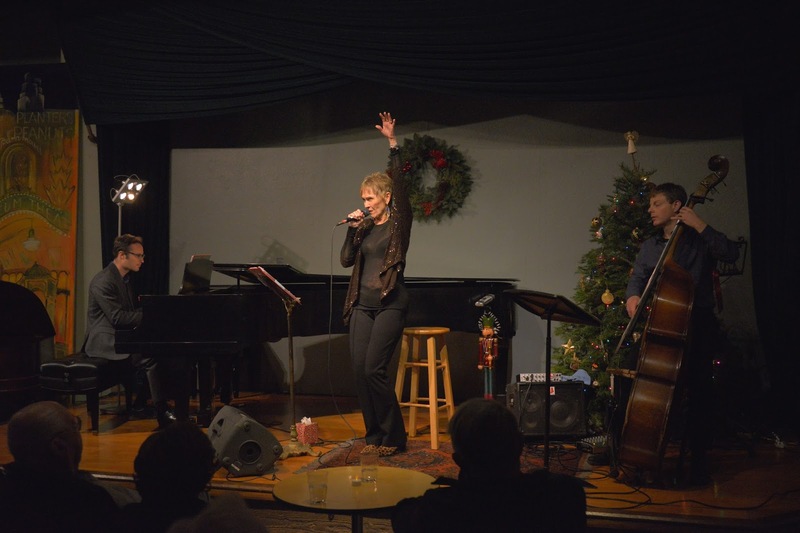 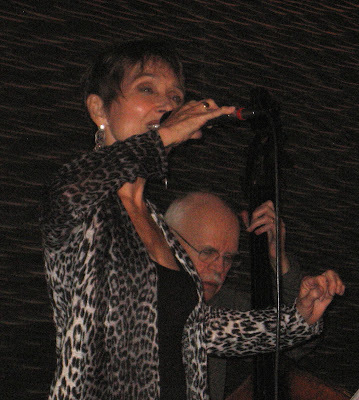 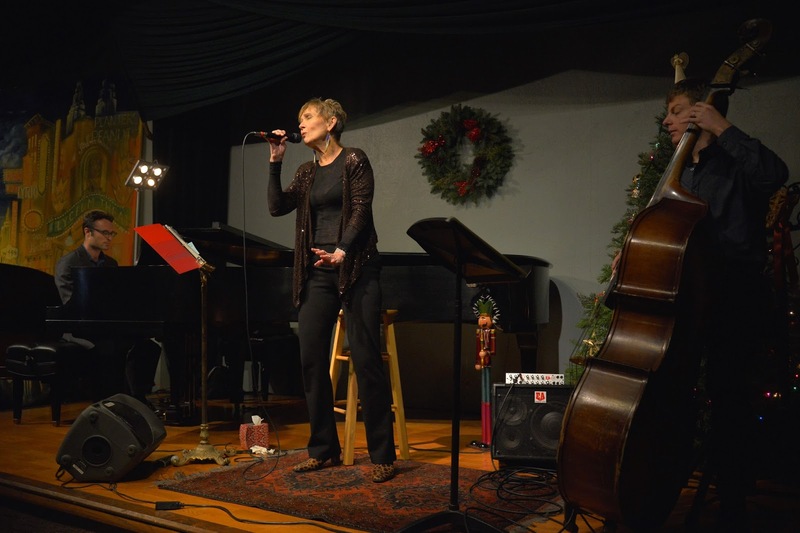 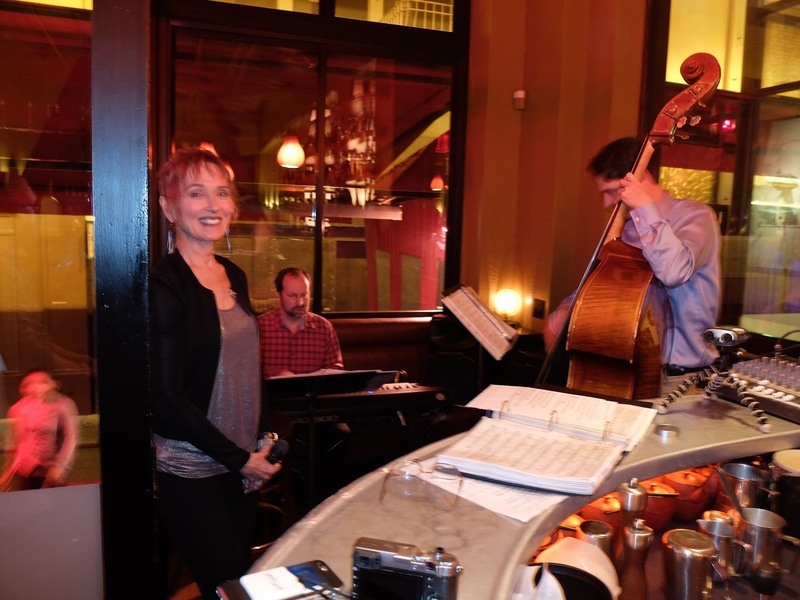 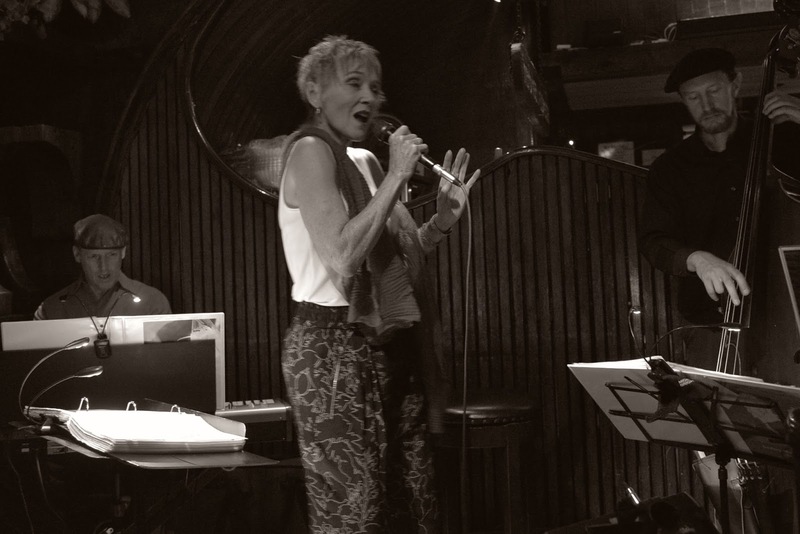 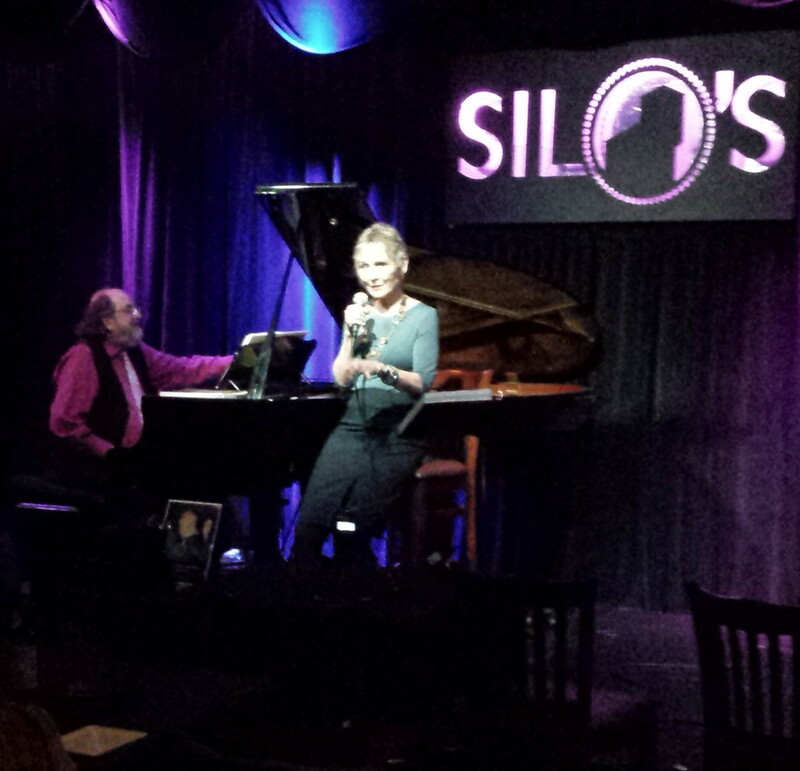 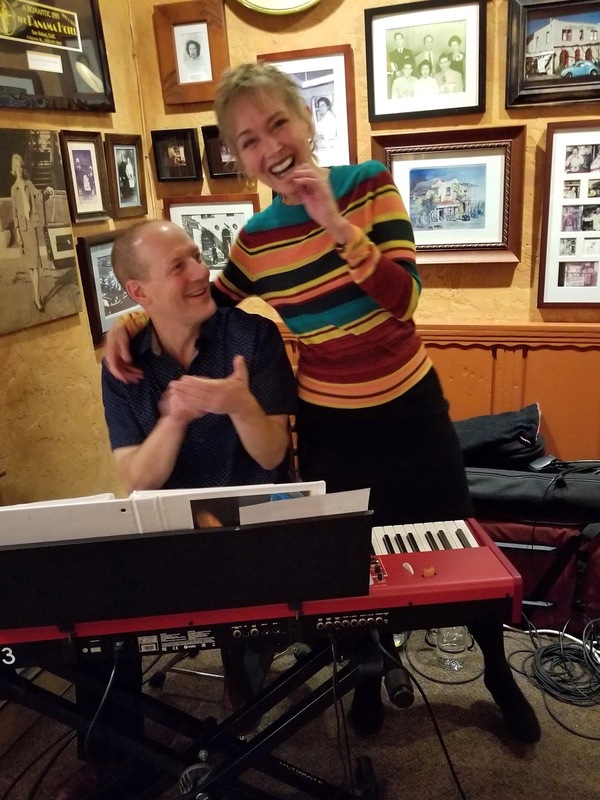 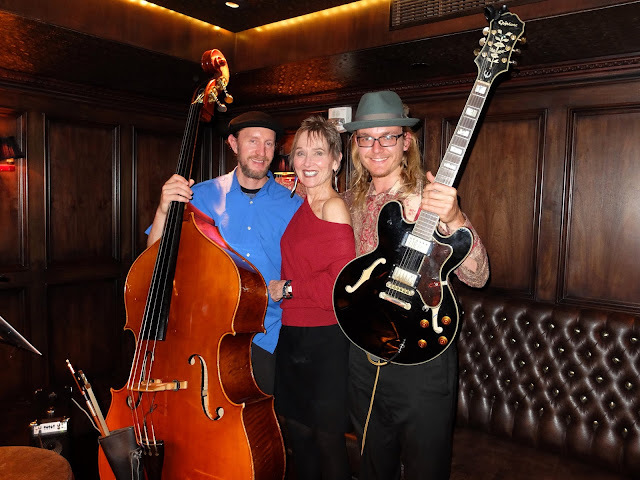 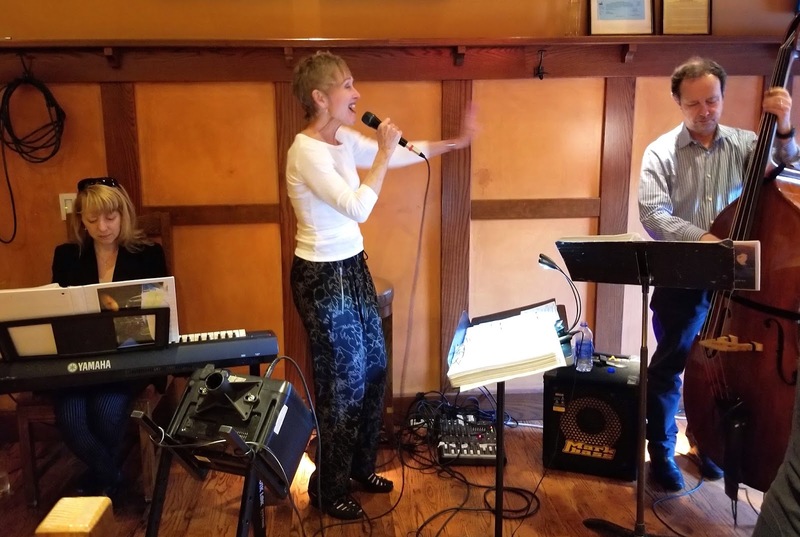 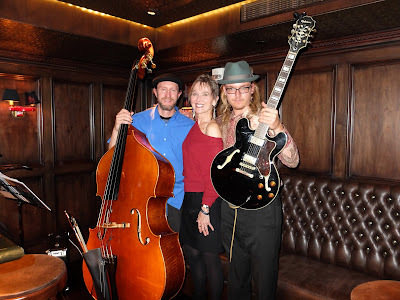 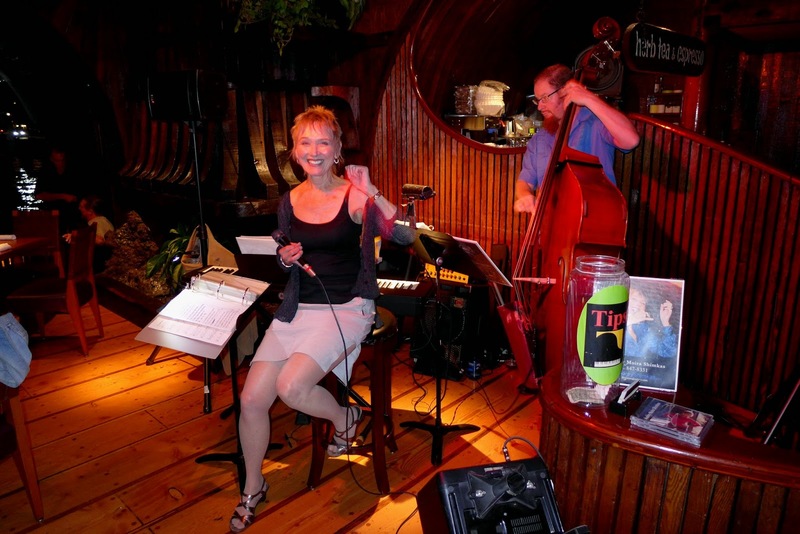 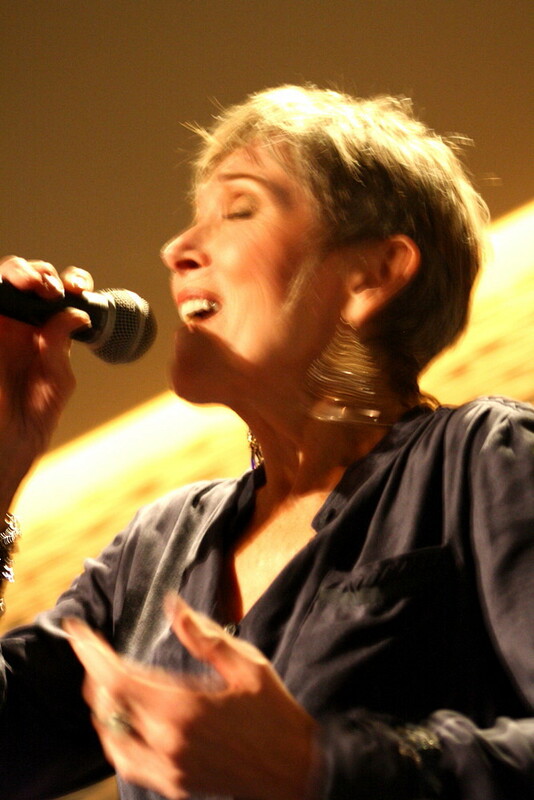 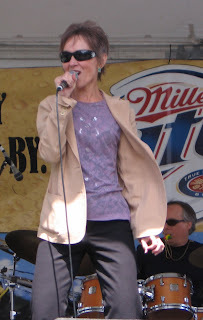 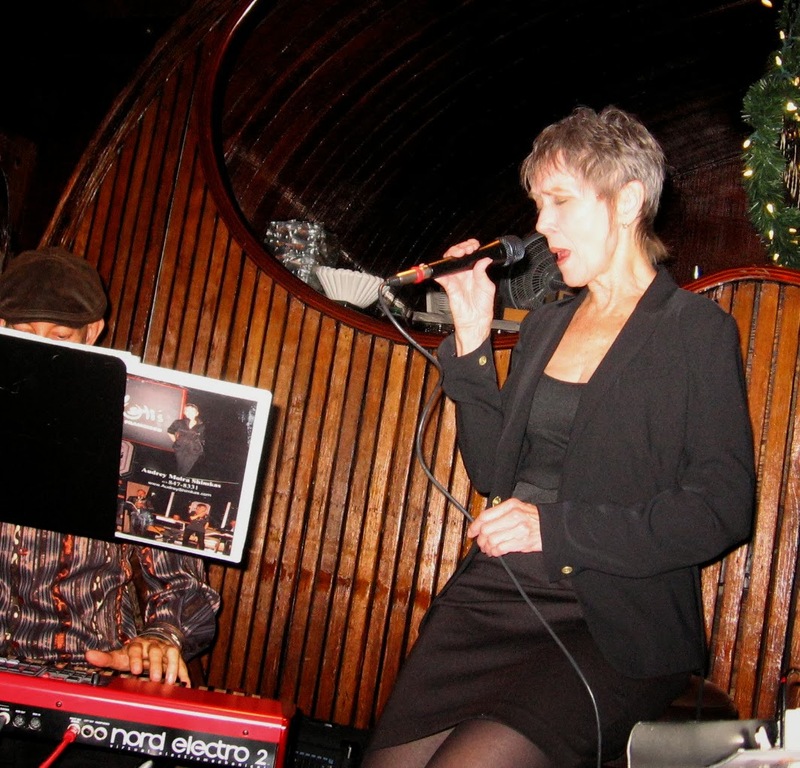 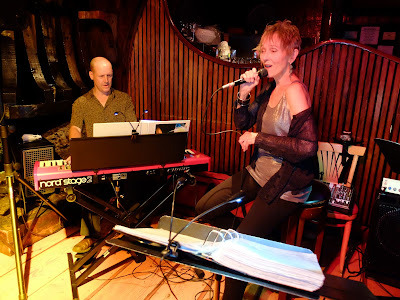 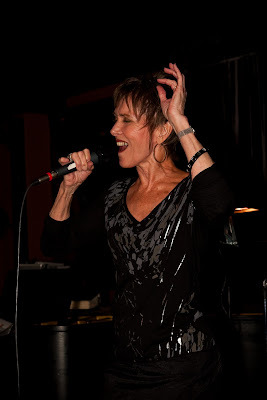 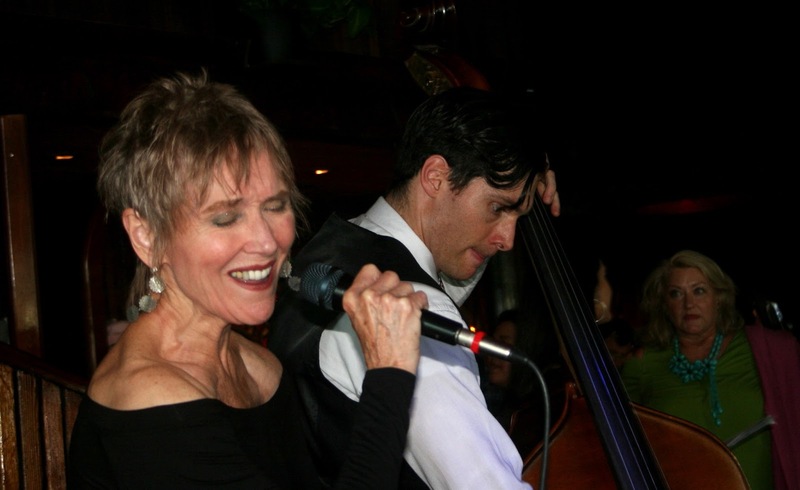 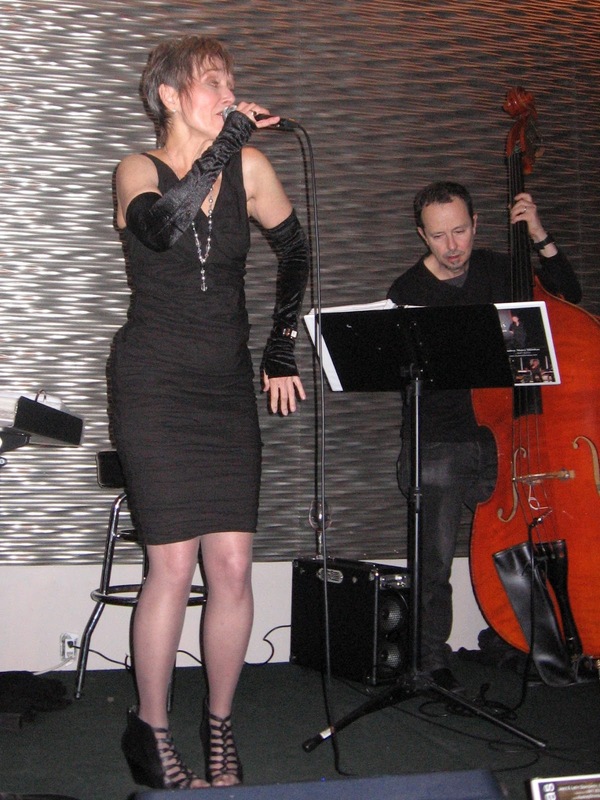 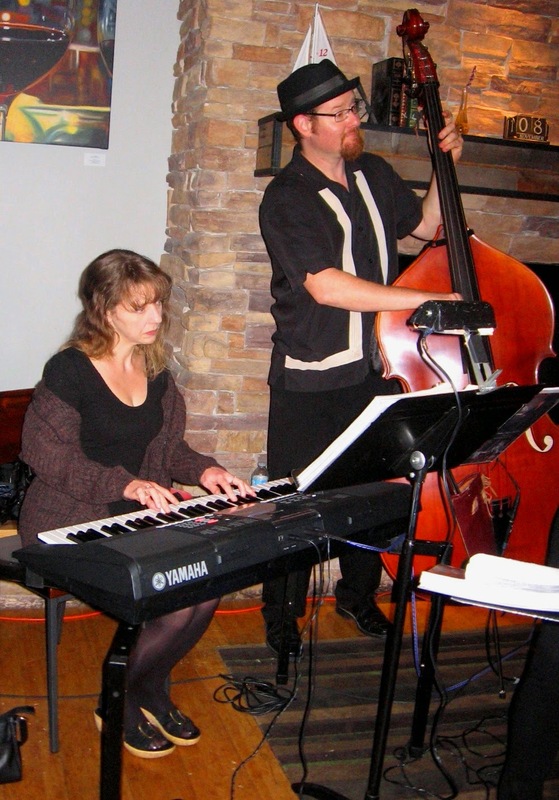 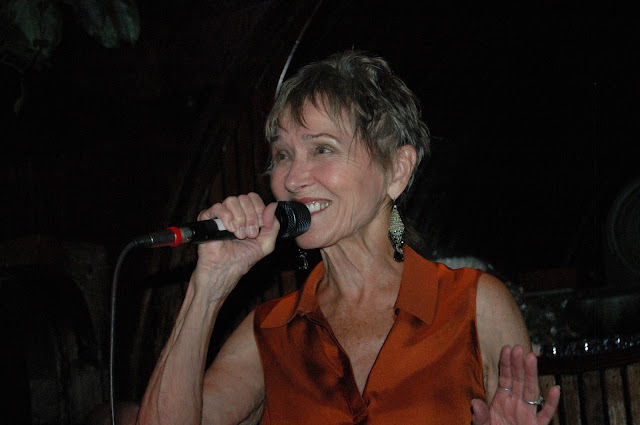 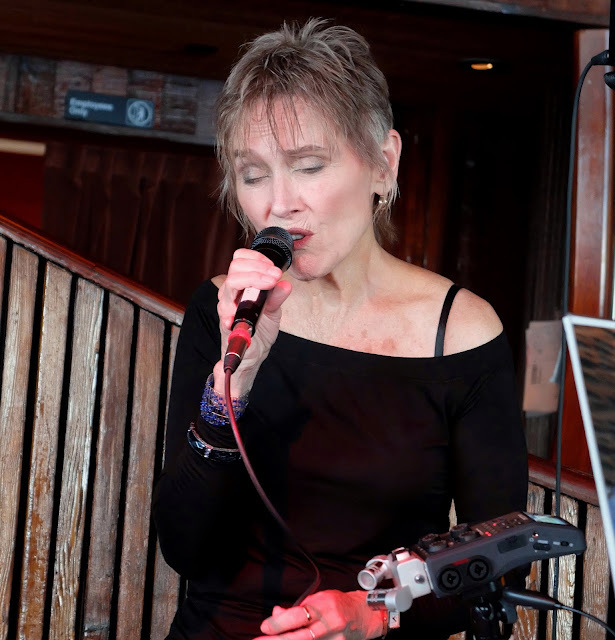 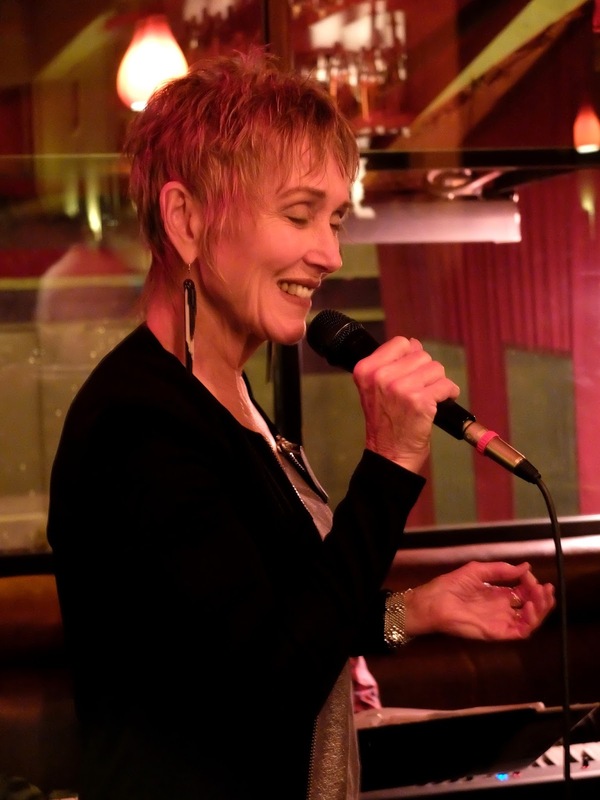 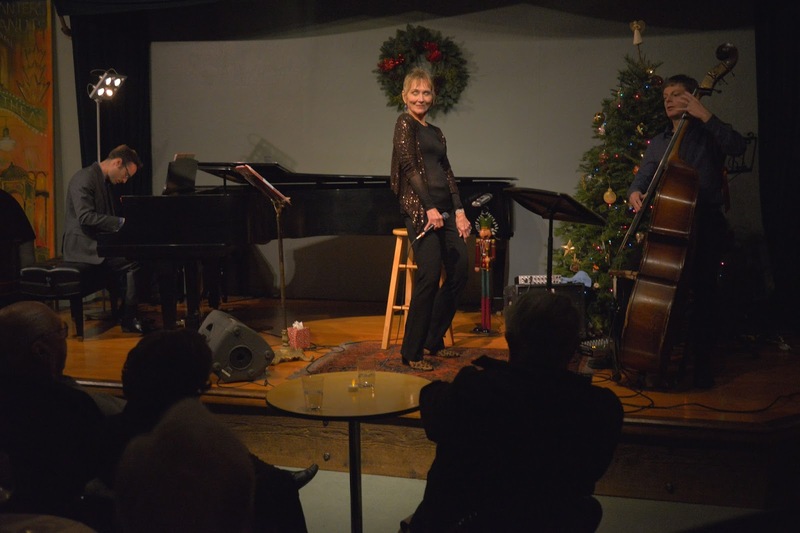 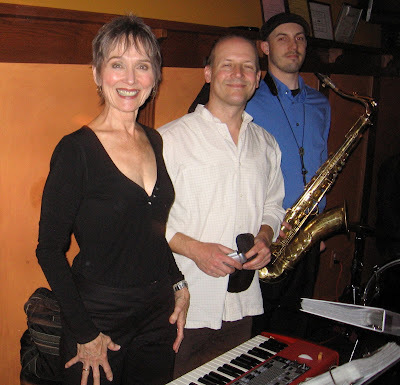 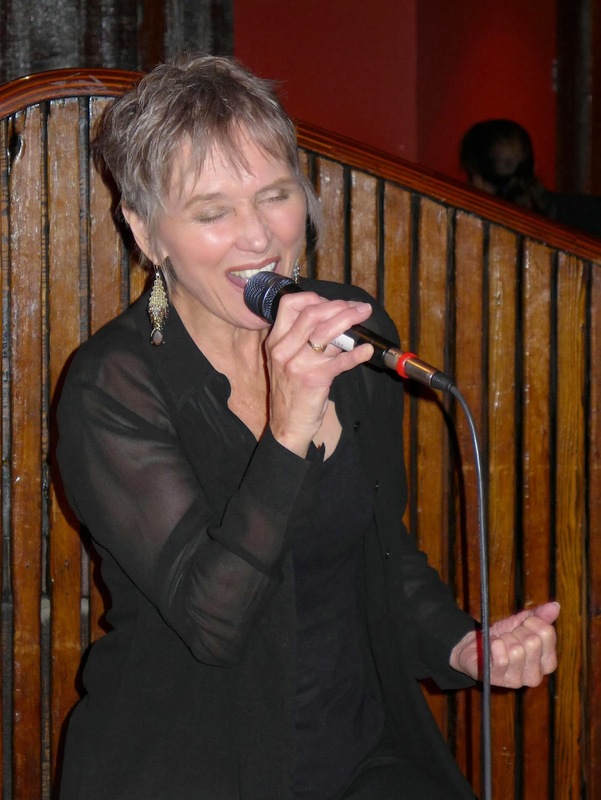 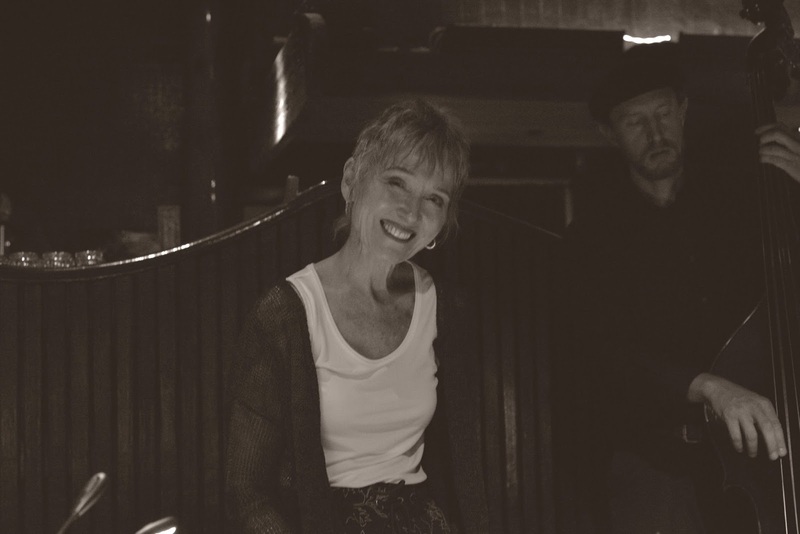 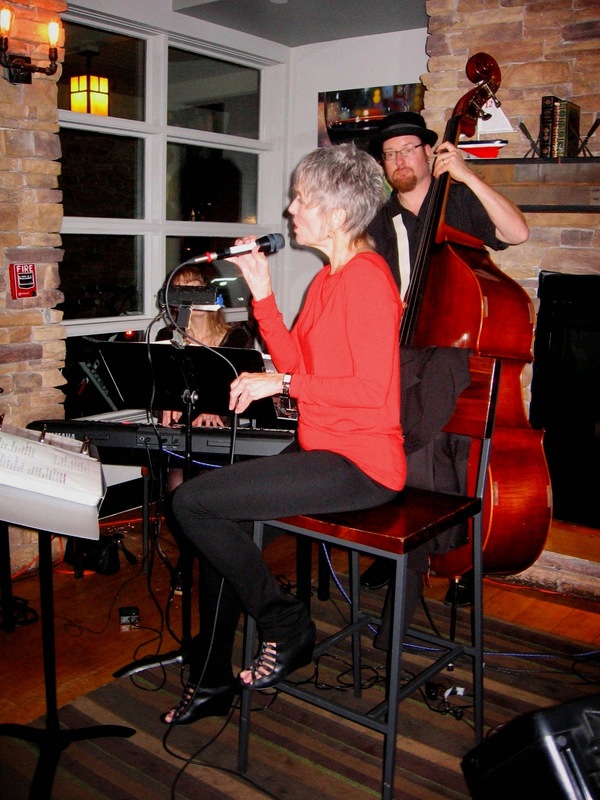 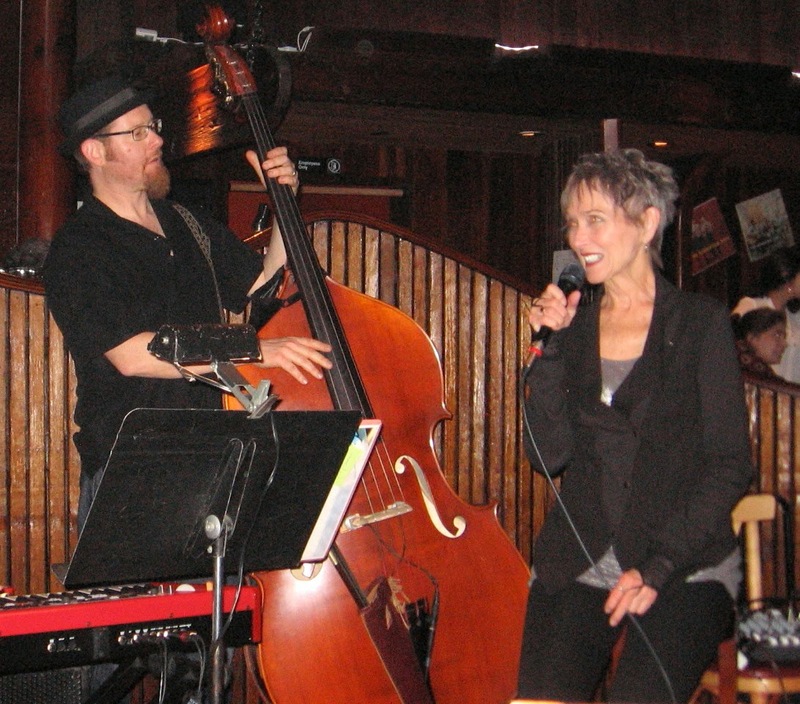 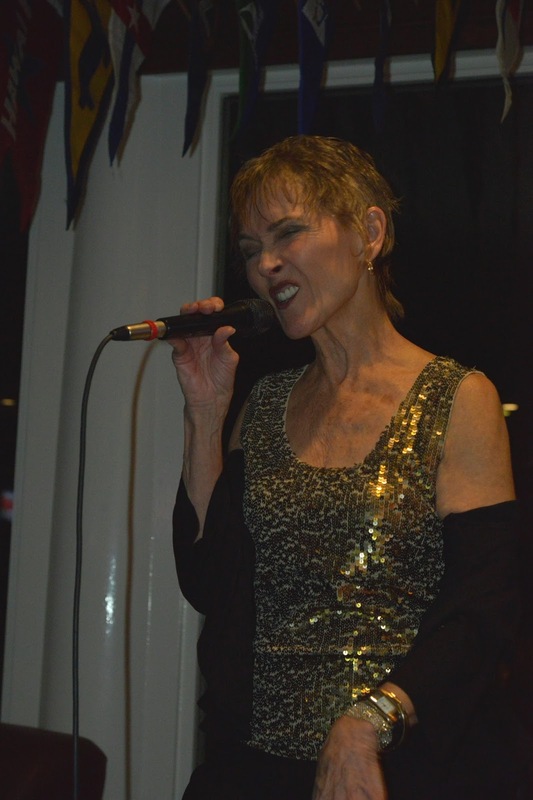 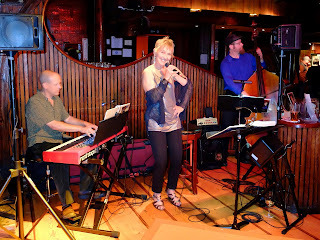 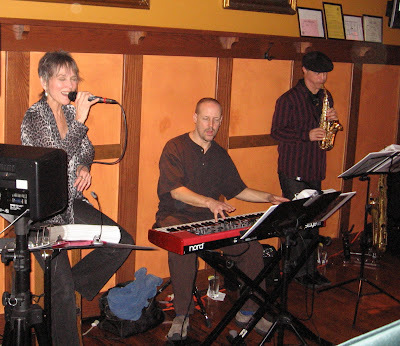 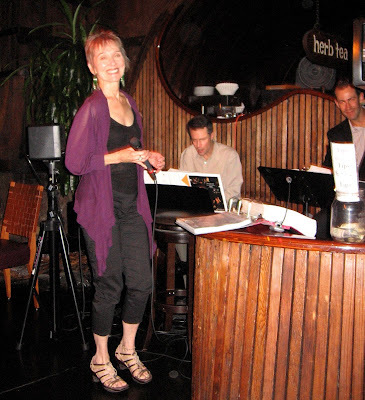 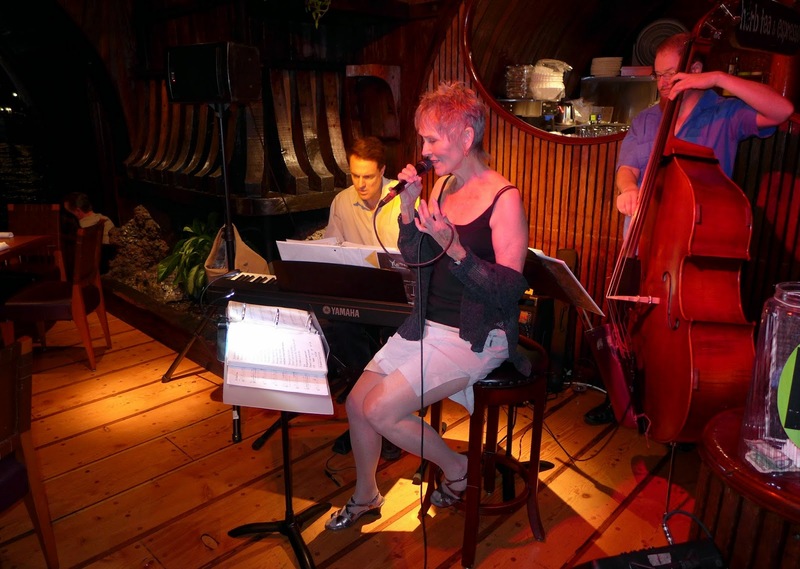 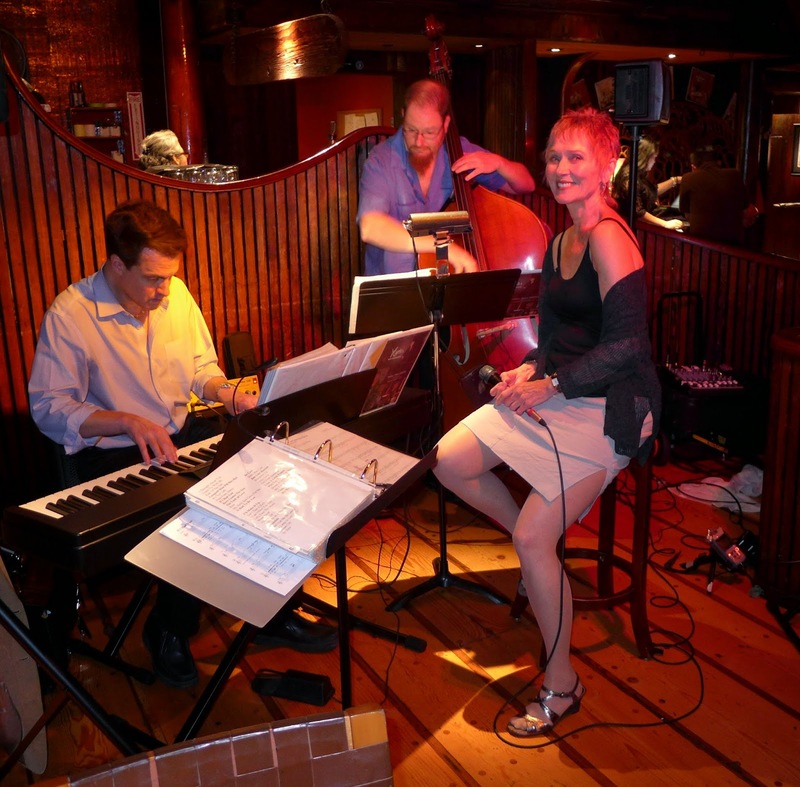 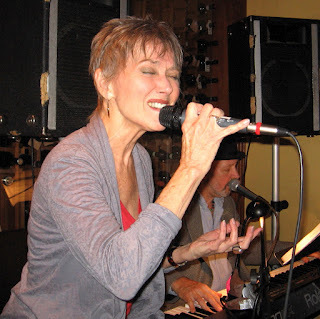 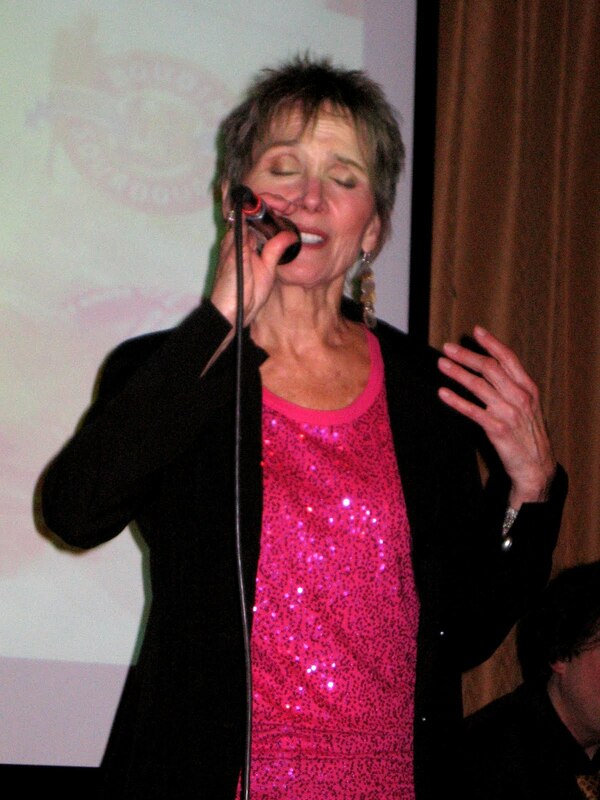 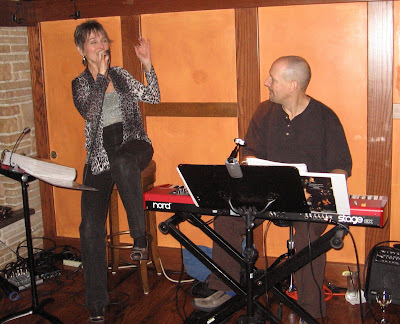 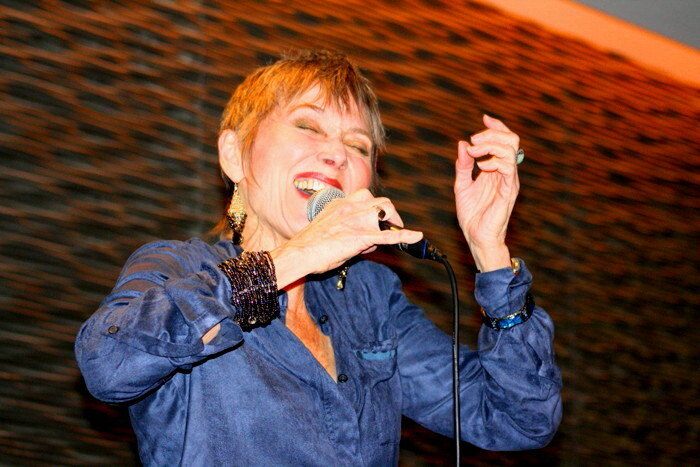 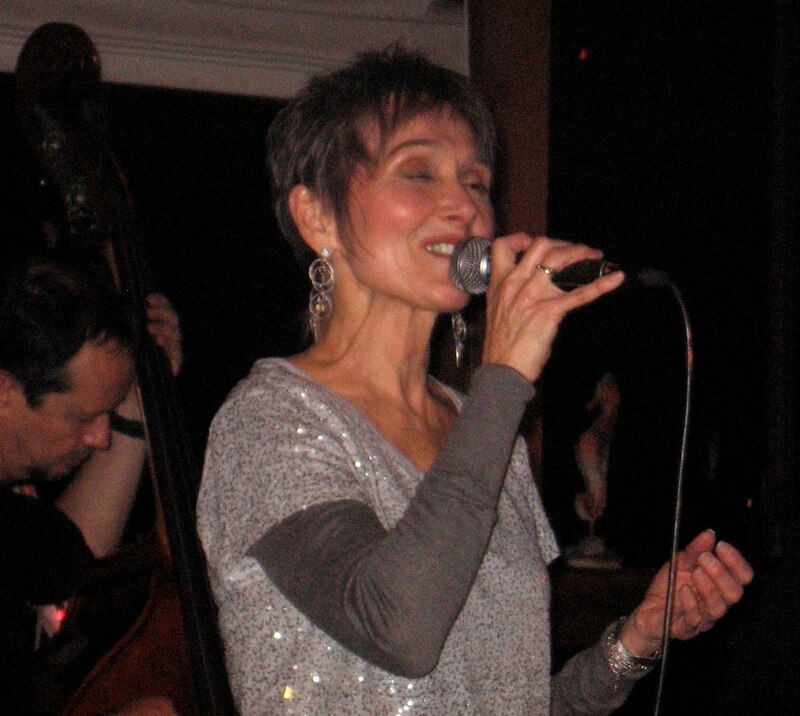 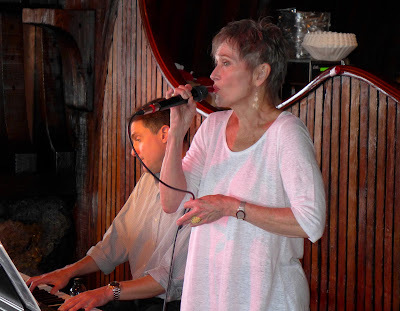 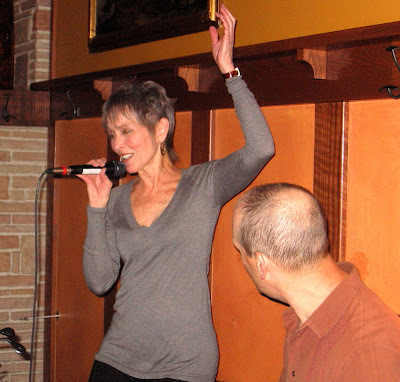 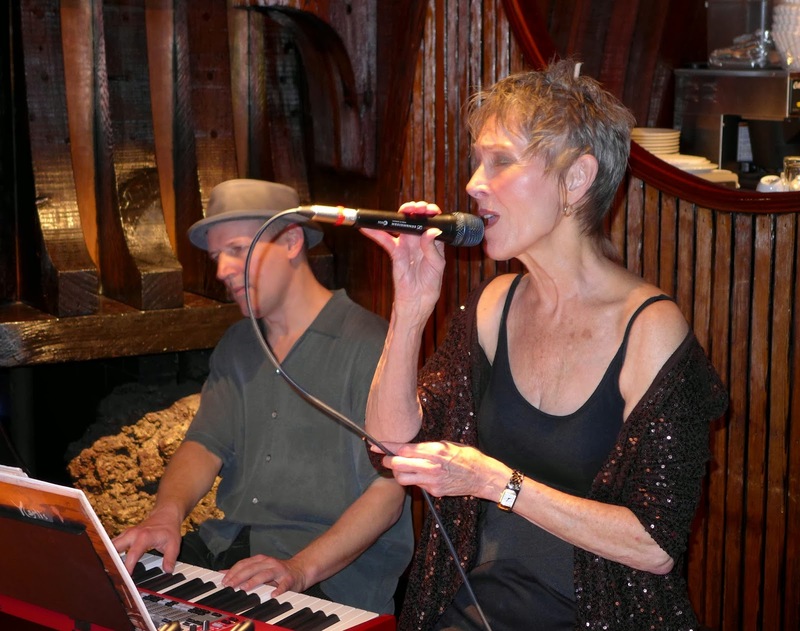 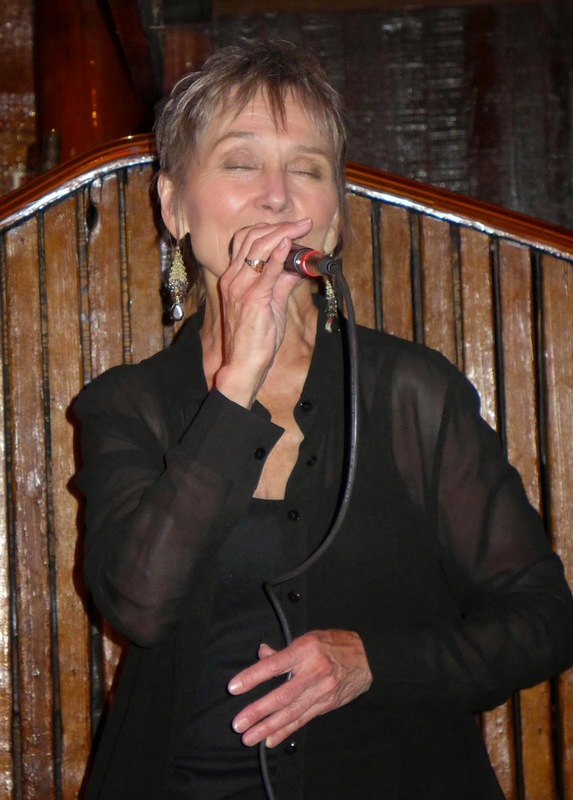 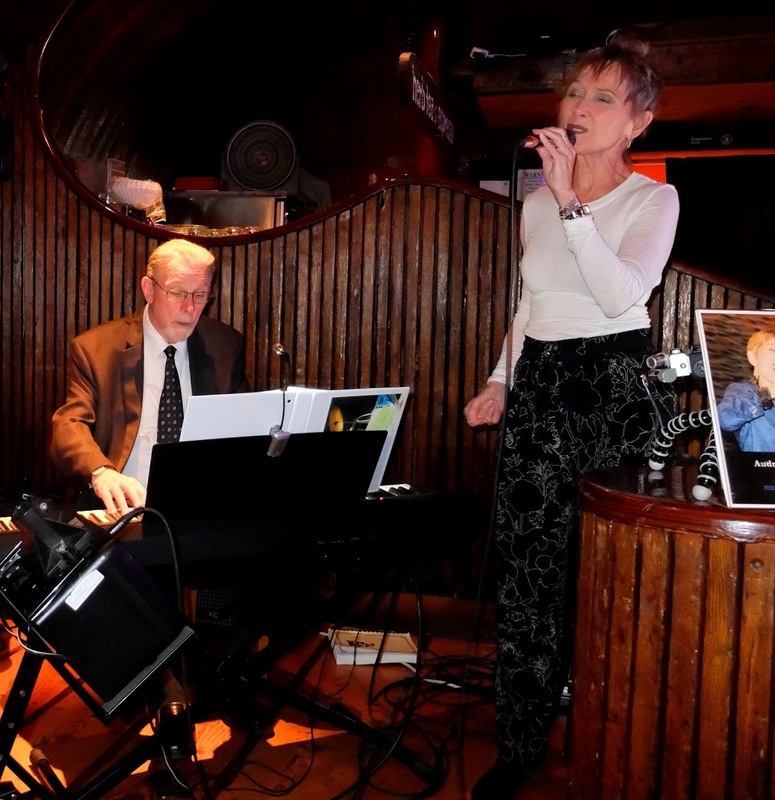 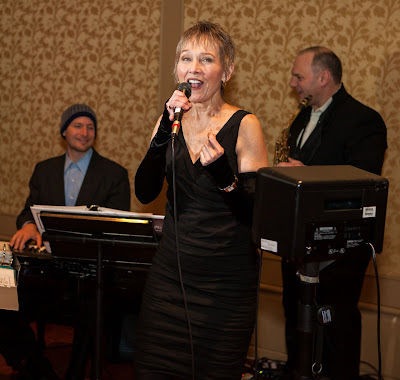 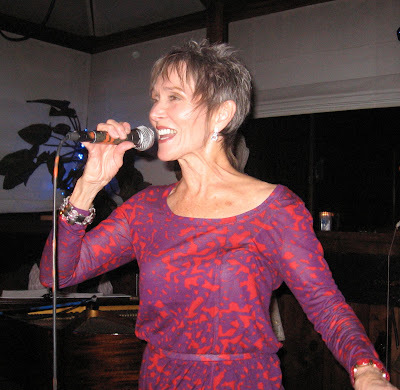 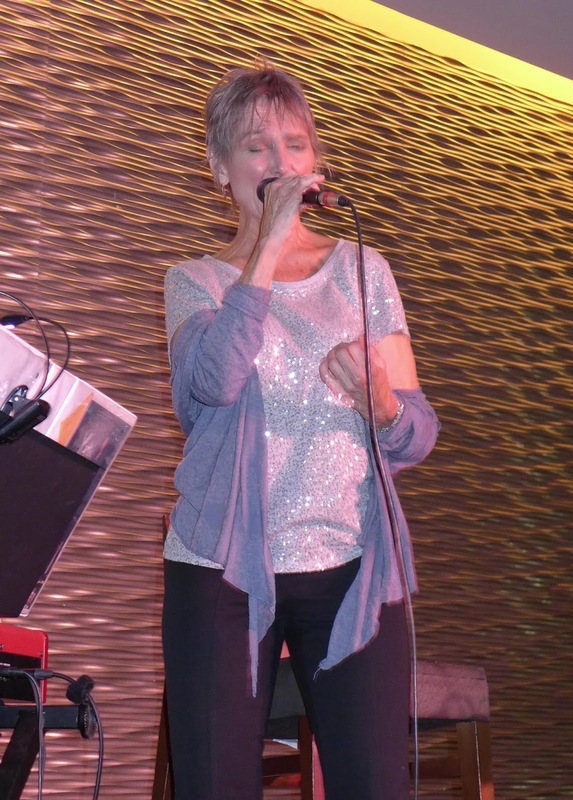 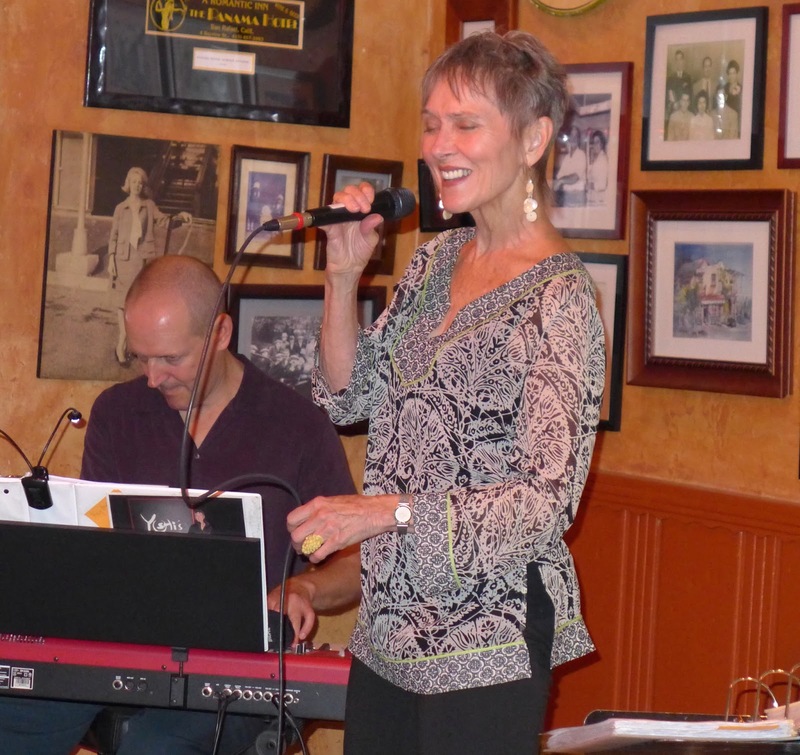 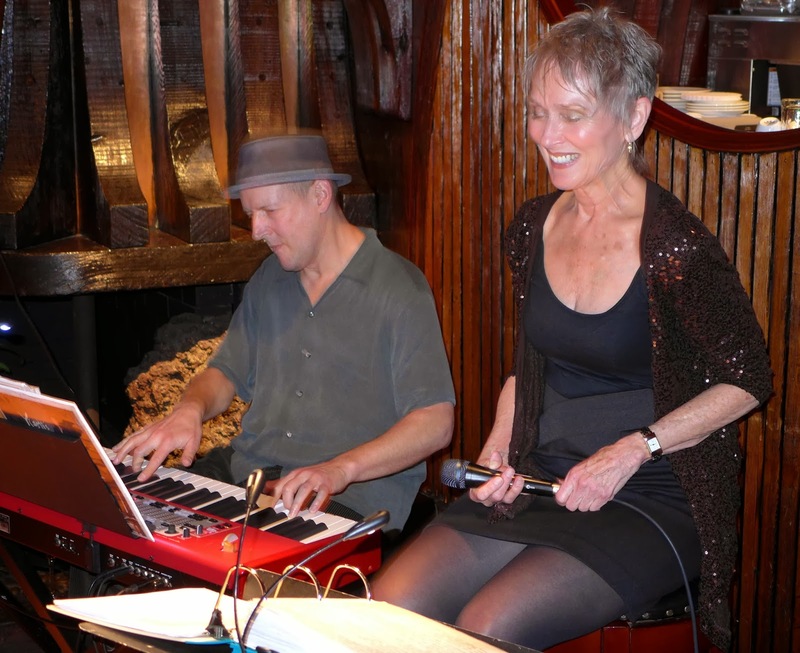 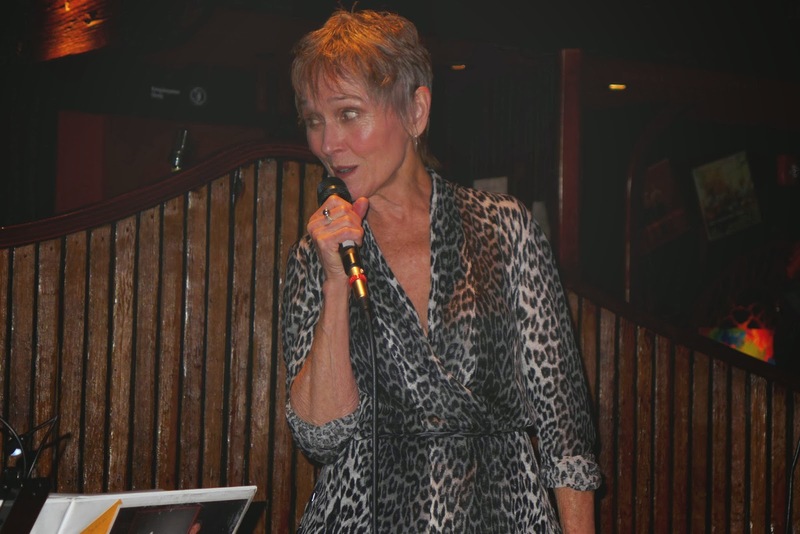 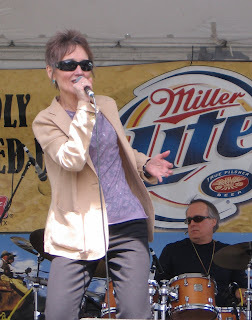 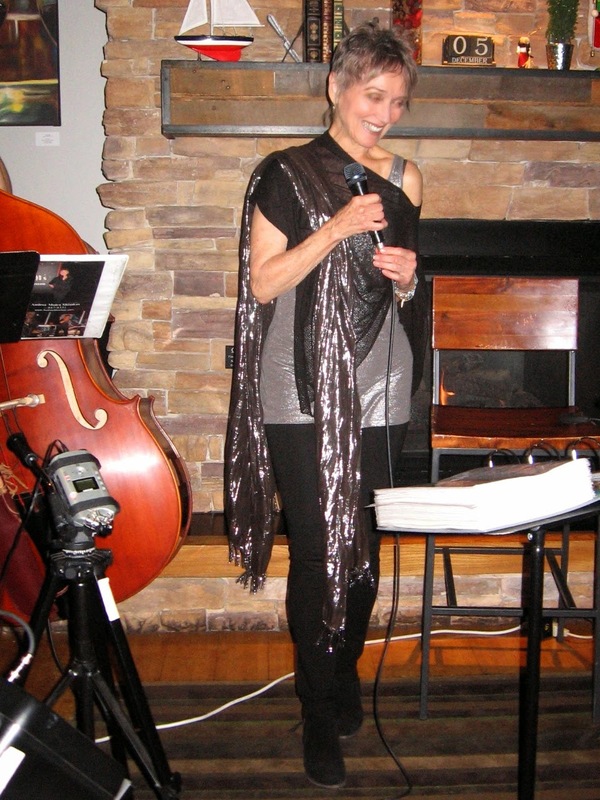 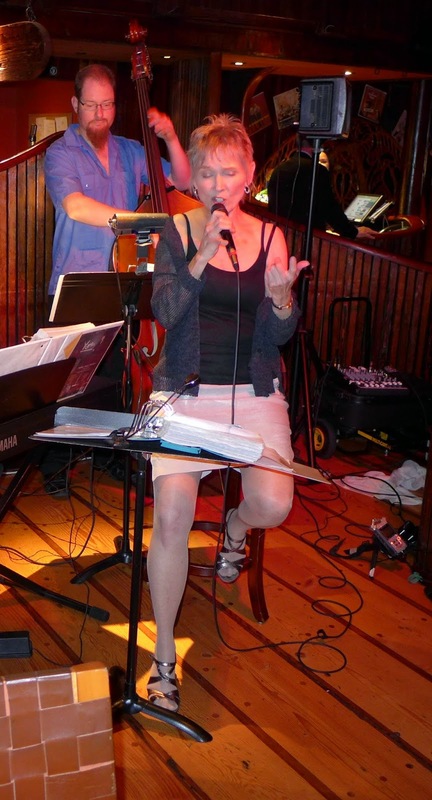 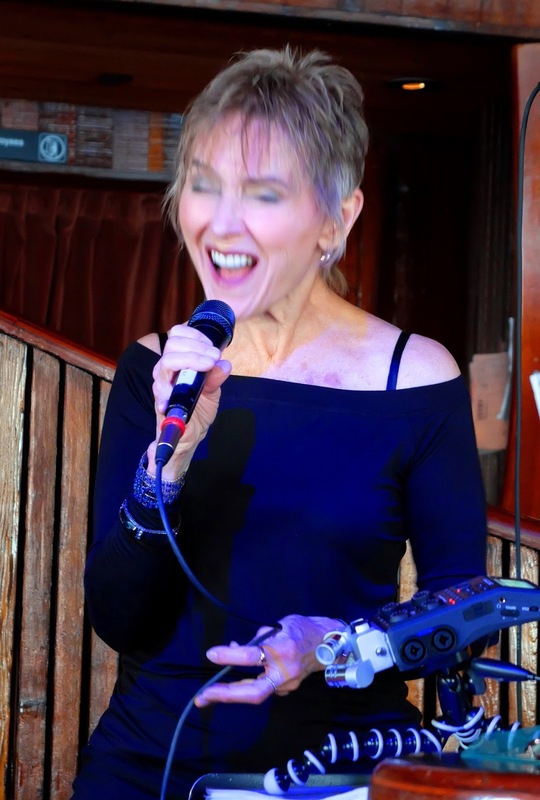 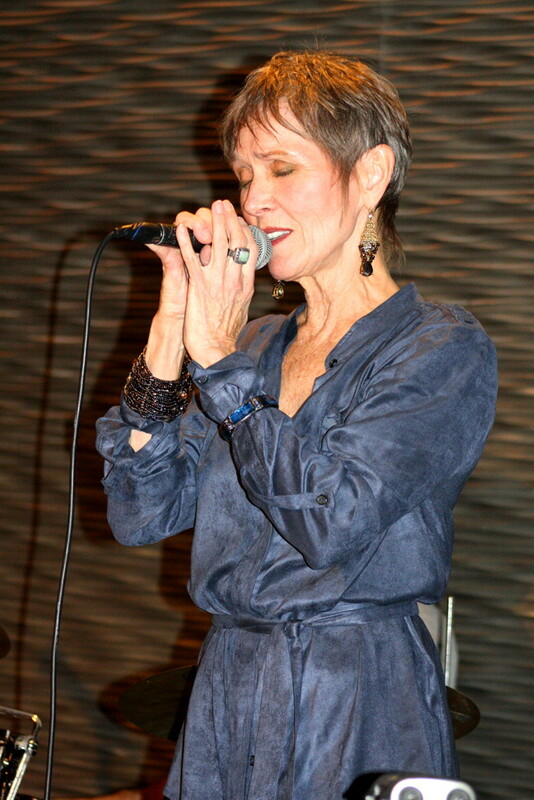 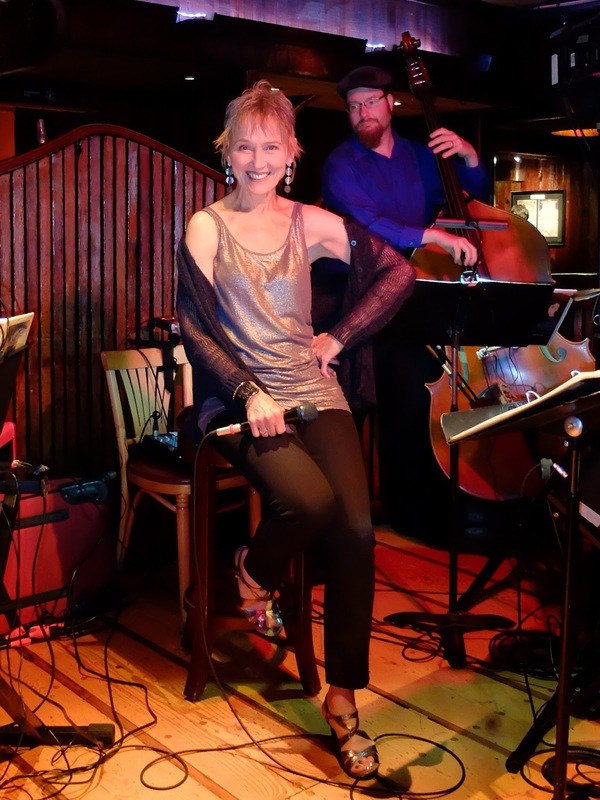 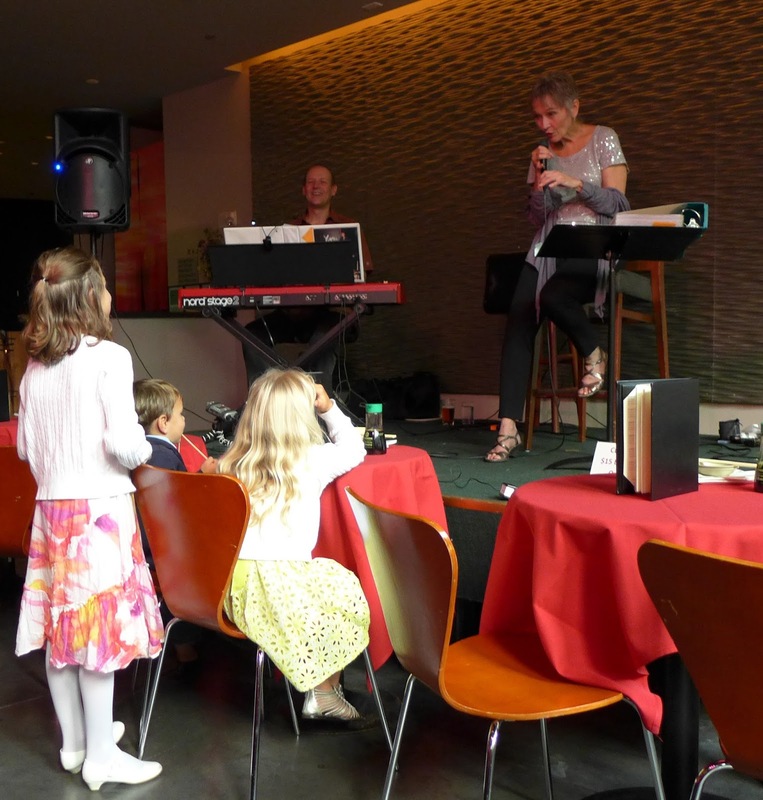 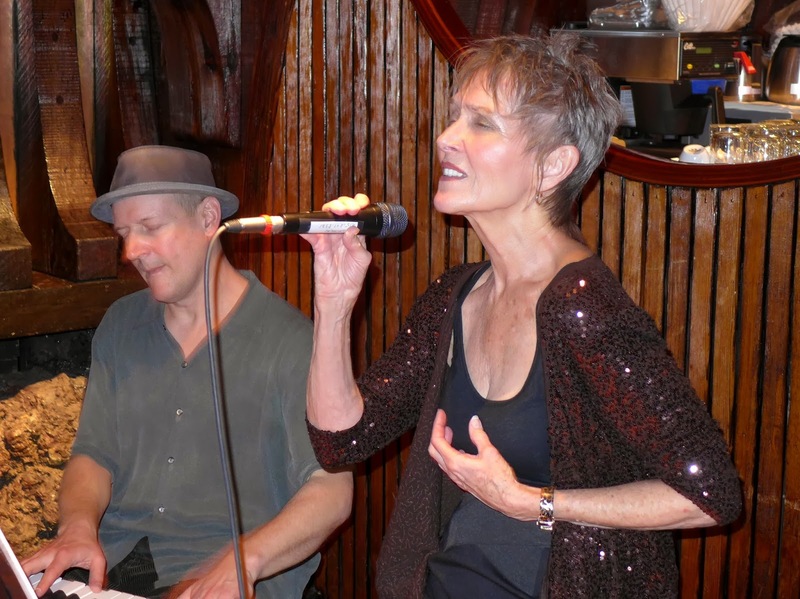 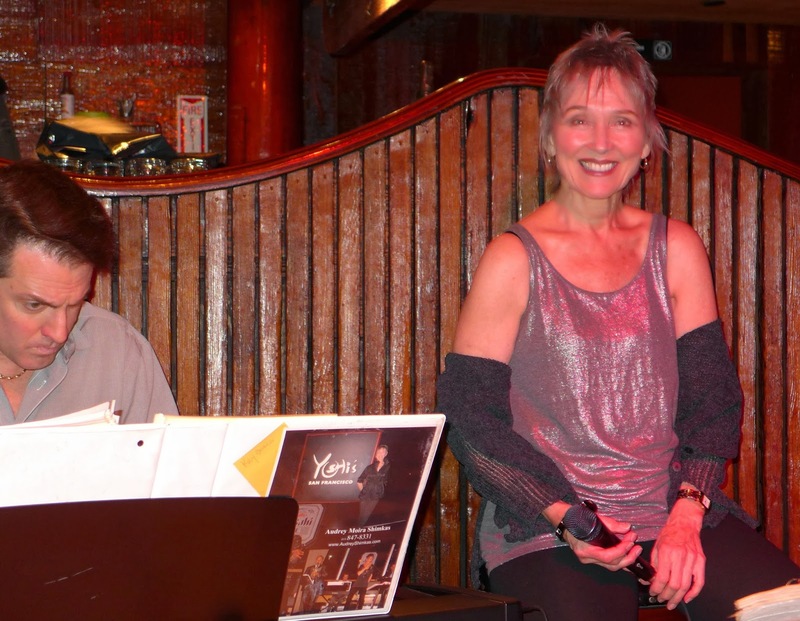 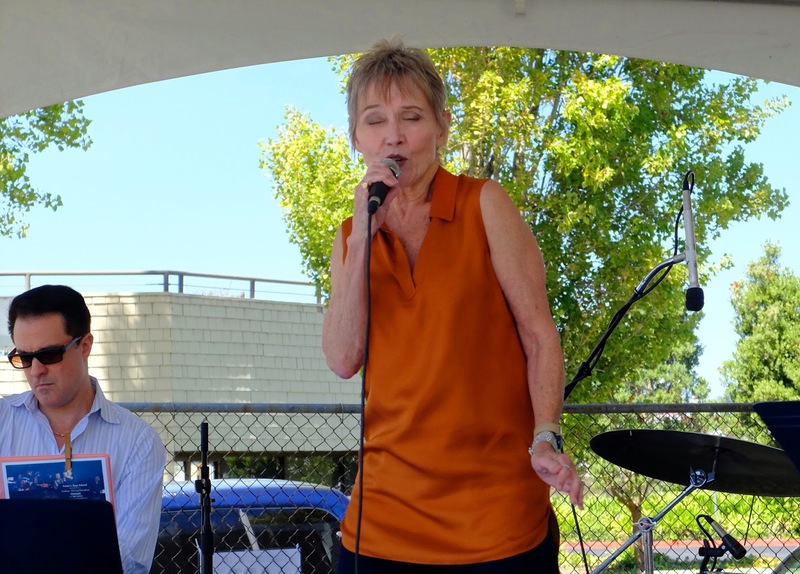 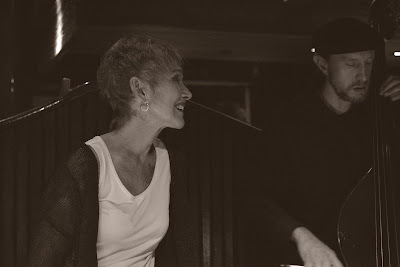 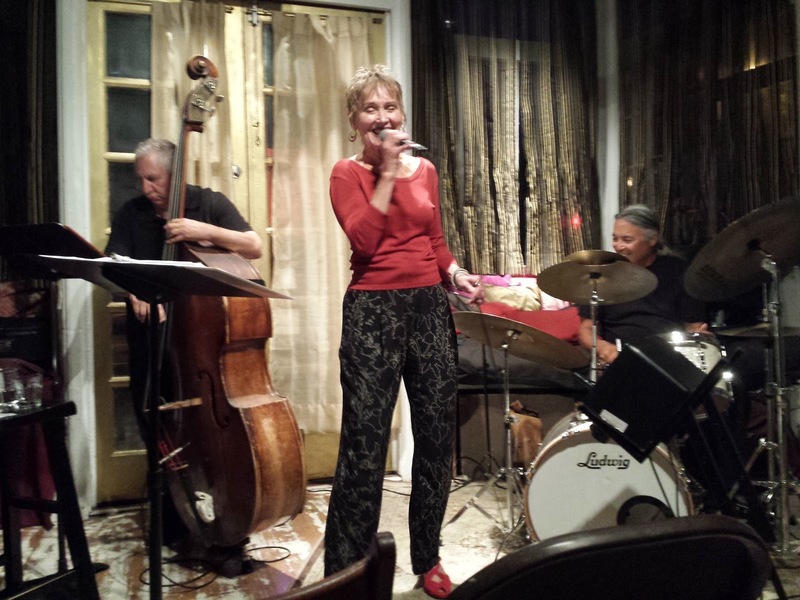 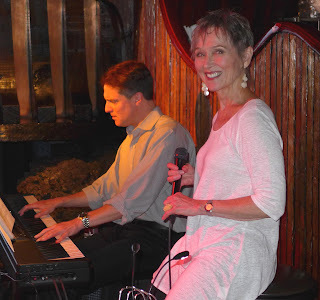 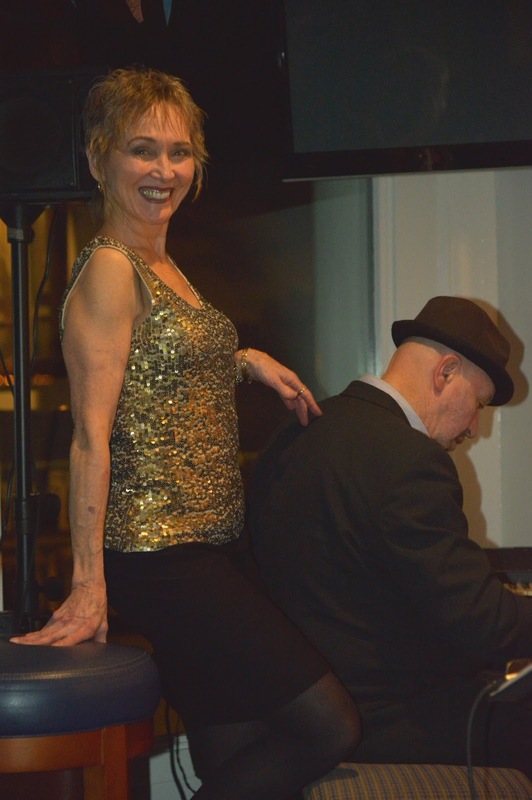 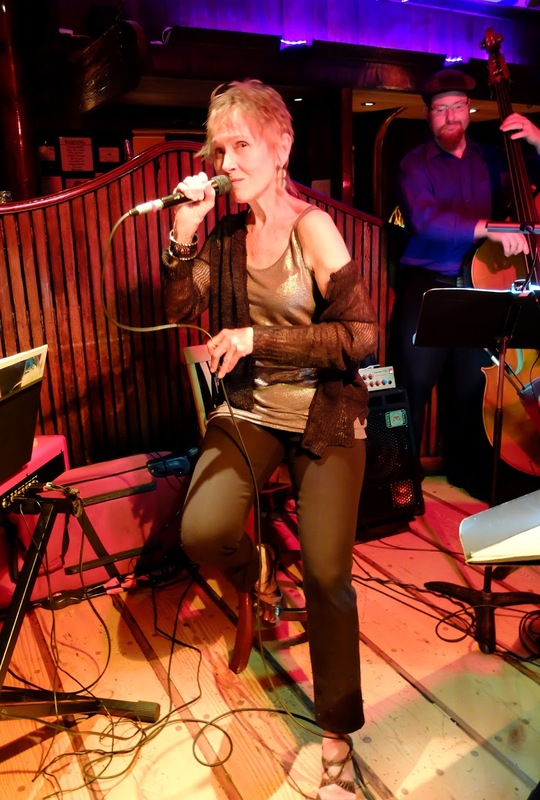 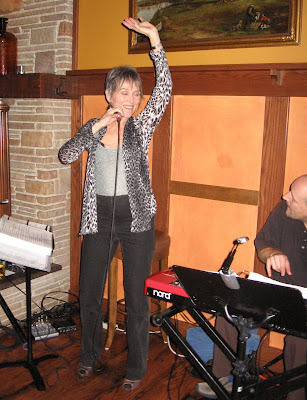 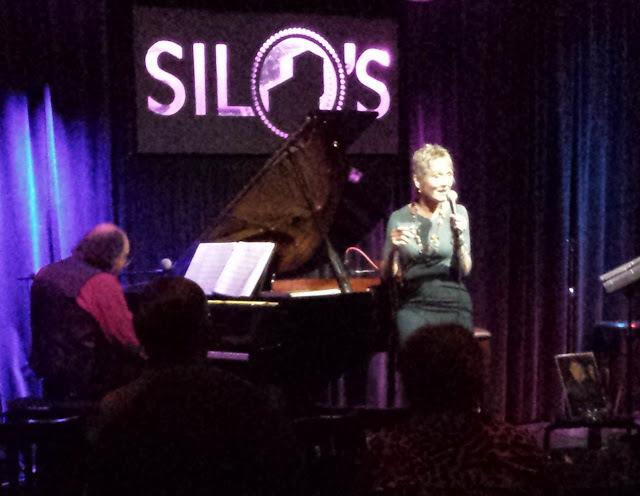 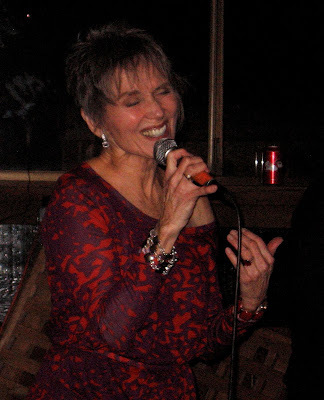 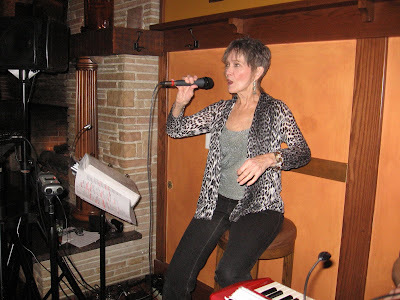 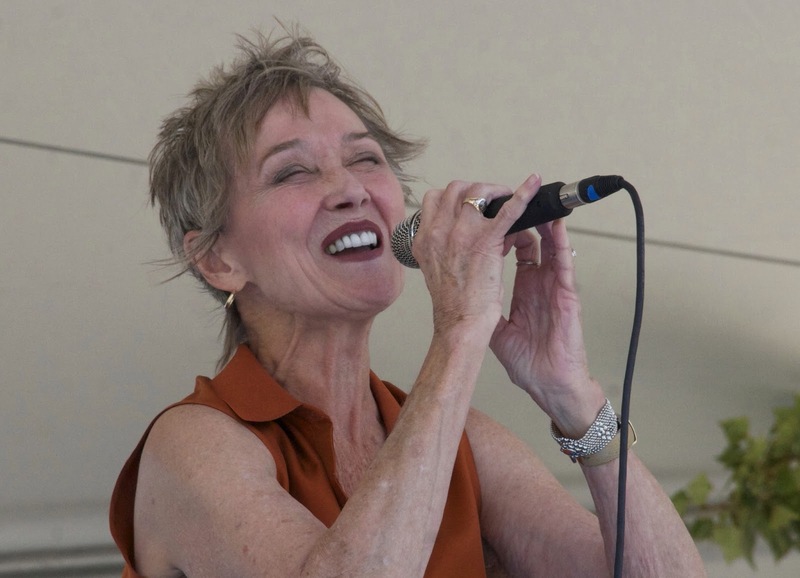 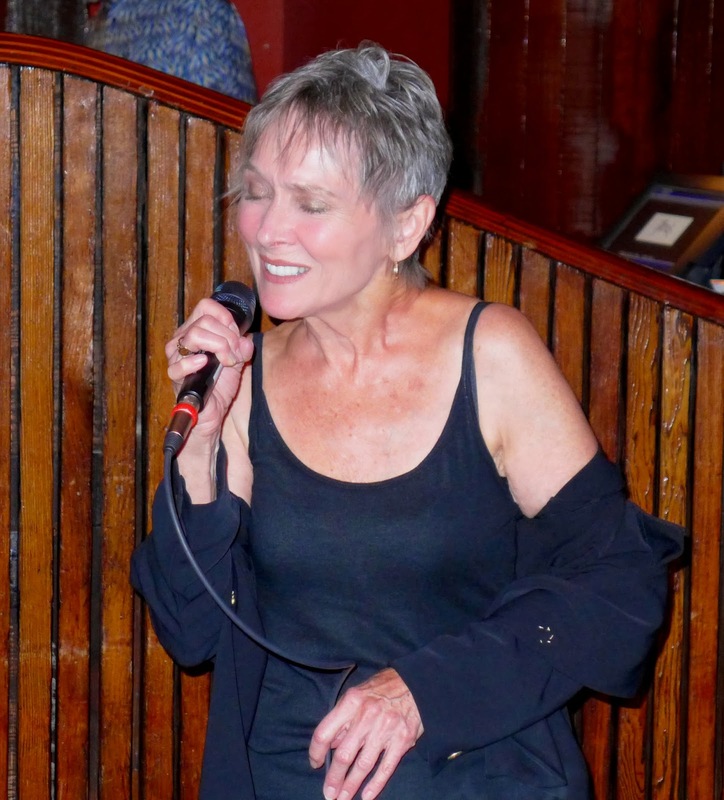 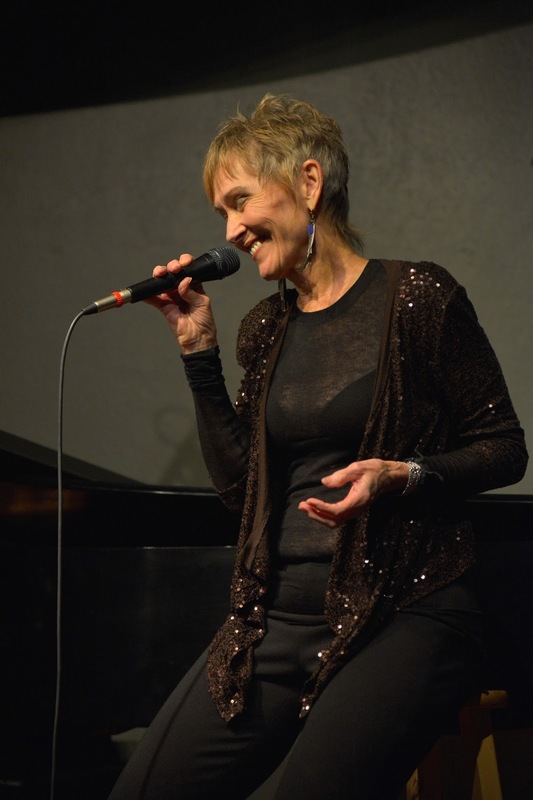 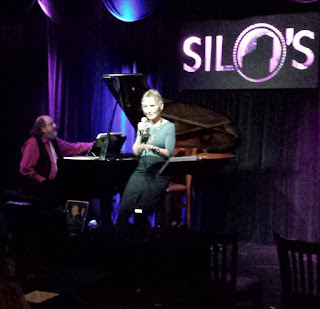 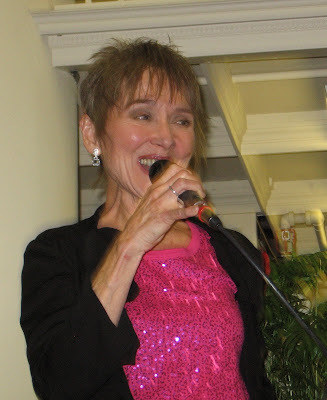 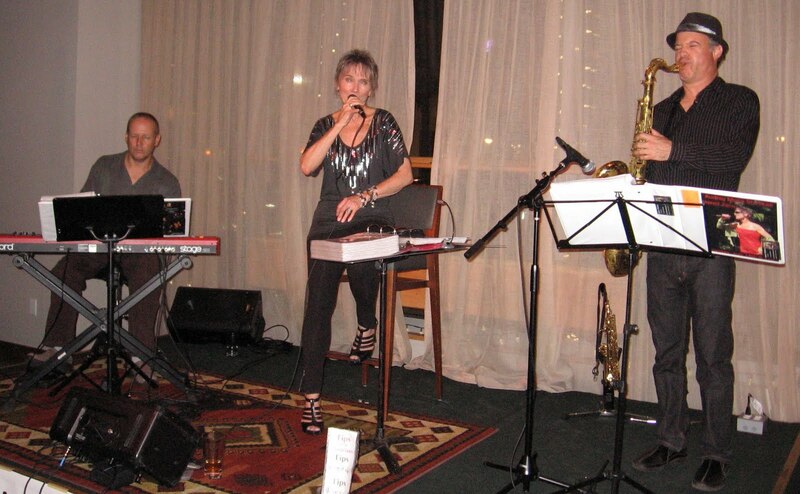 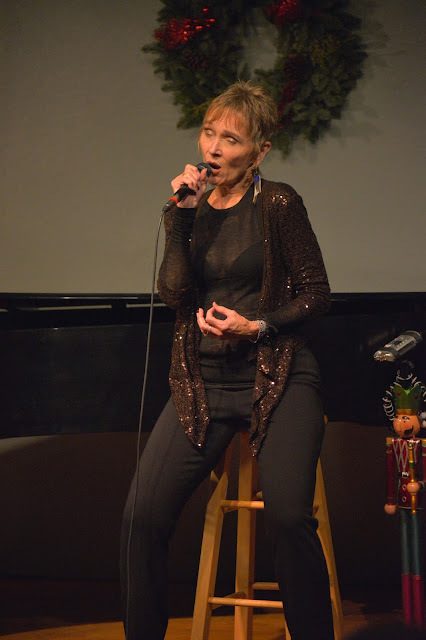 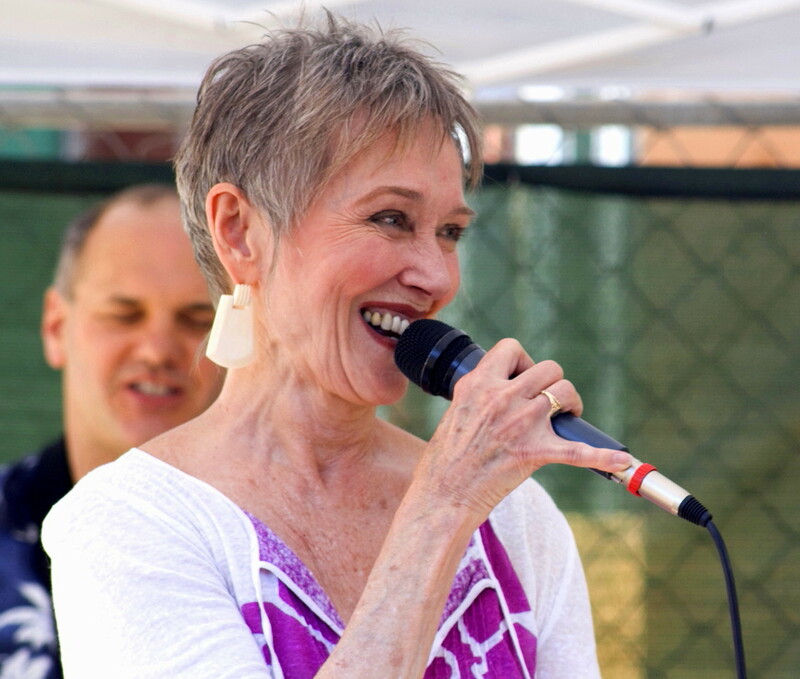 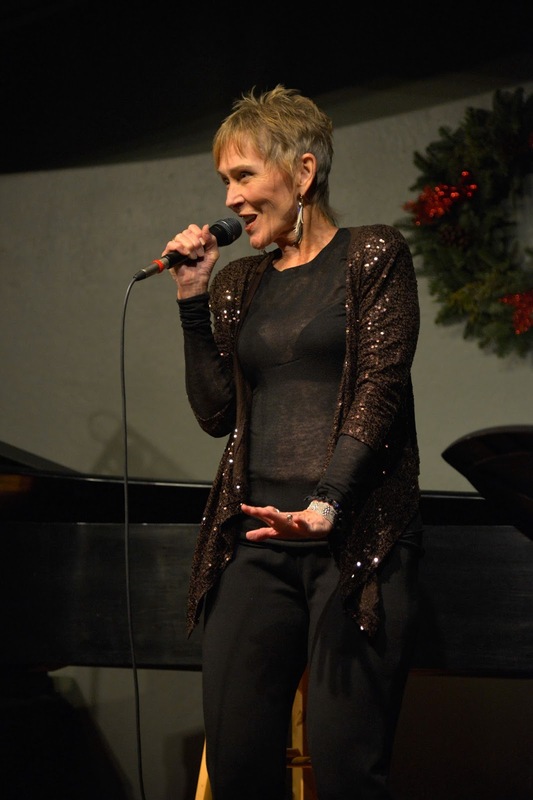 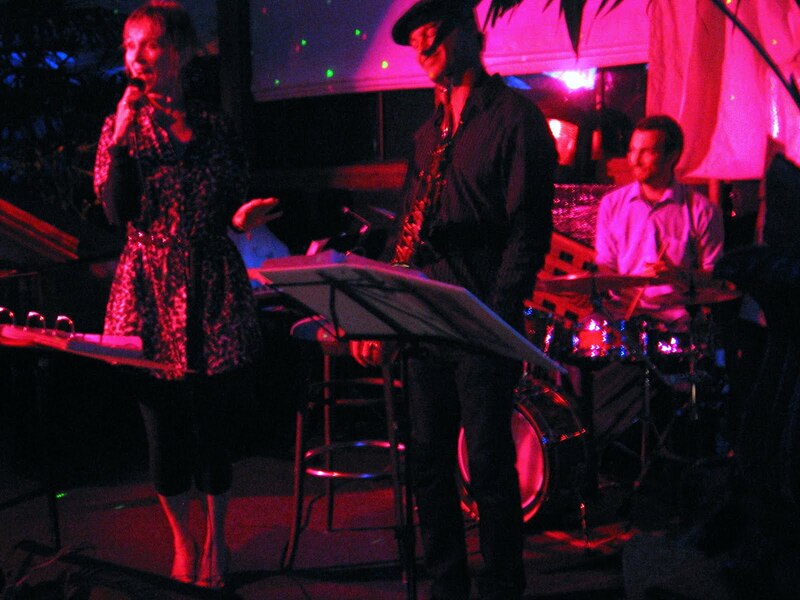 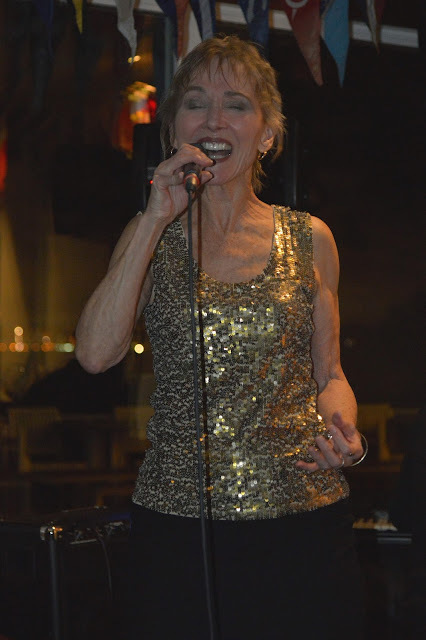 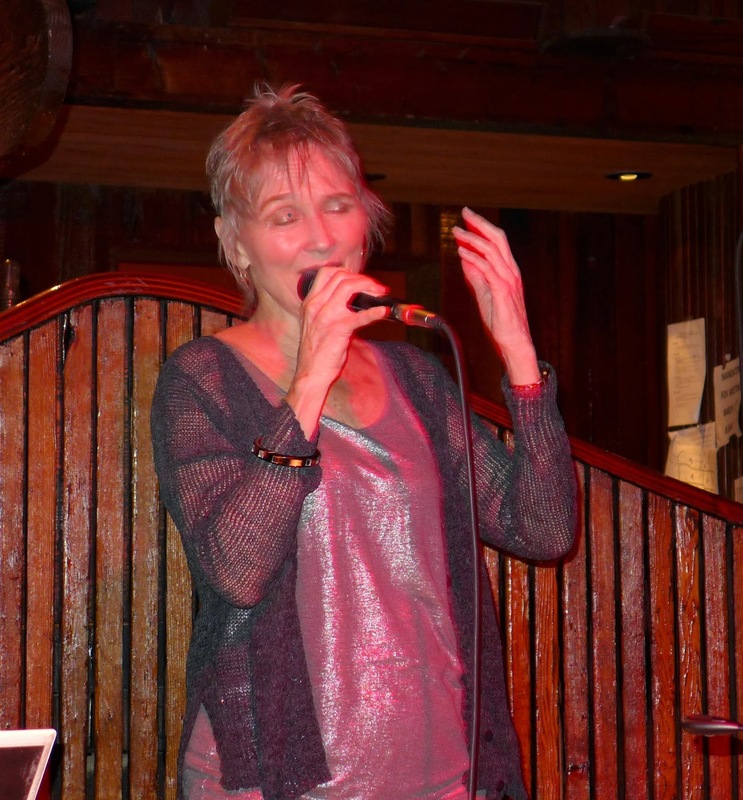 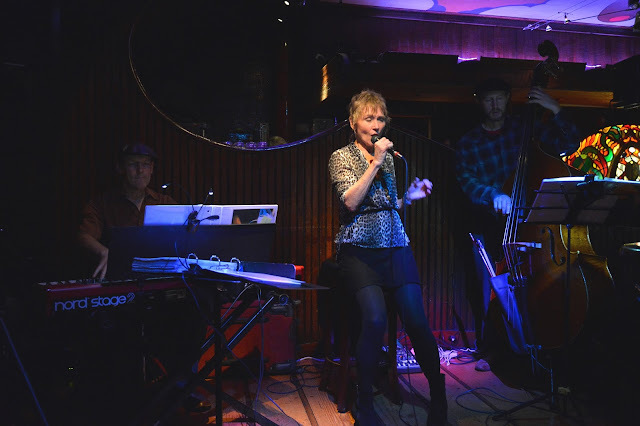 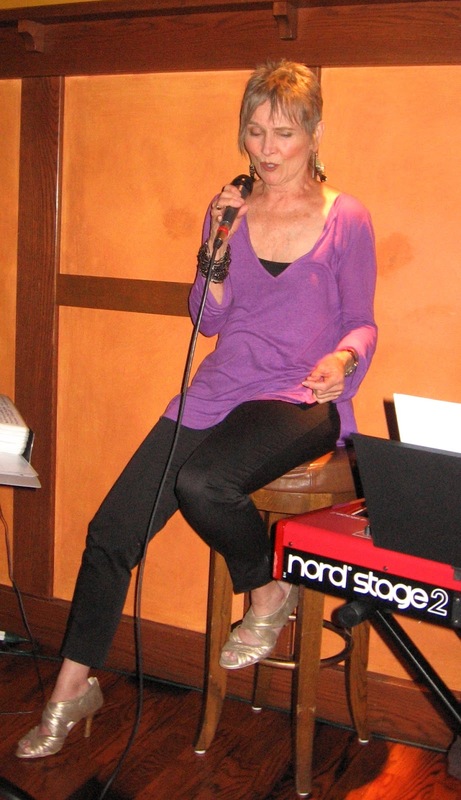 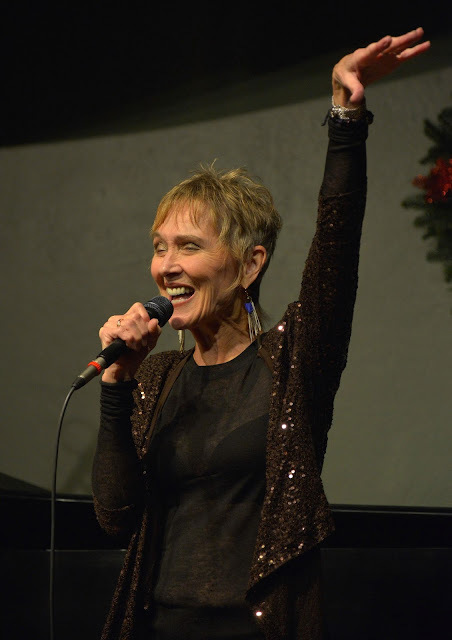 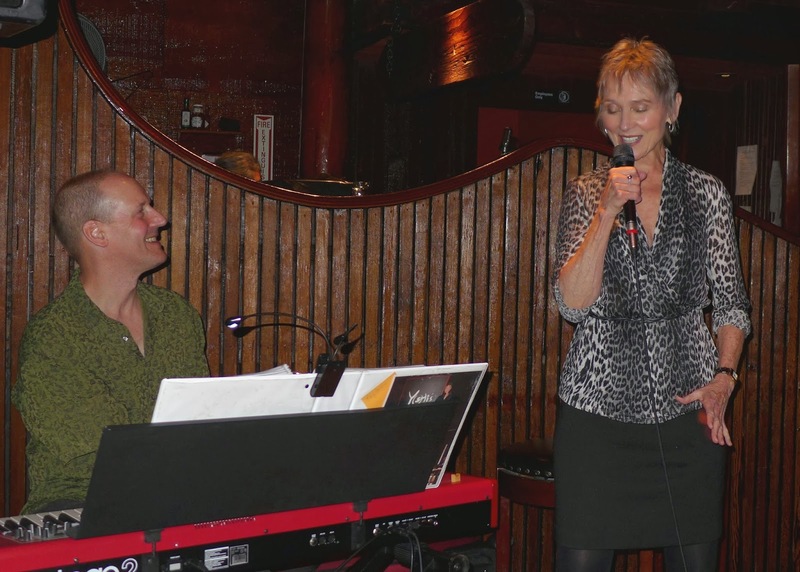 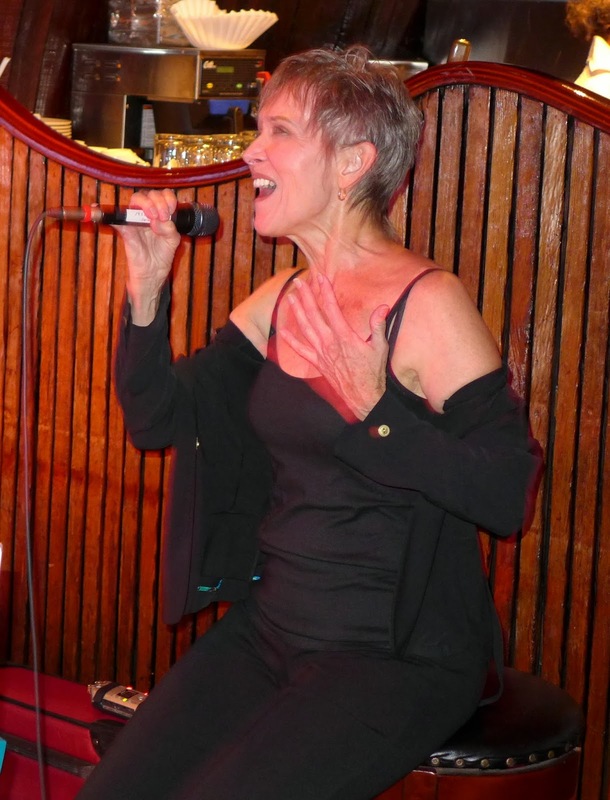 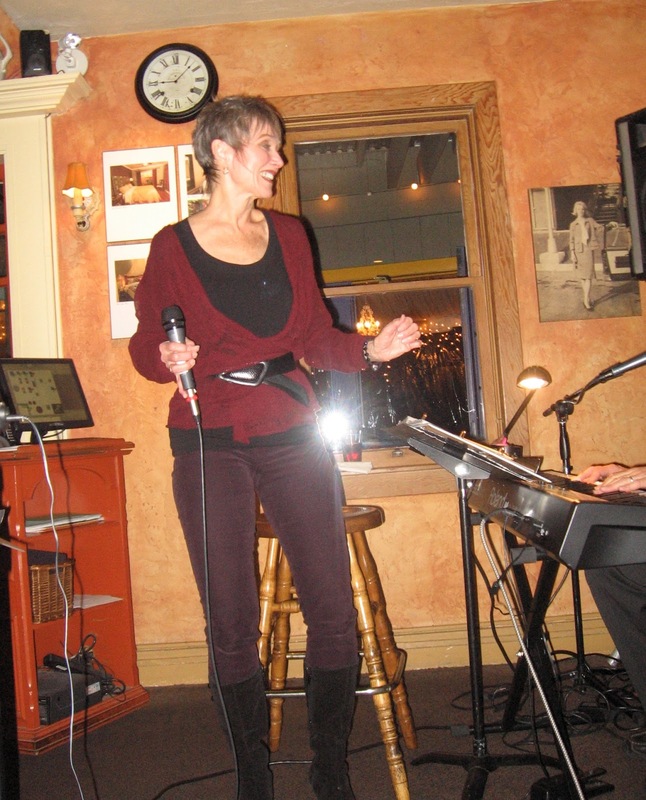 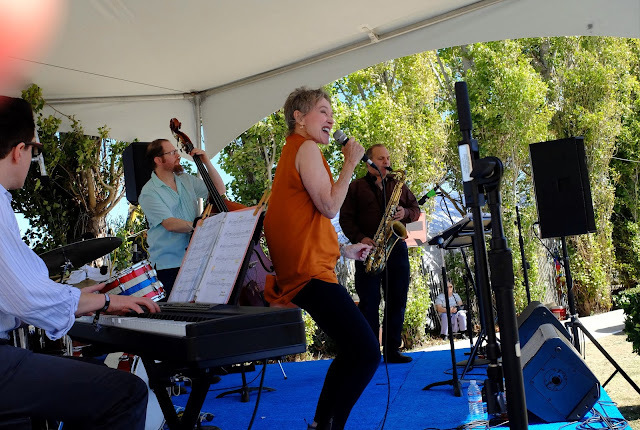 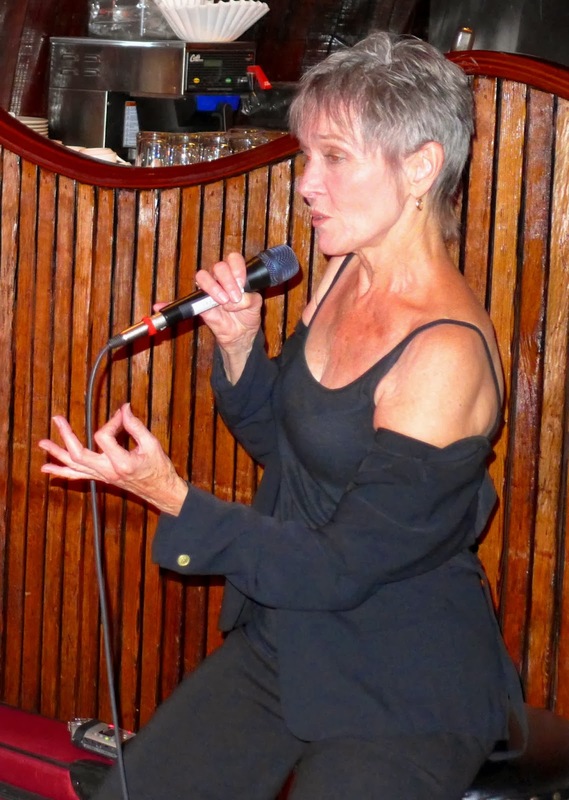 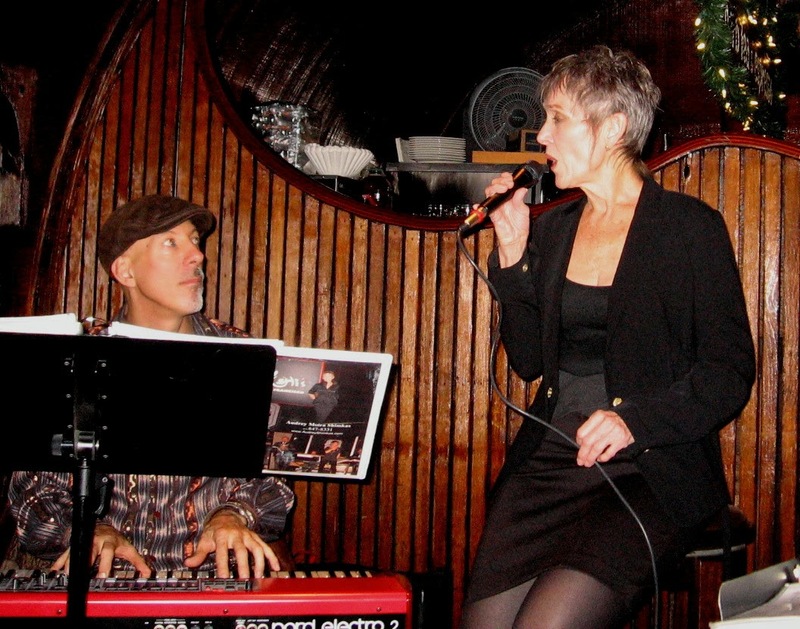 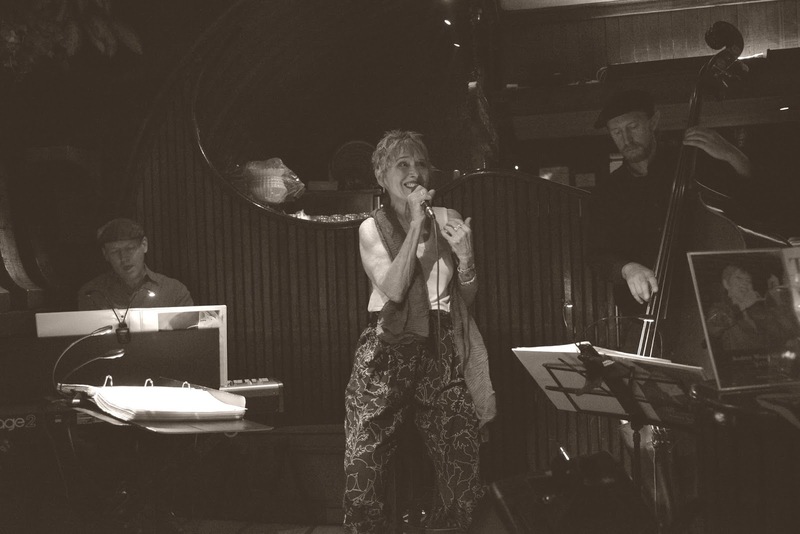 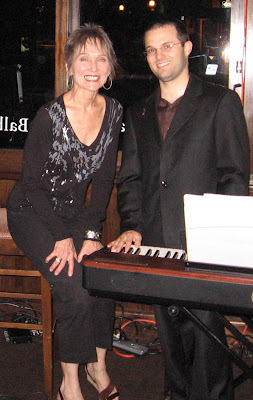 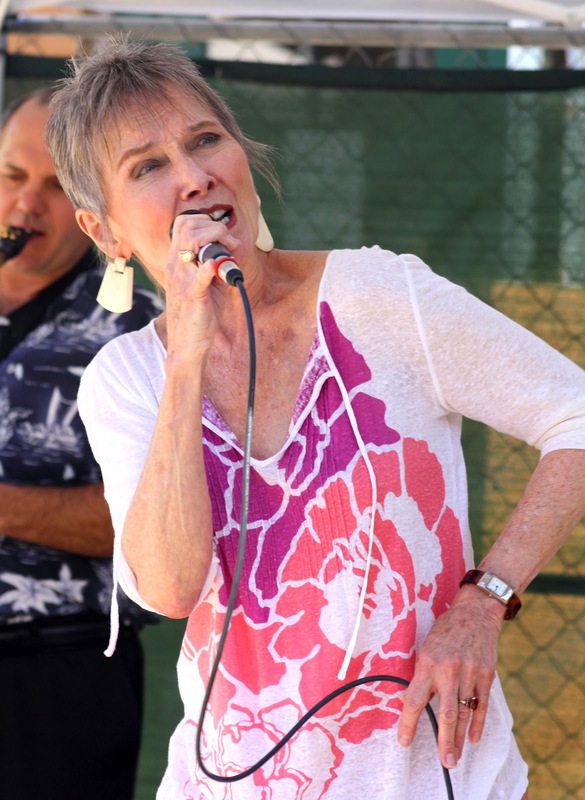 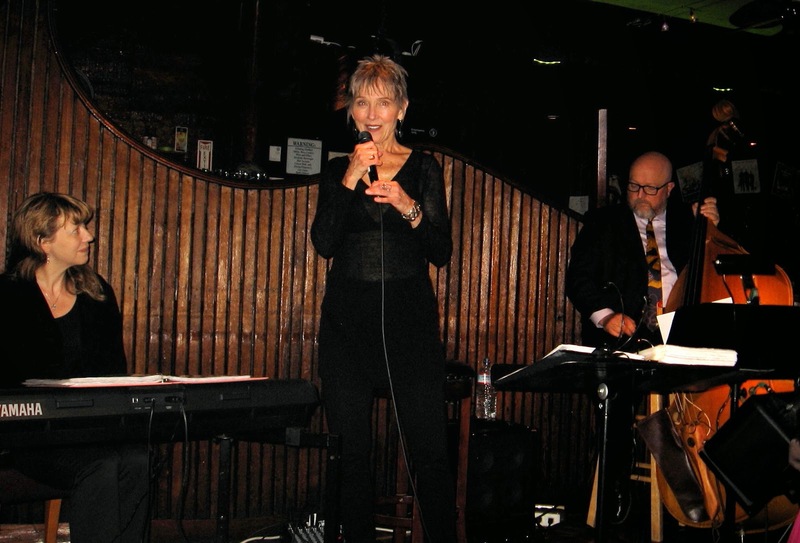 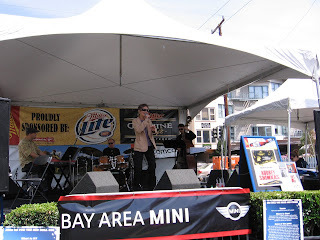 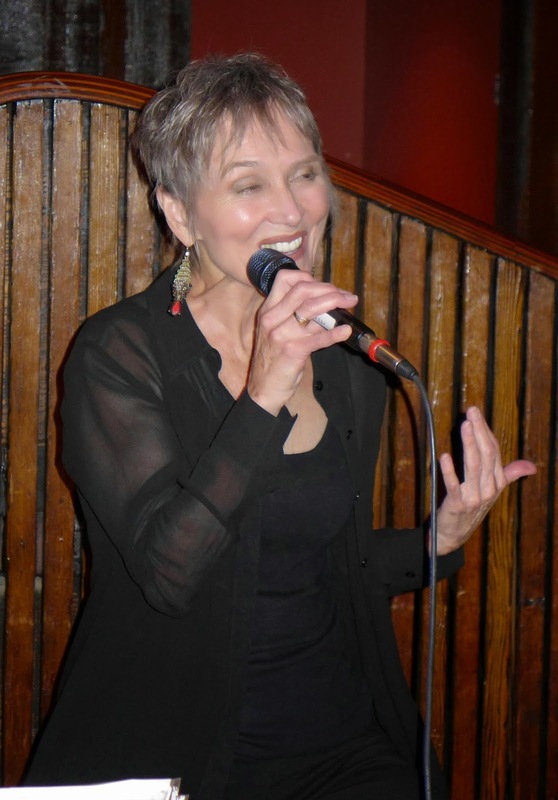 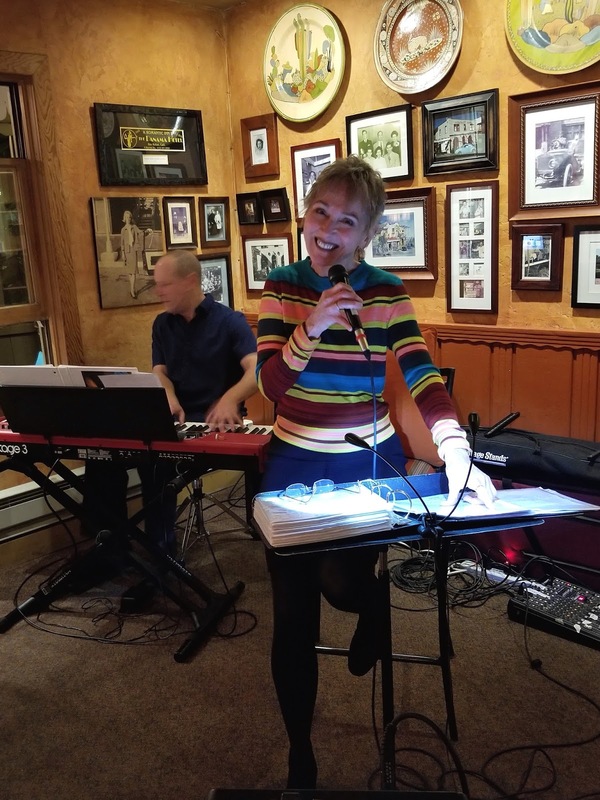 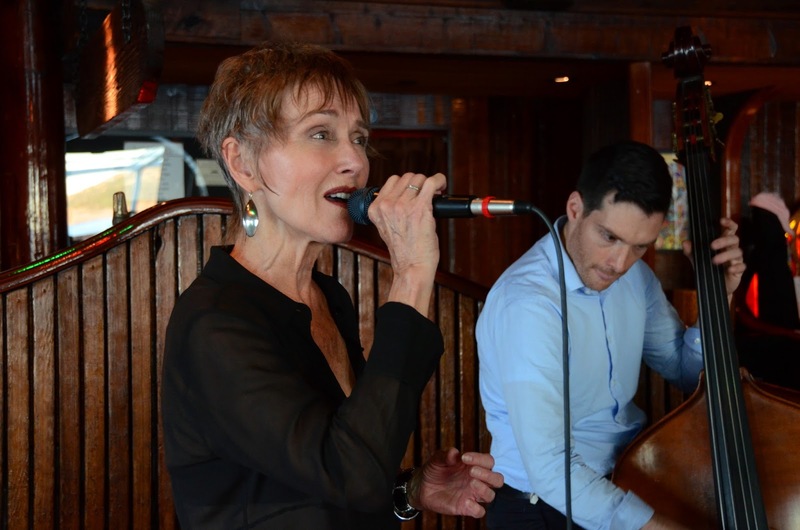 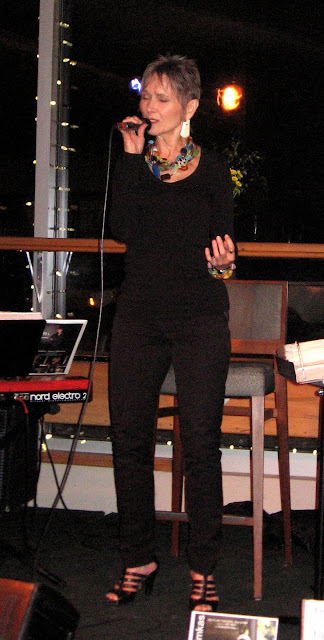 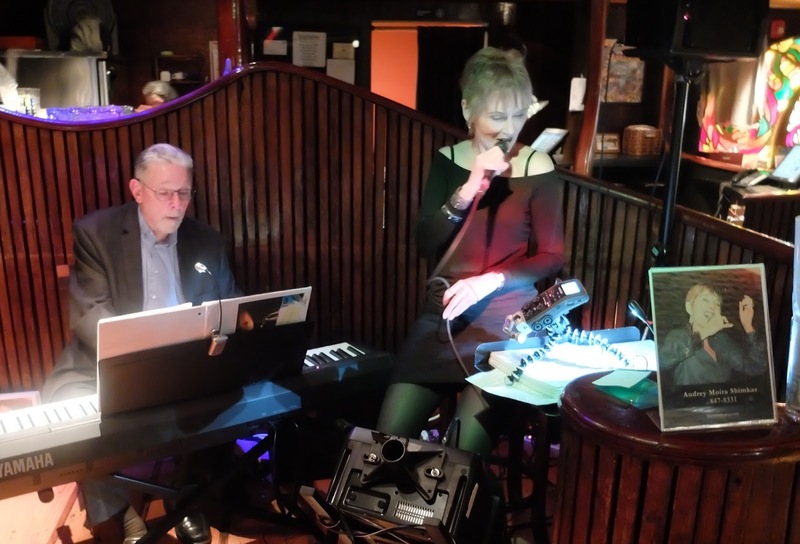 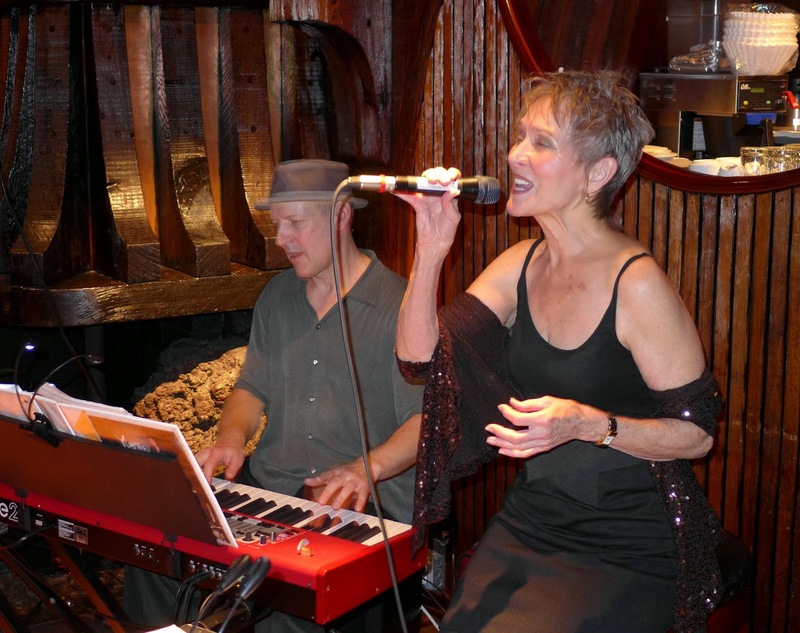 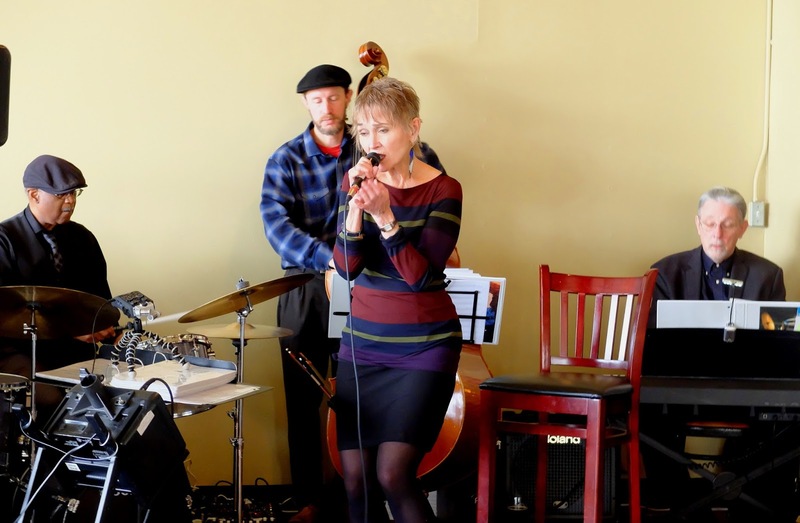 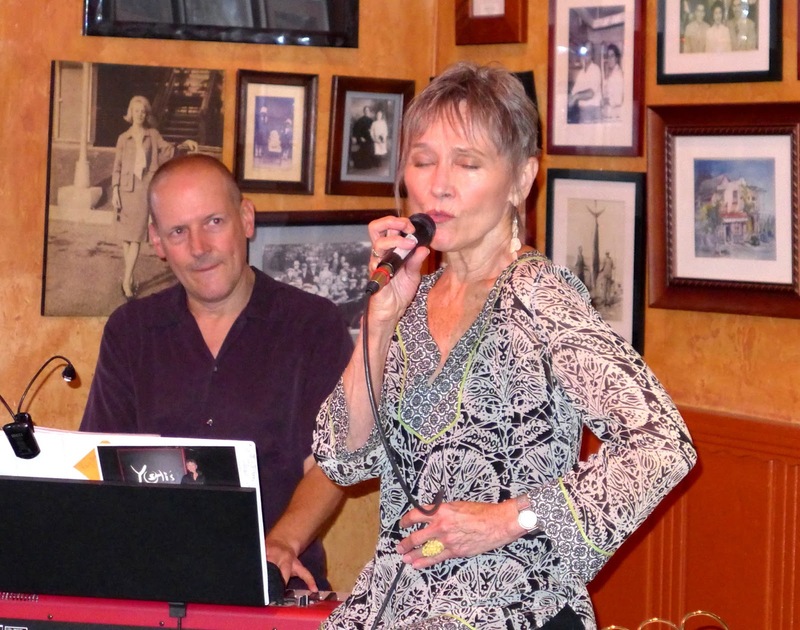 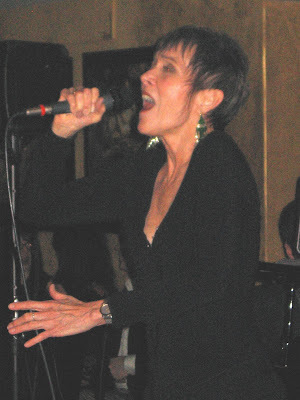 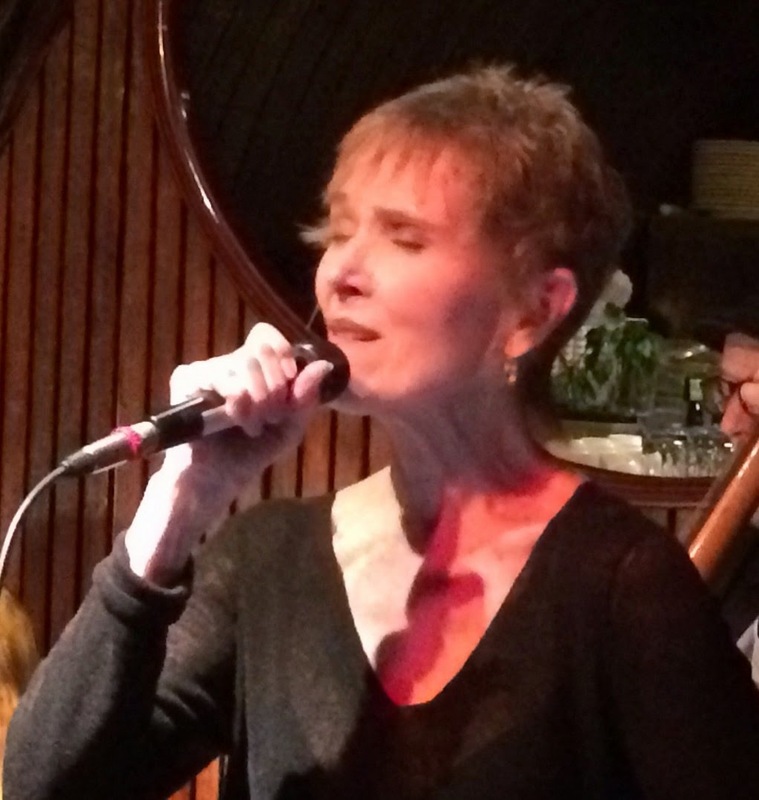 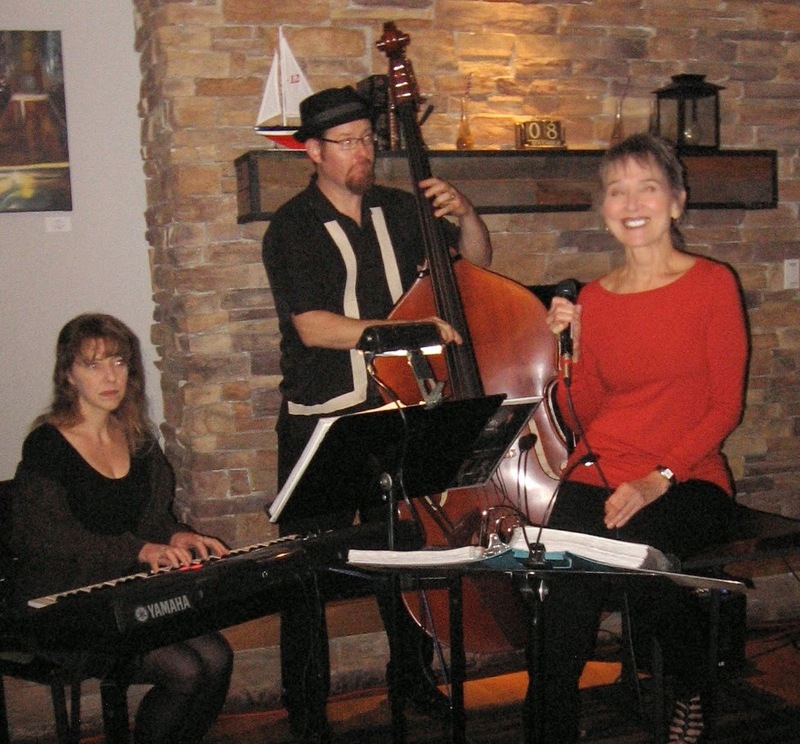 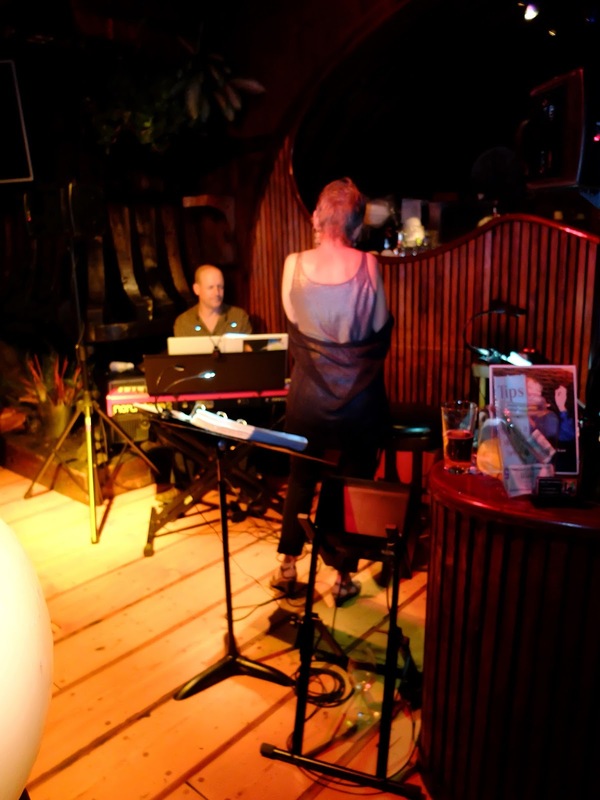 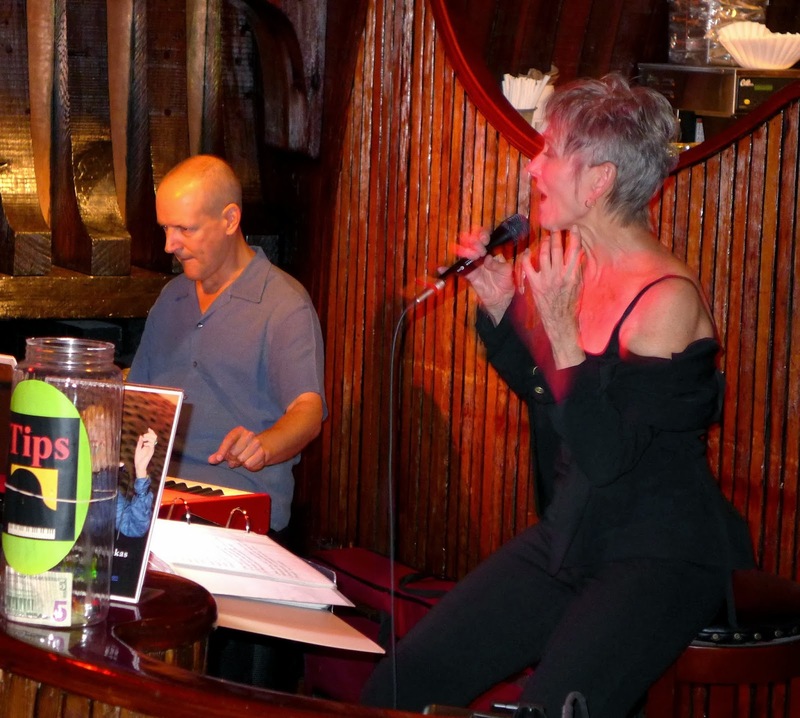 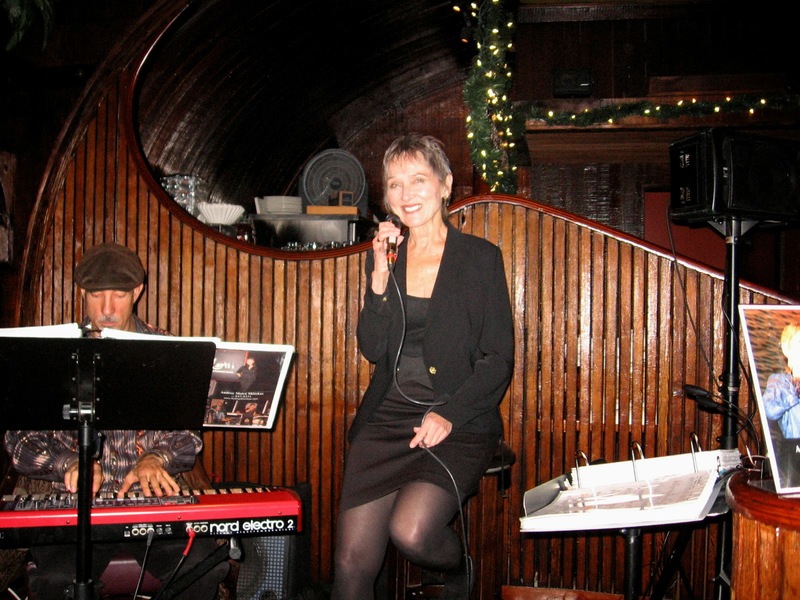 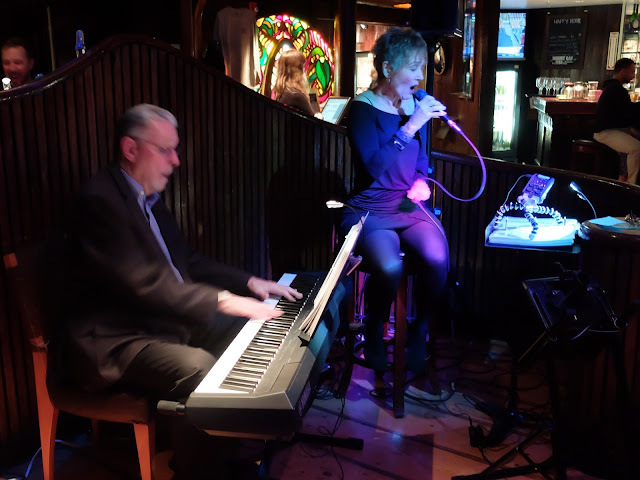 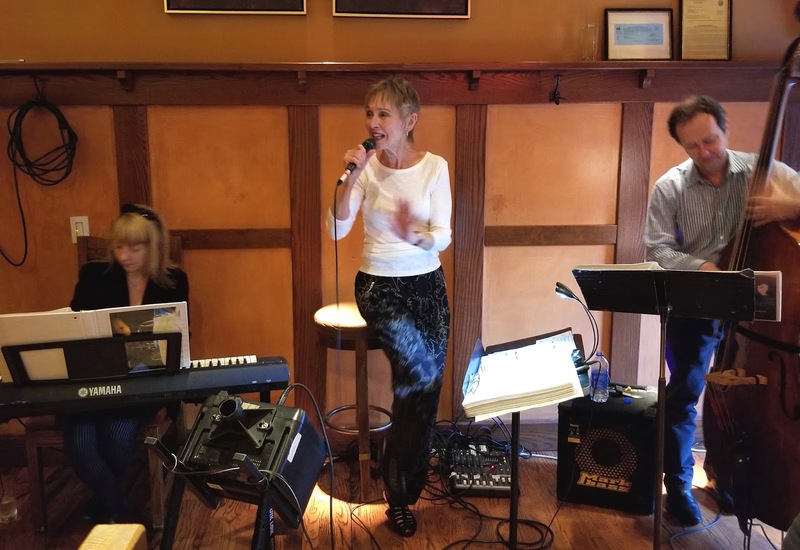 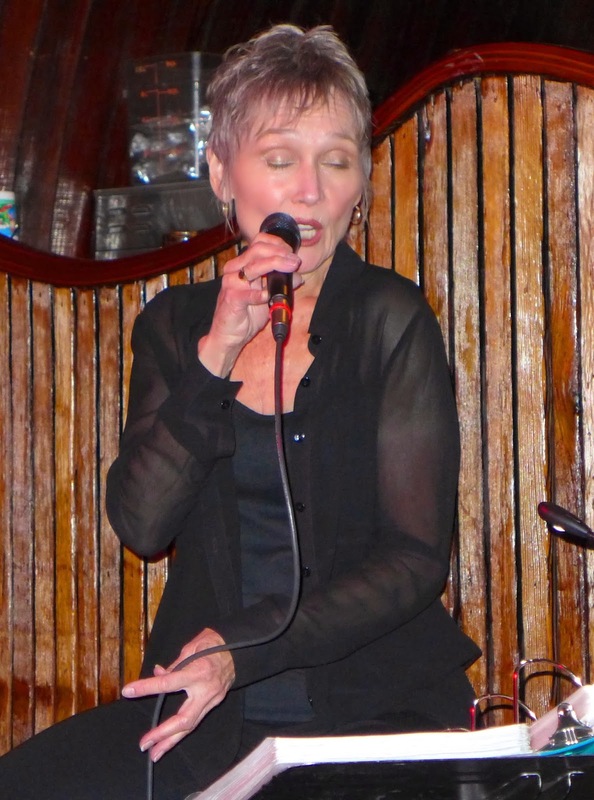 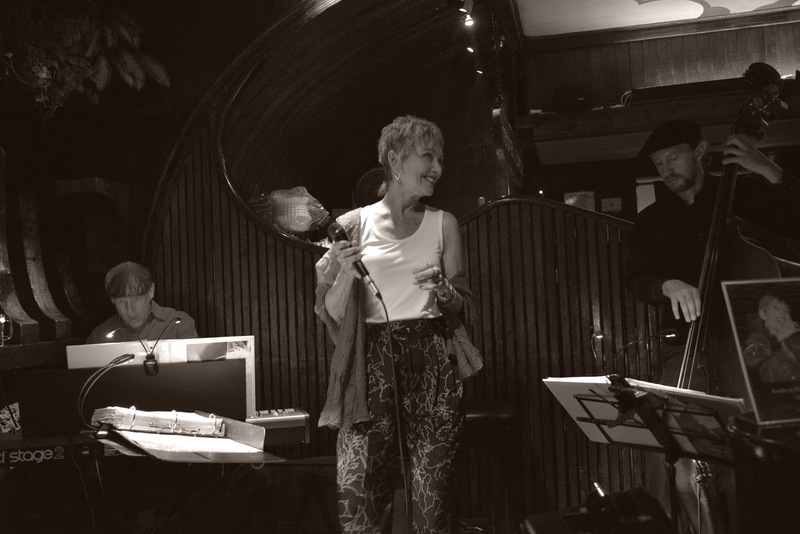 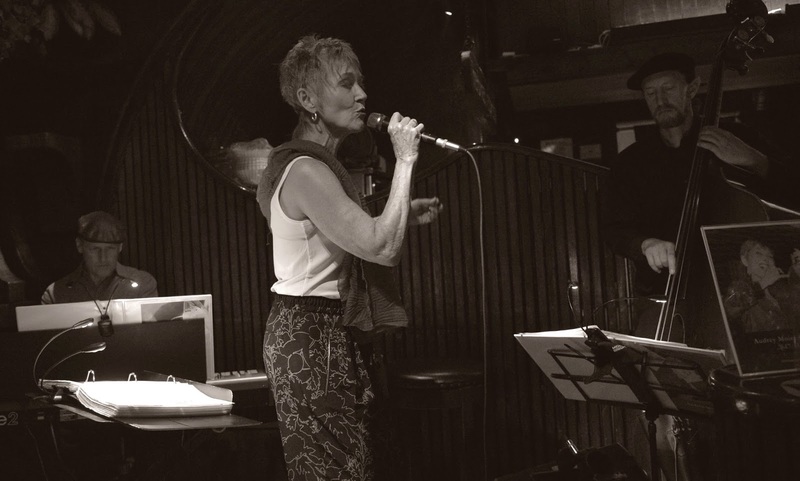 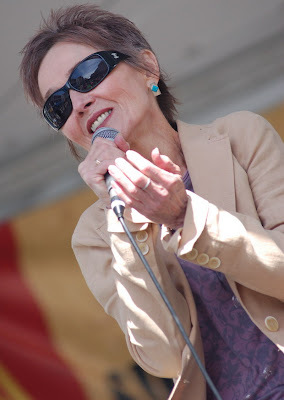 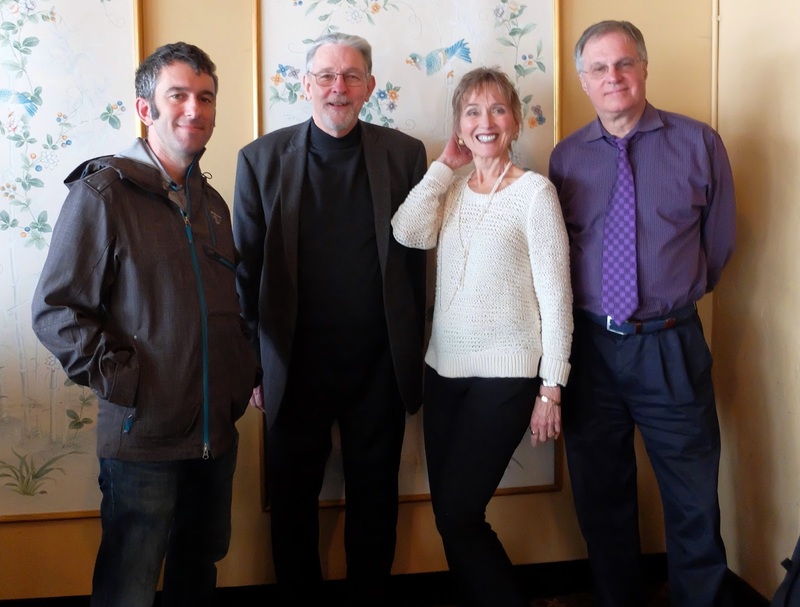 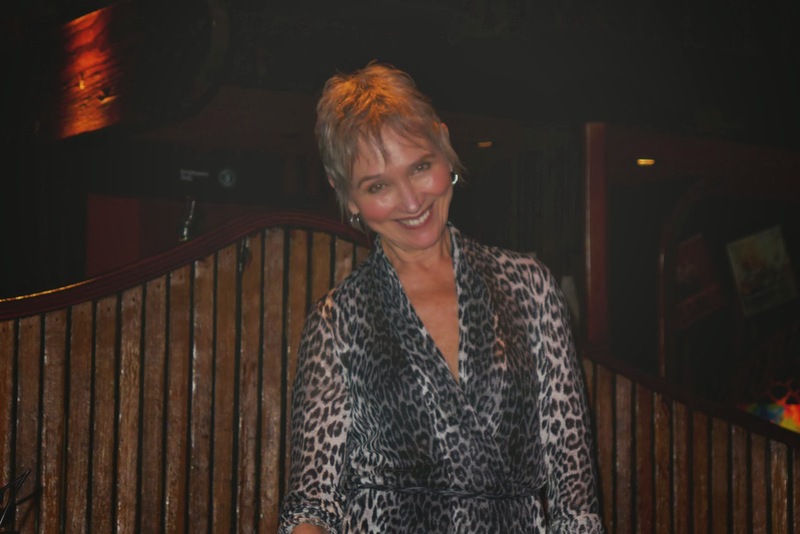 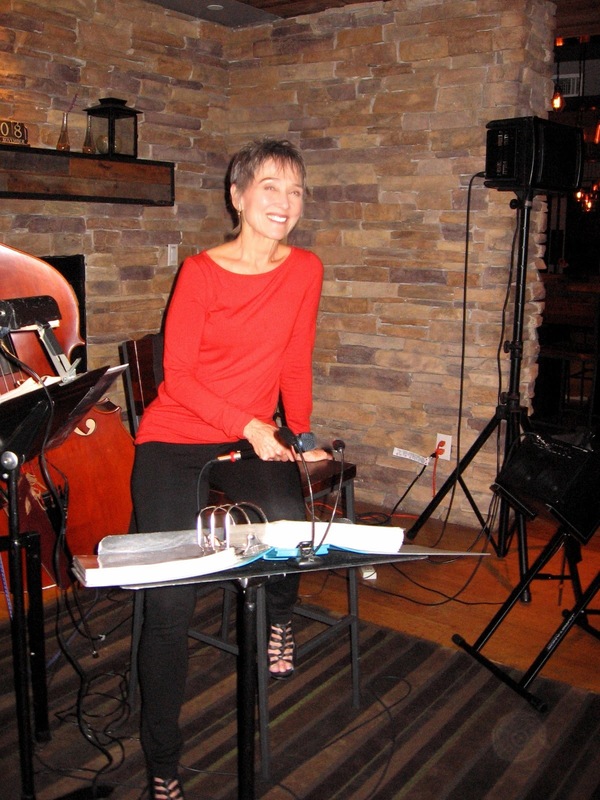 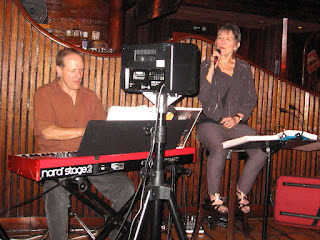 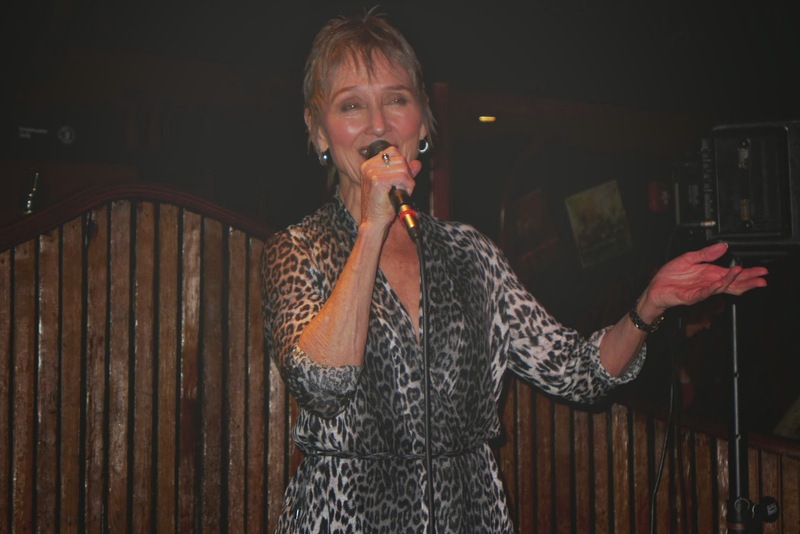 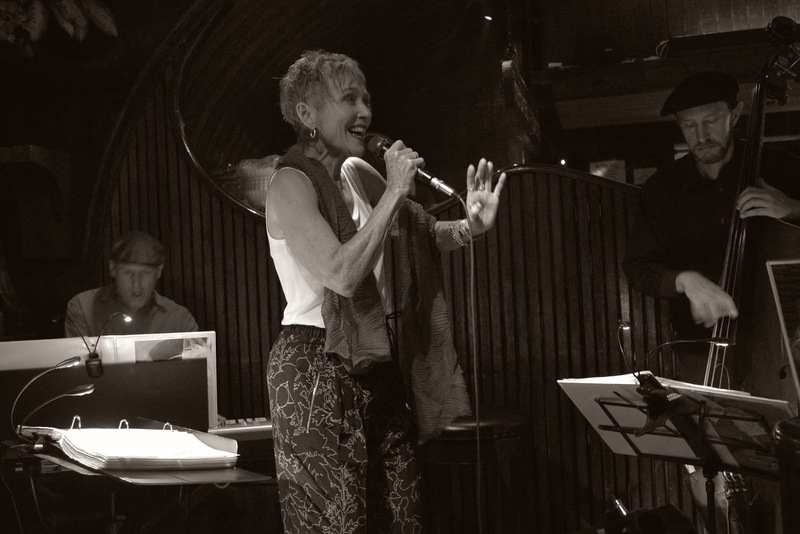 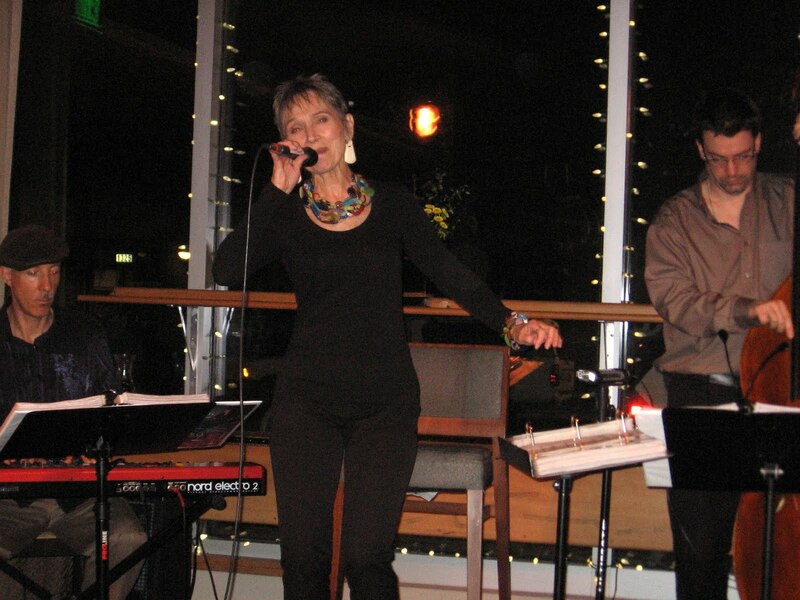 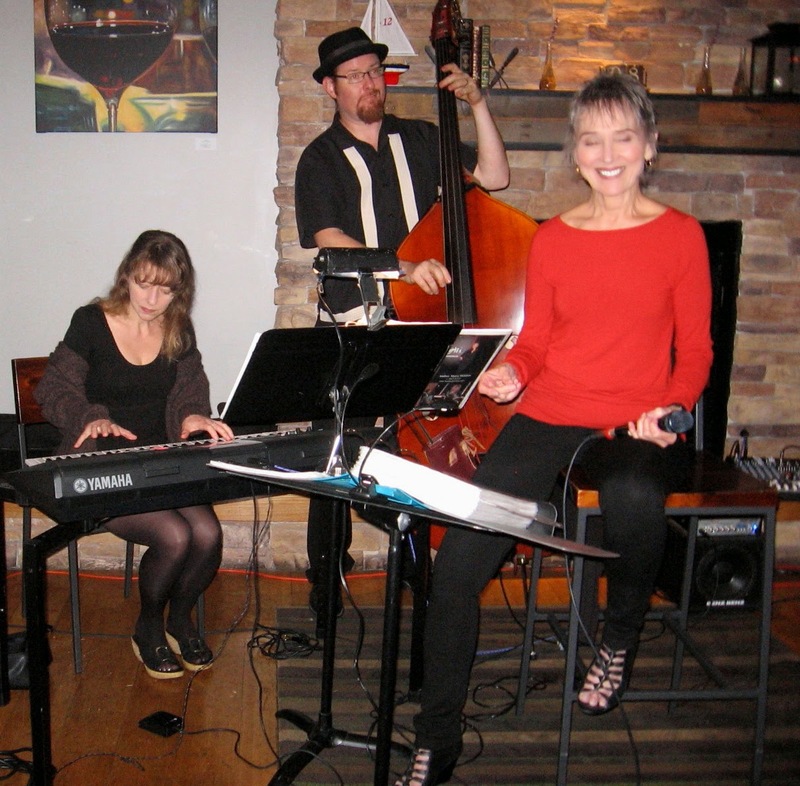 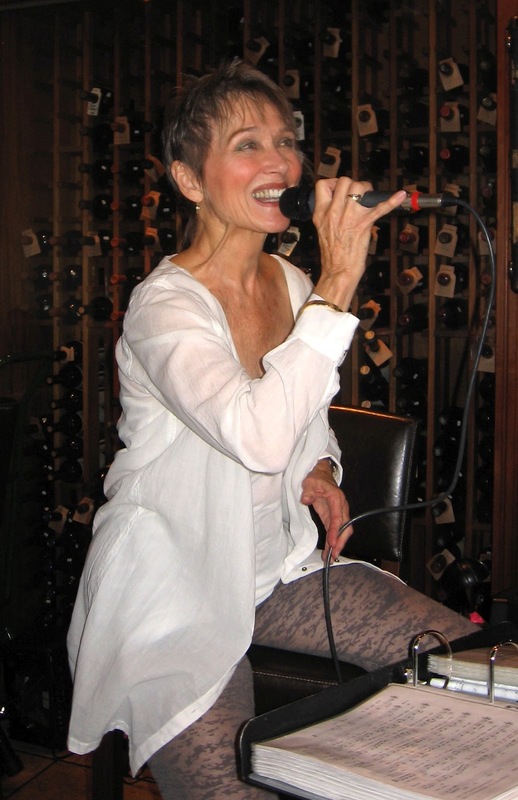 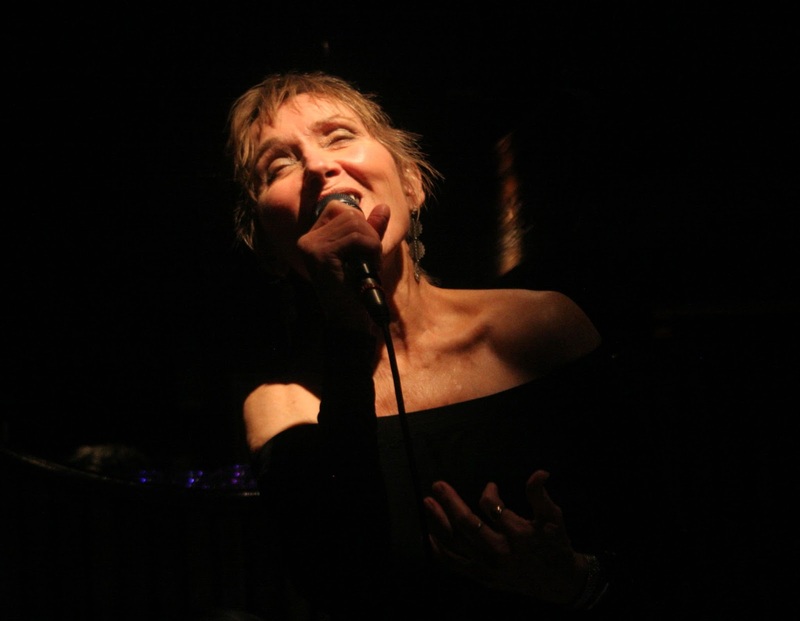 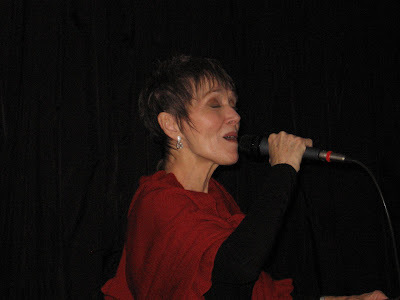 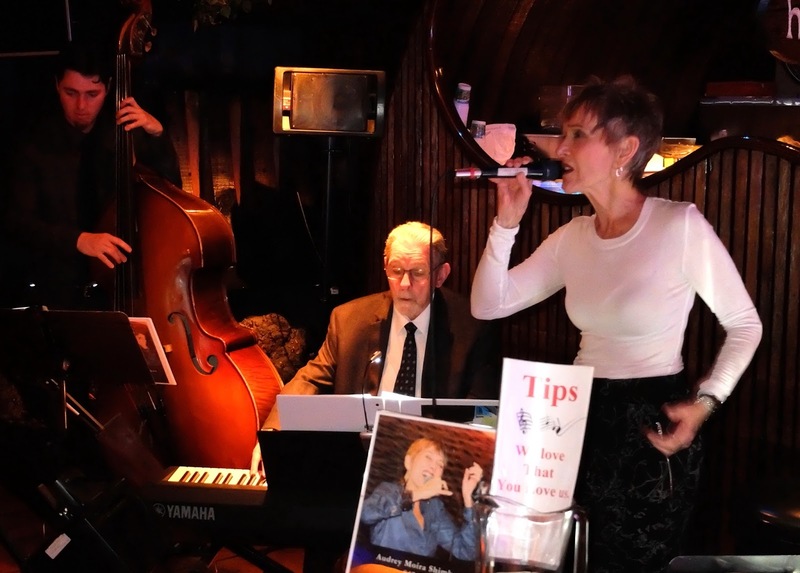 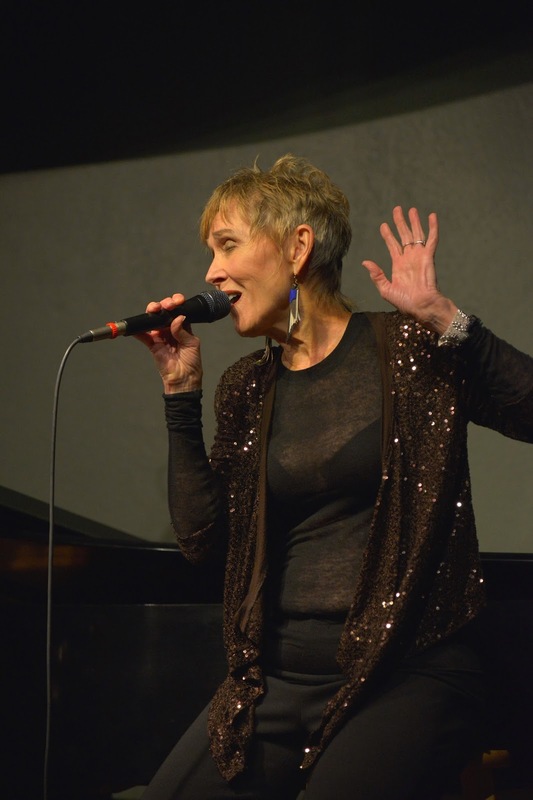 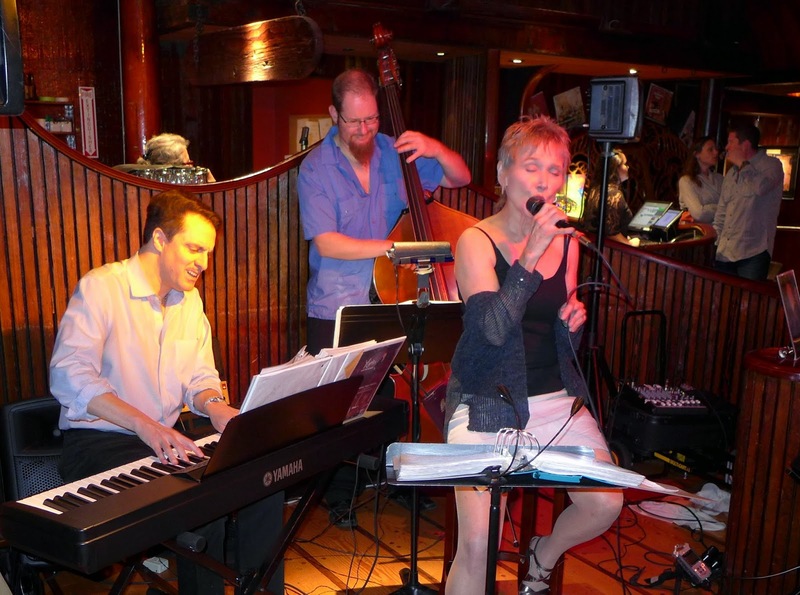 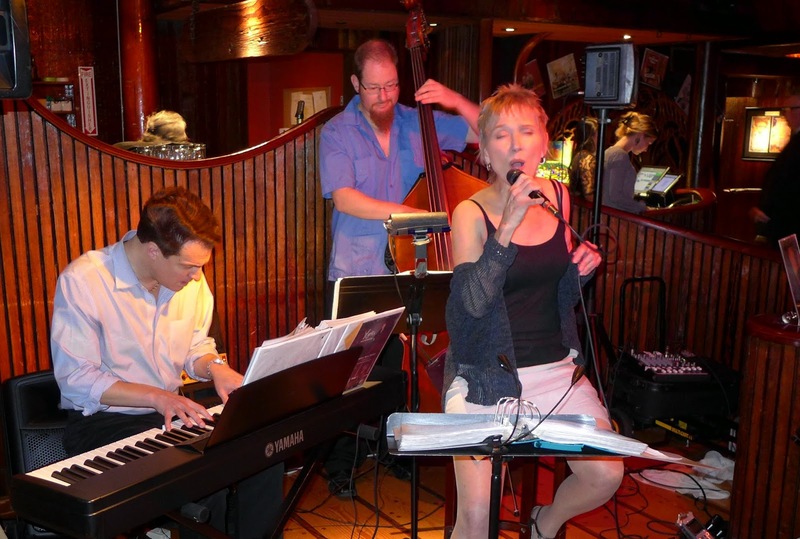 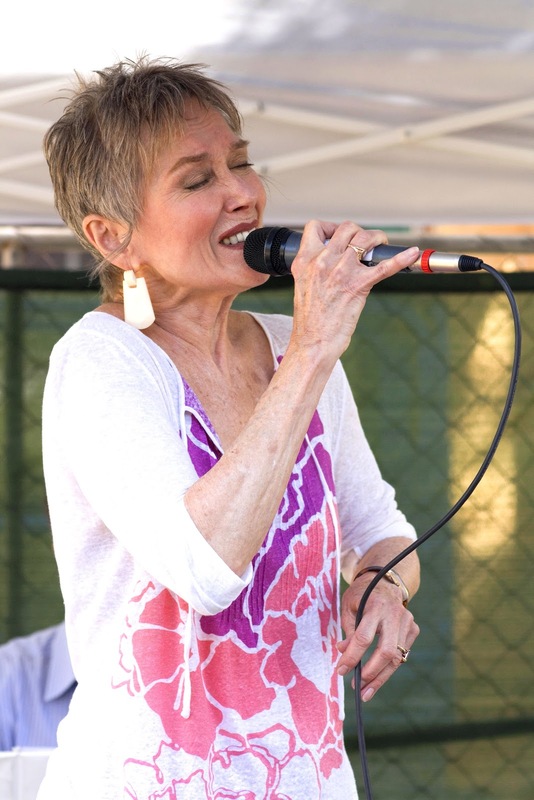 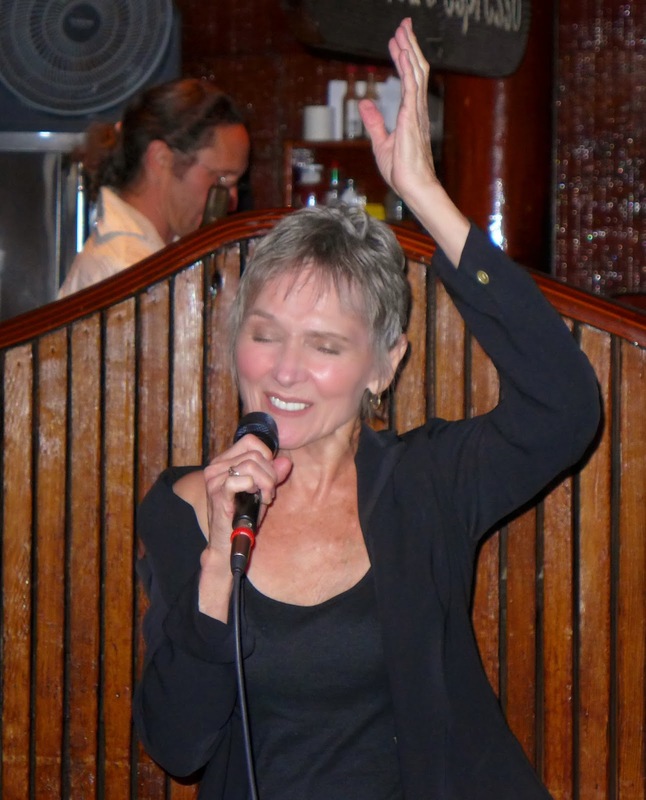 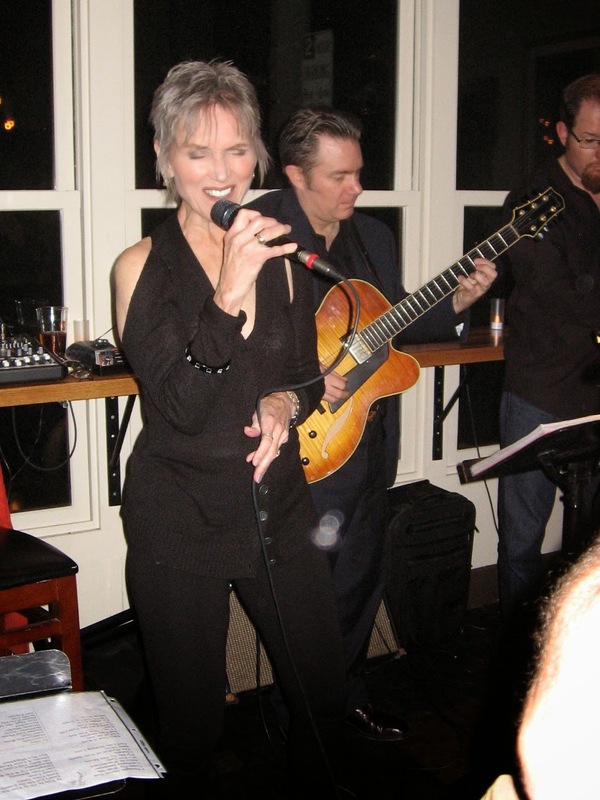 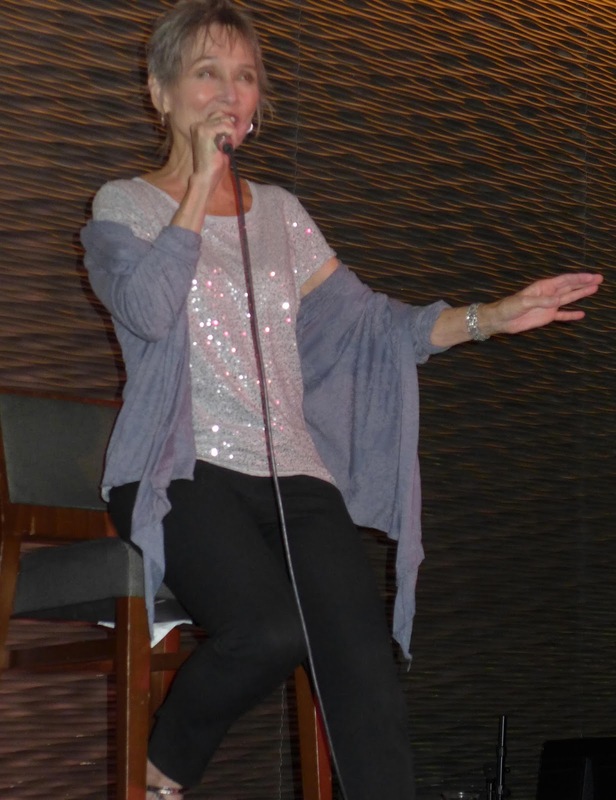 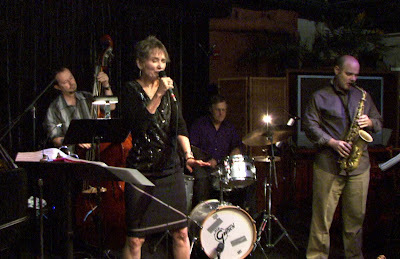 It is Audrey's combination of musicianship, style and personality that sets her apart from other fine local vocalists and makes her the perfect musical choice for Yoshi's Lounge." Yoshi's: top of the jazz "food chain"
At Sausalito Seahorse with Fred Randolph lending some 6/8 rhythms to standards like "Frim Fram Sauce"
Greg Sankovich, Fred Randolph & Lincoln Adler creating a new" sound"
Must be the "Season Of The Witch"
Furthered a real estate deal in SF; on my cell phone in Central Park while looking at Trump Tower. 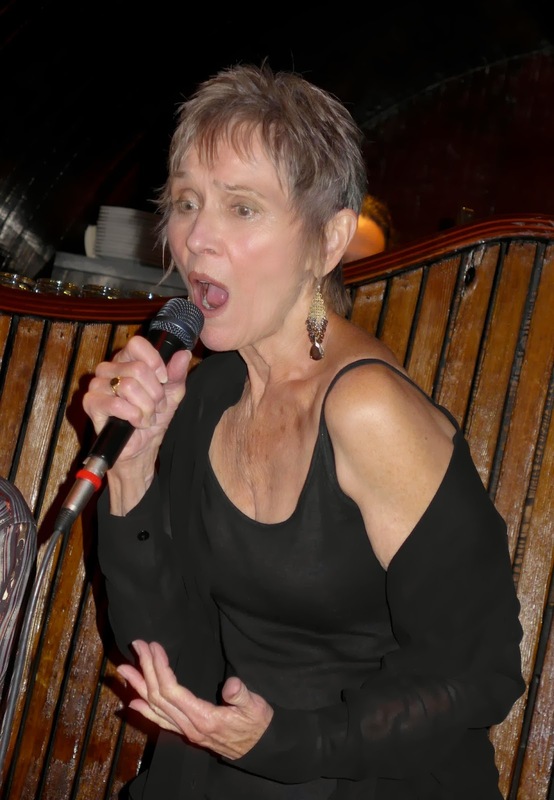 Felt good, felt better than Trump, himself. A one-handed photographer...gets into the act. 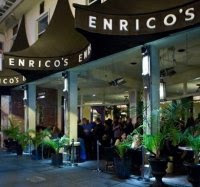 I love Enrico's. 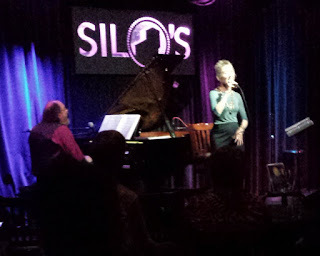 Full house, wonderful music. 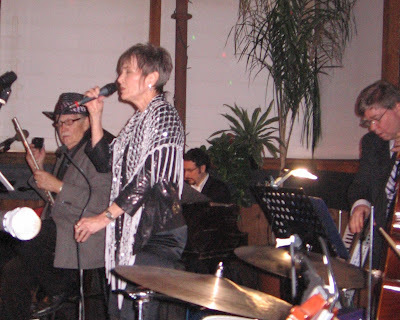 ... with the 6-piece band. At Rickey's, Novato. Full house, overflowing bar crowd. New Years Eve at "Saylors Landing"
101 California (with music) in nine months. (Sept 2010?) 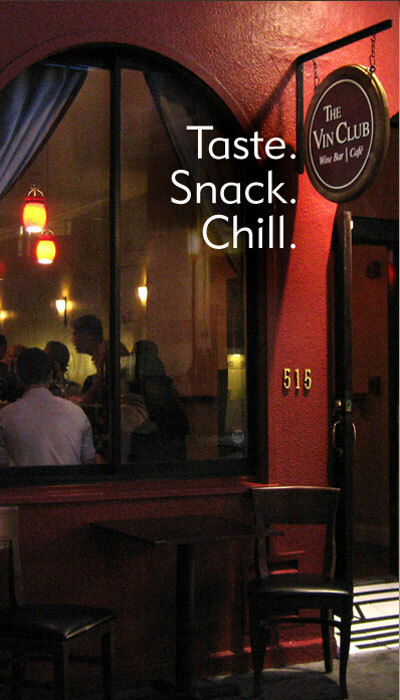 Not happening. 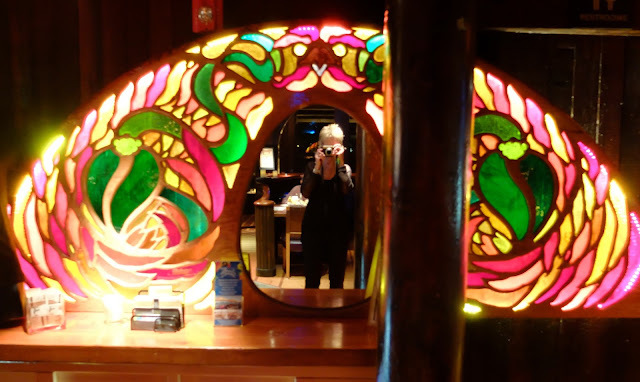 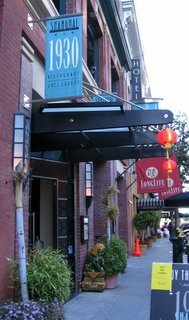 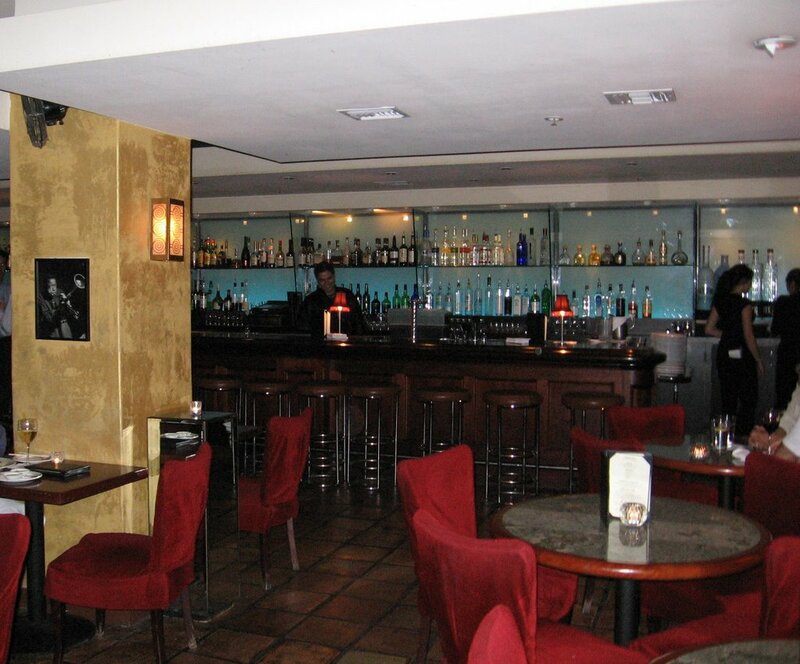 I'll miss this wonderful, funky, exotic, speak-easy flavored nightclub. 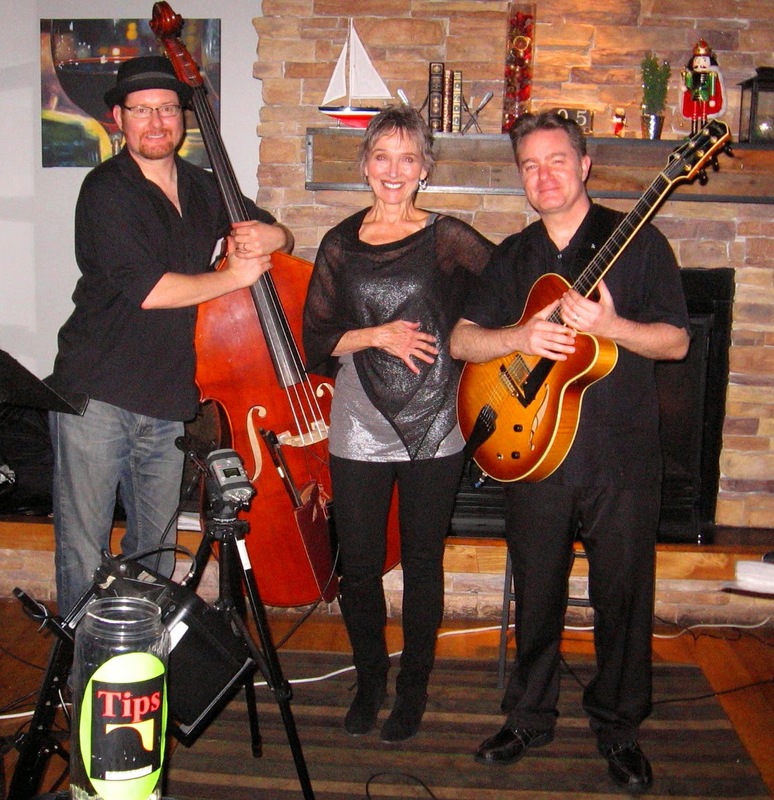 Photo shoot with Lincoln Adler for the CD coming soon. 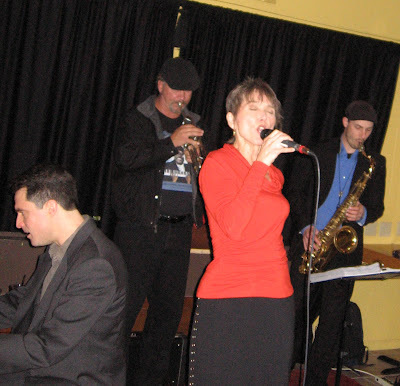 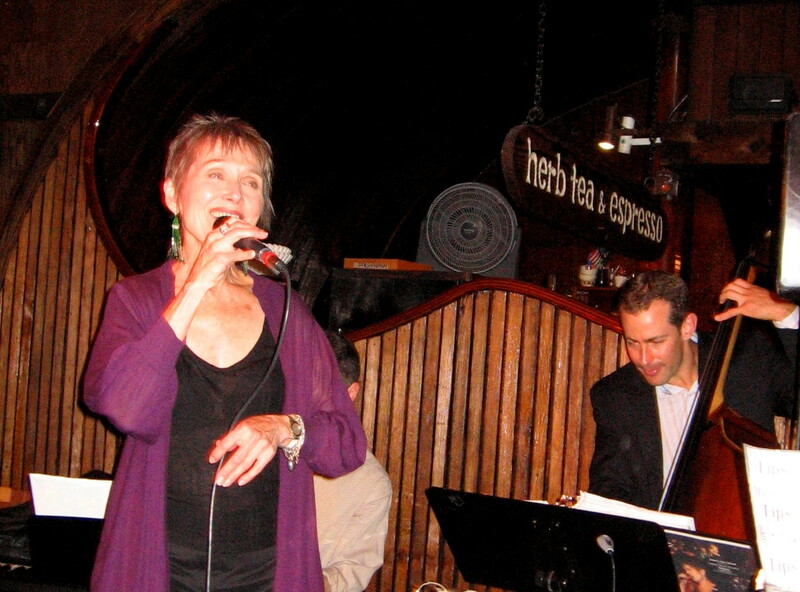 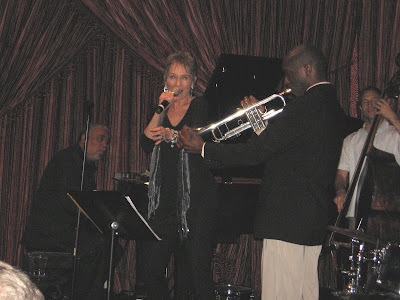 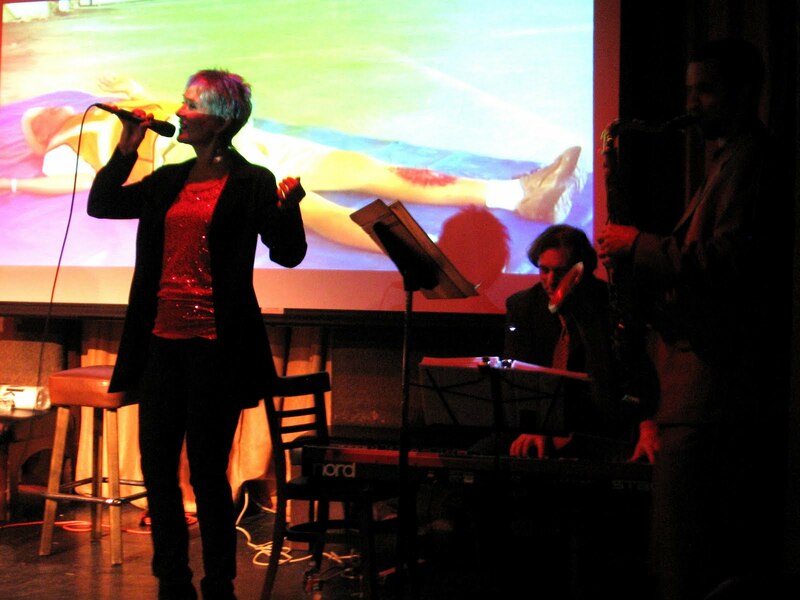 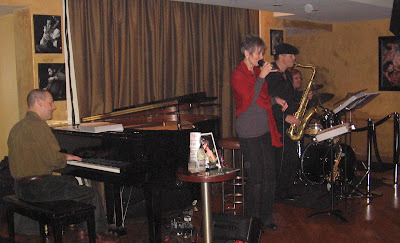 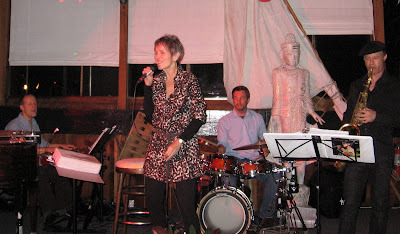 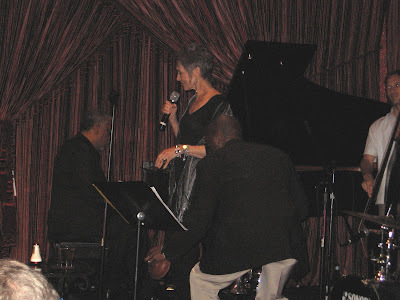 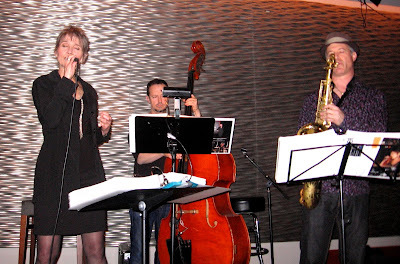 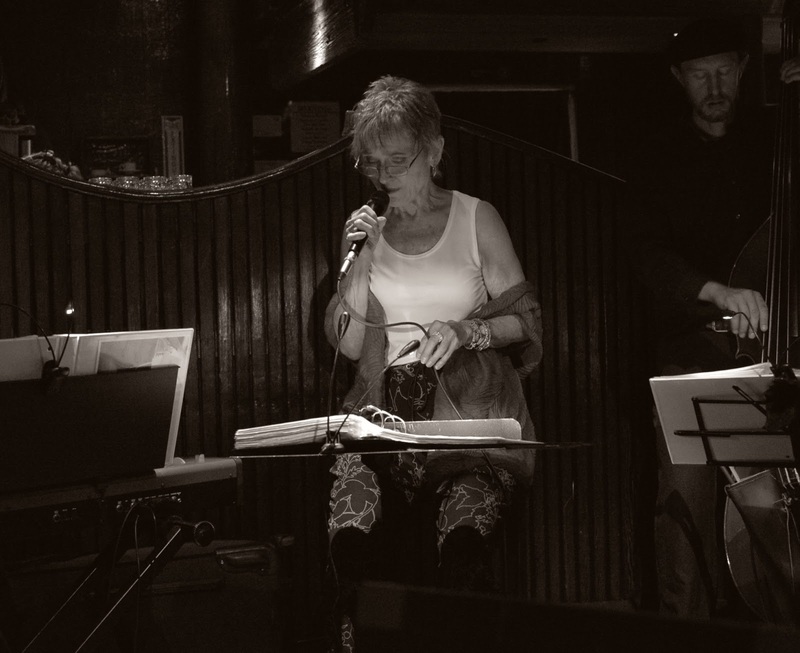 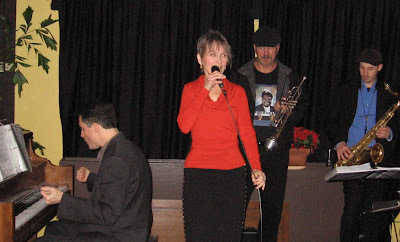 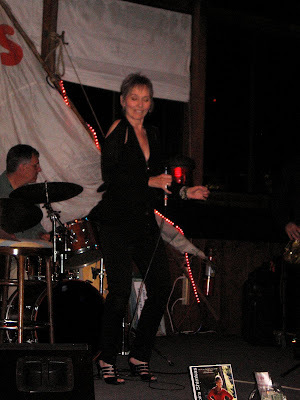 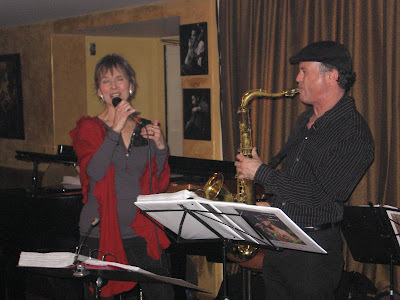 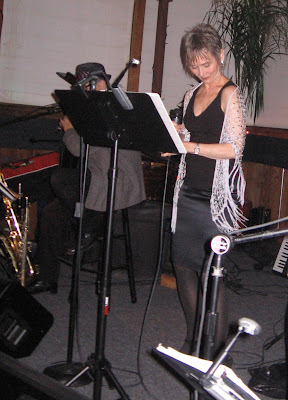 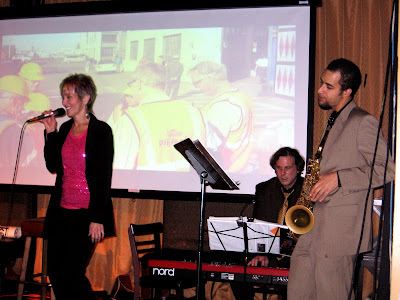 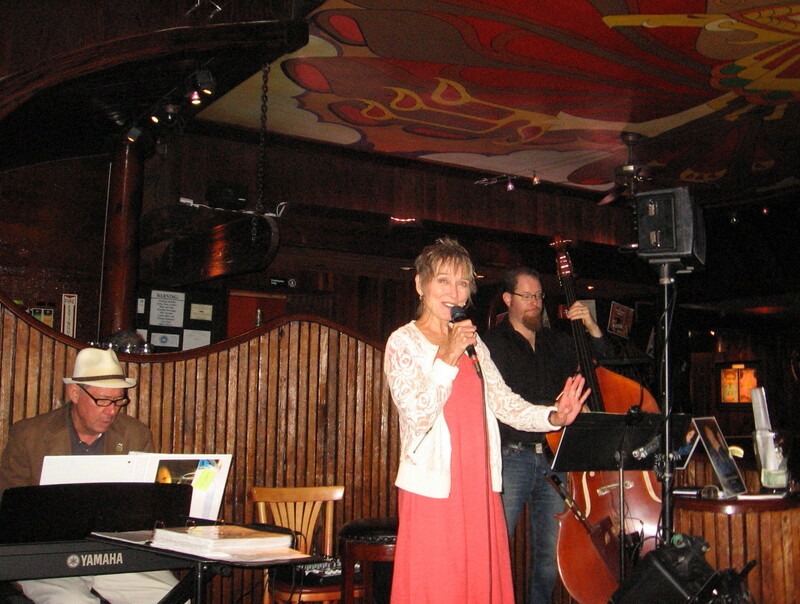 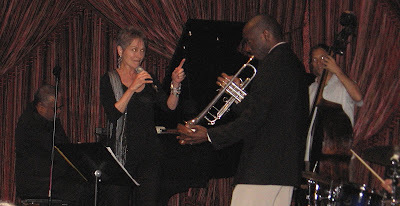 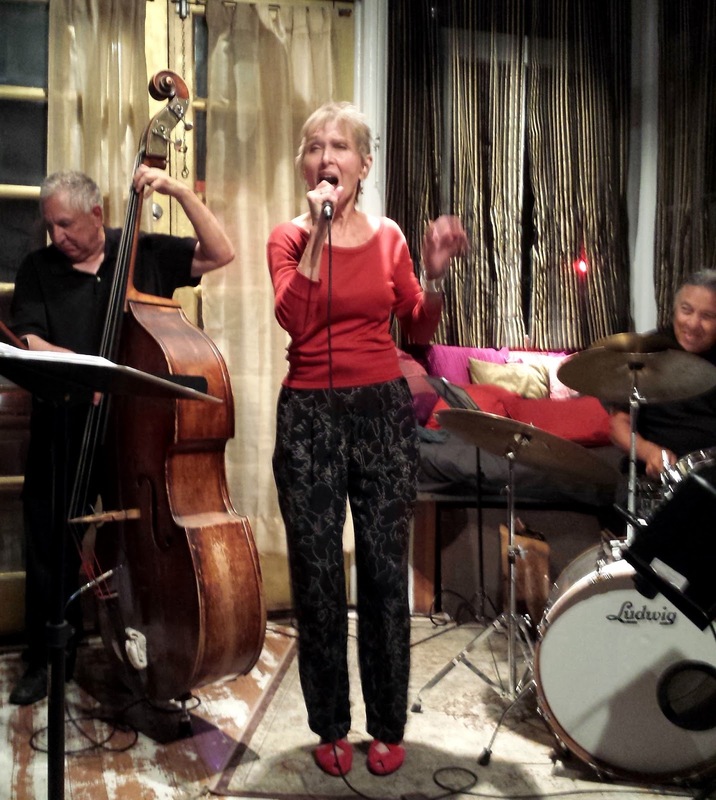 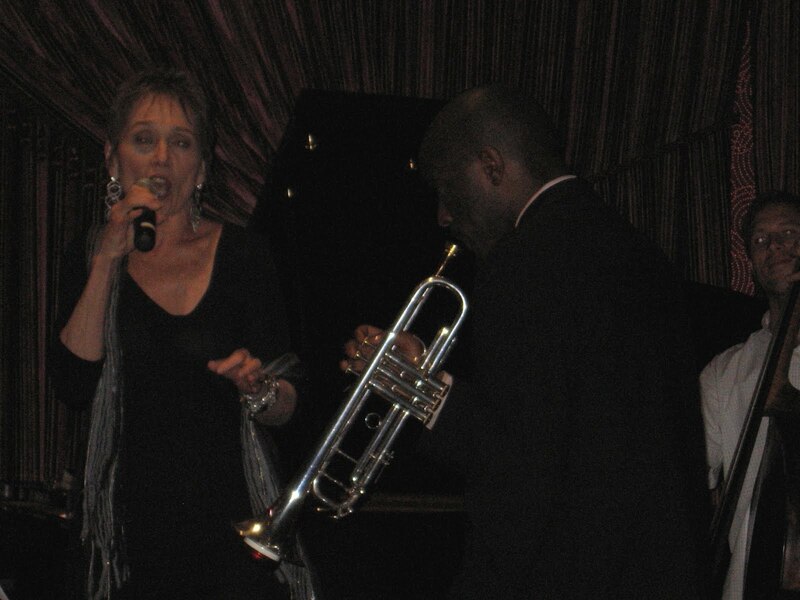 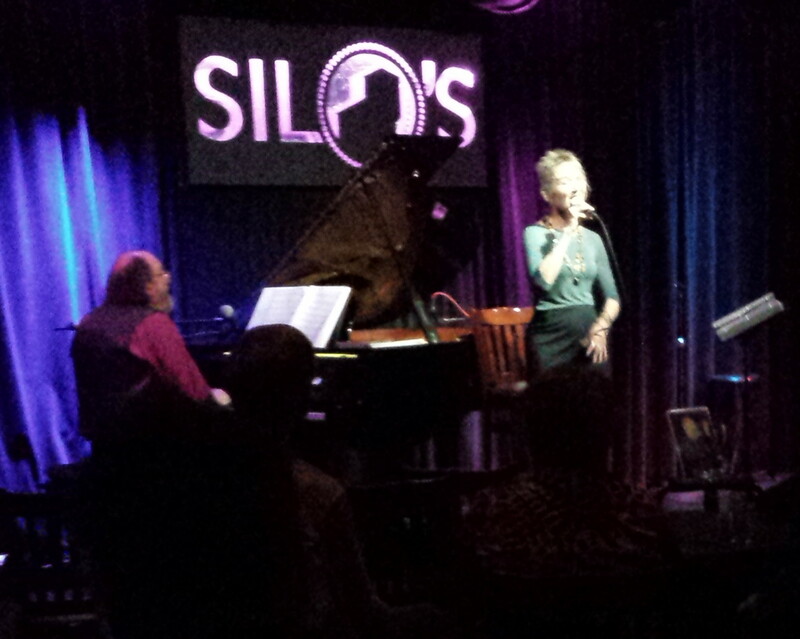 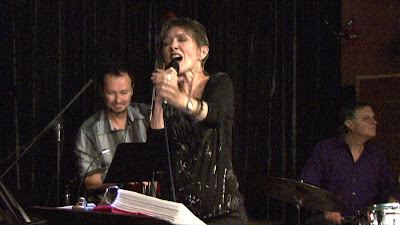 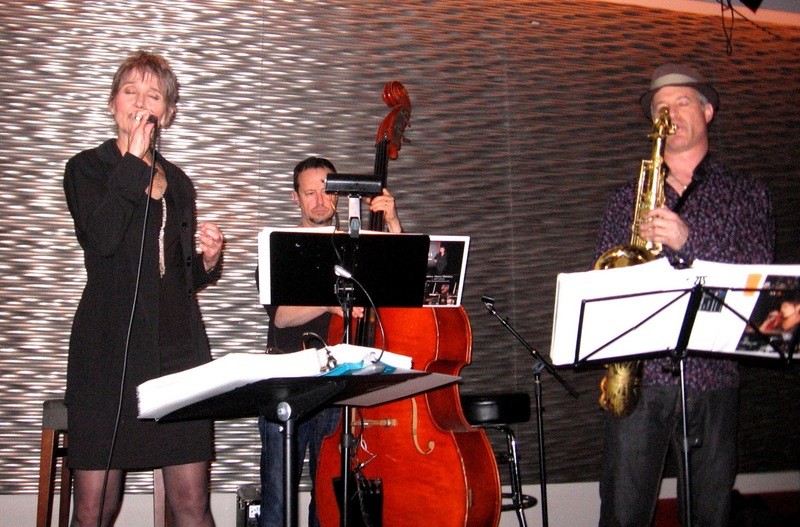 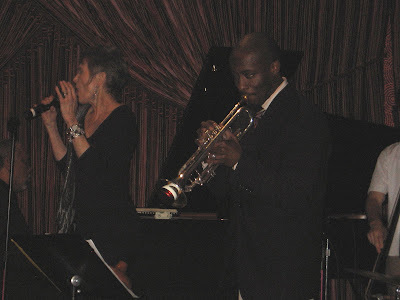 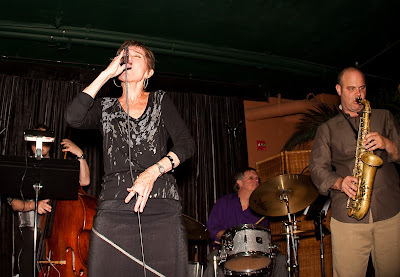 ..
Audrey Moira Shimkas TrioBrian Taylor Pierce in on trumpet; Jason Martineau on piano, Ely Samuels on sax and myself. 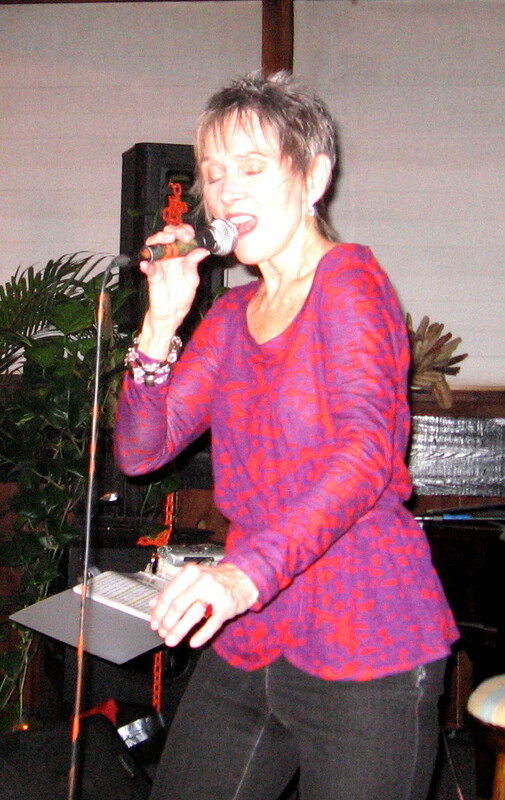 What sound! 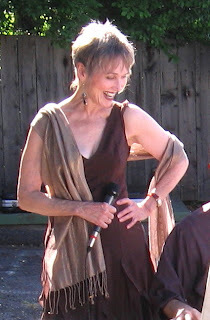 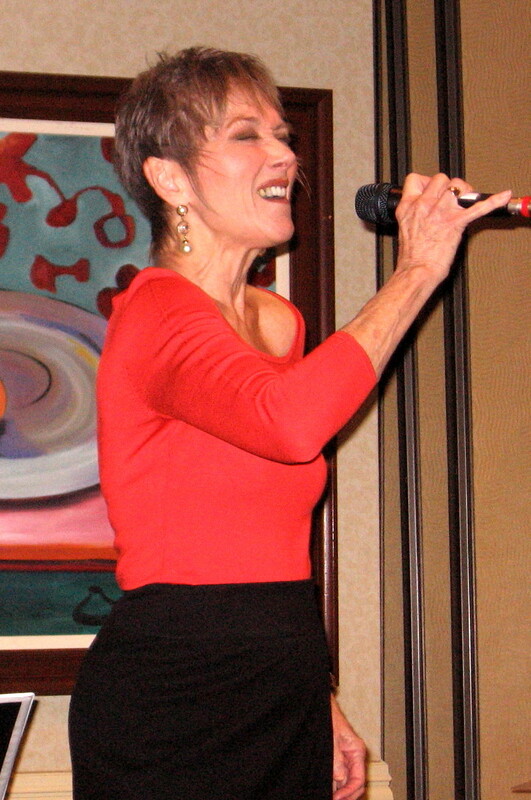 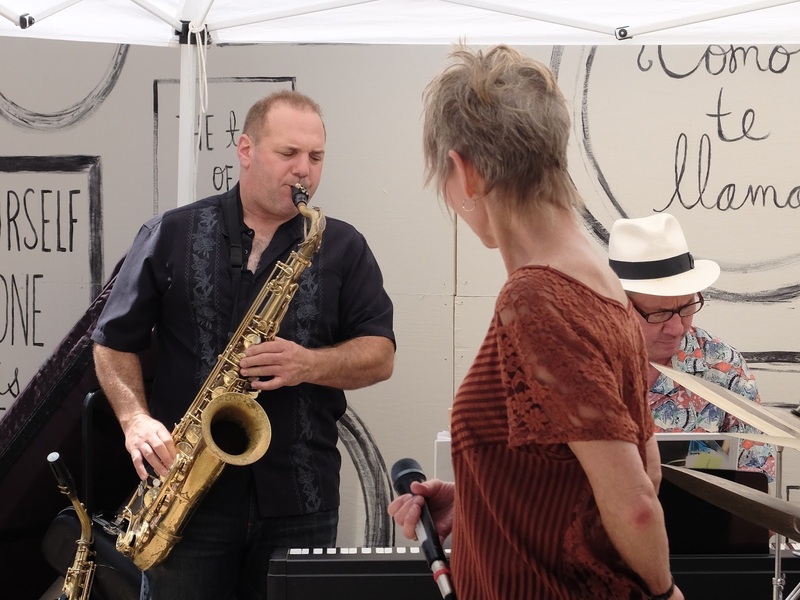 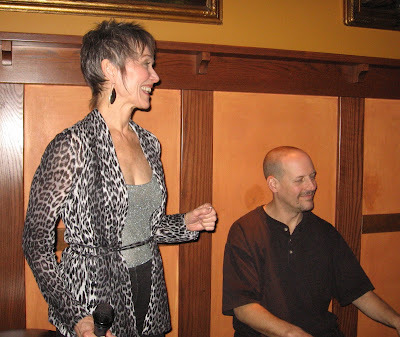 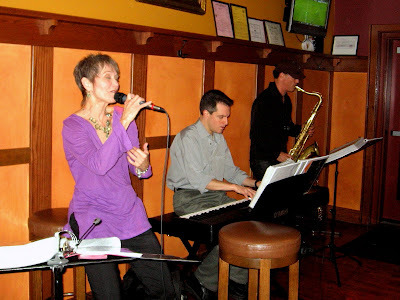 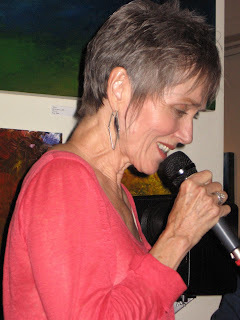 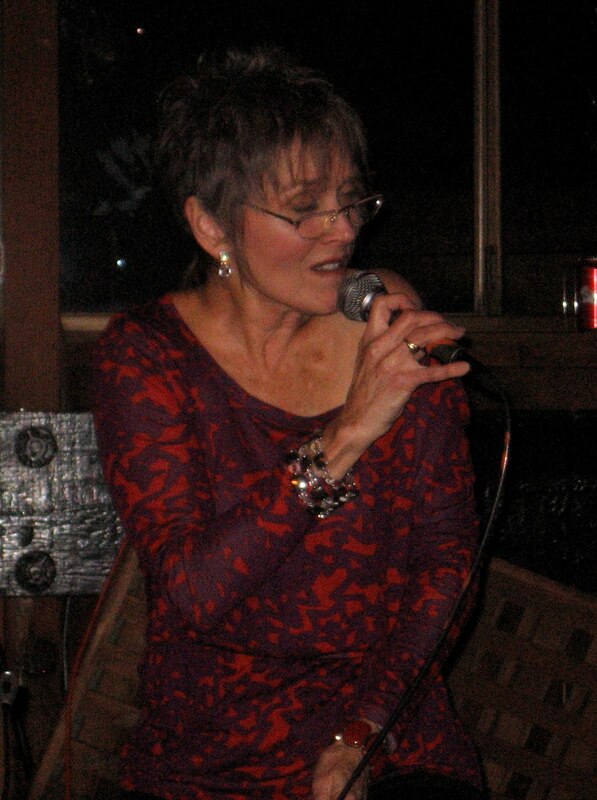 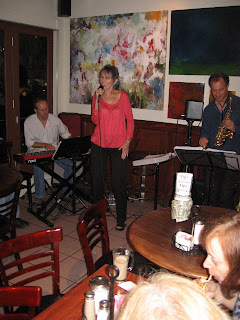 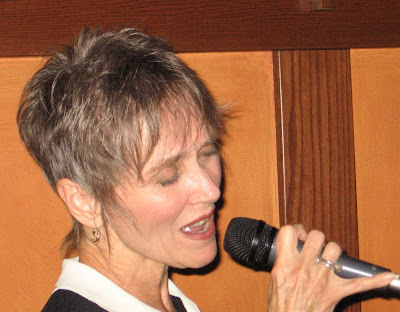 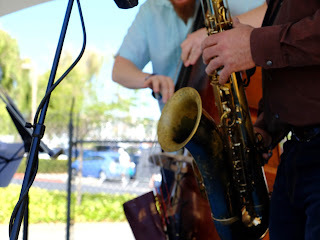 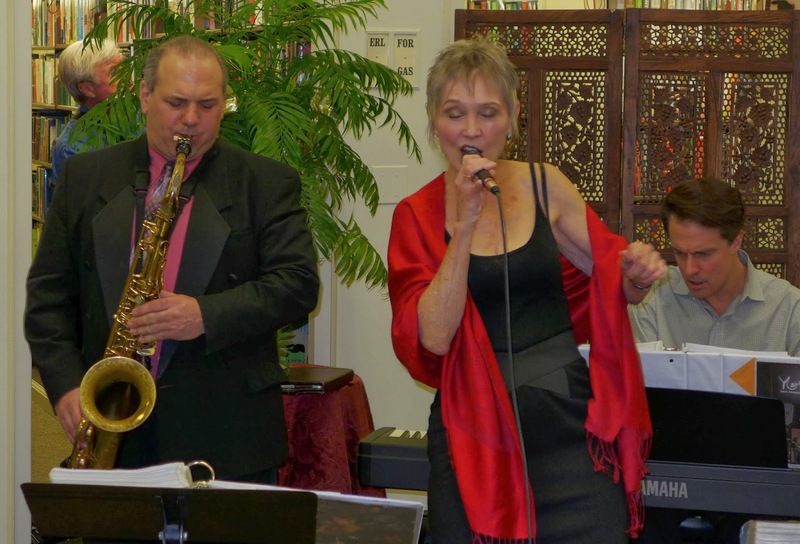 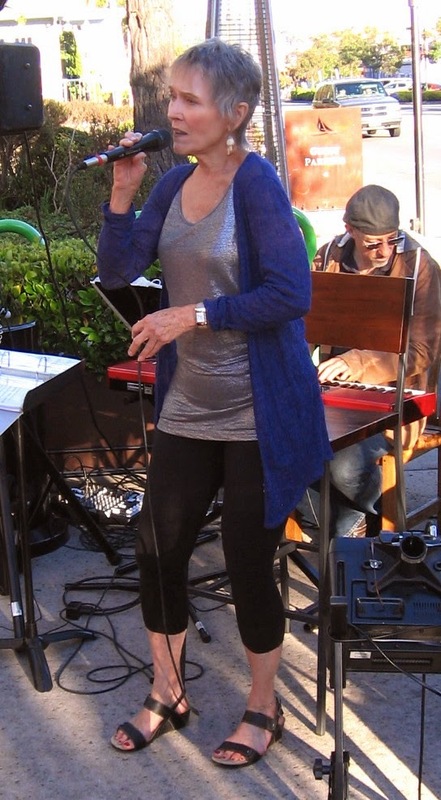 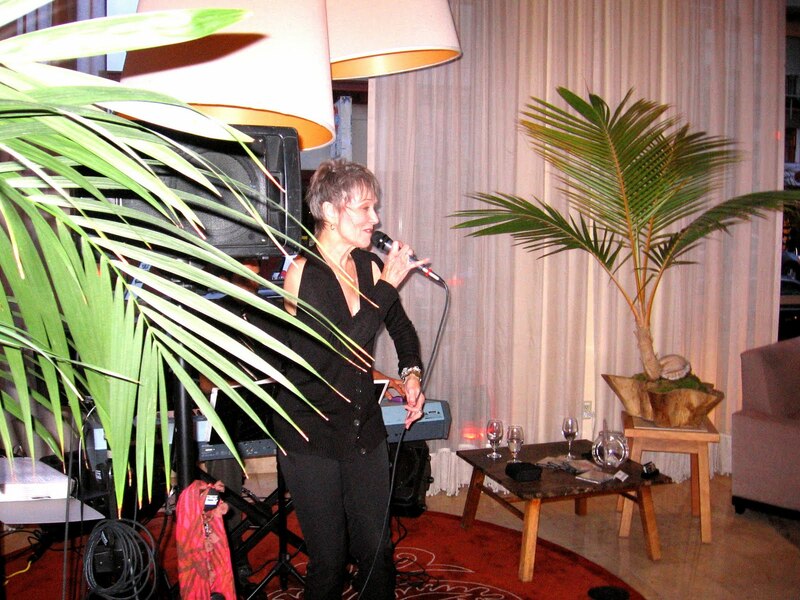 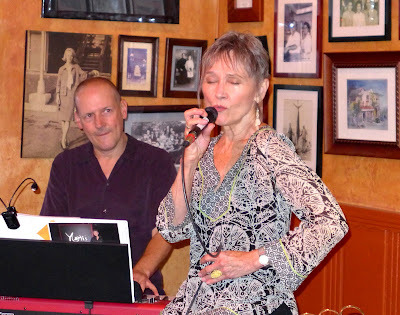 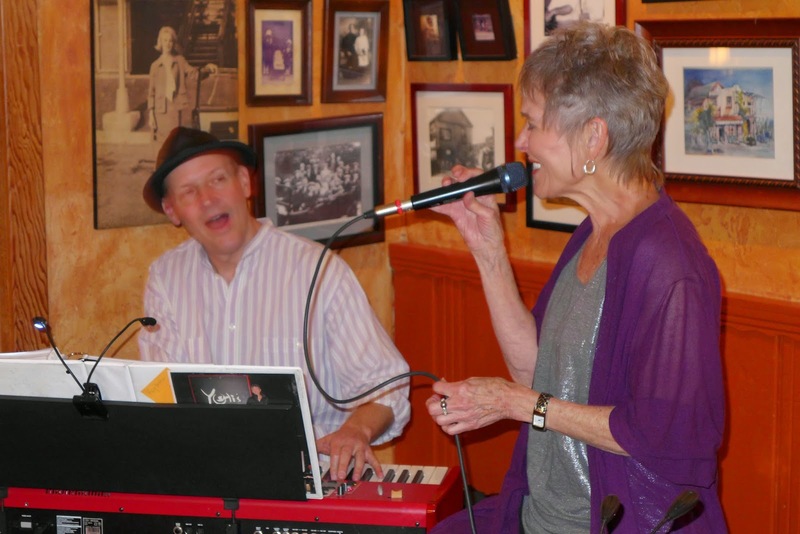 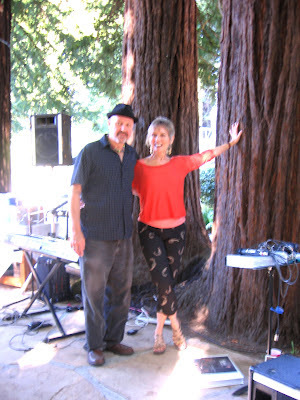 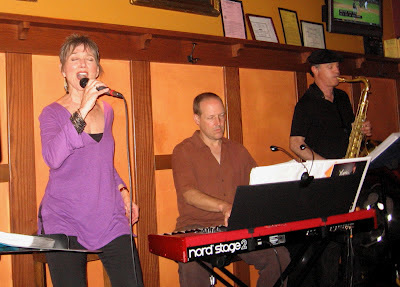 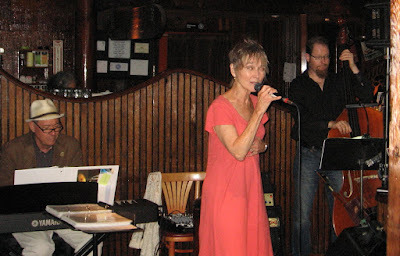 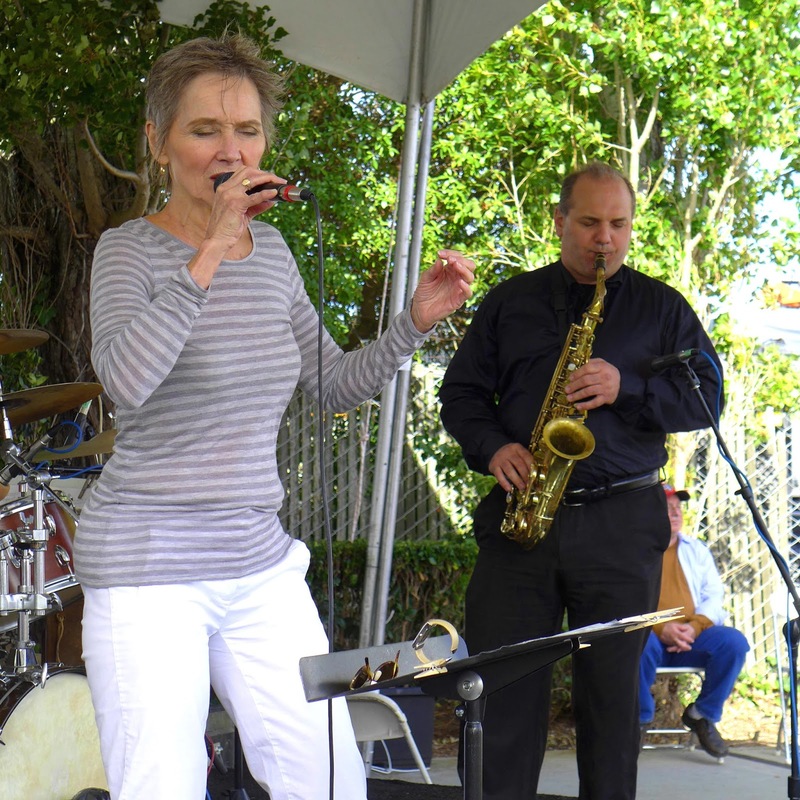 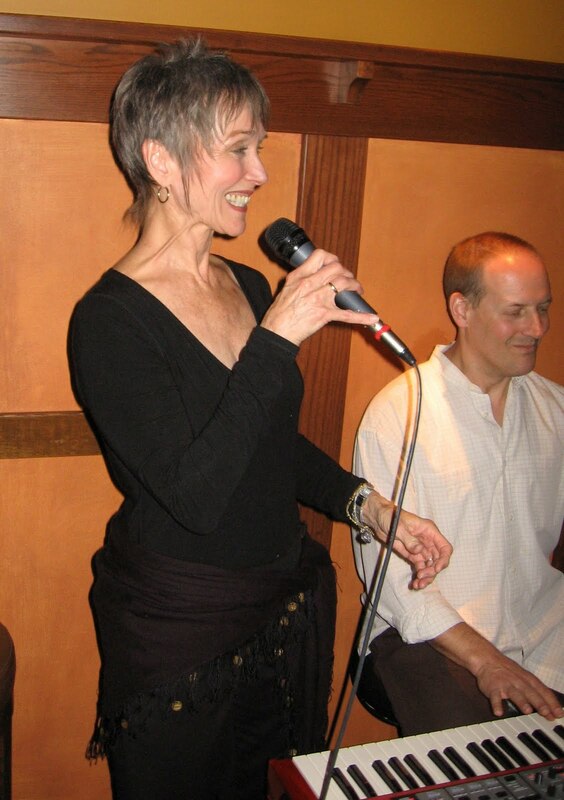 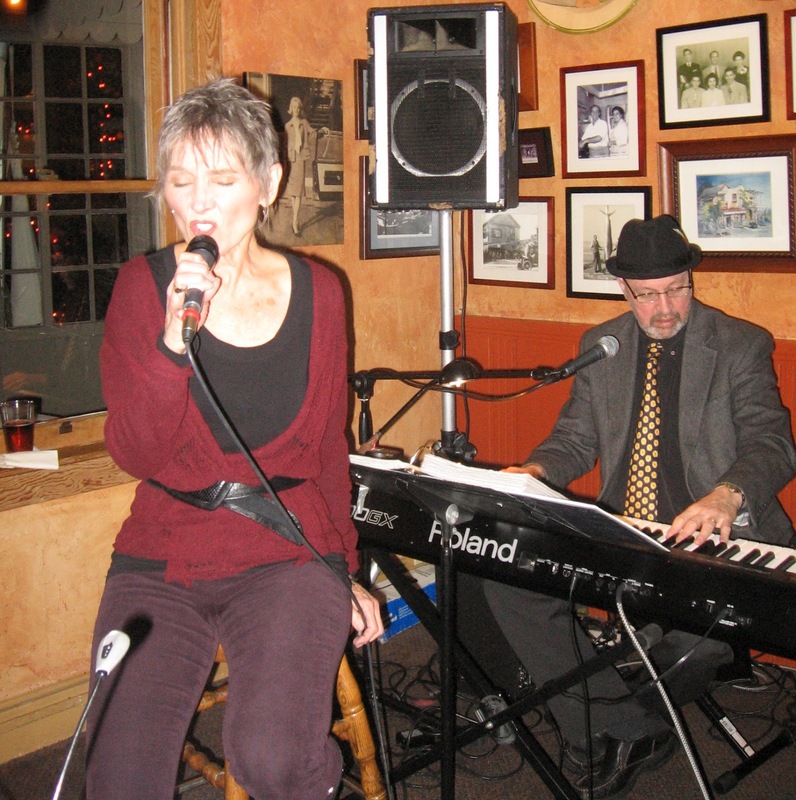 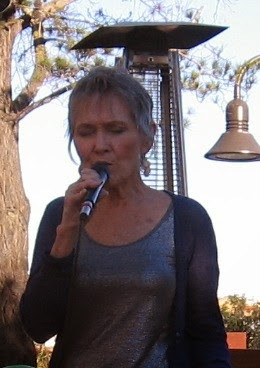 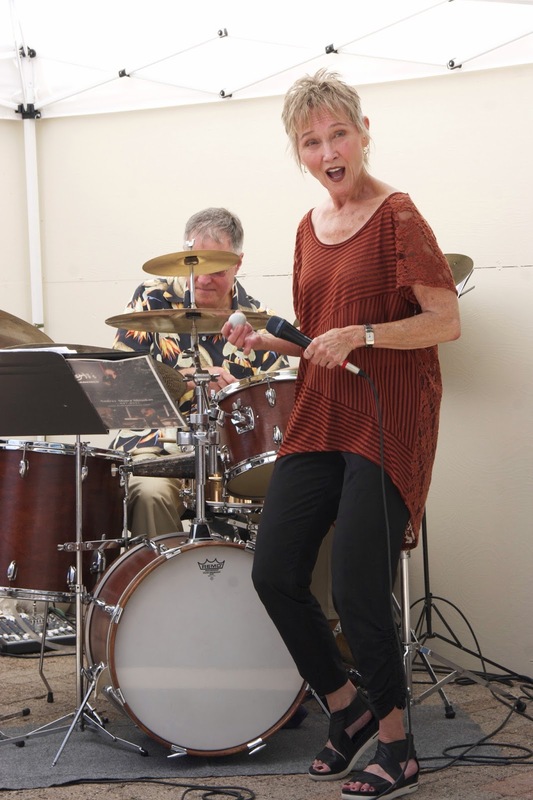 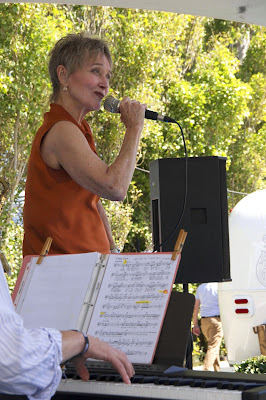 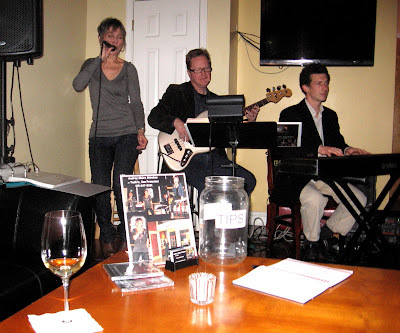 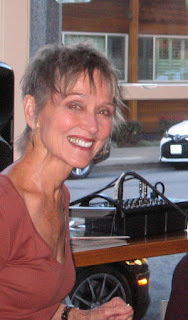 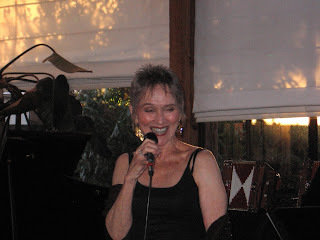 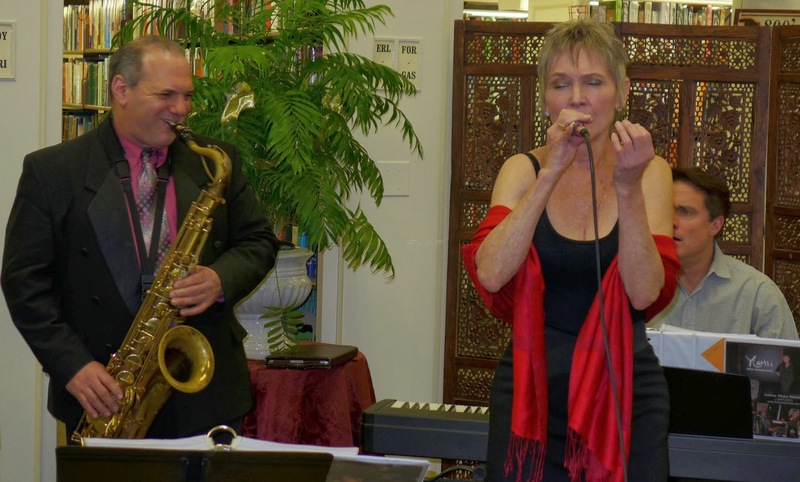 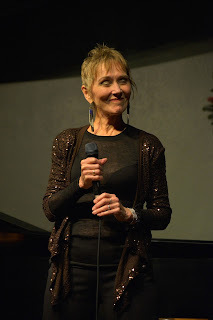 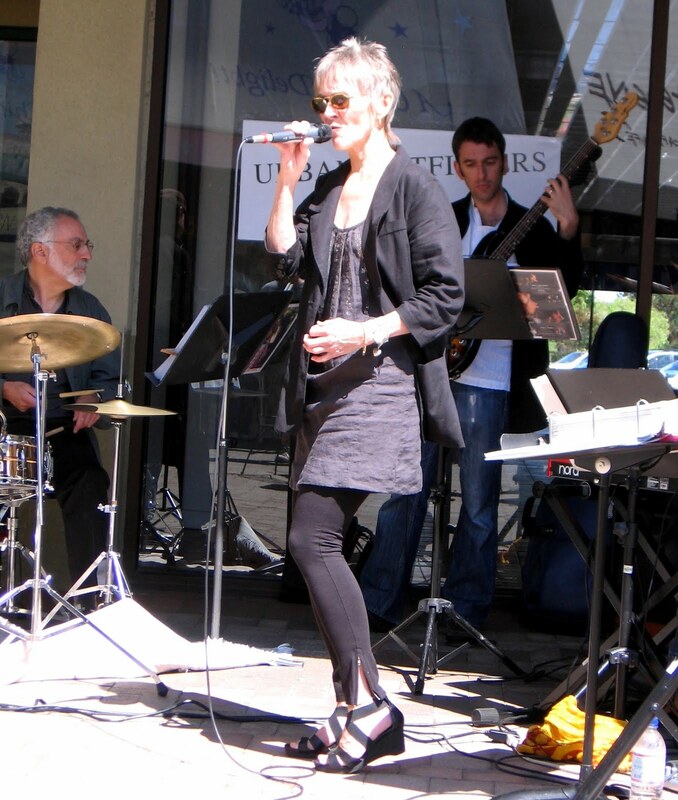 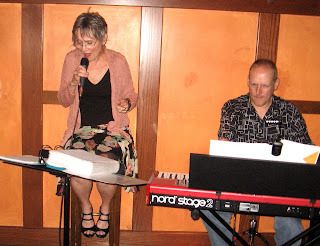 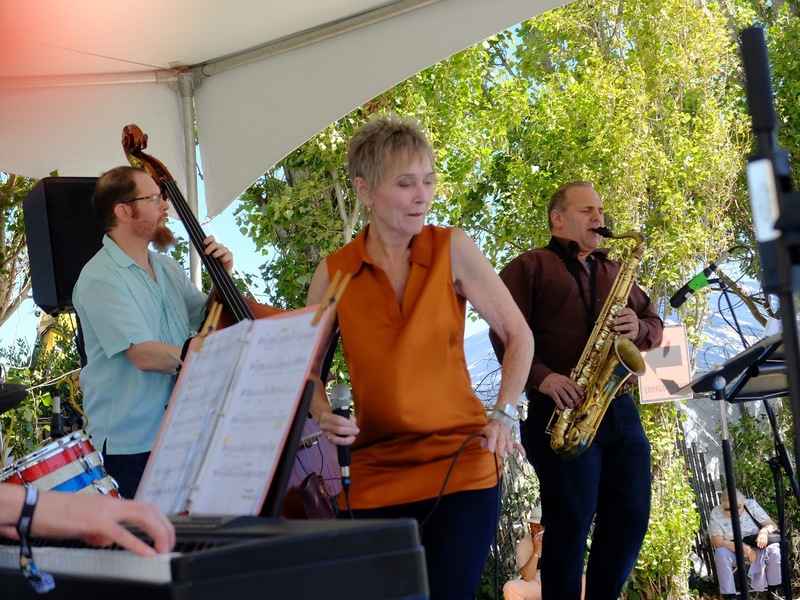 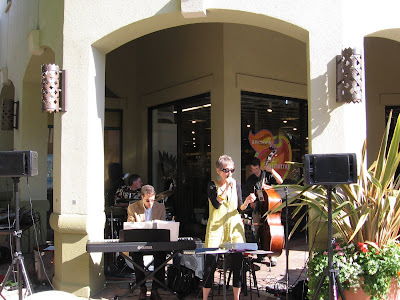 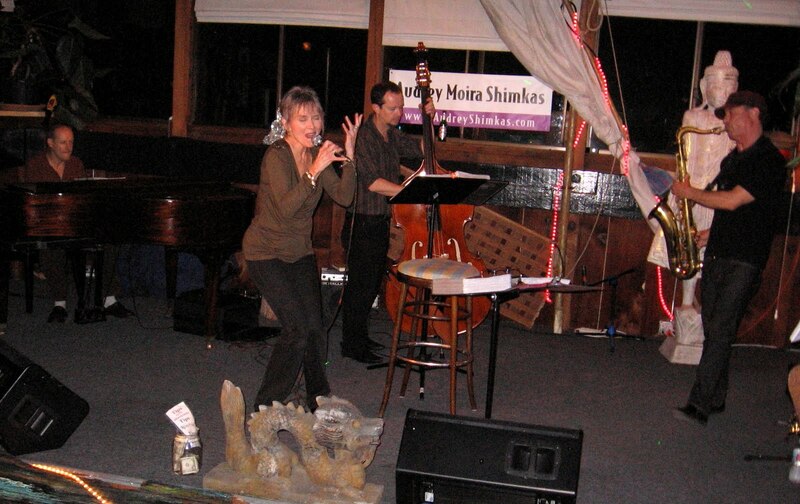 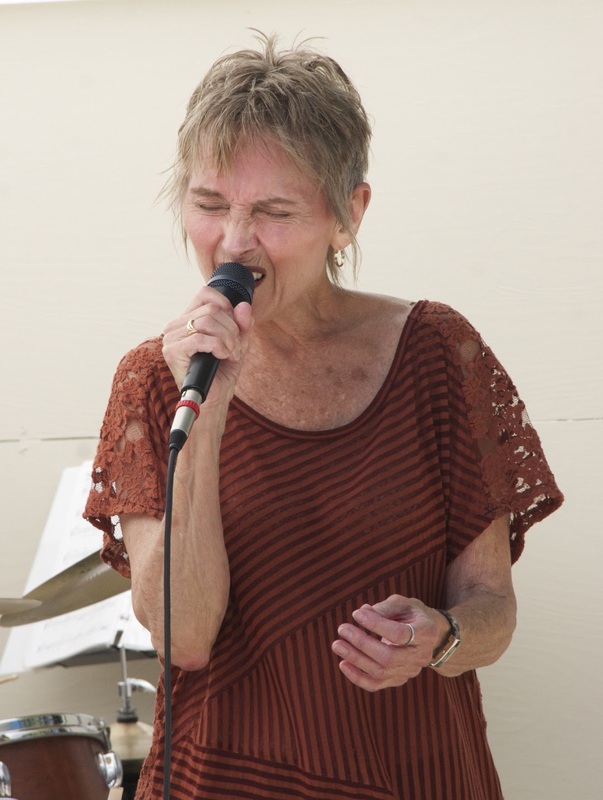 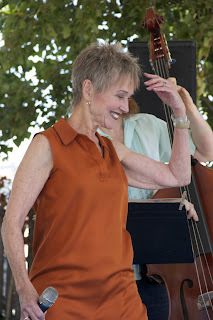 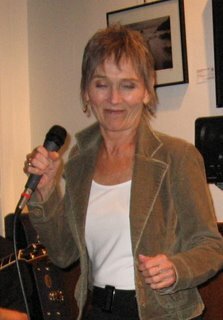 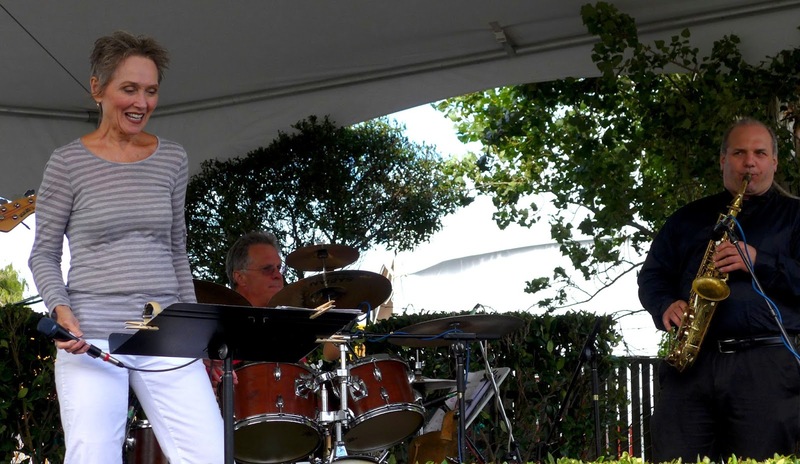 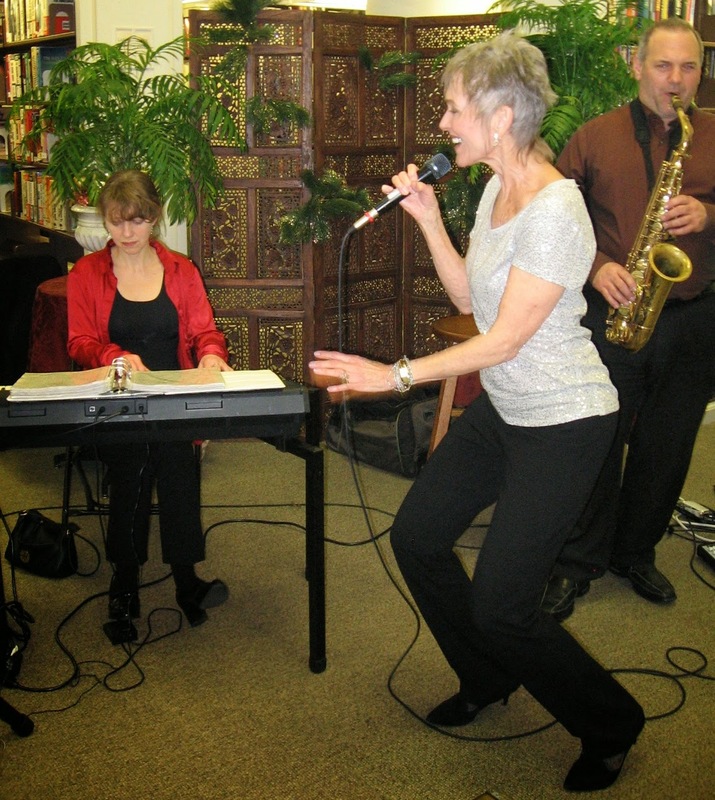 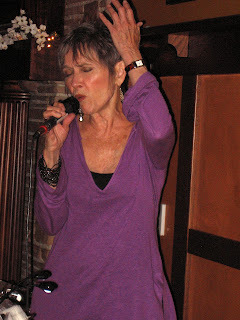 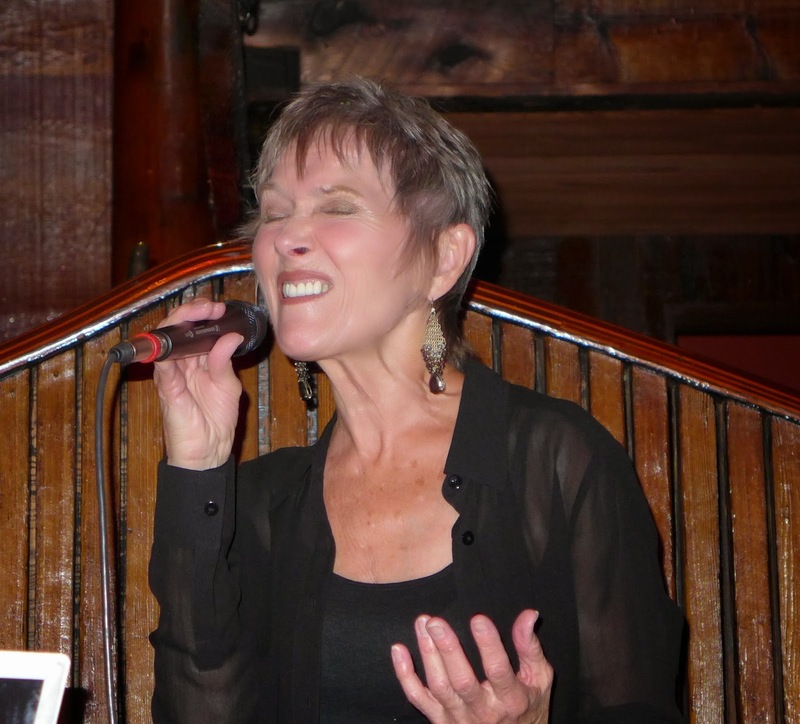 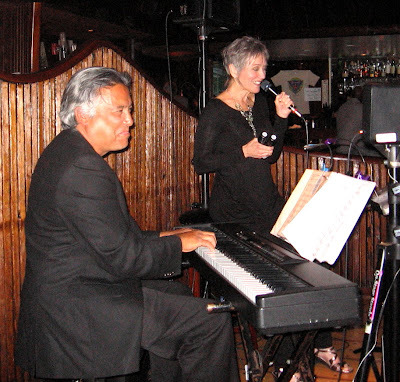 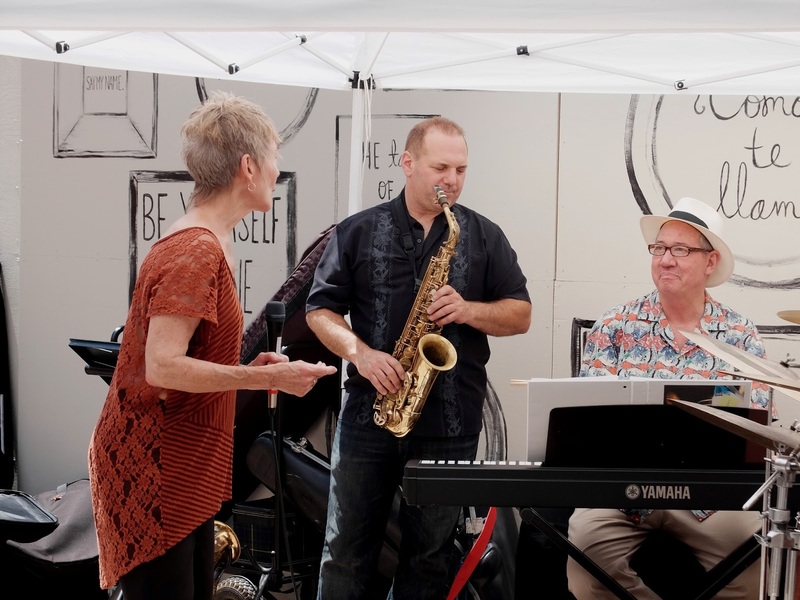 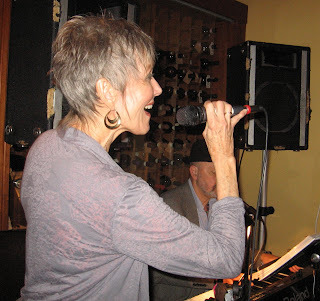 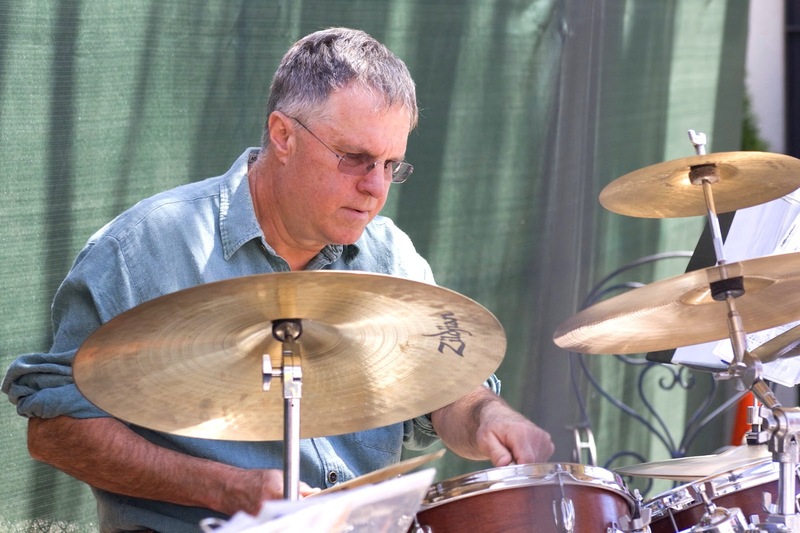 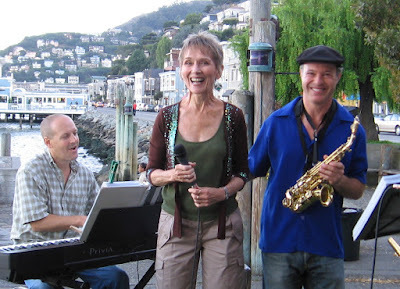 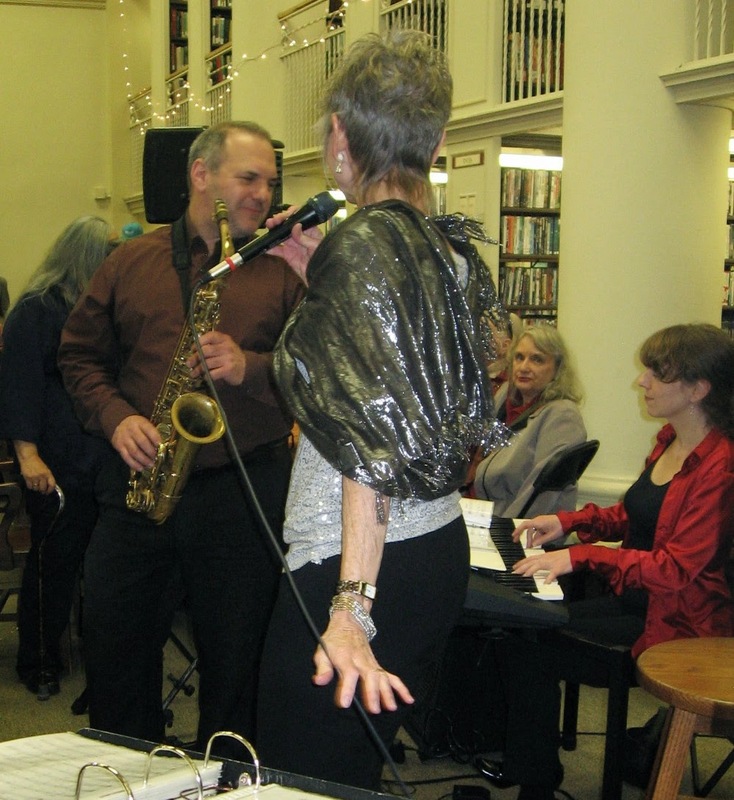 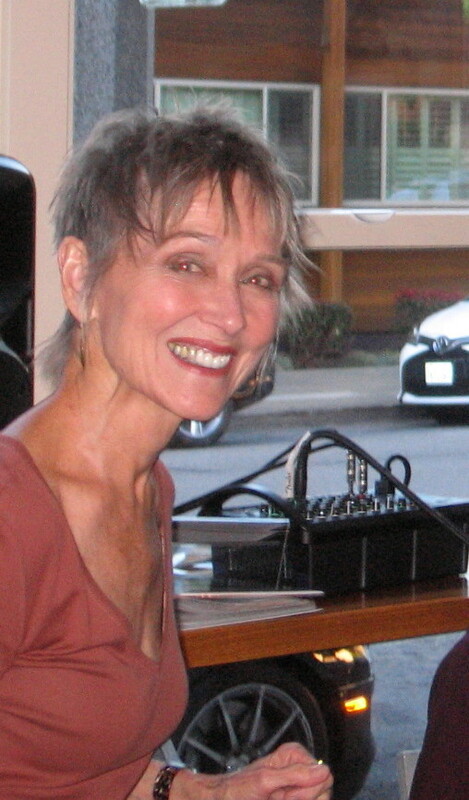 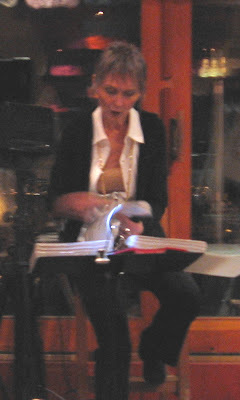 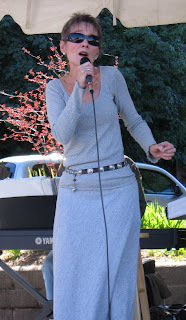 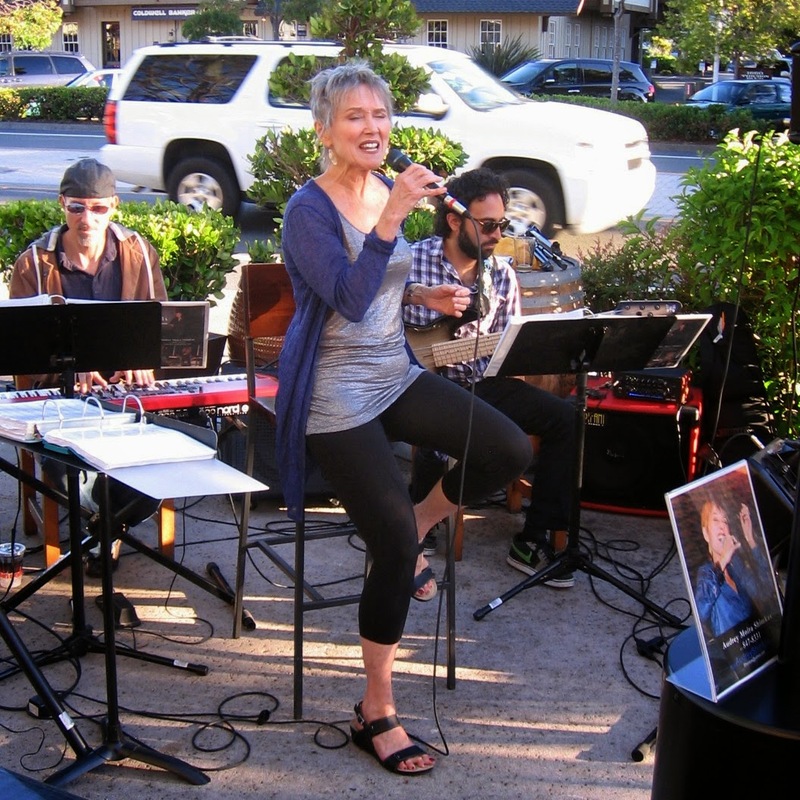 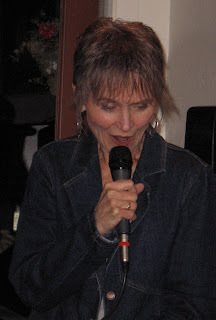 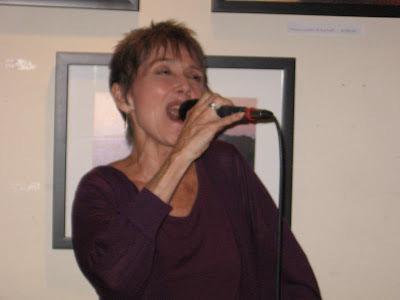 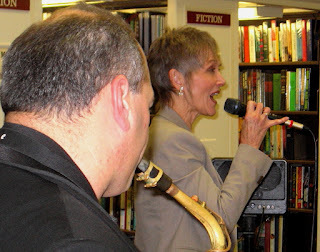 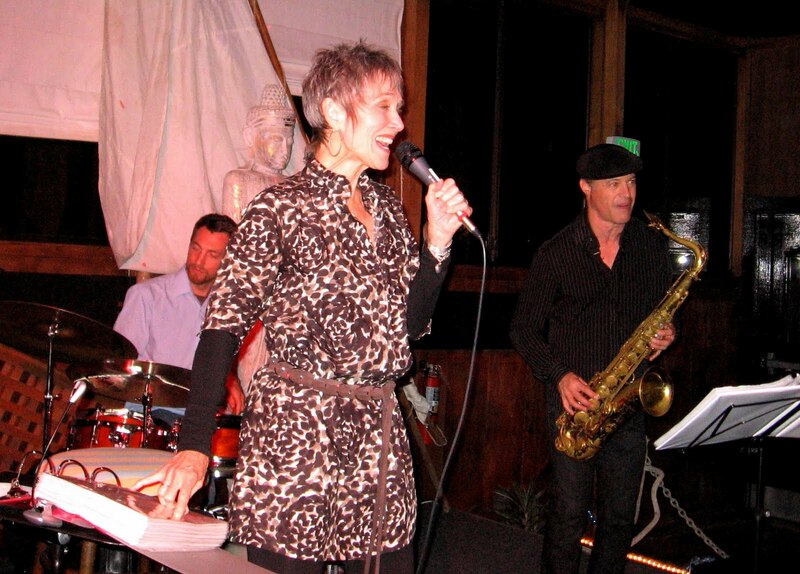 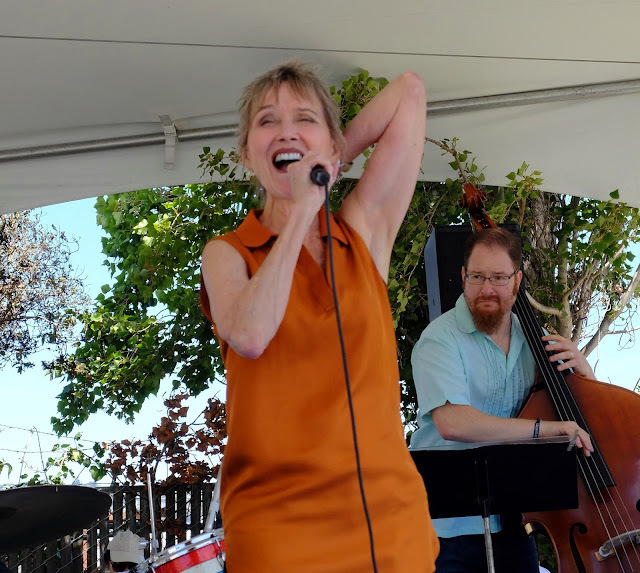 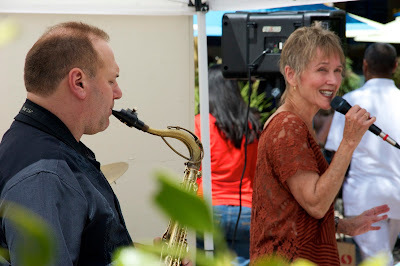 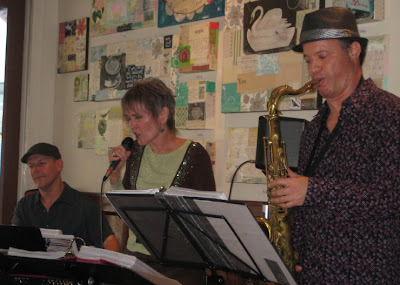 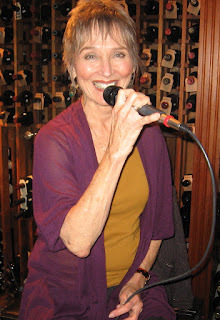 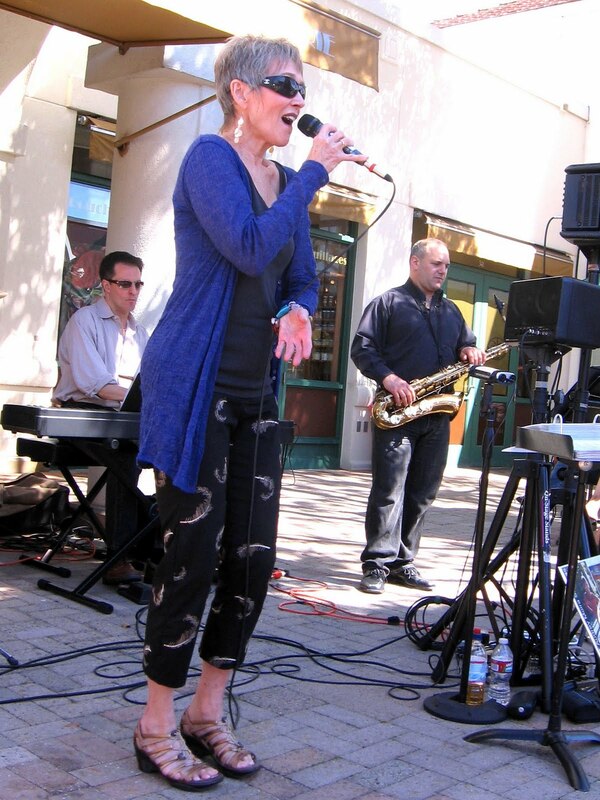 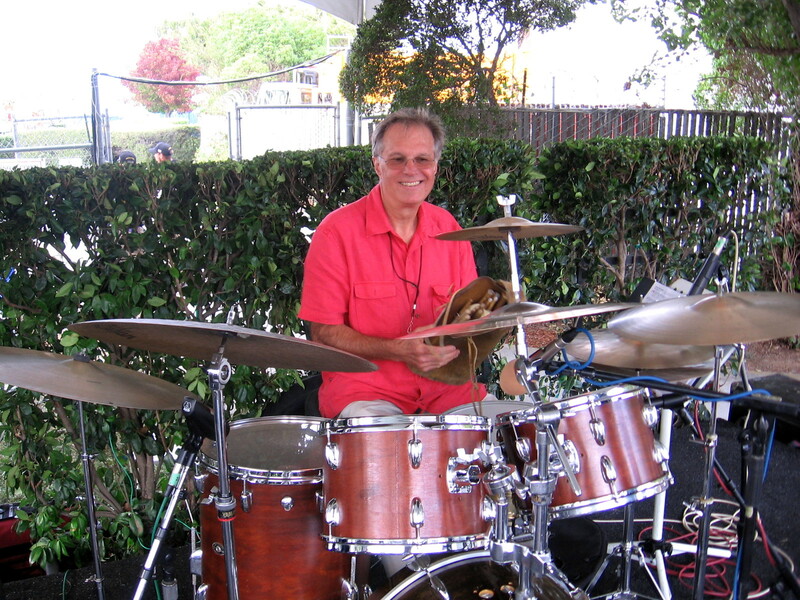 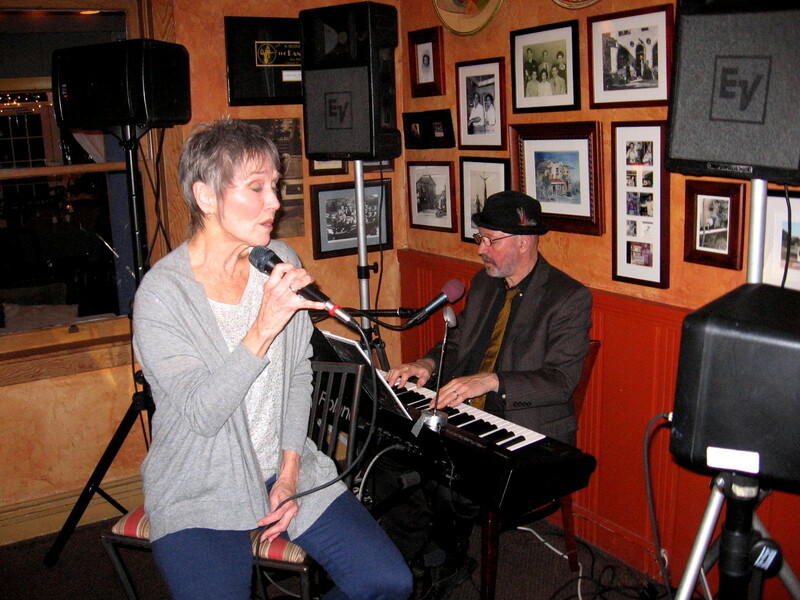 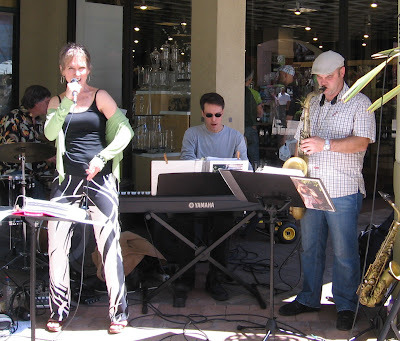 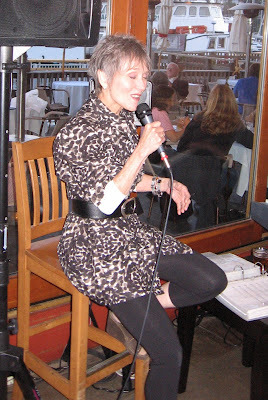 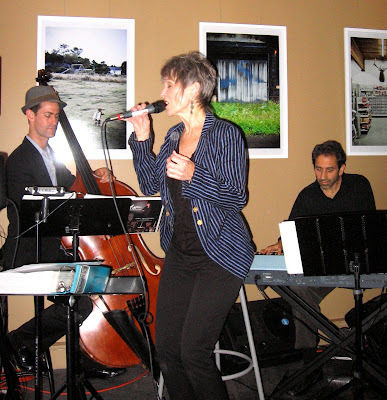 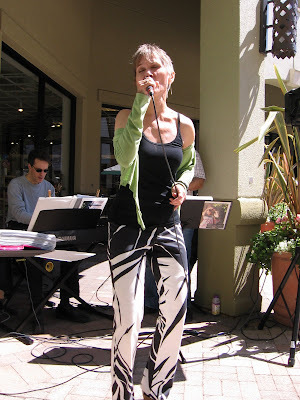 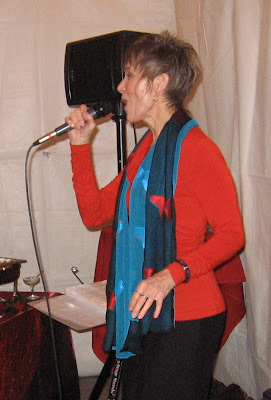 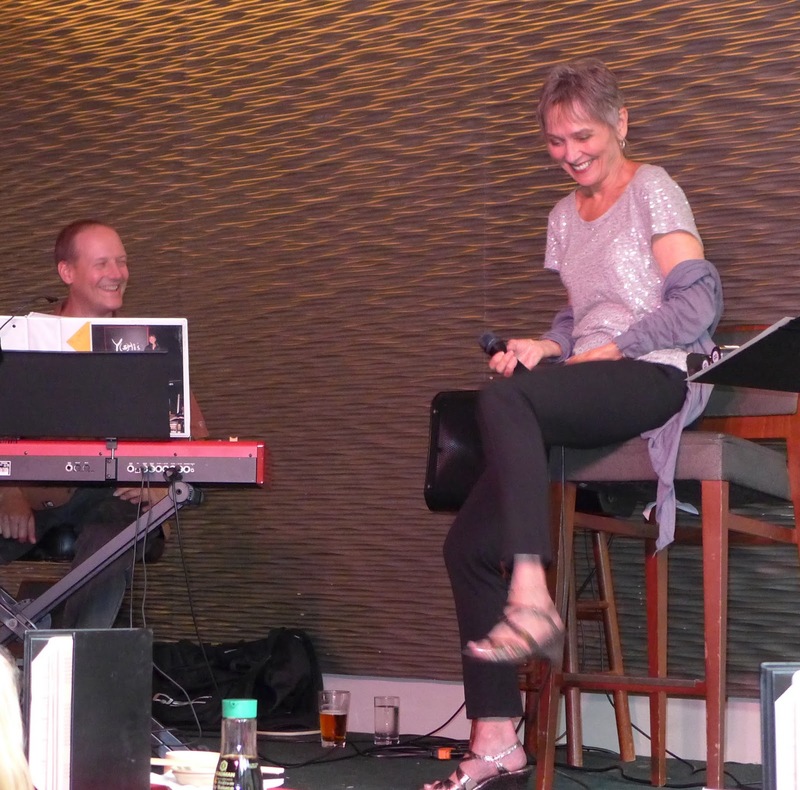 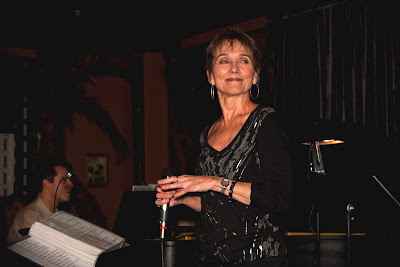 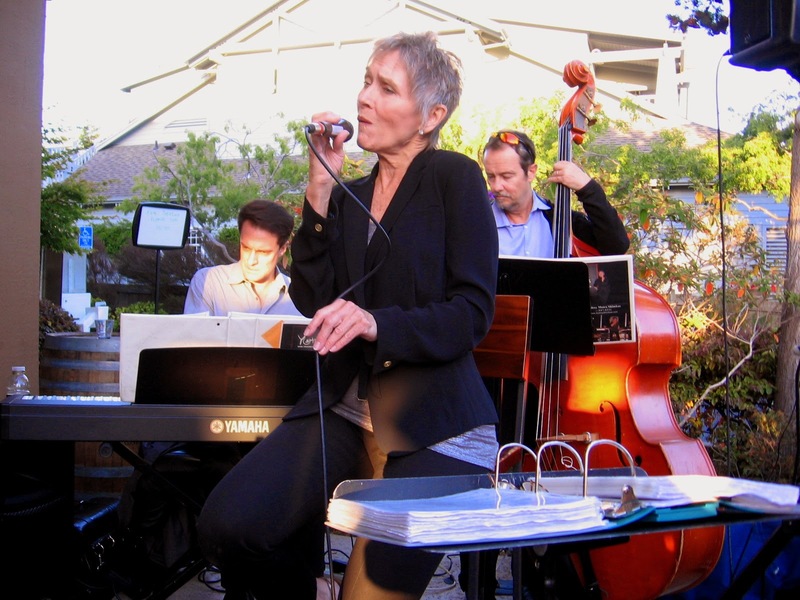 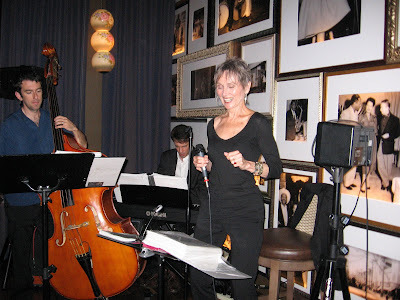 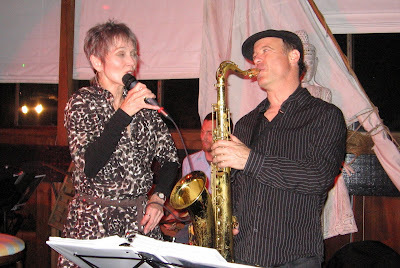 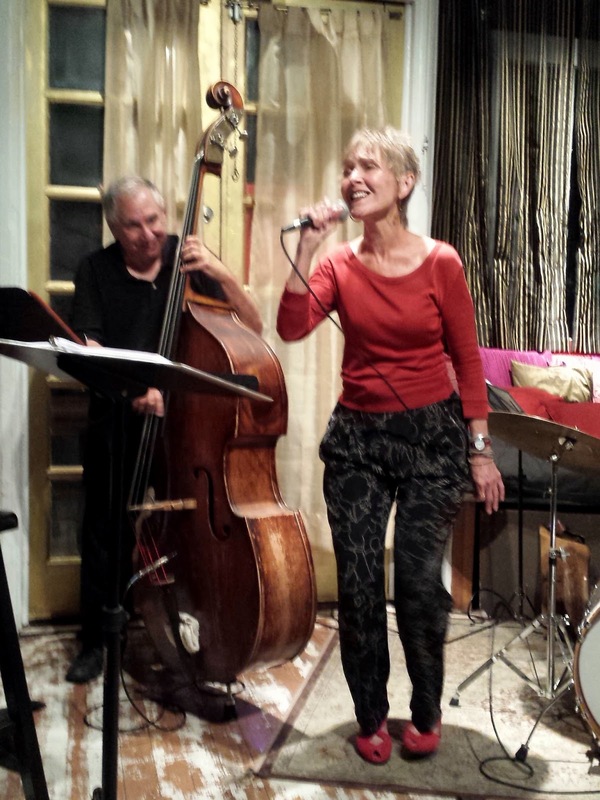 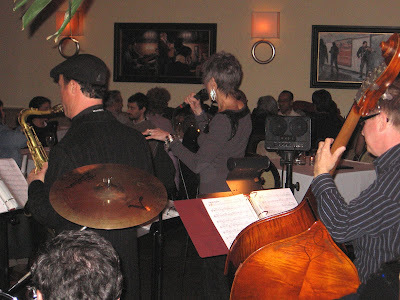 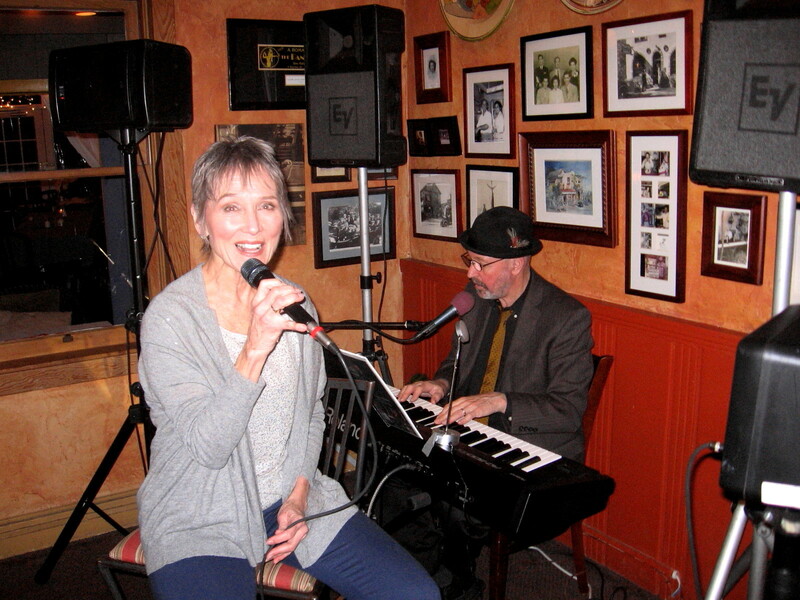 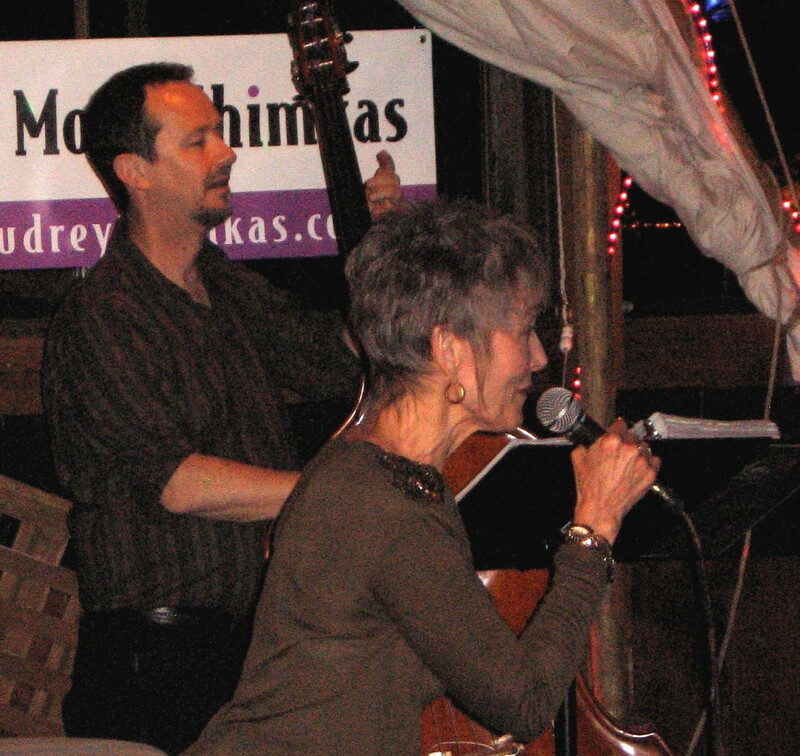 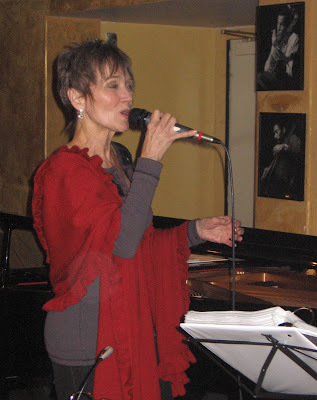 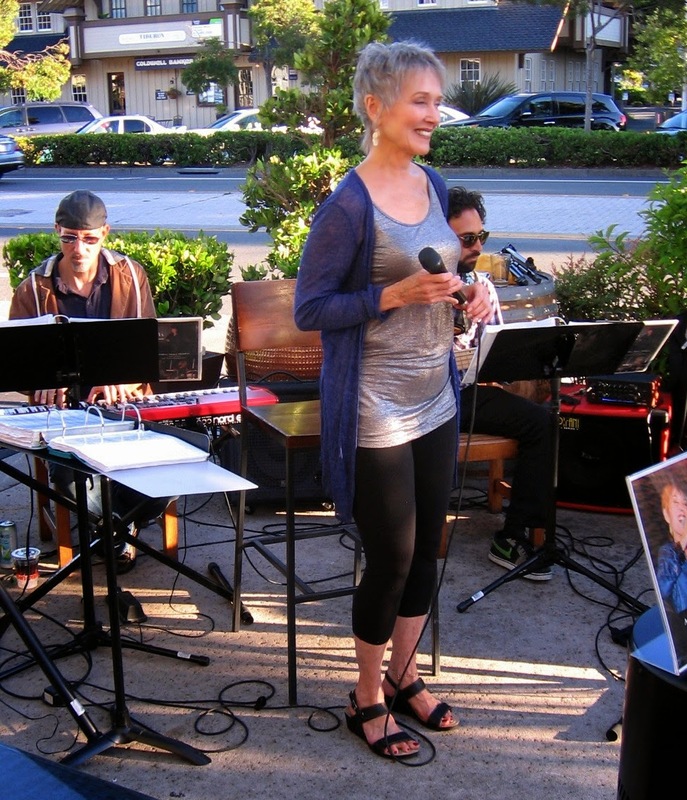 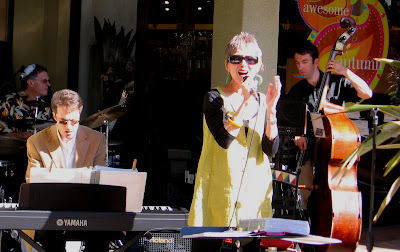 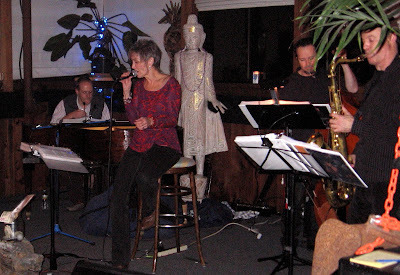 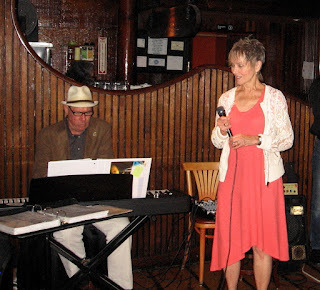 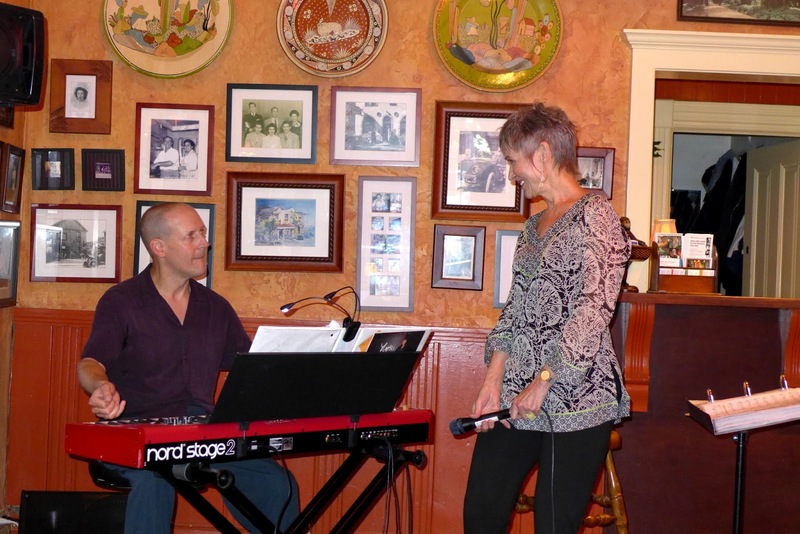 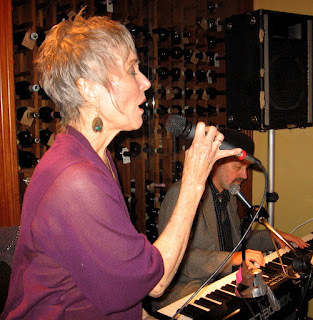 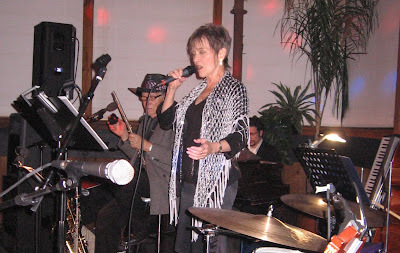 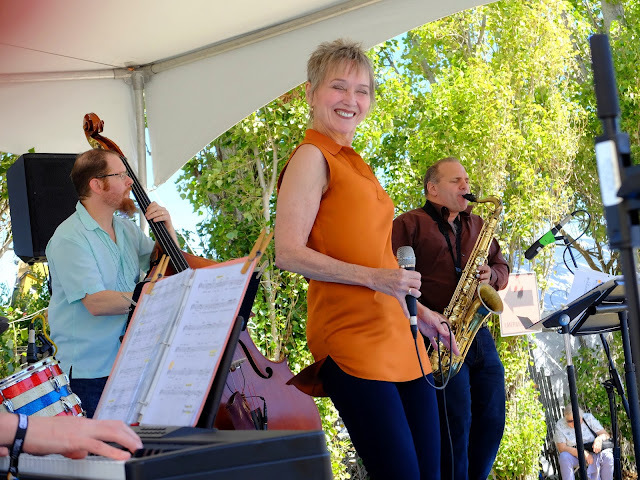 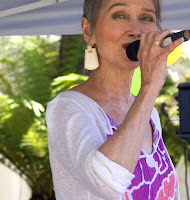 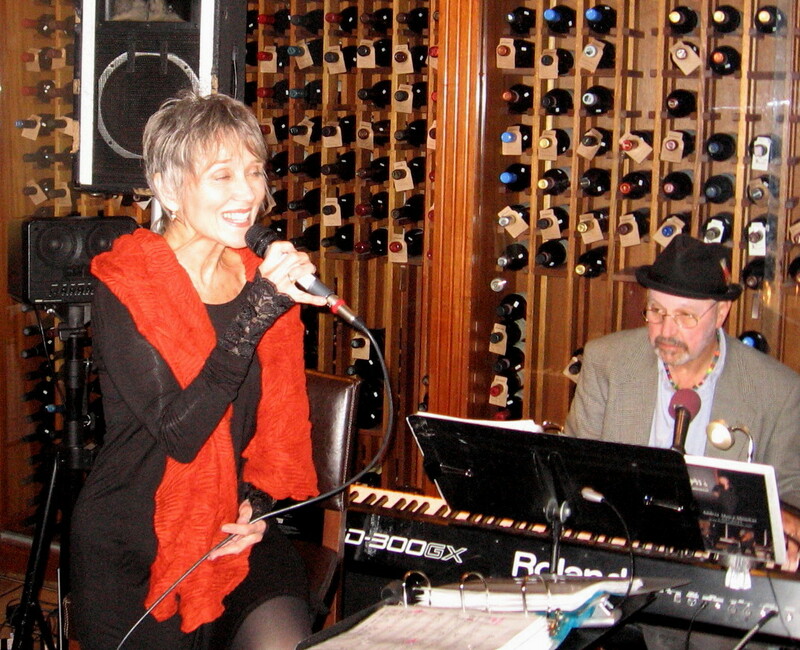 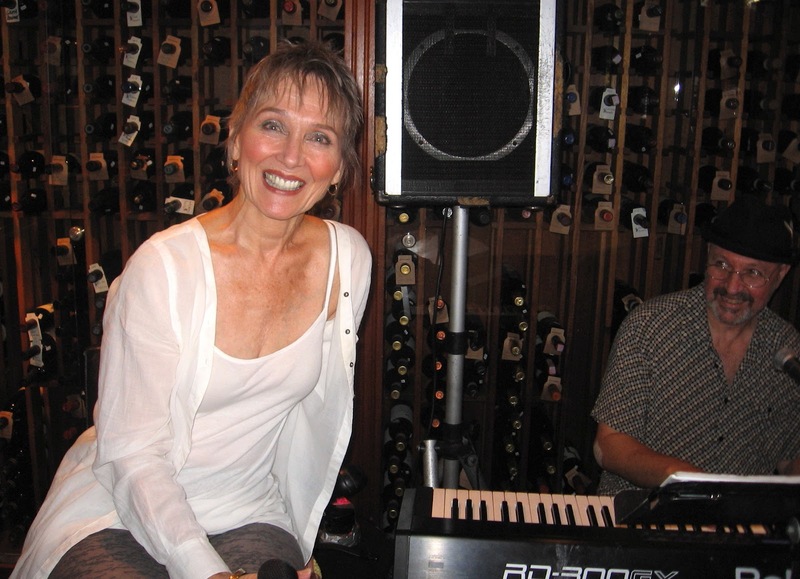 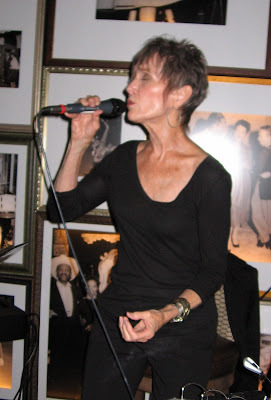 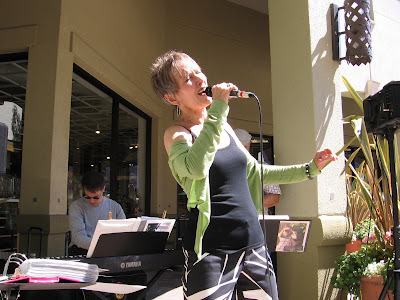 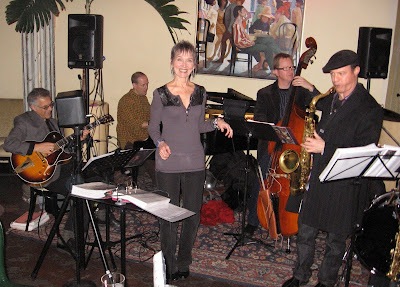 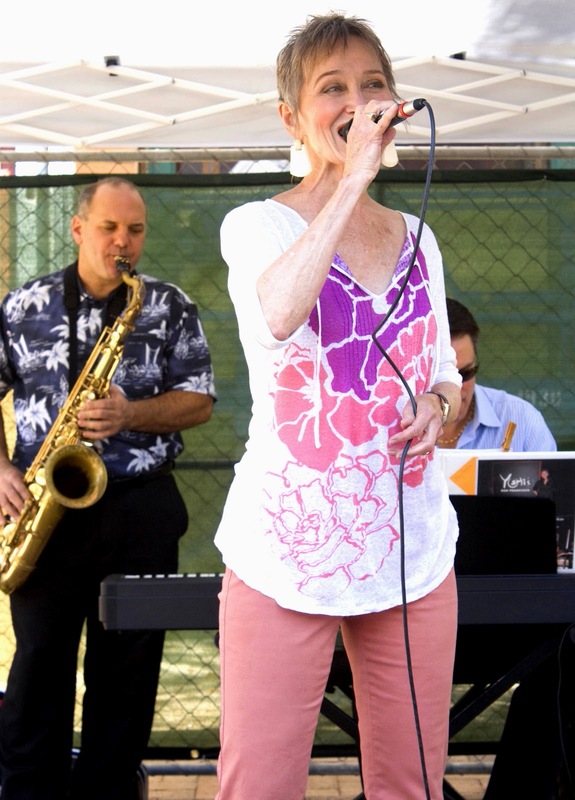 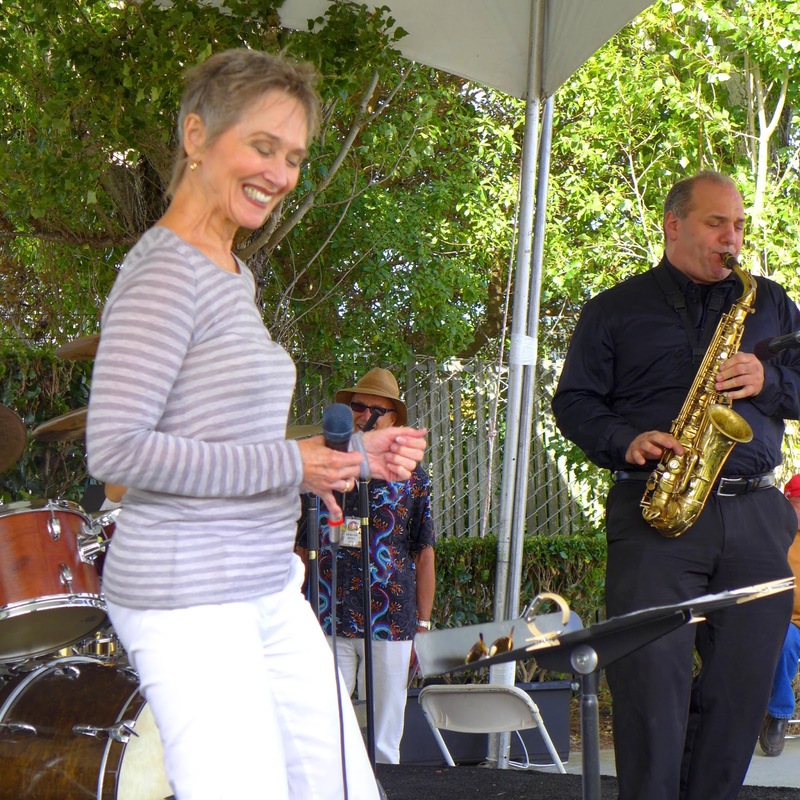 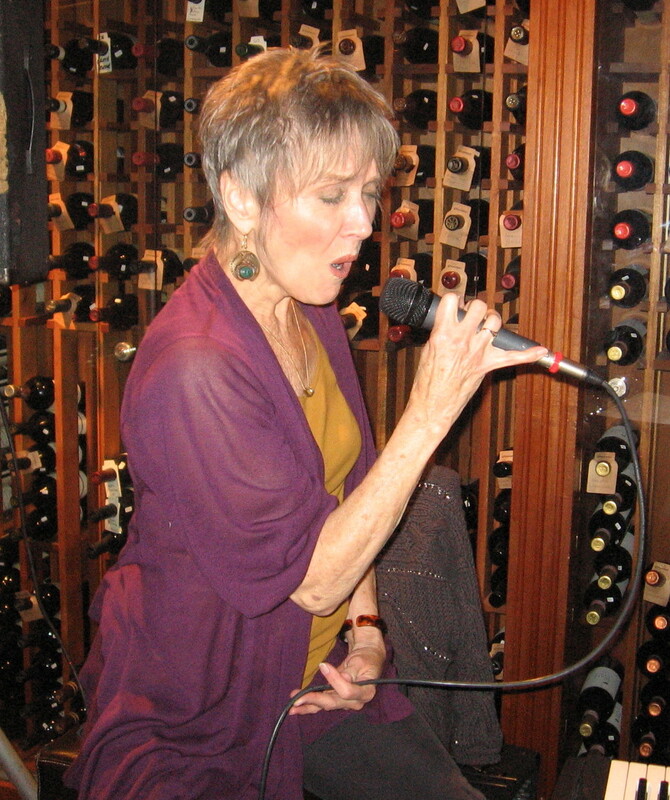 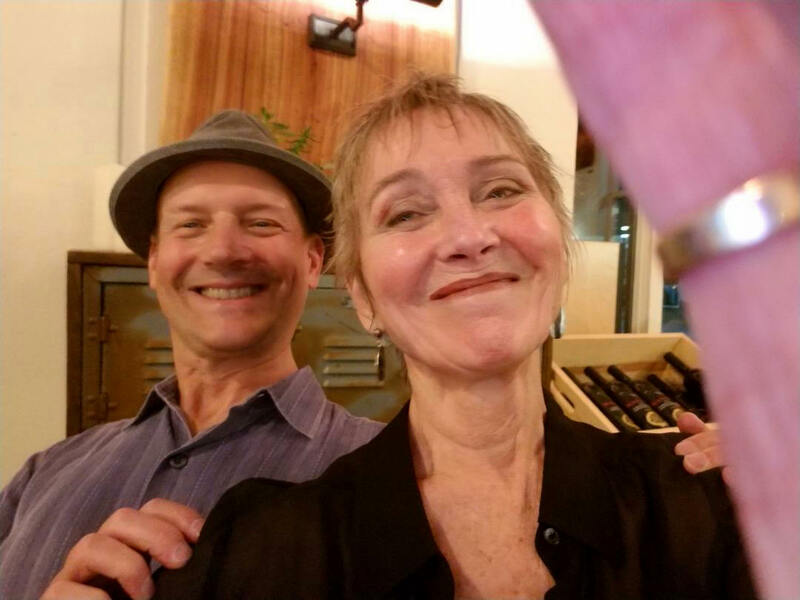 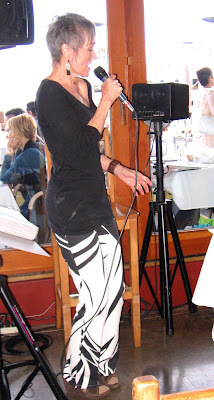 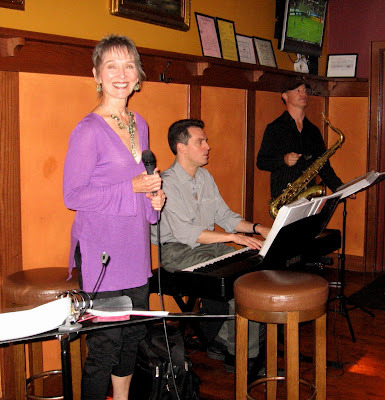 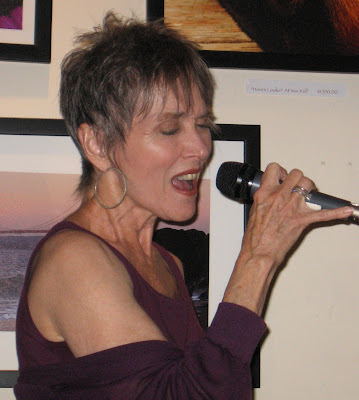 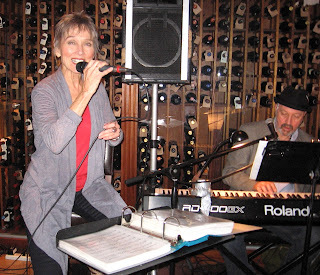 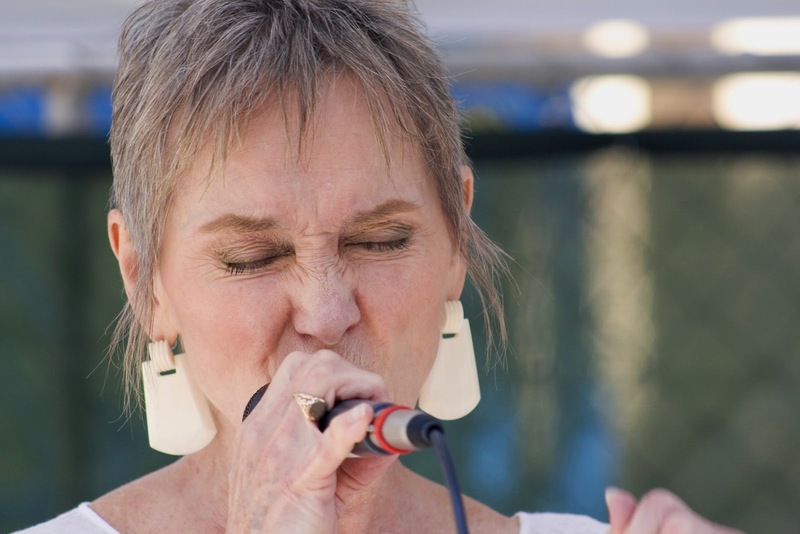 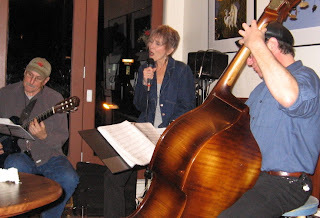 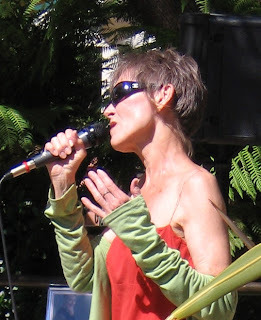 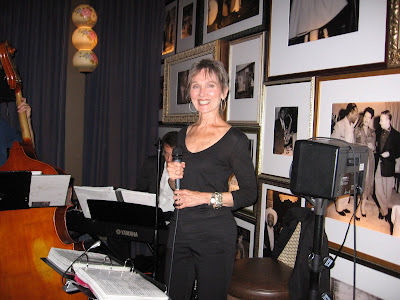 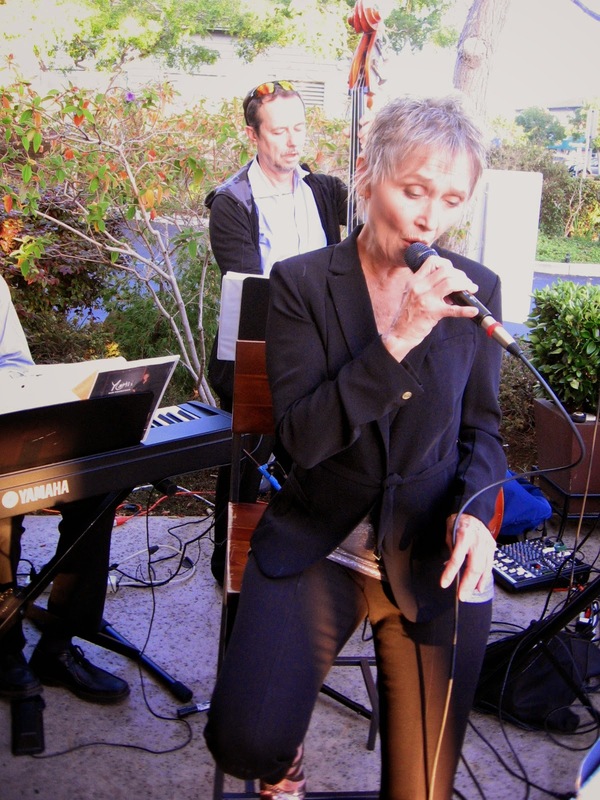 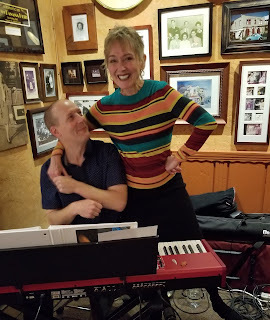 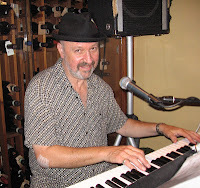 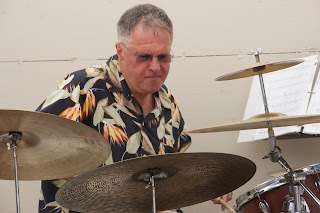 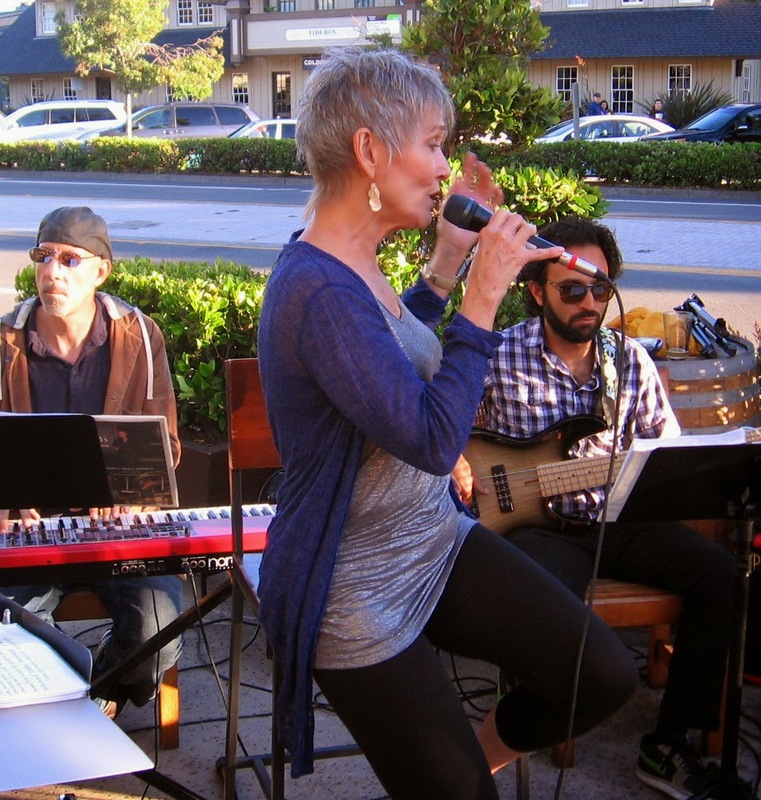 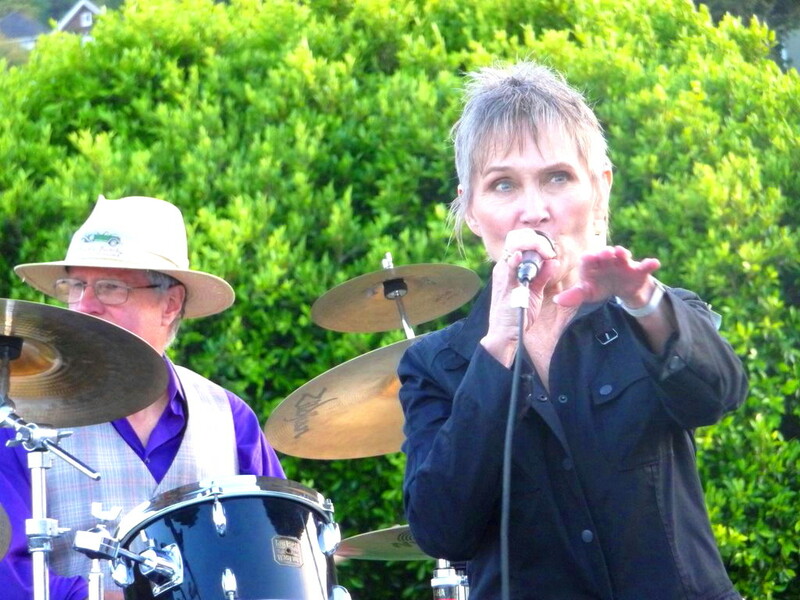 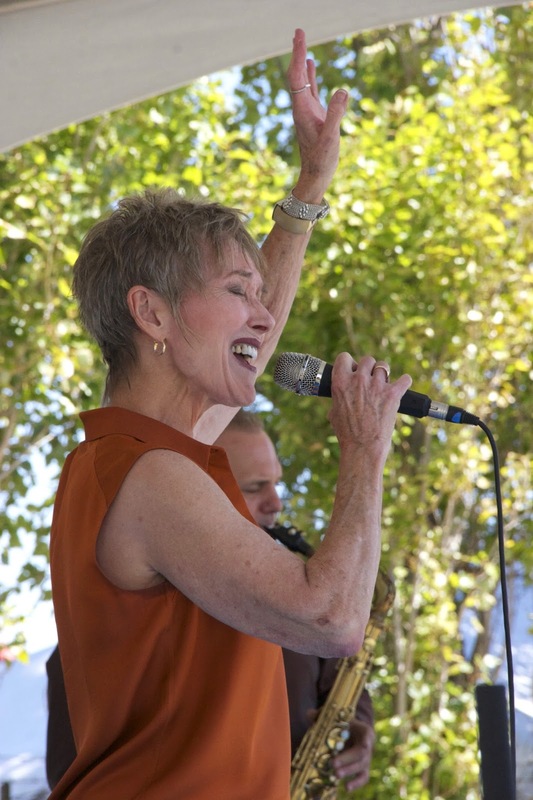 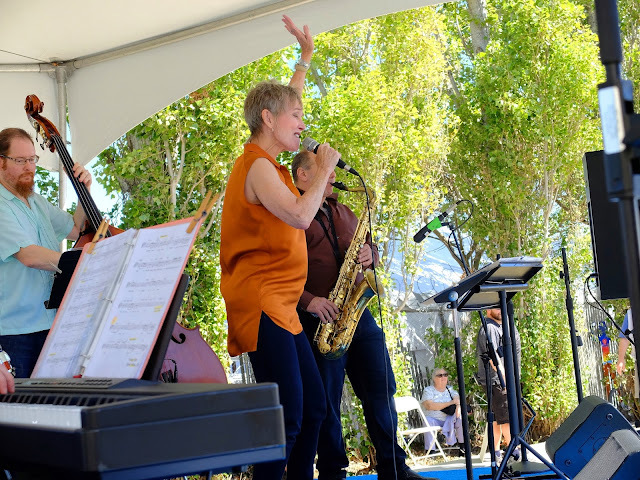 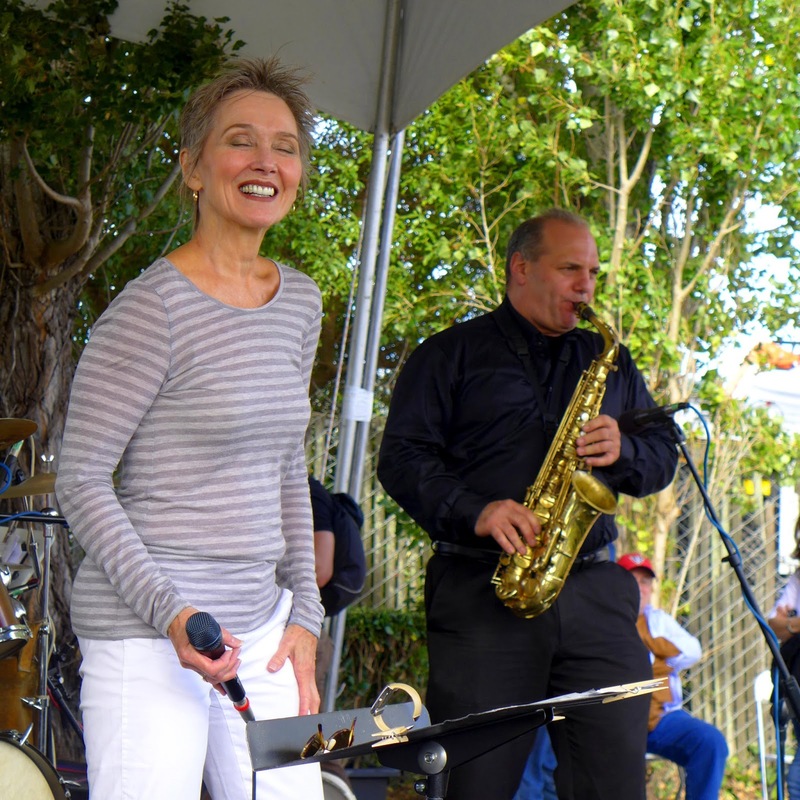 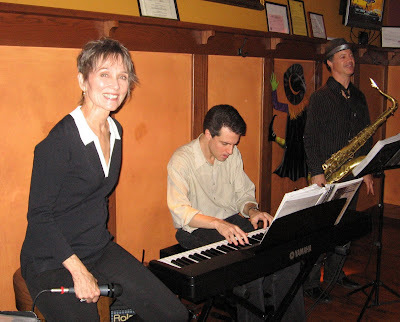 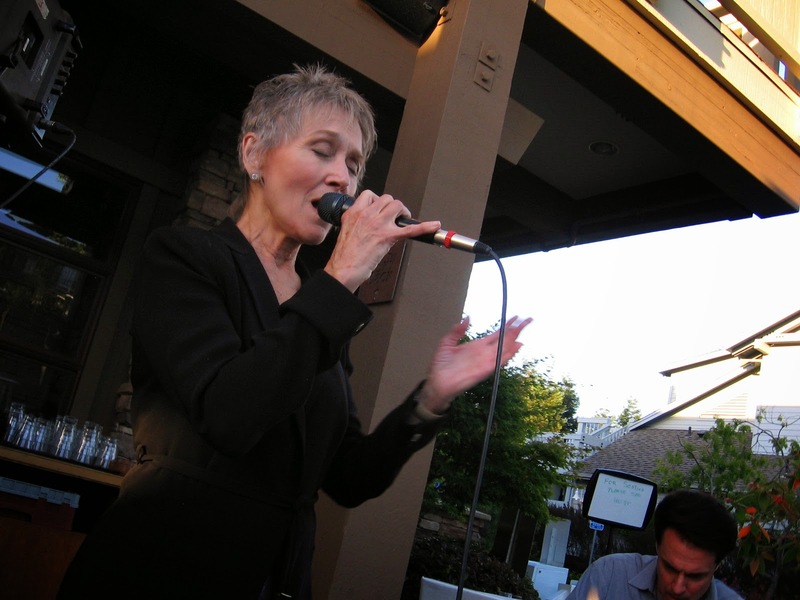 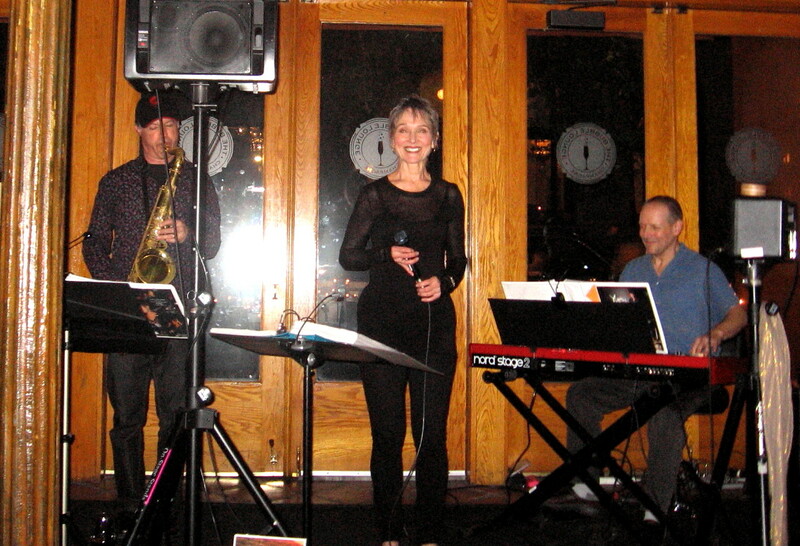 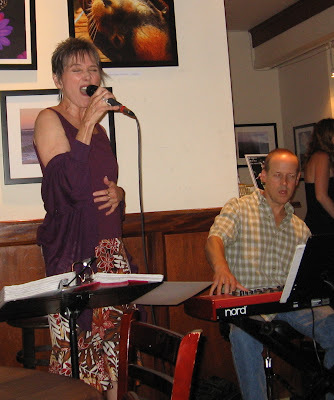 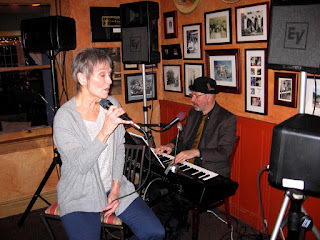 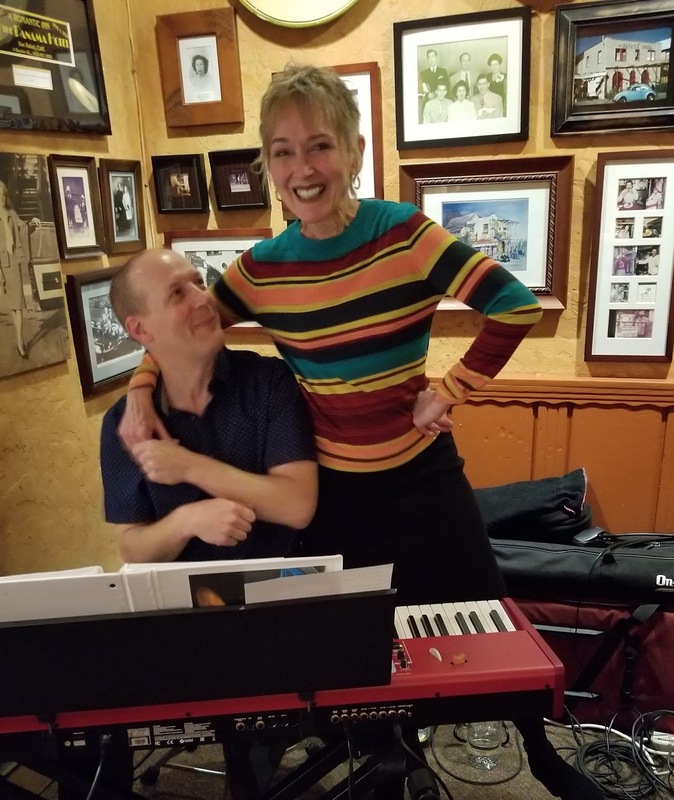 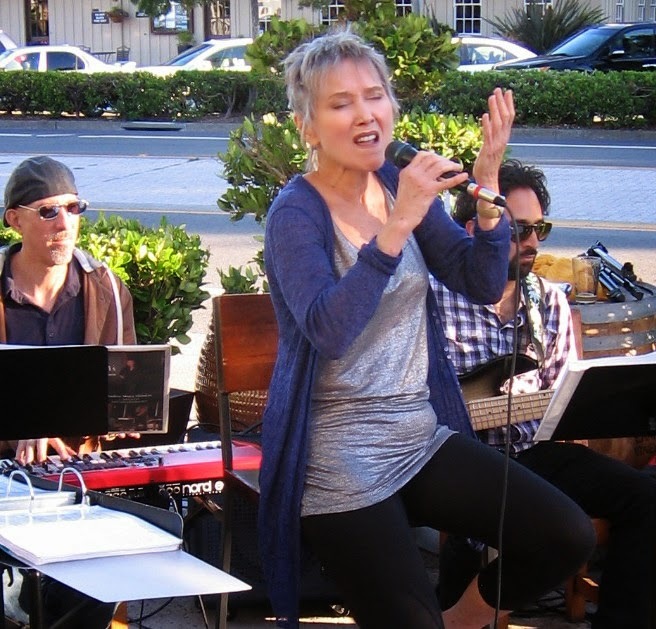 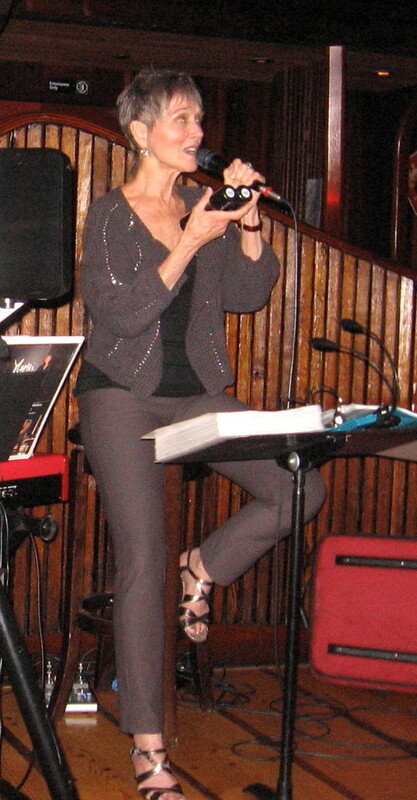 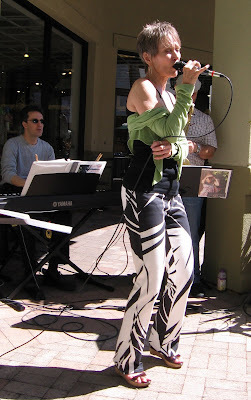 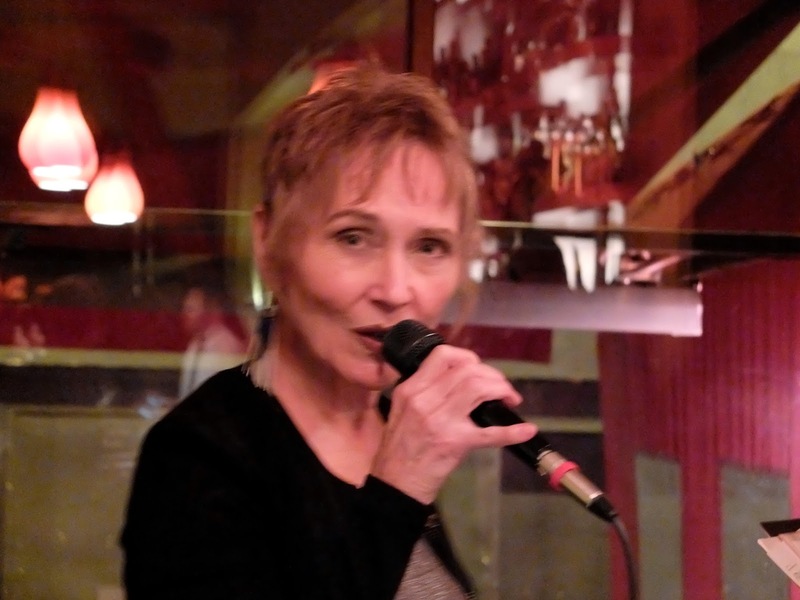 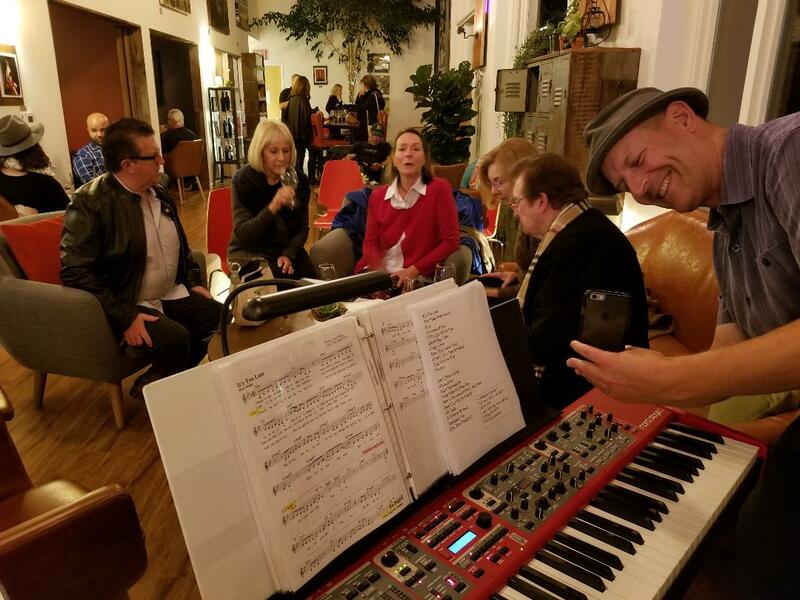 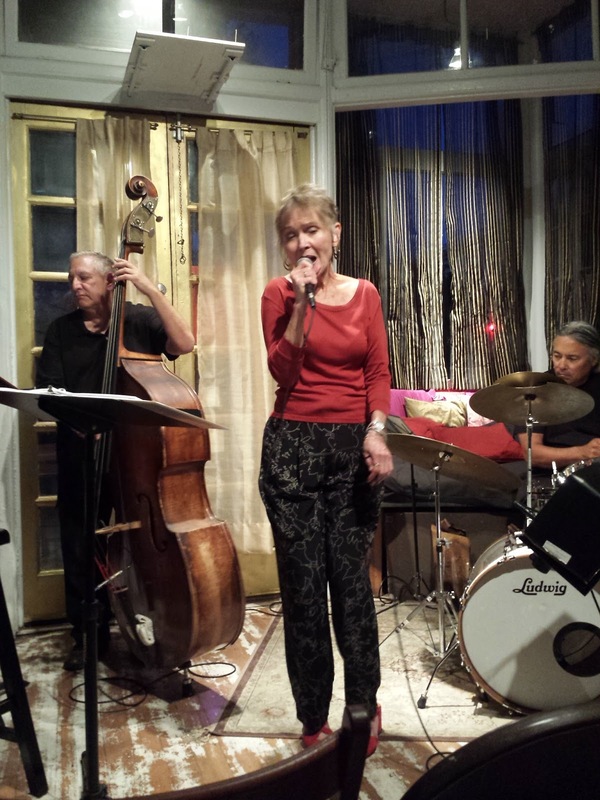 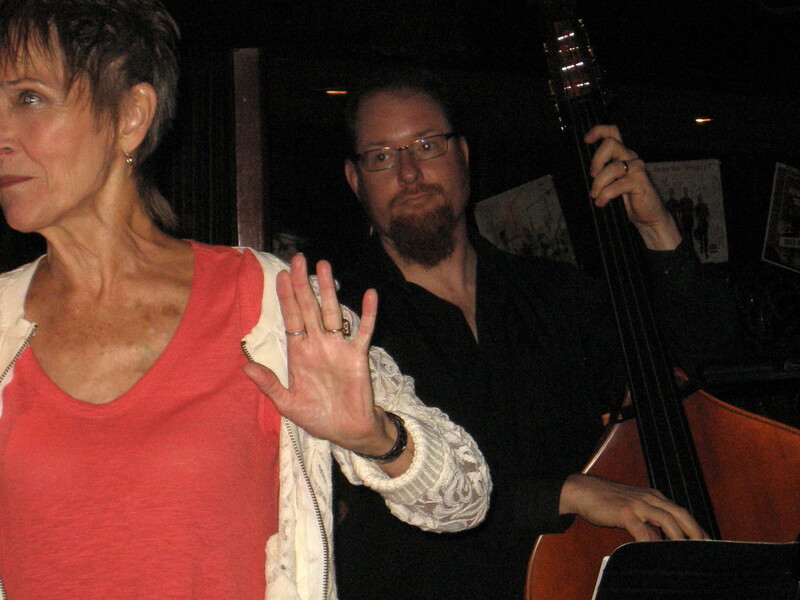 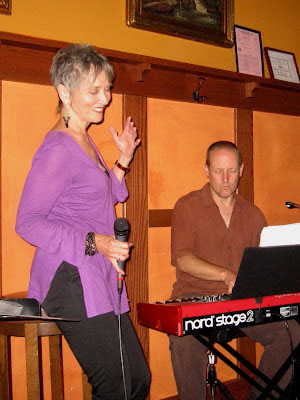 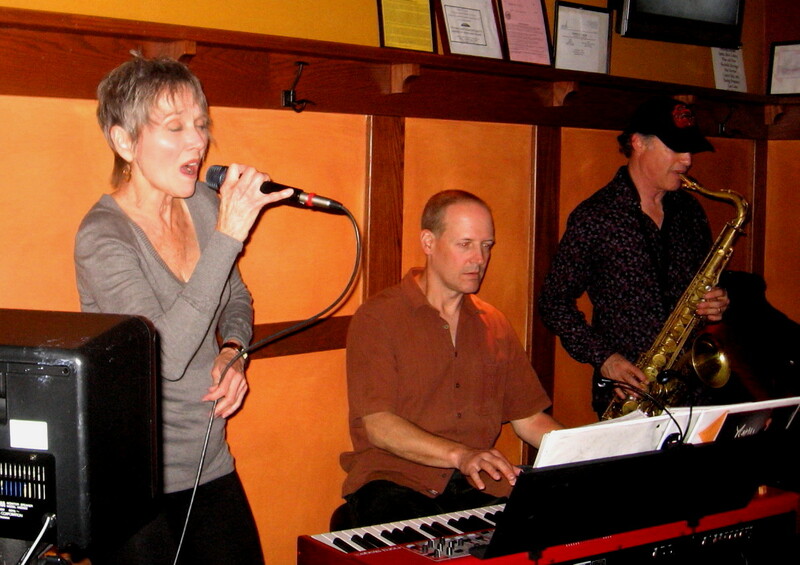 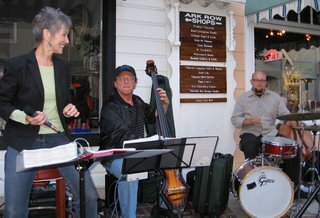 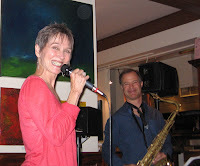 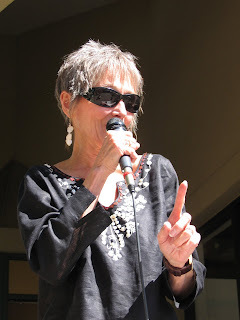 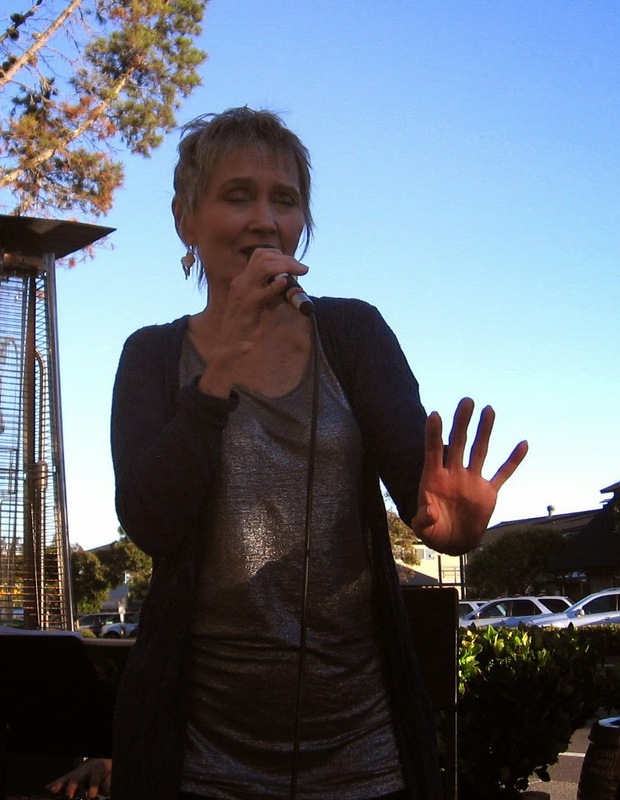 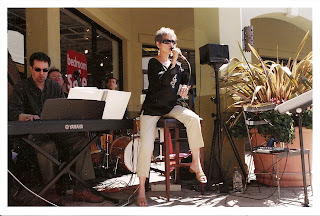 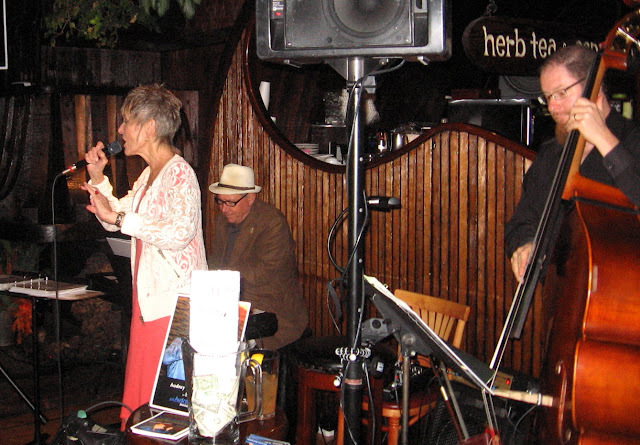 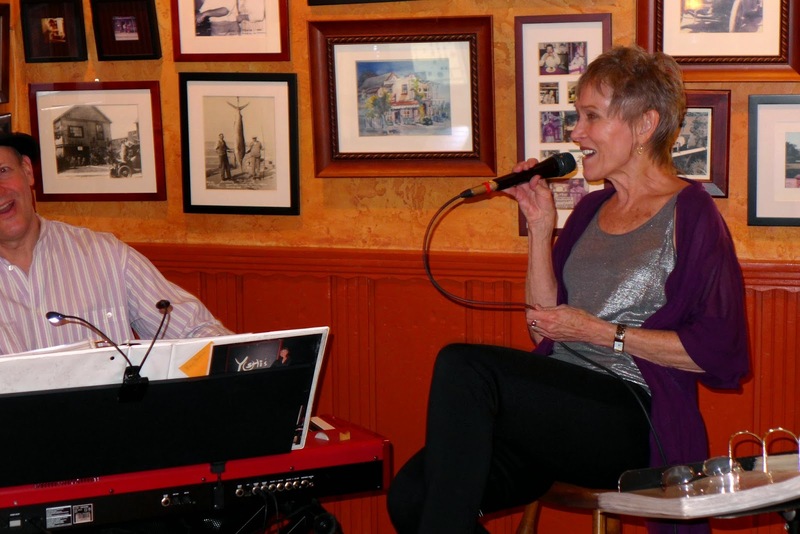 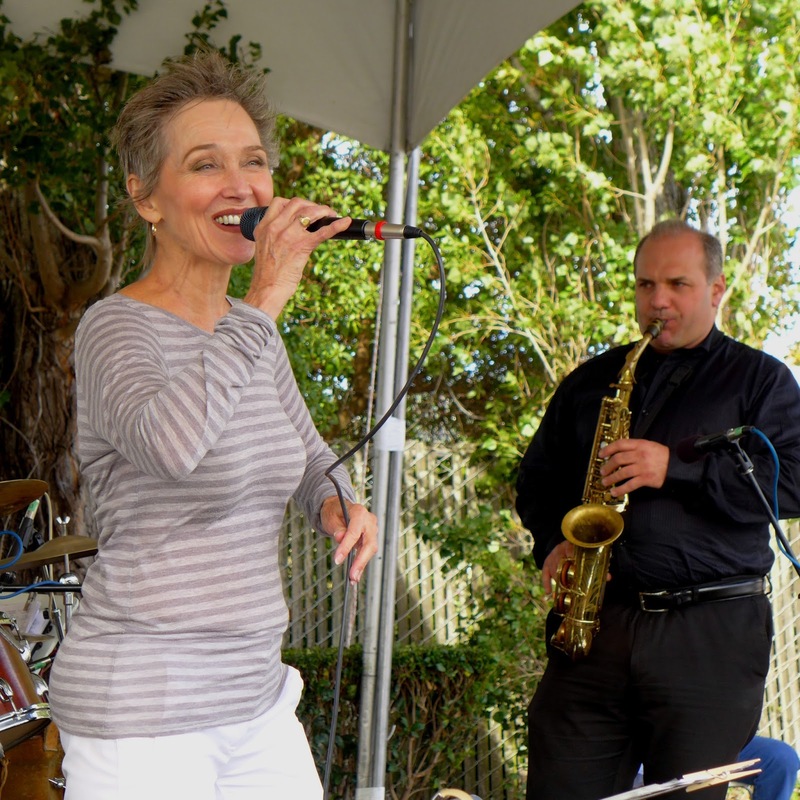 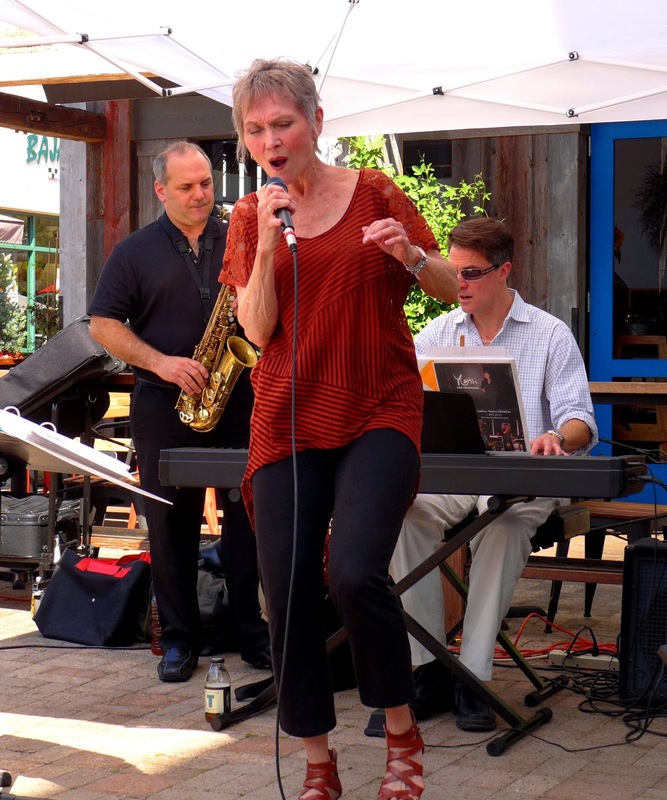 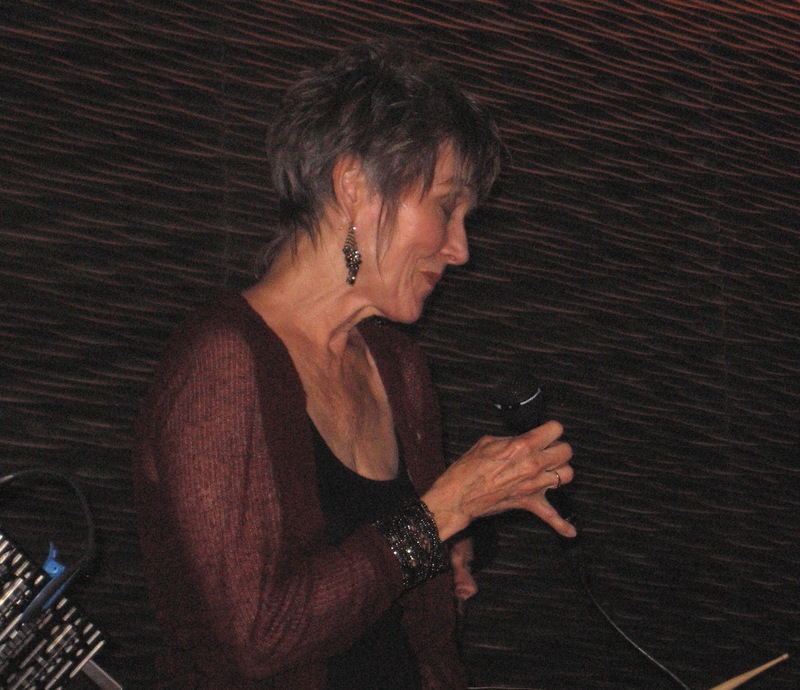 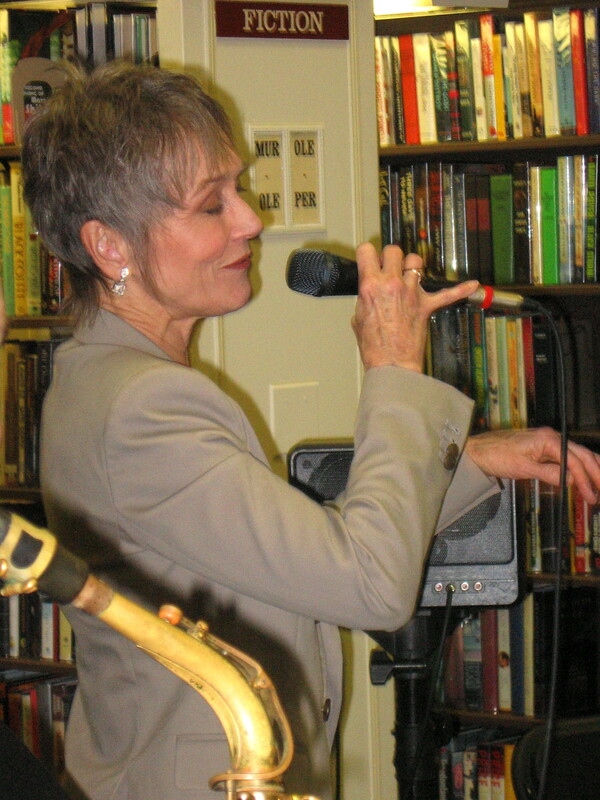 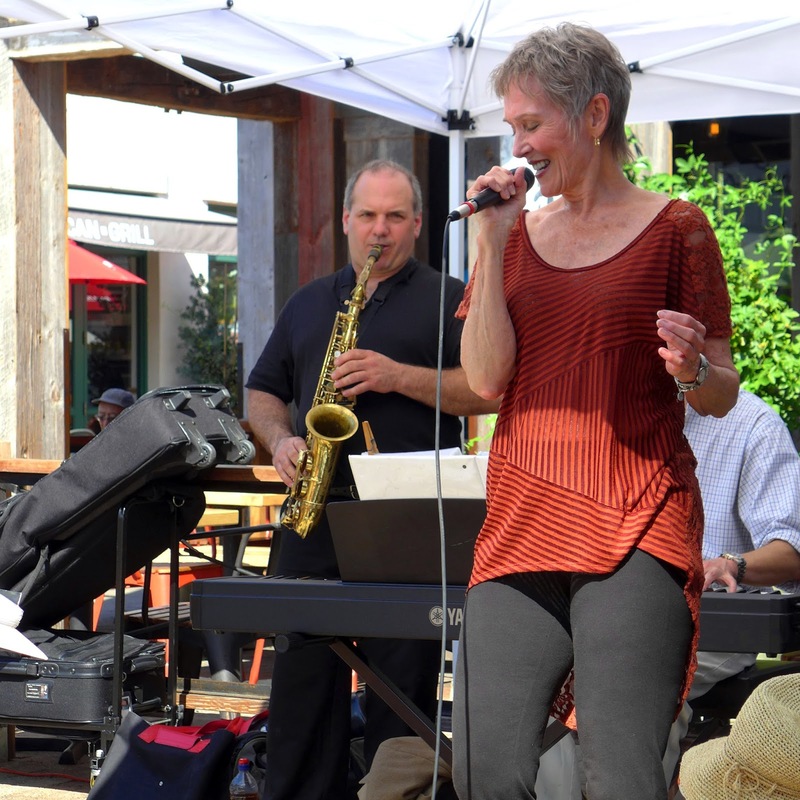 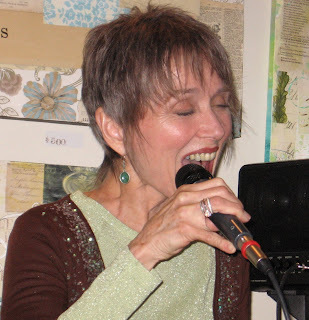 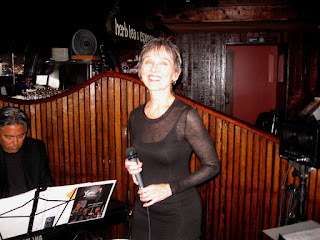 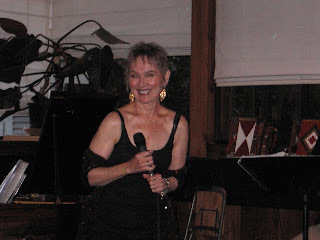 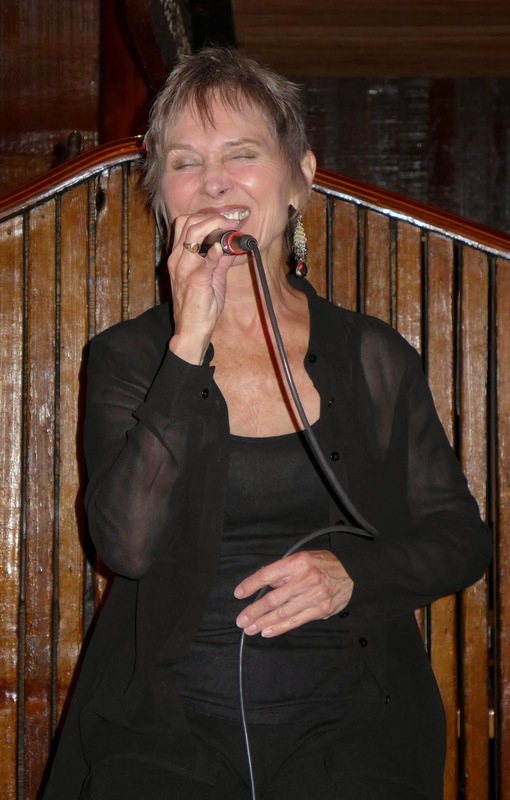 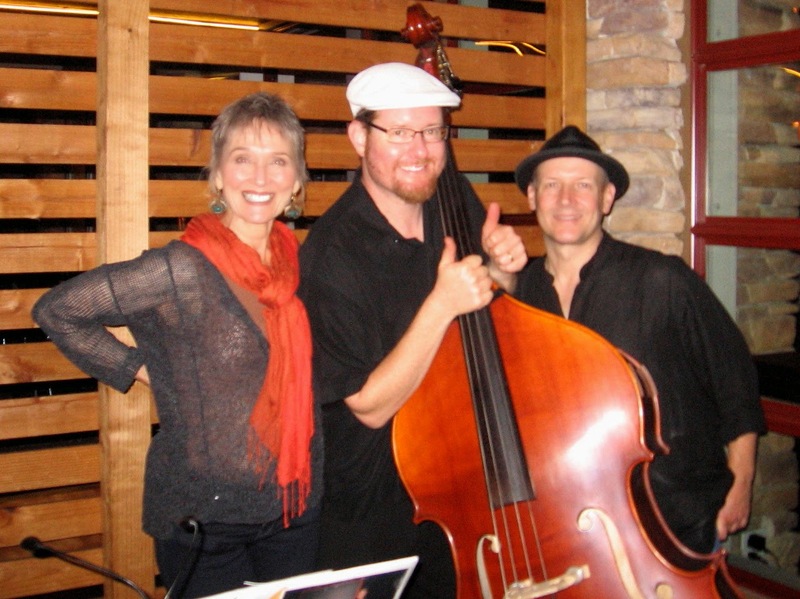 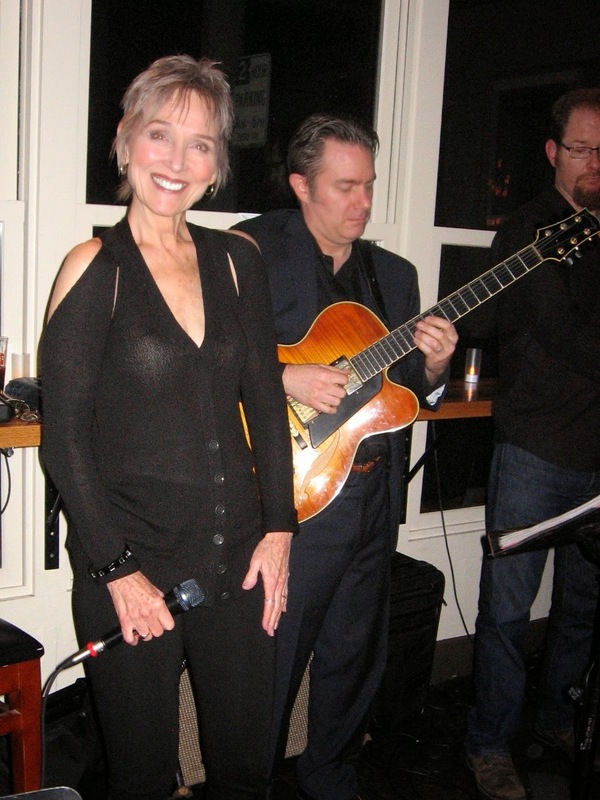 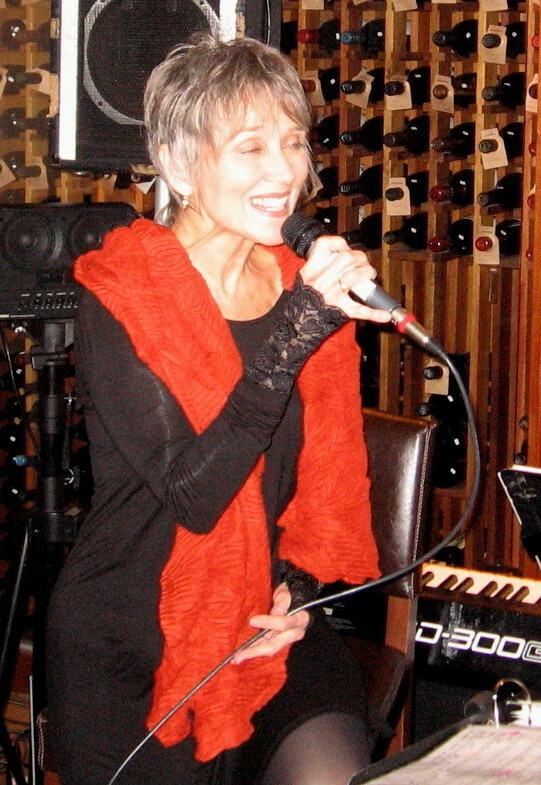 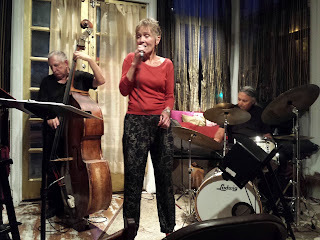 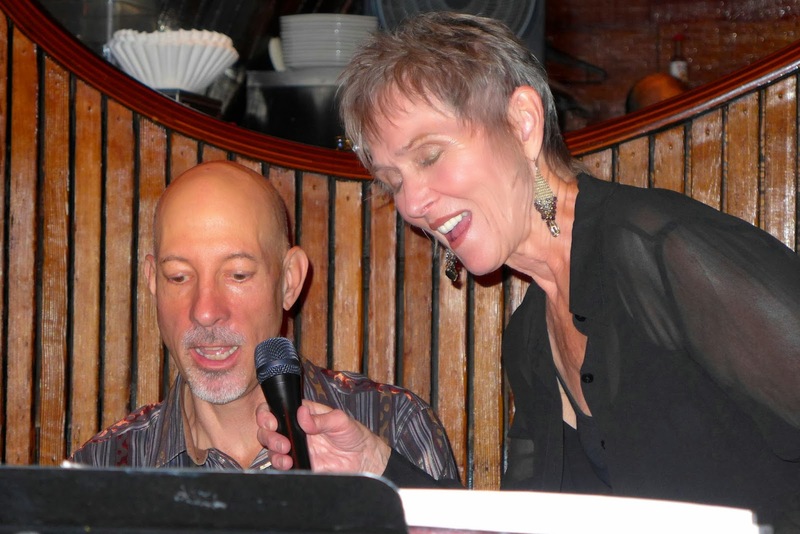 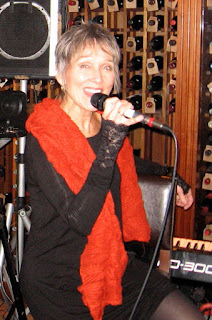 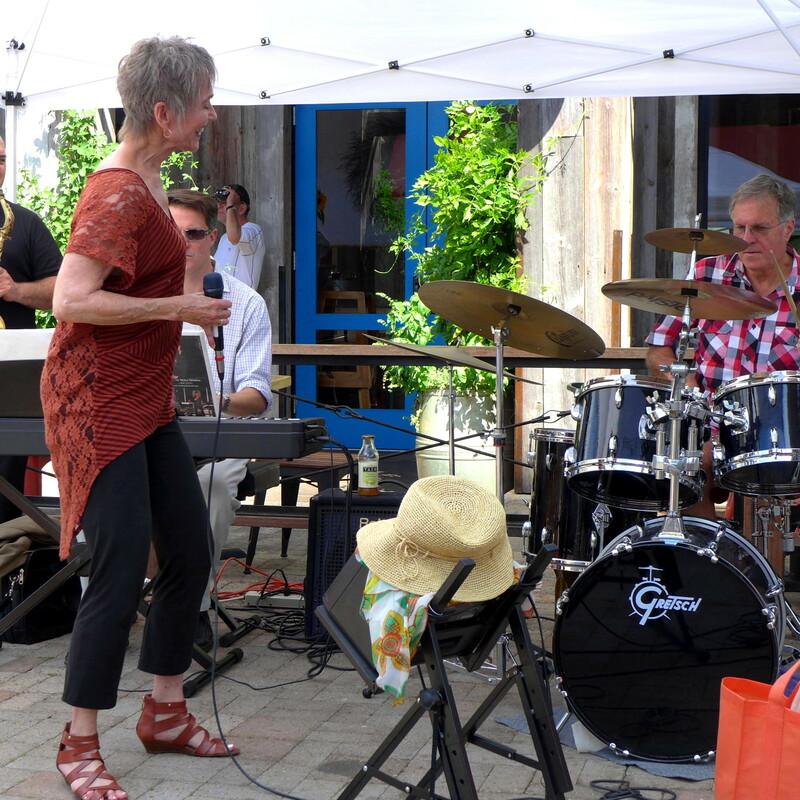 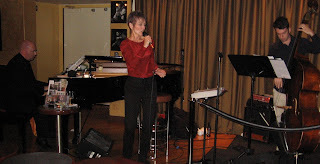 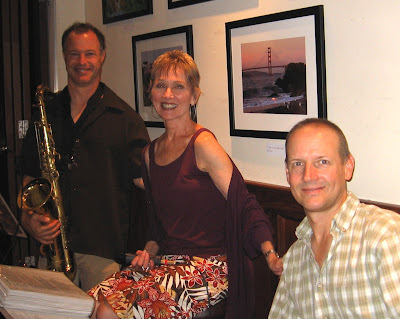 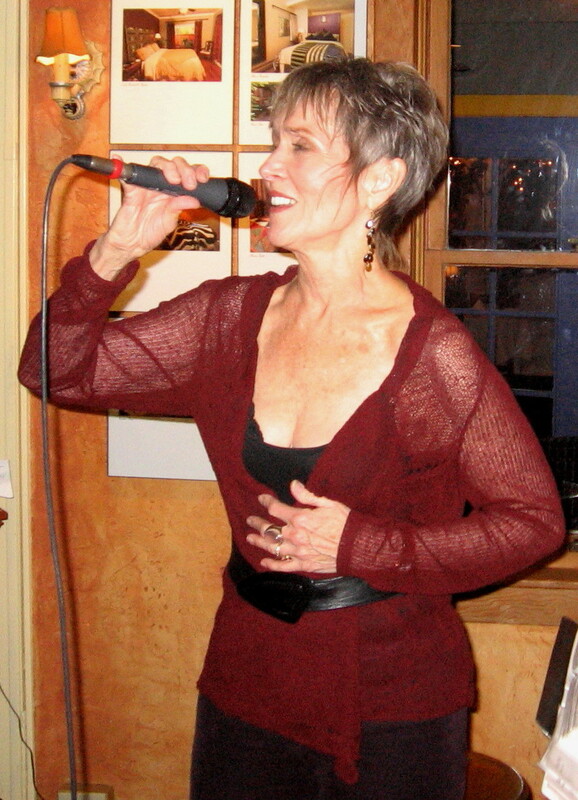 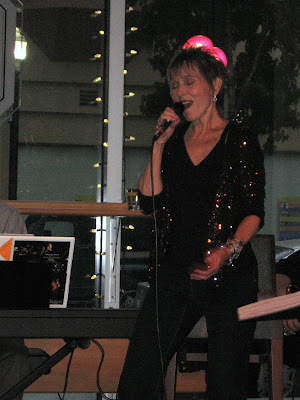 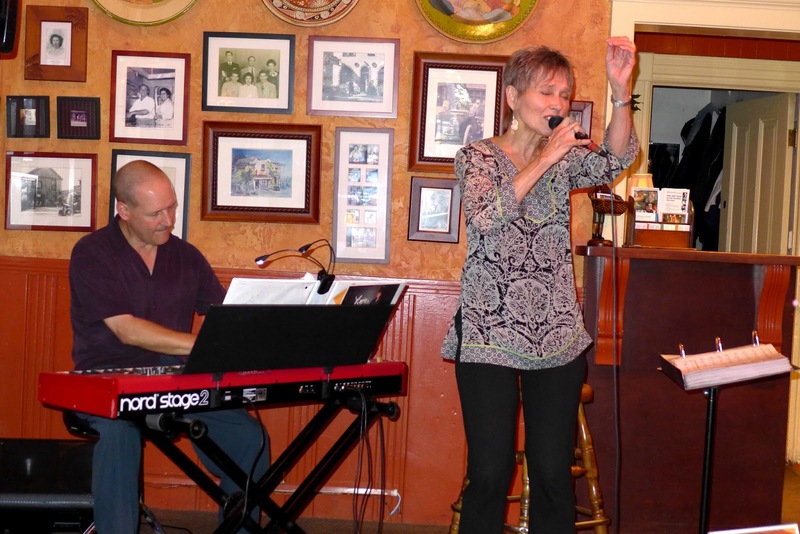 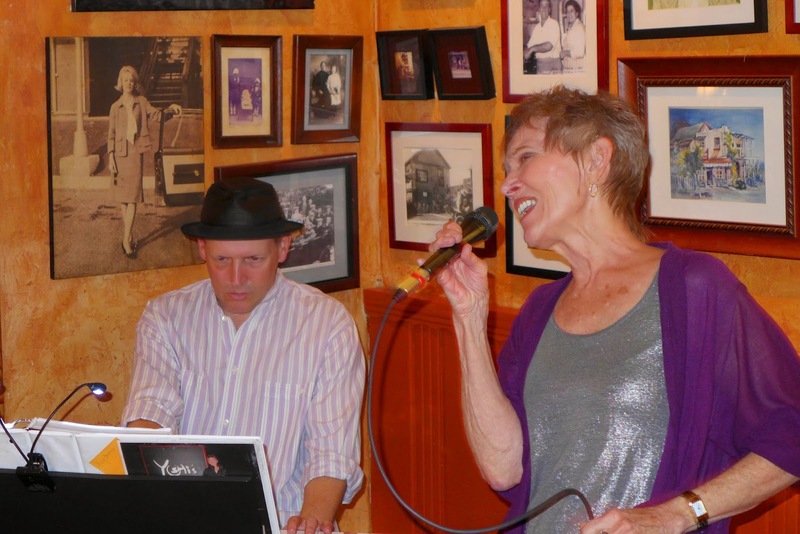 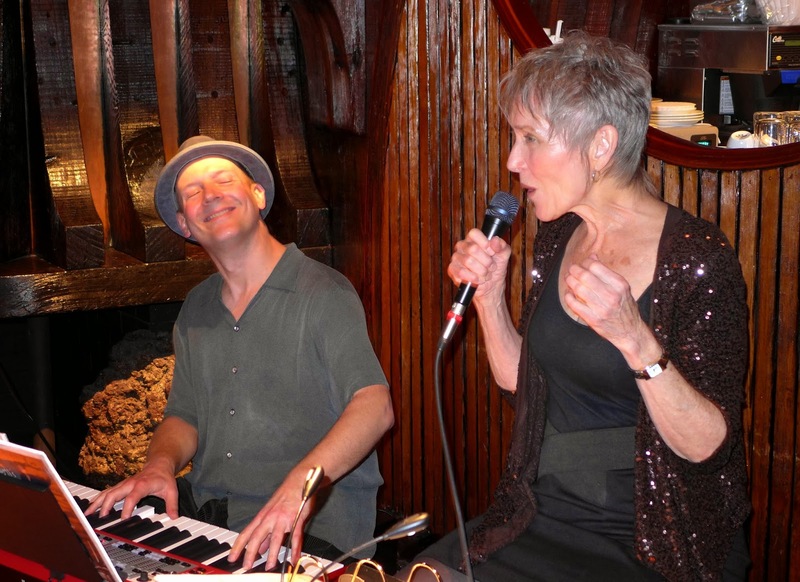 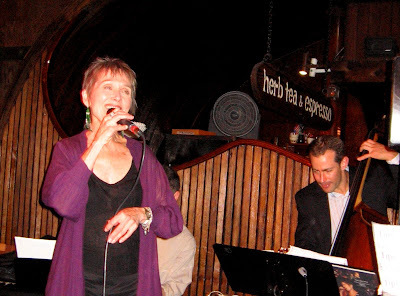 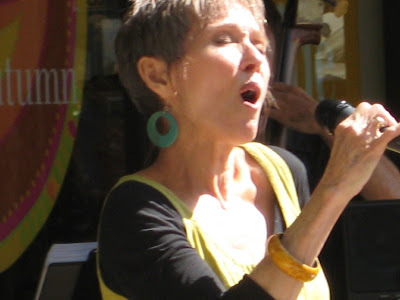 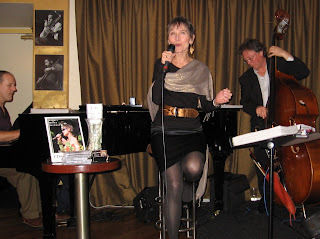 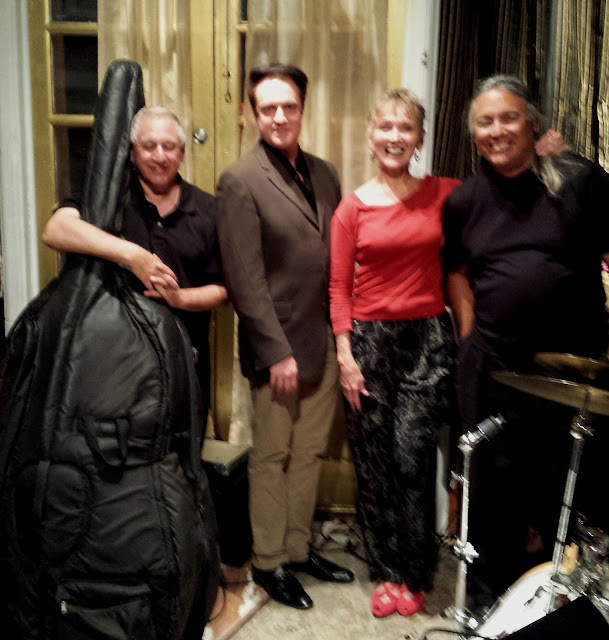 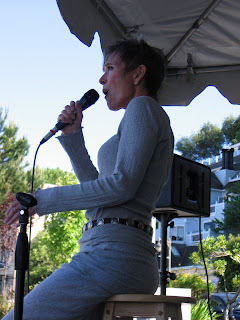 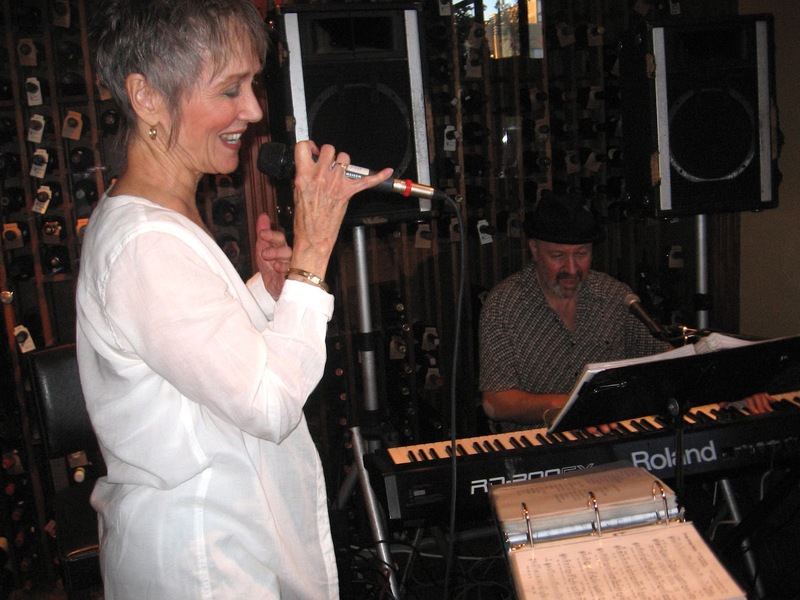 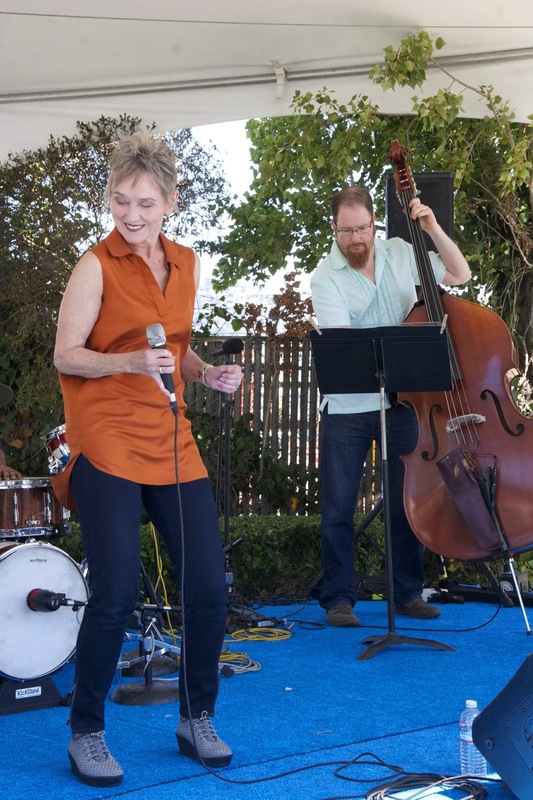 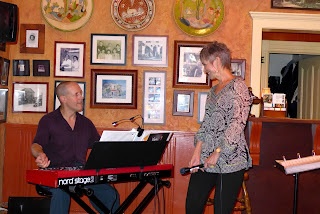 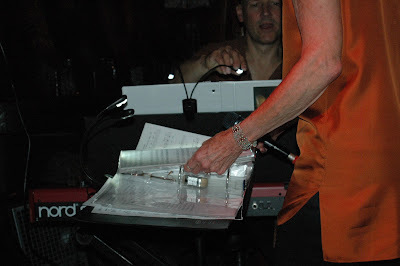 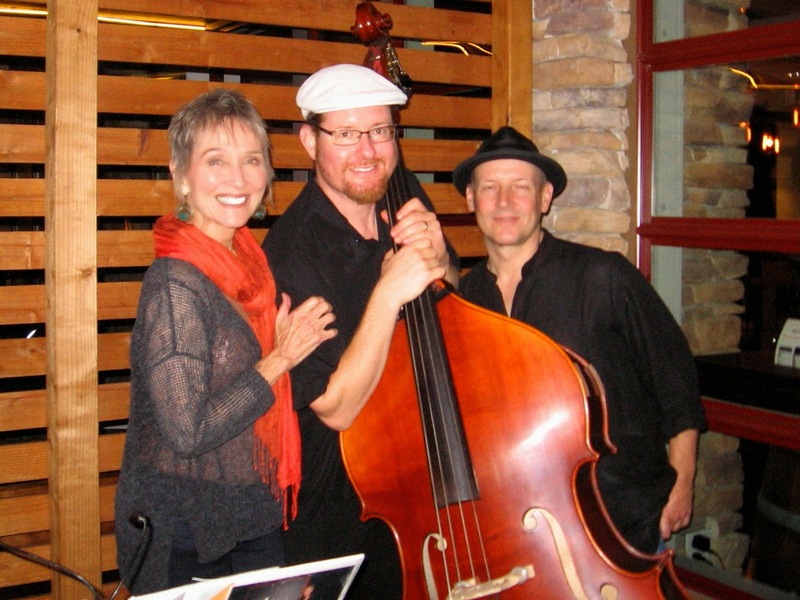 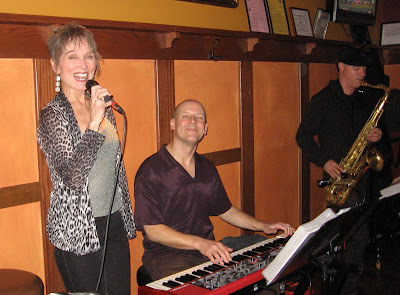 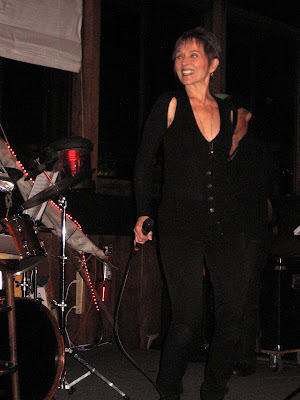 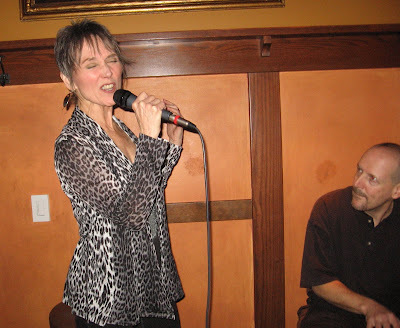 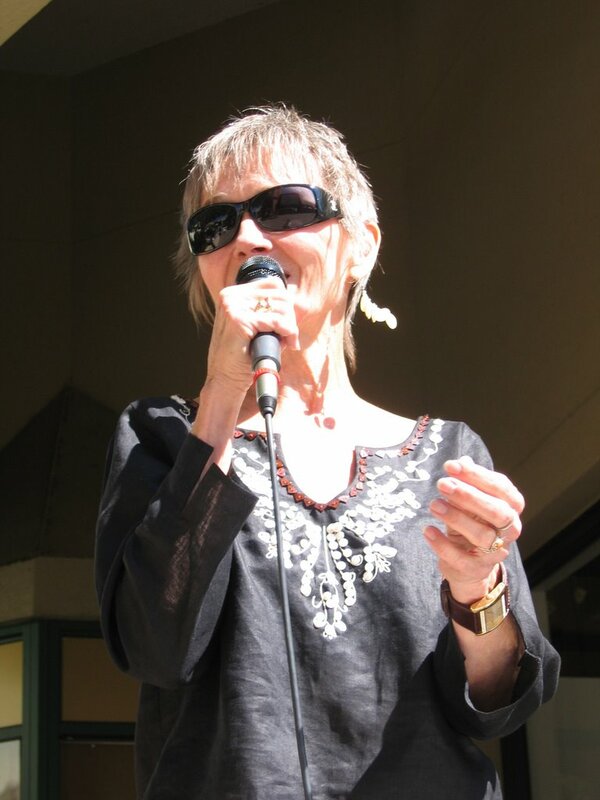 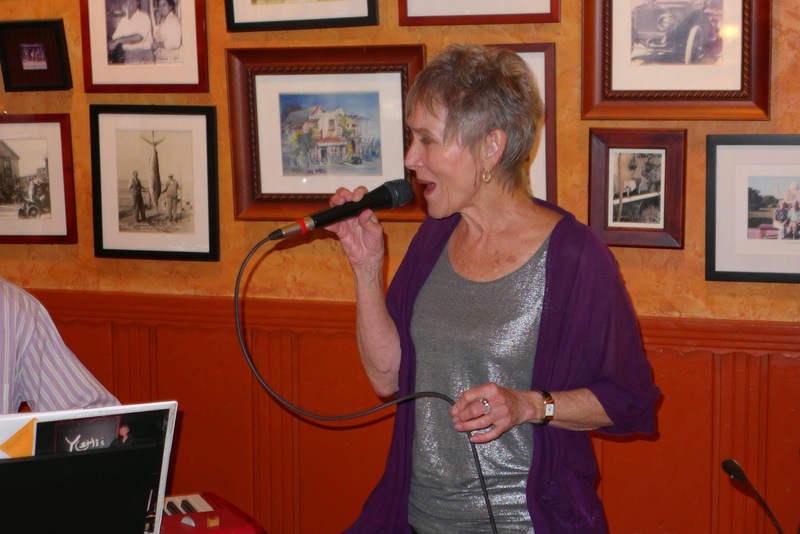 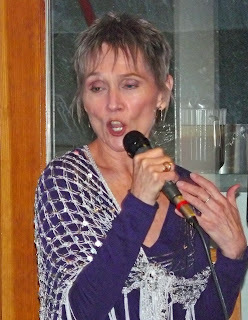 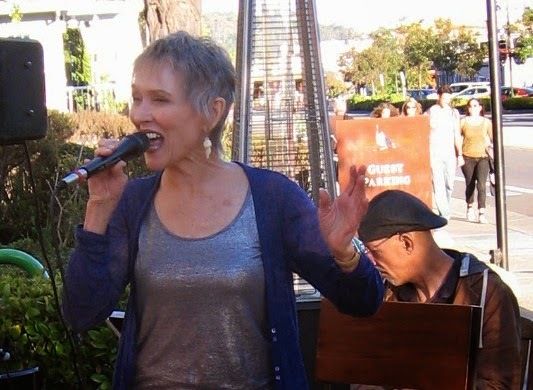 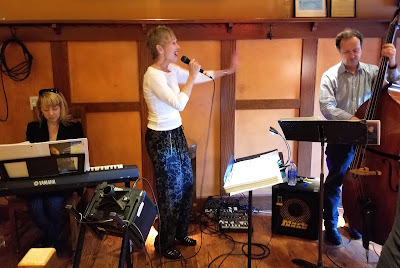 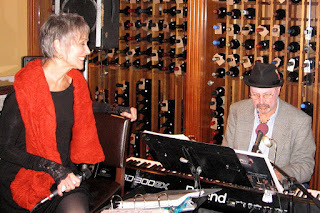 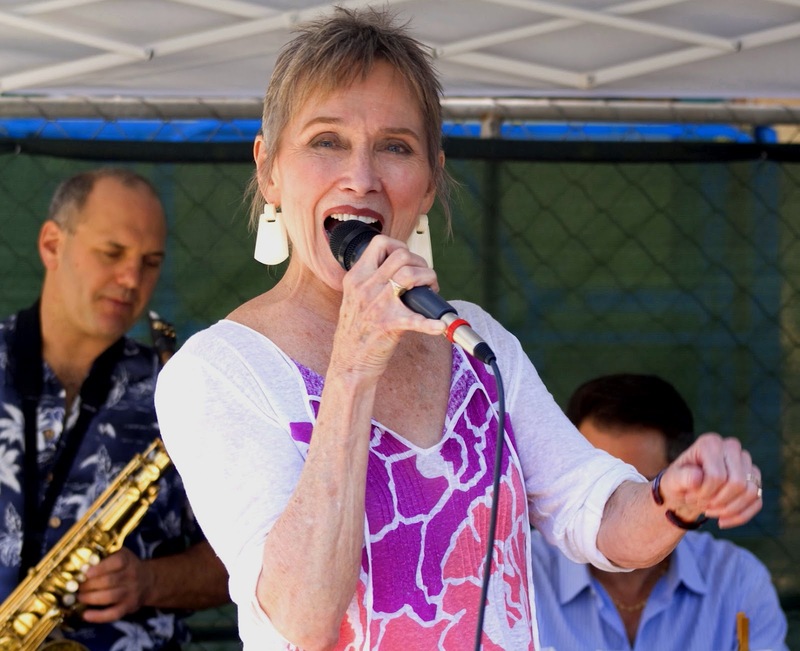 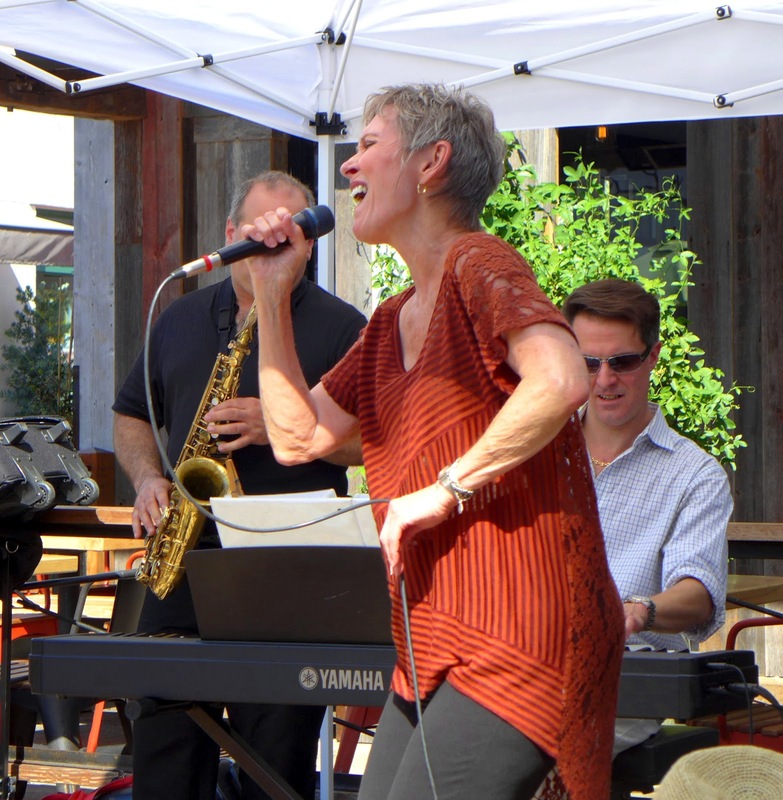 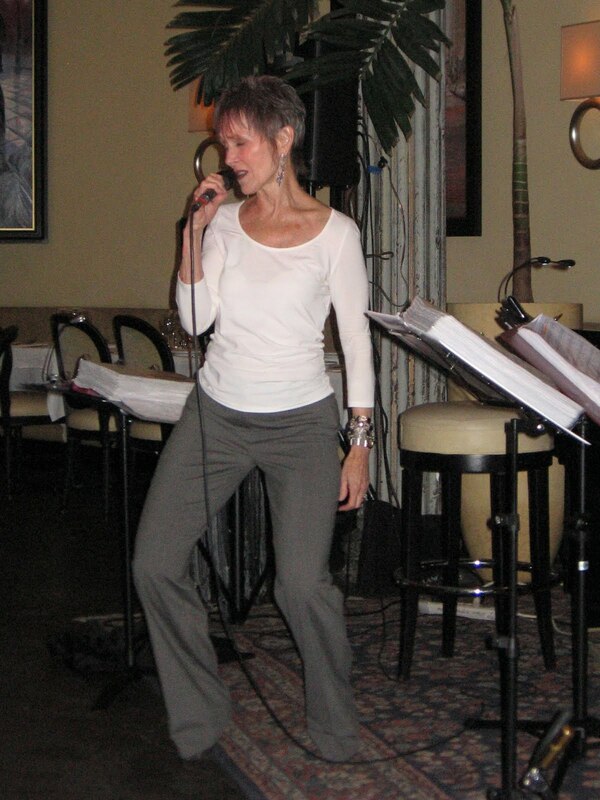 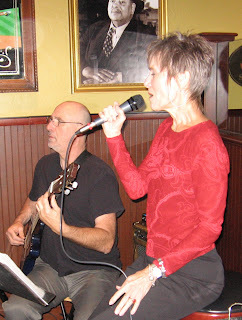 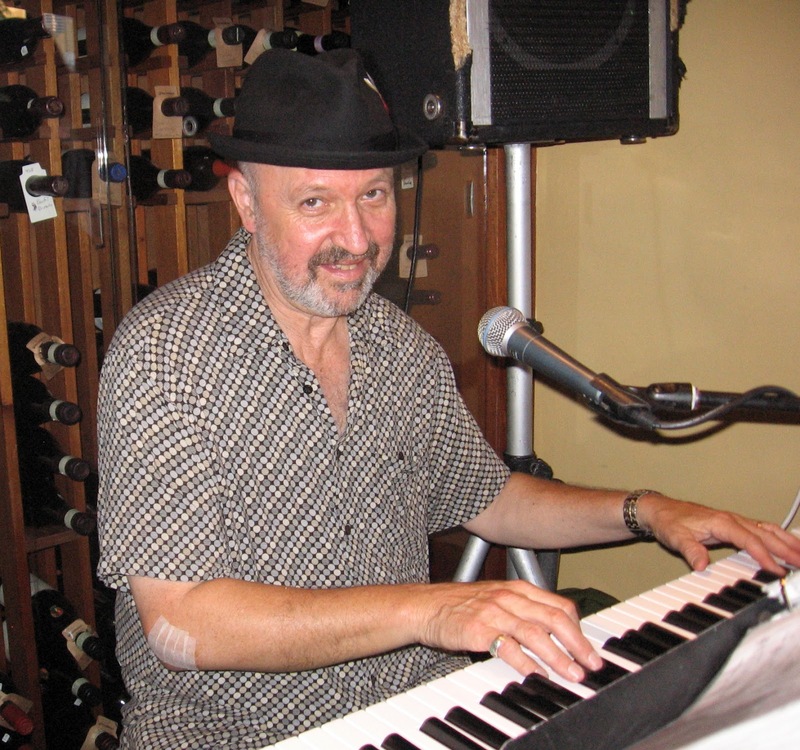 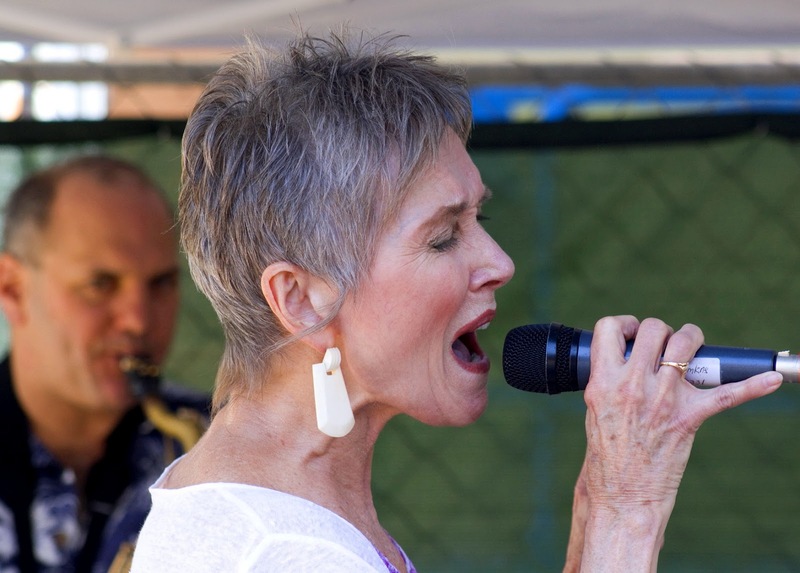 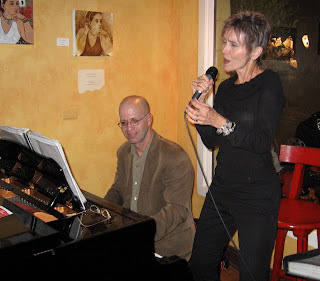 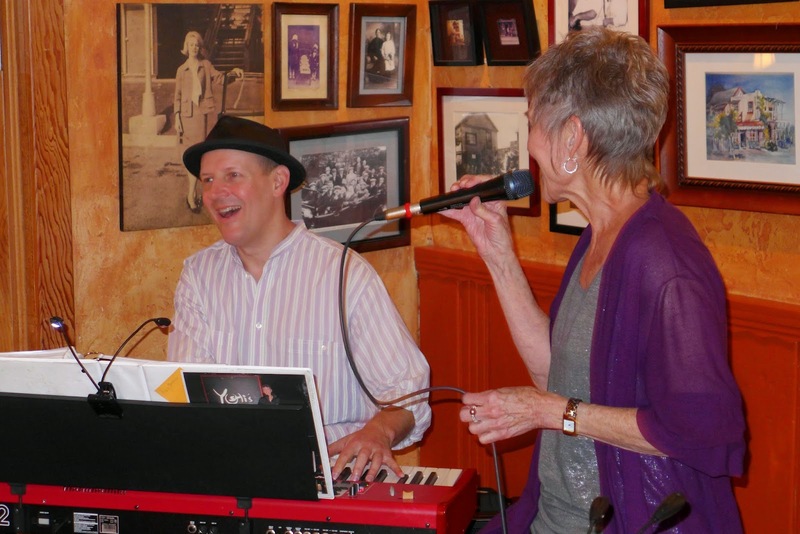 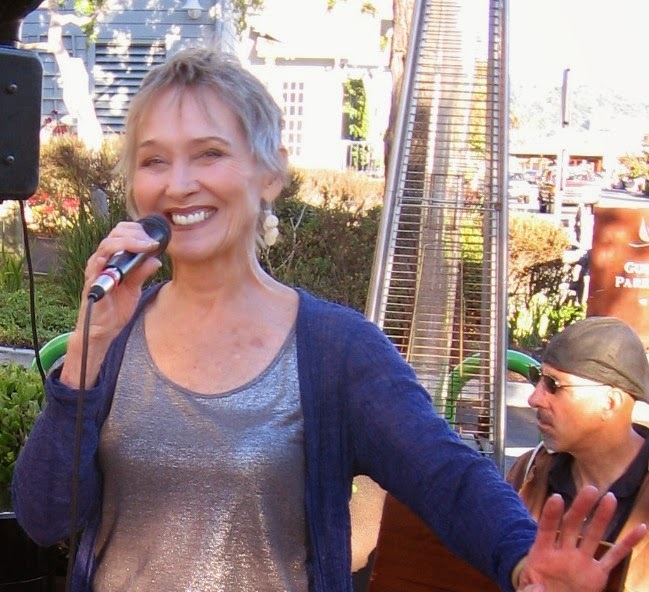 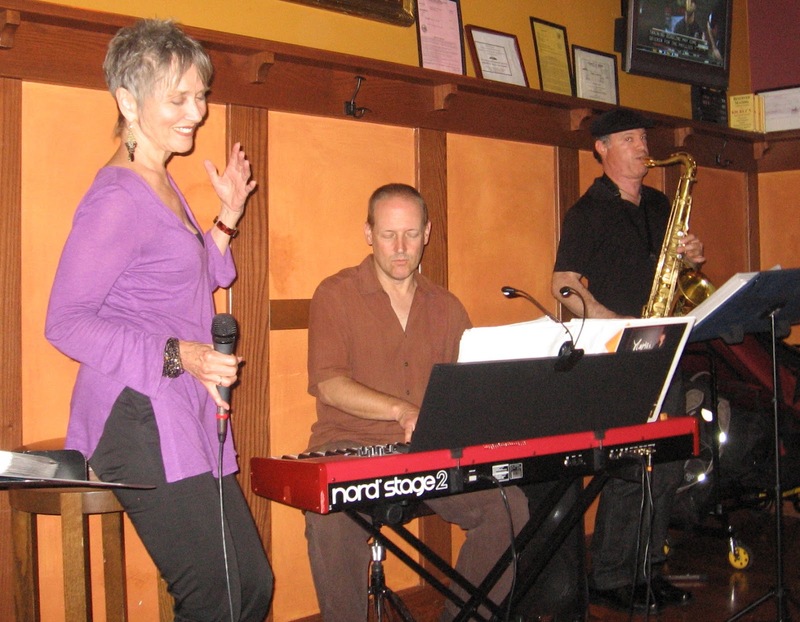 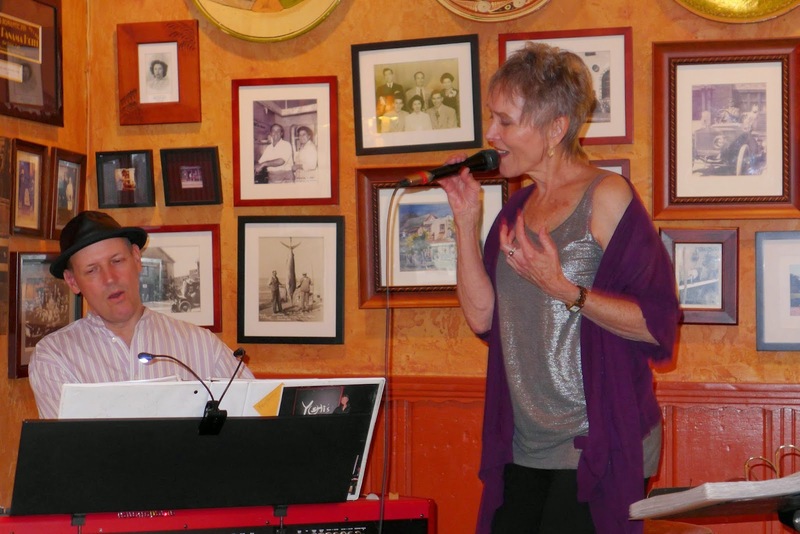 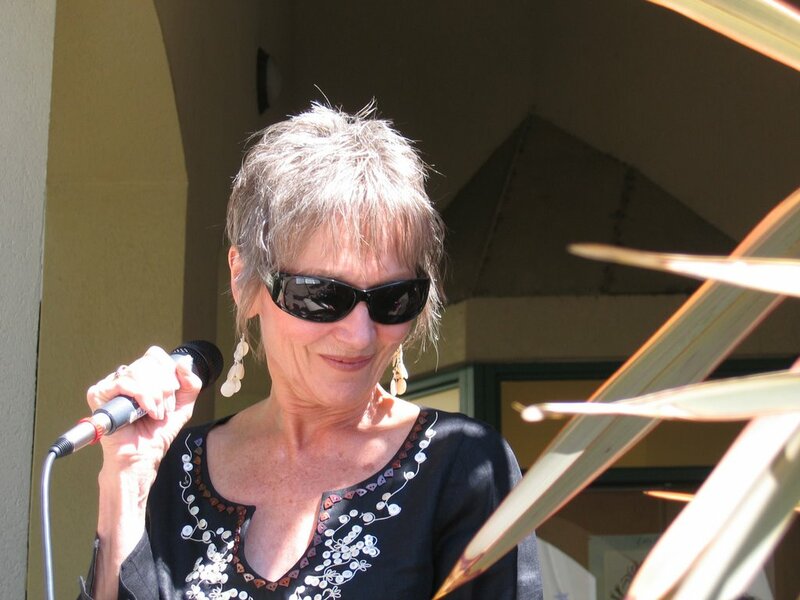 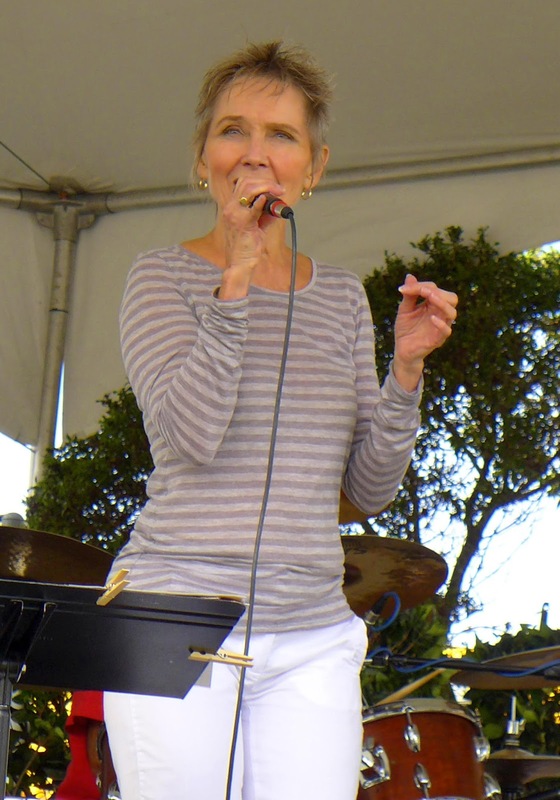 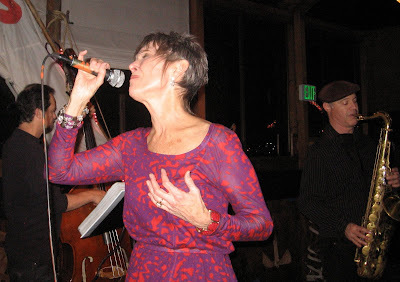 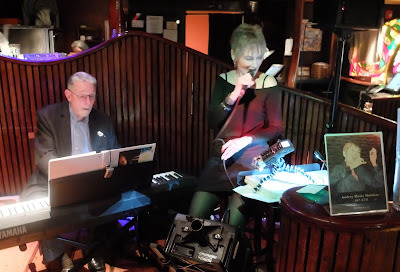 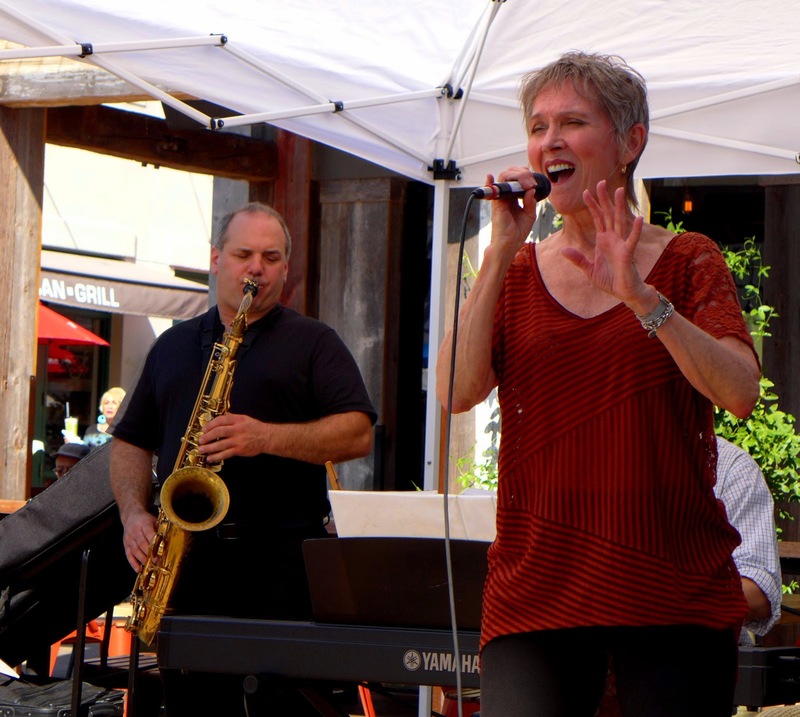 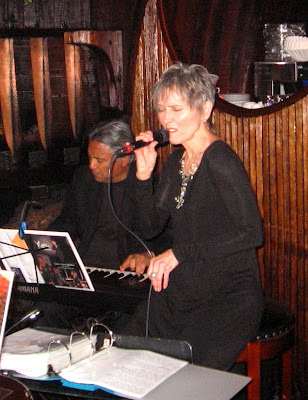 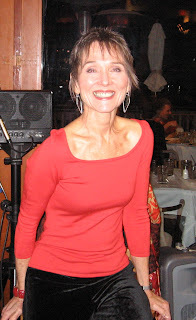 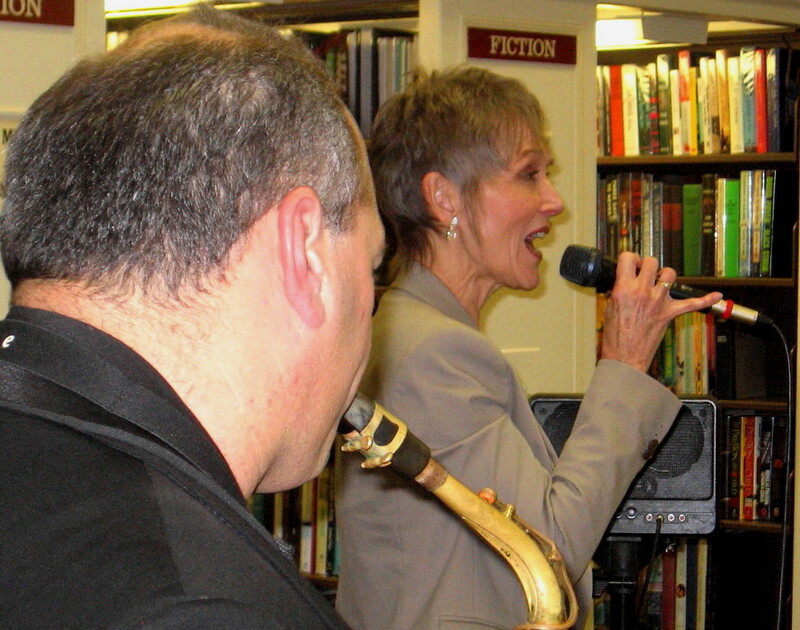 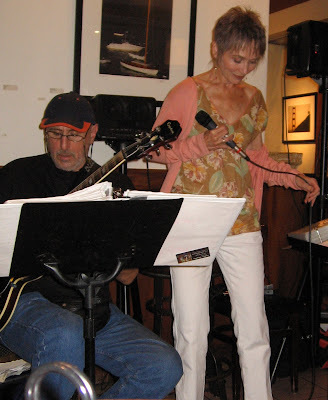 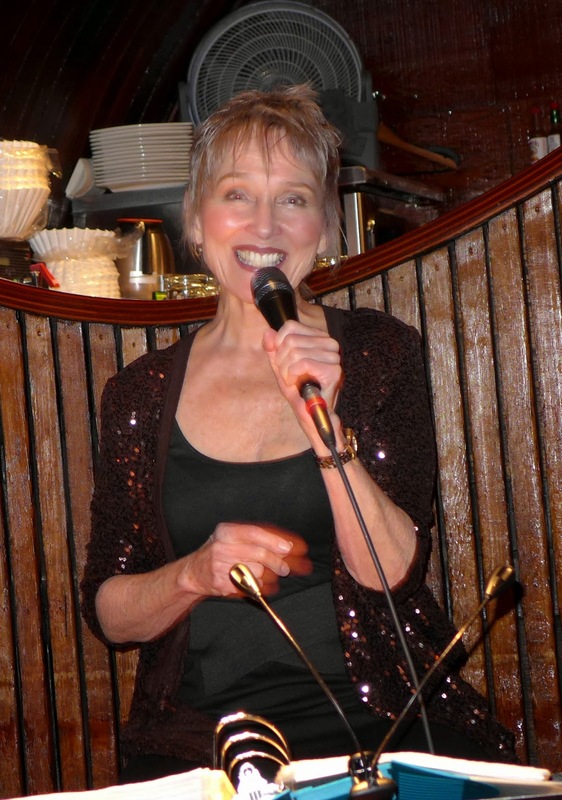 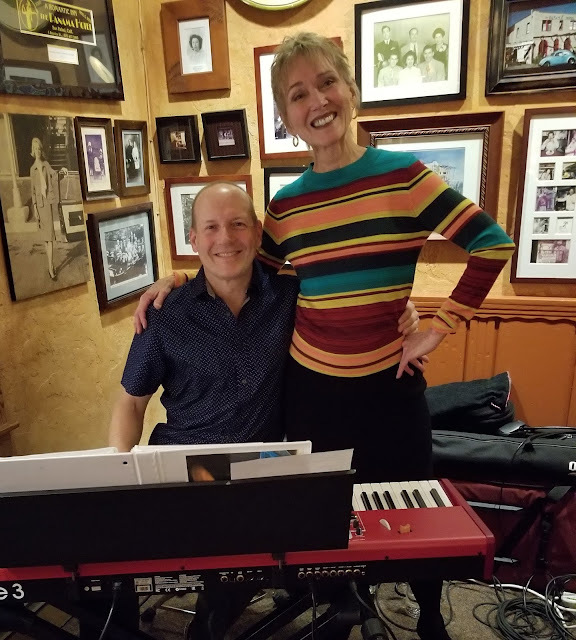 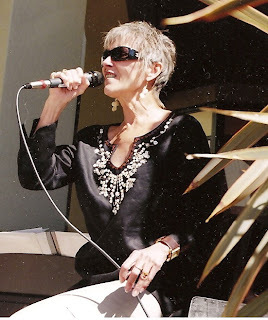 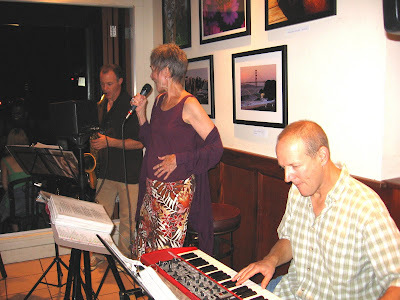 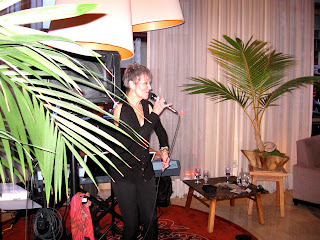 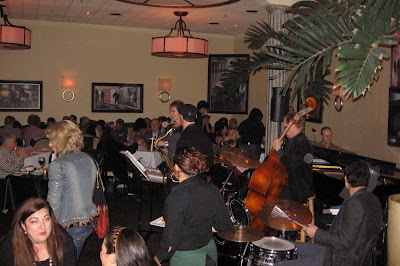 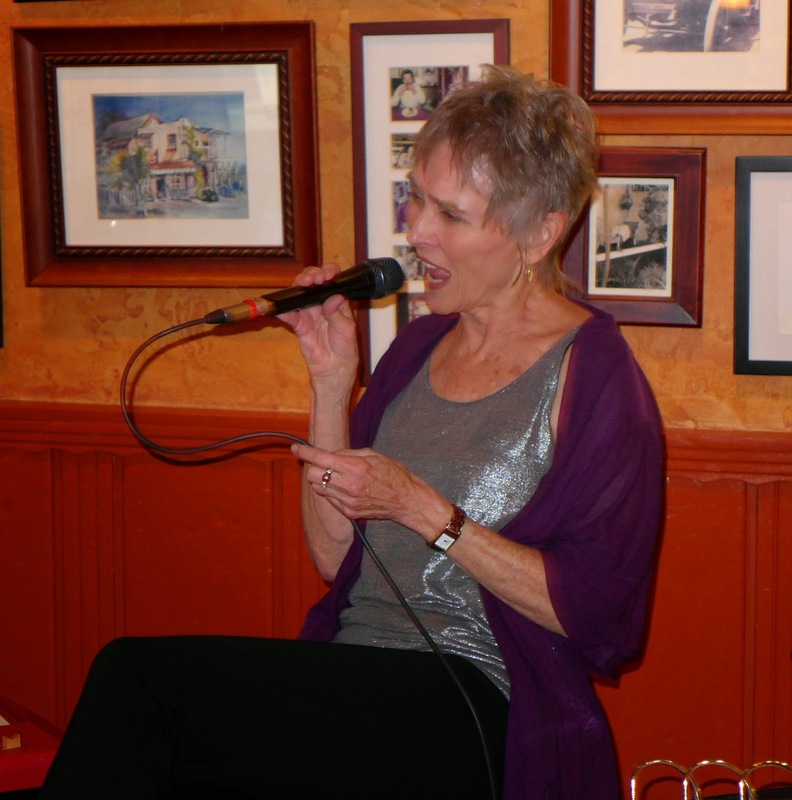 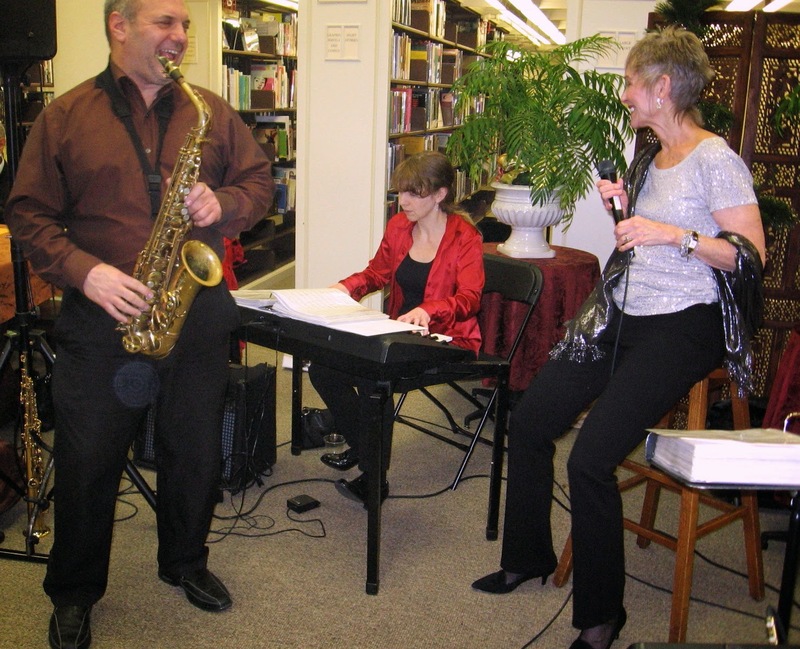 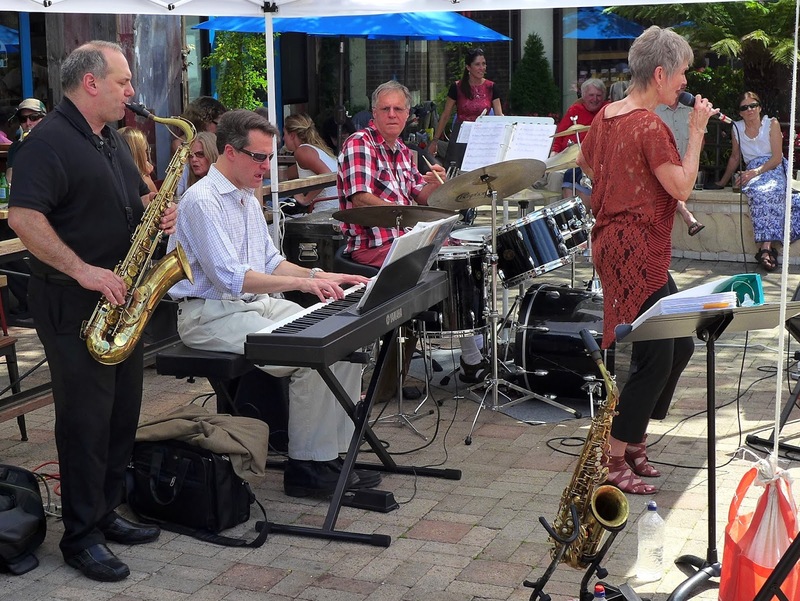 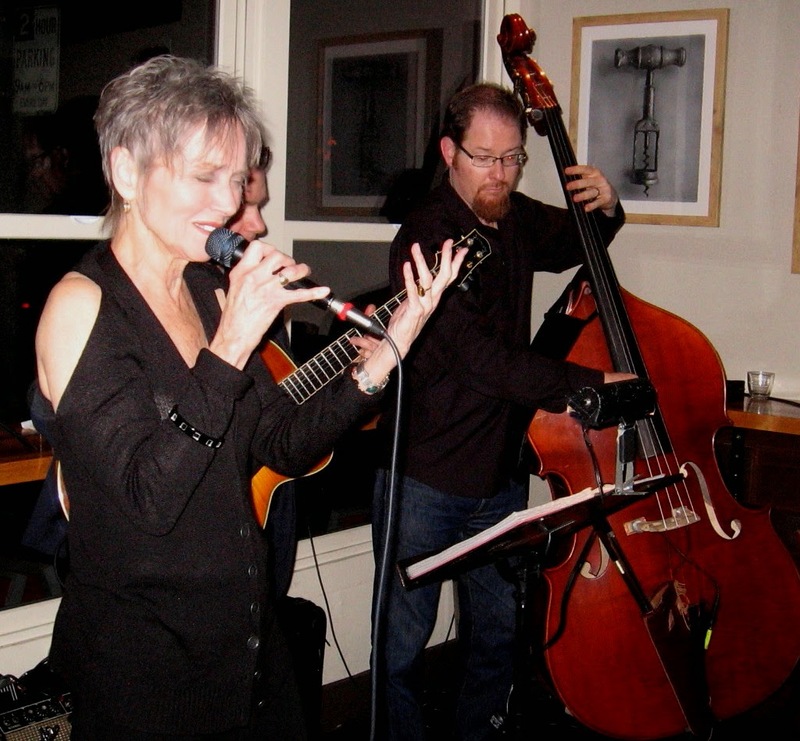 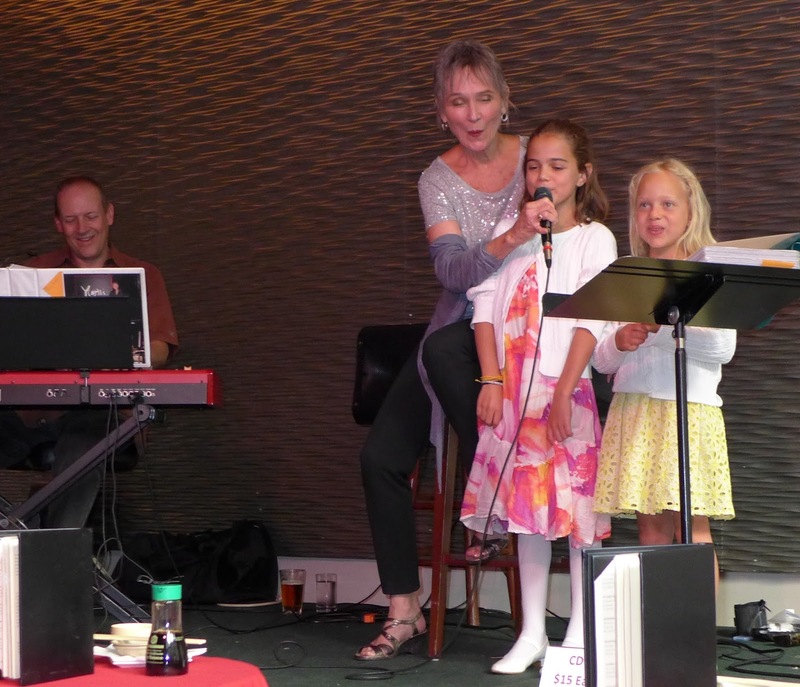 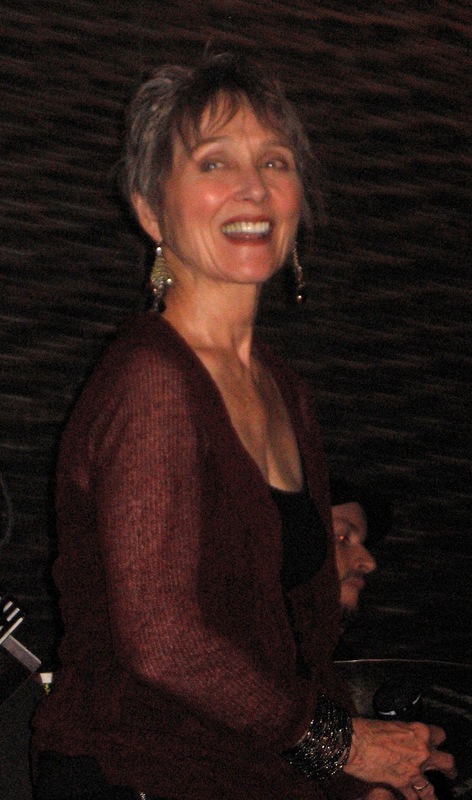 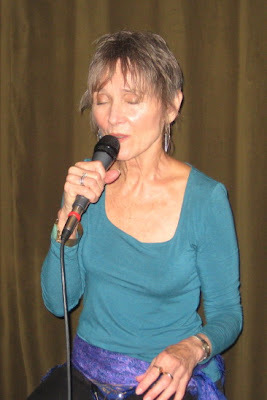 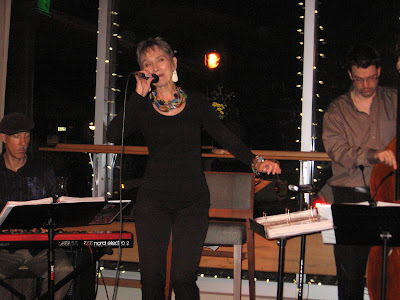 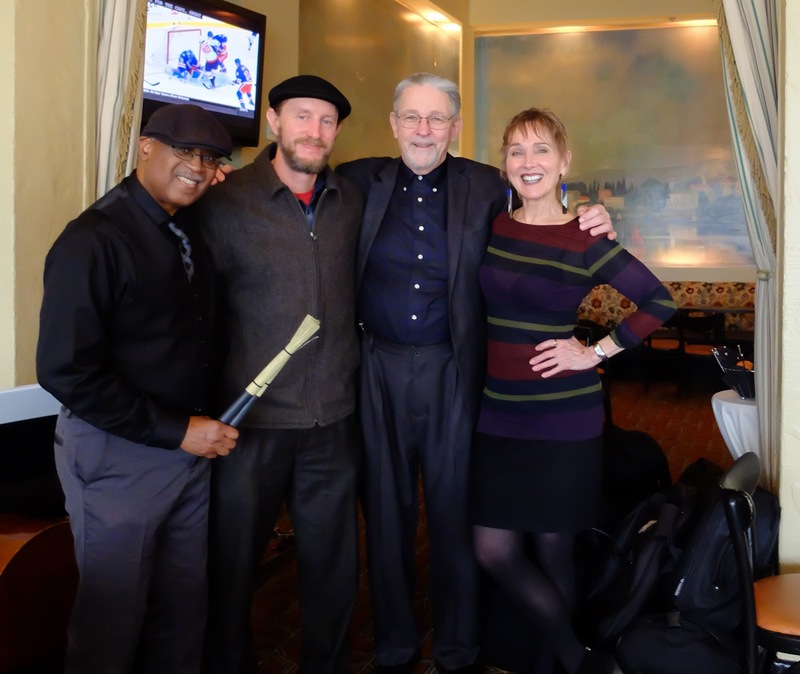 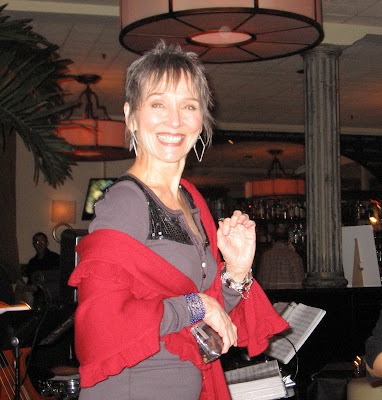 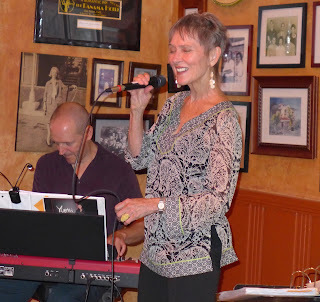 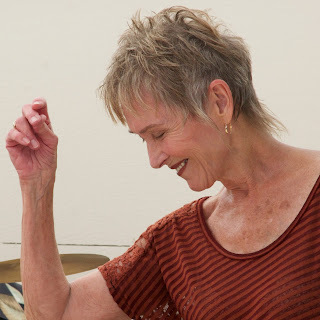 What music!The Plaza Bistro420 First St E., Sonoma Thanks to Janice King and all the wonderful people at Sonoma Valley Jazz Society for giving us such a gracious welcome. 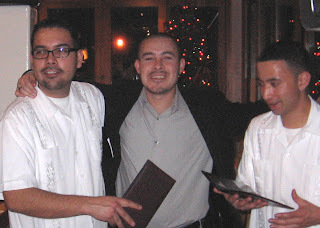 Myself, Jason, Joe & behind me where you can't see him, Bob. My birthday, come and say hello! 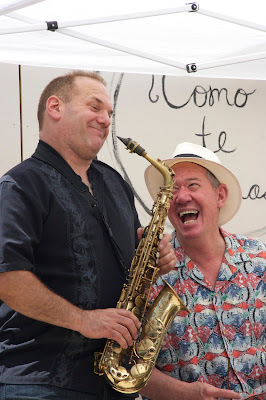 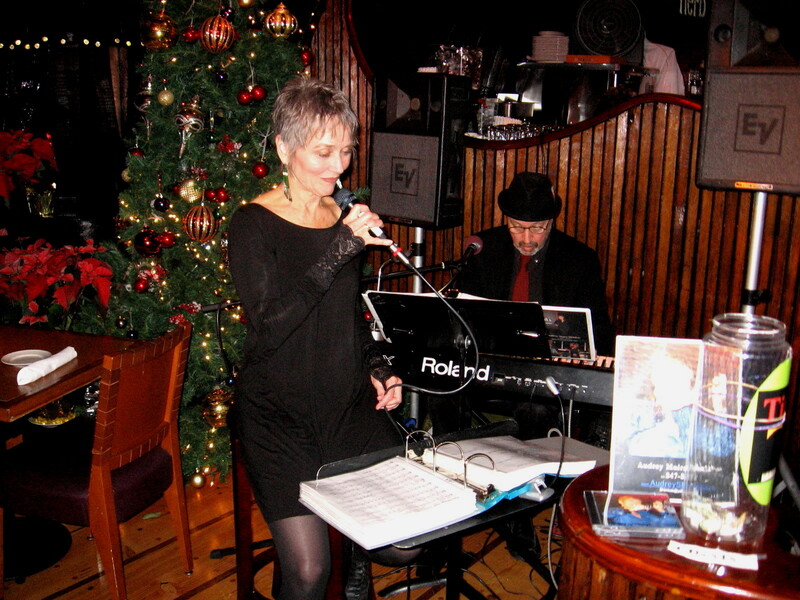 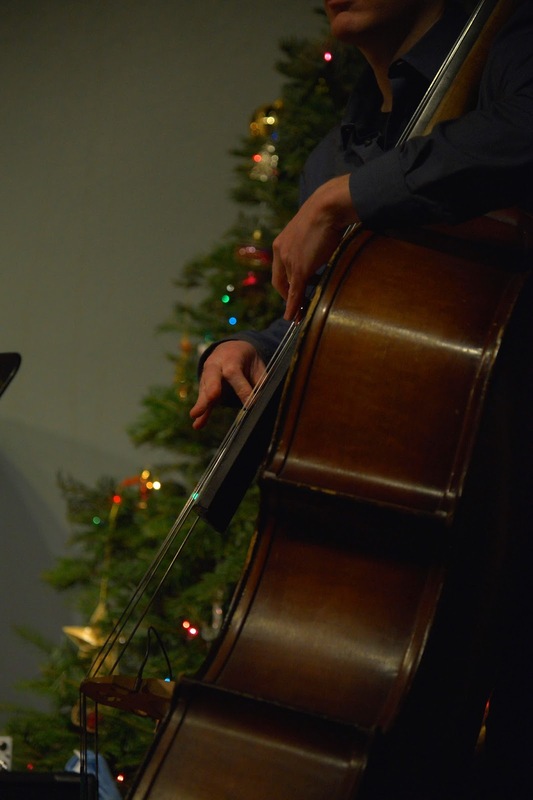 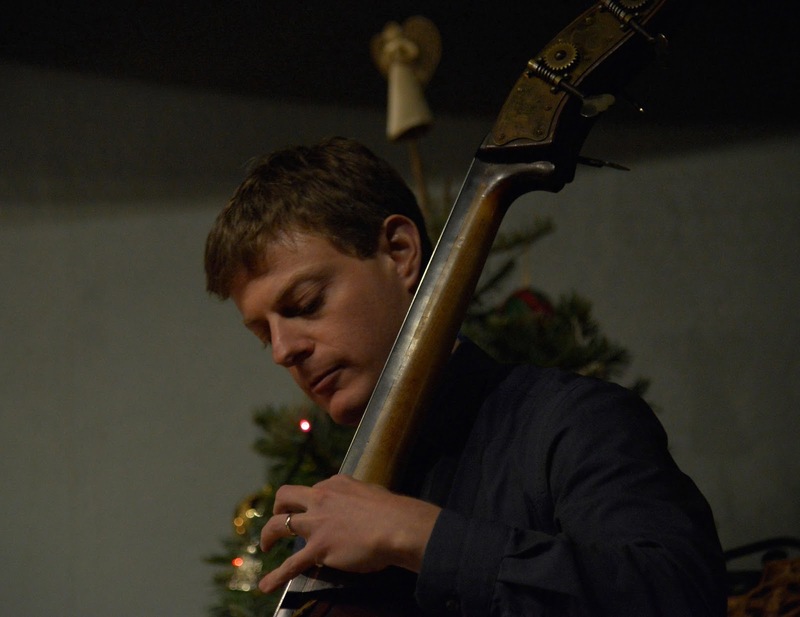 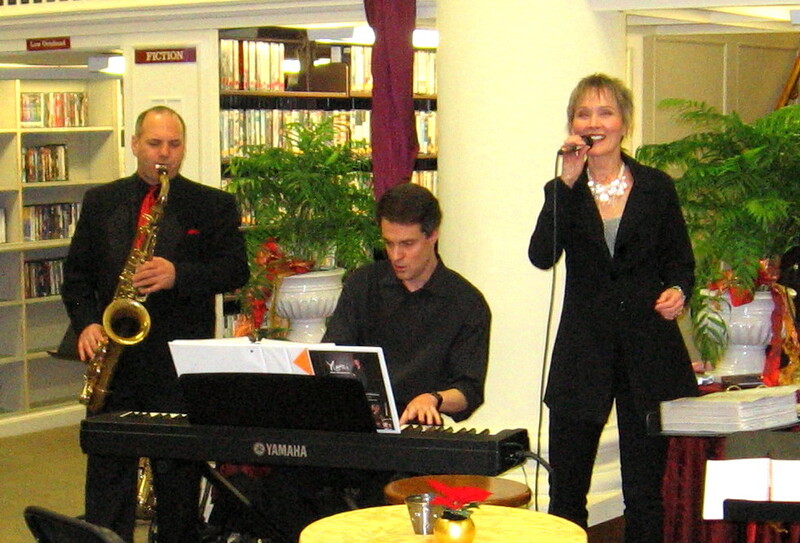 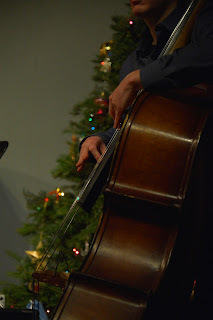 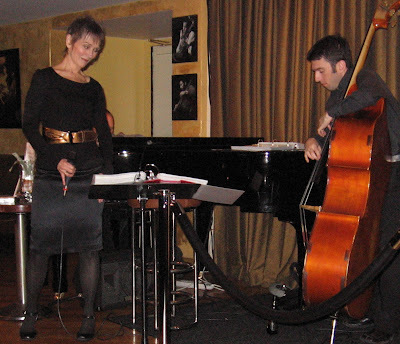 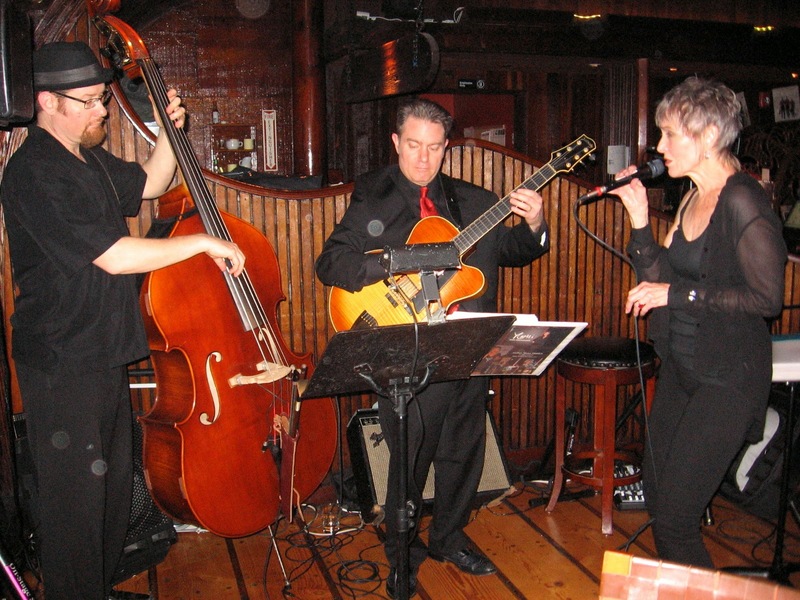 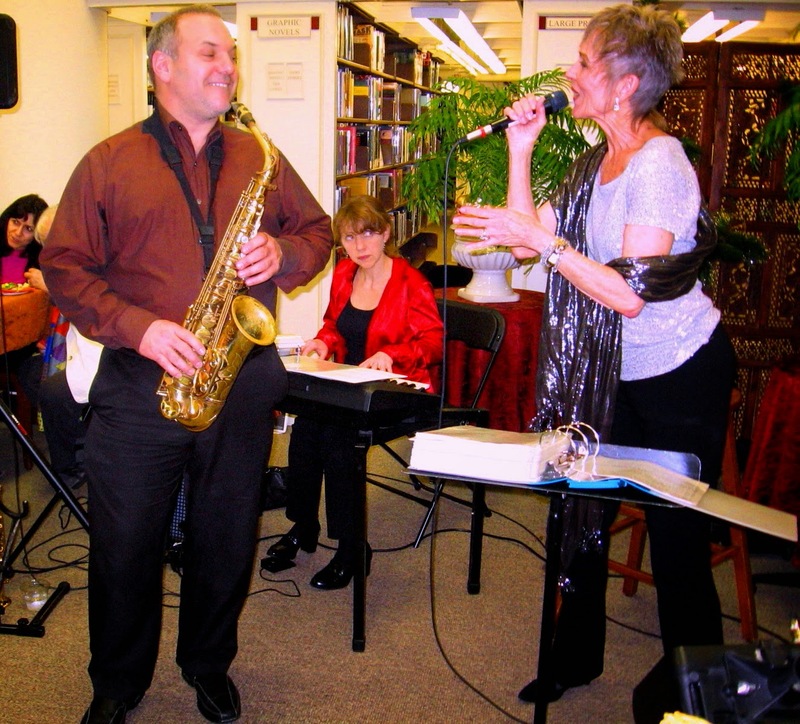 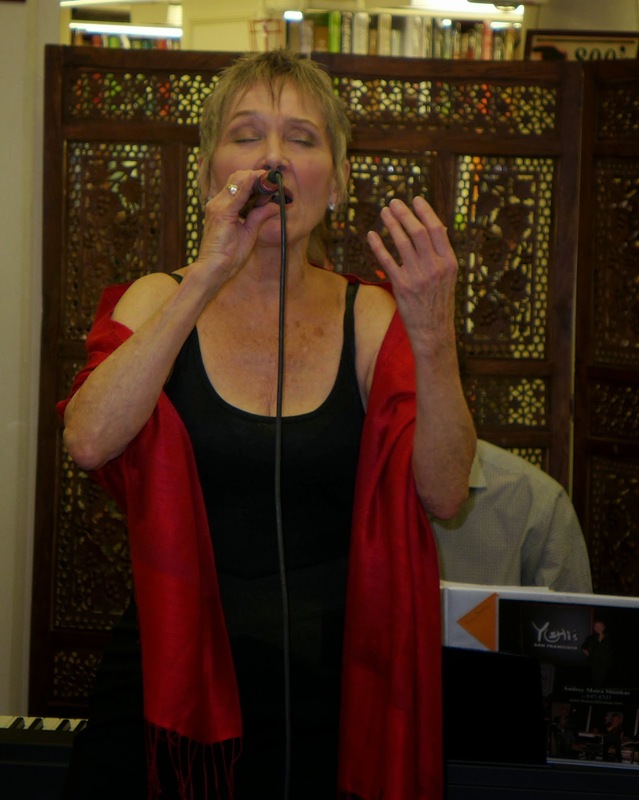 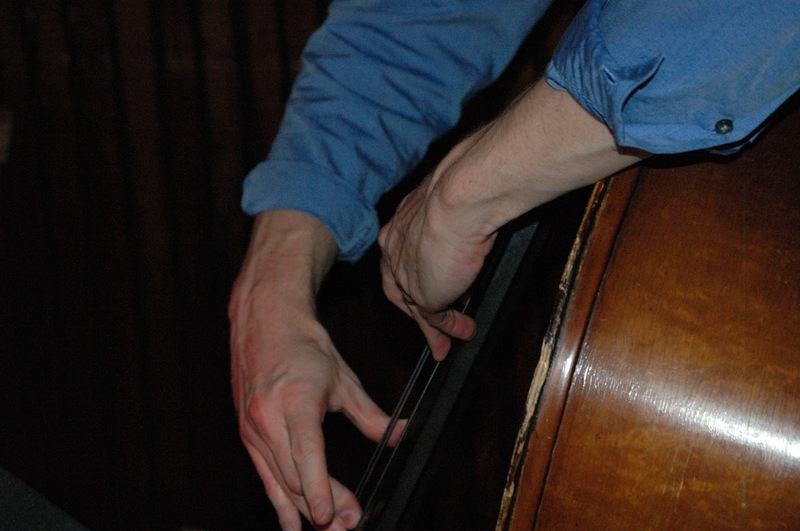 Performing with a jazz trio from Argentina, December 4th. 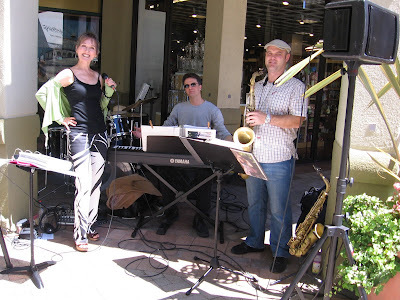 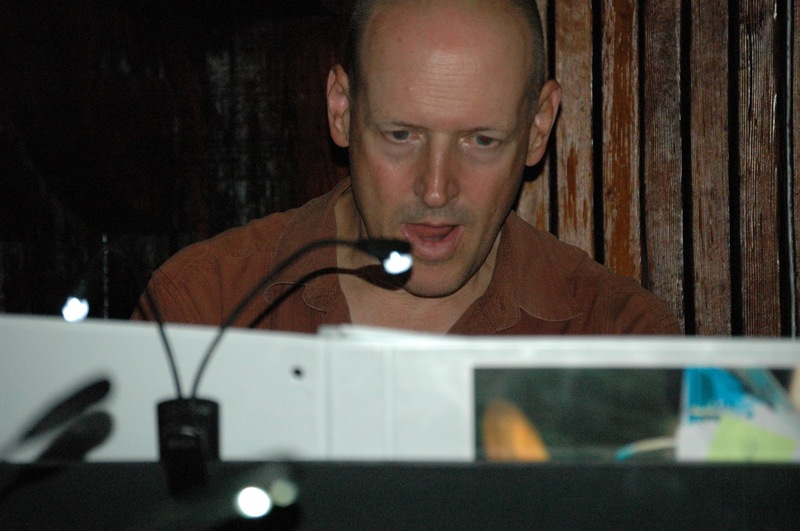 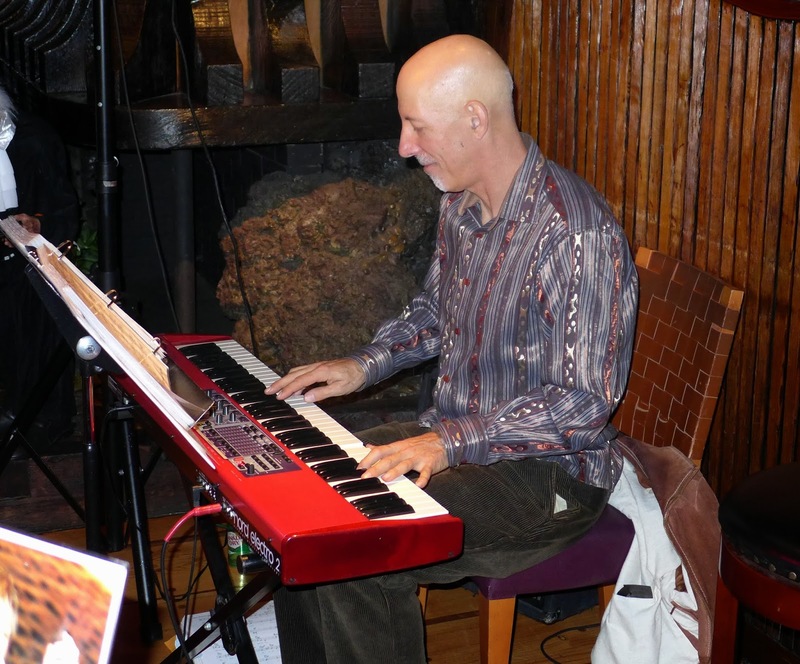 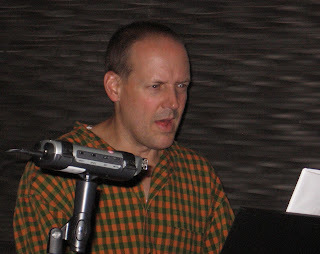 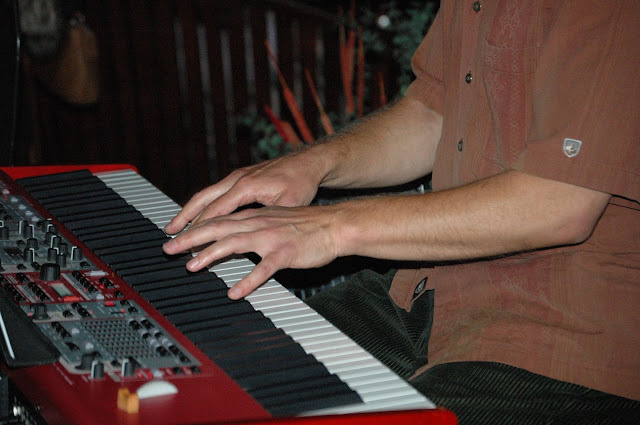 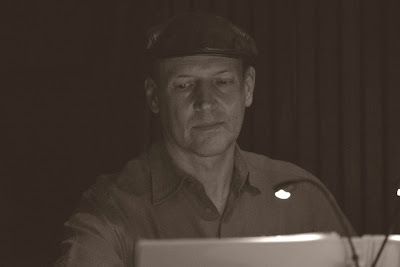 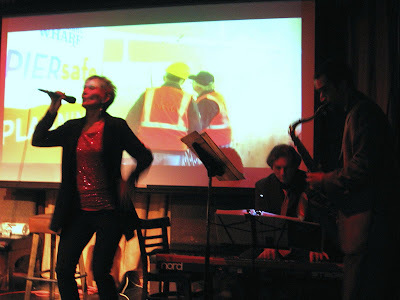 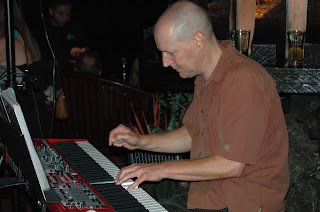 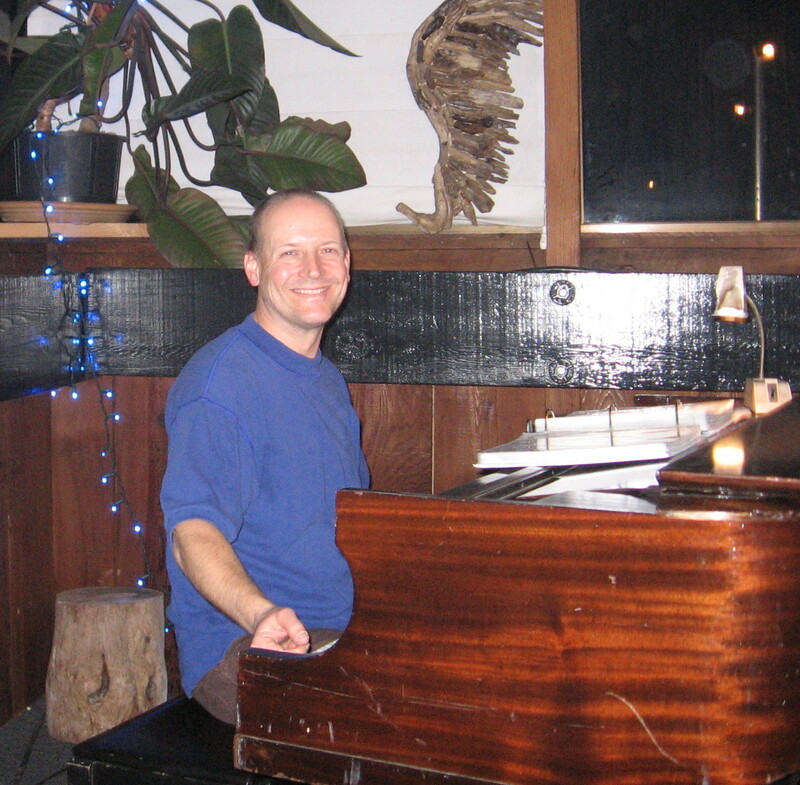 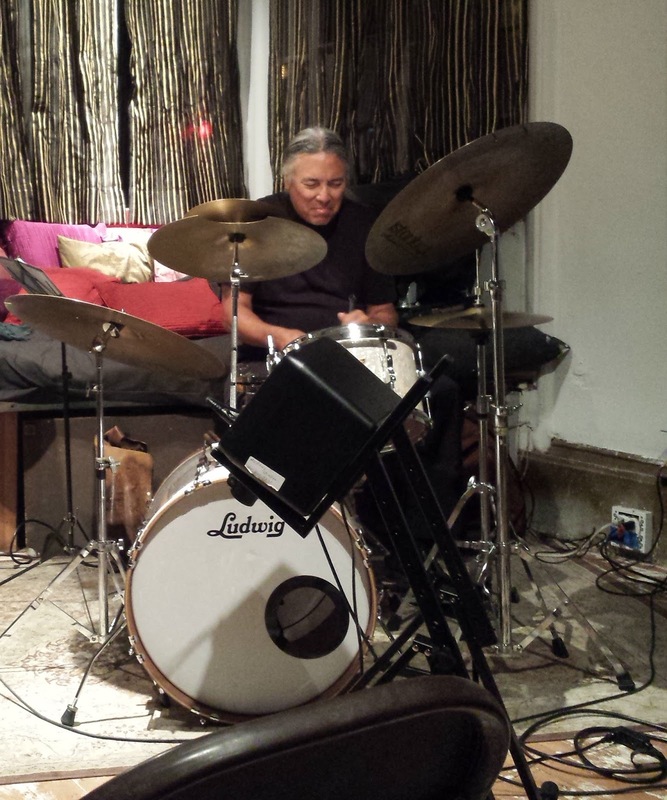 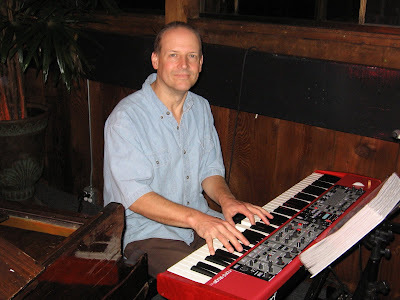 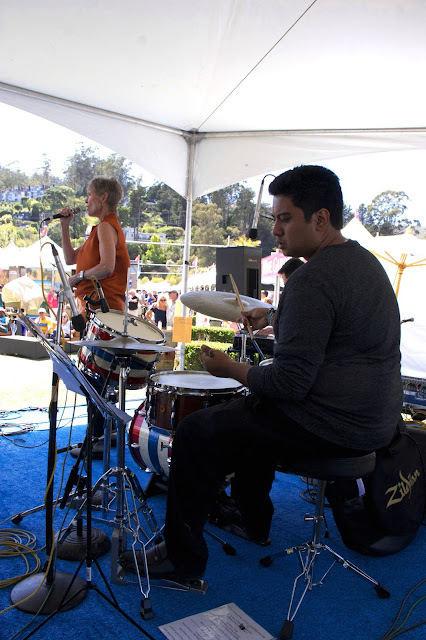 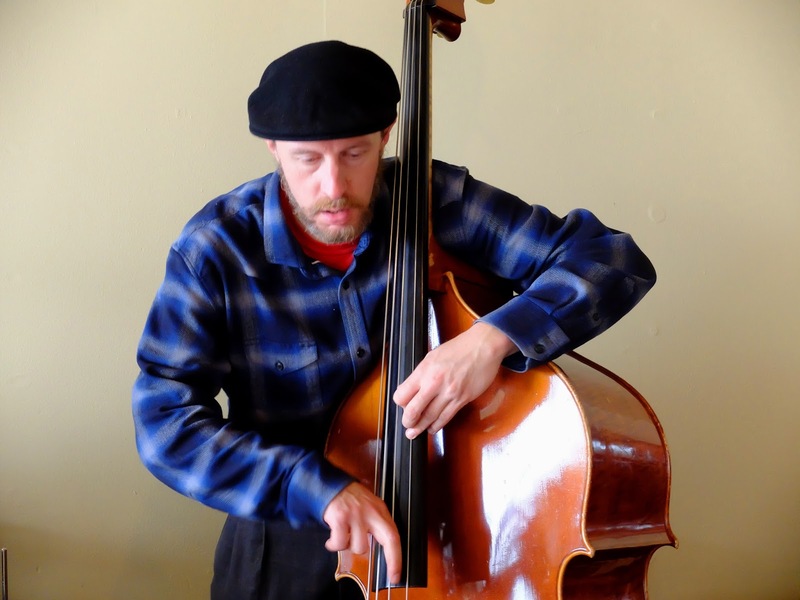 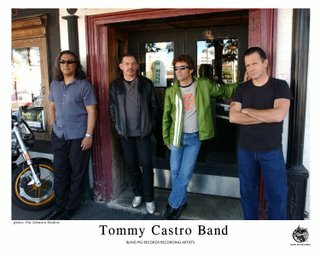 "Eclectic, World Music with a Latin/Jazz/Funk Influence"
To be recorded live for my next CD. 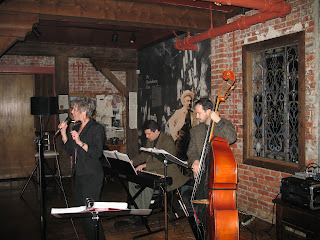 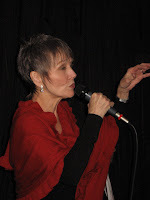 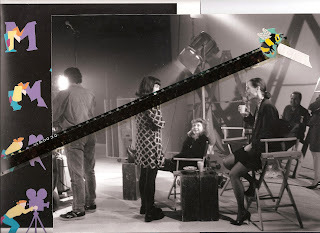 Photo by John Navas Thursday, March 6th: 6 to 9pmHead's-up! 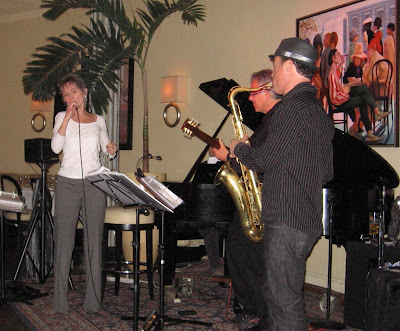 Robin Williams and Carlos Santana were in the audience. 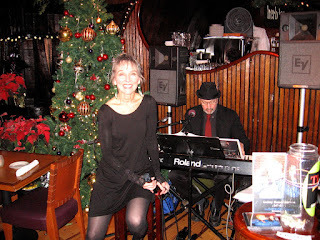 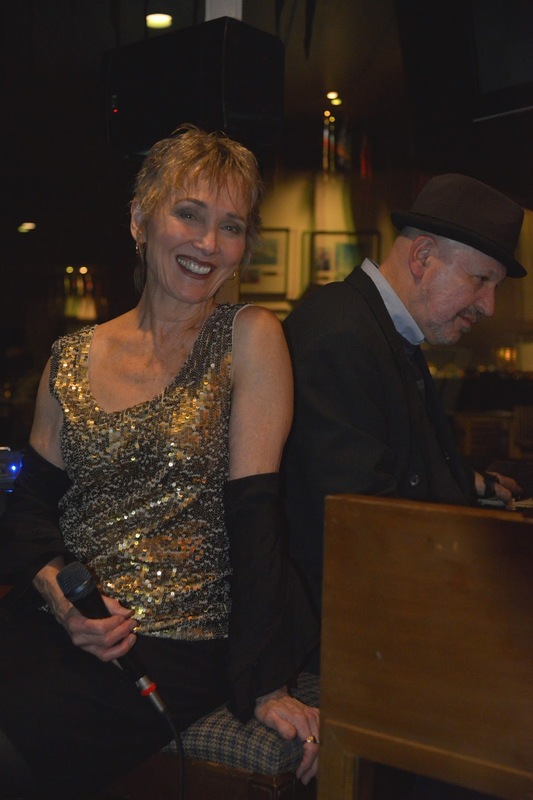 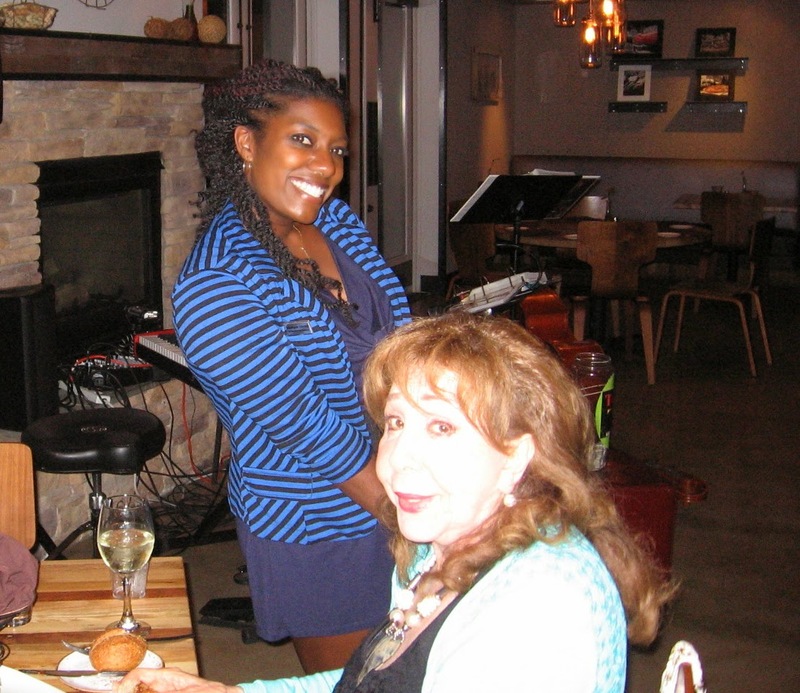 New Year's Eve at Il Davide Cucina was FABULOUS! 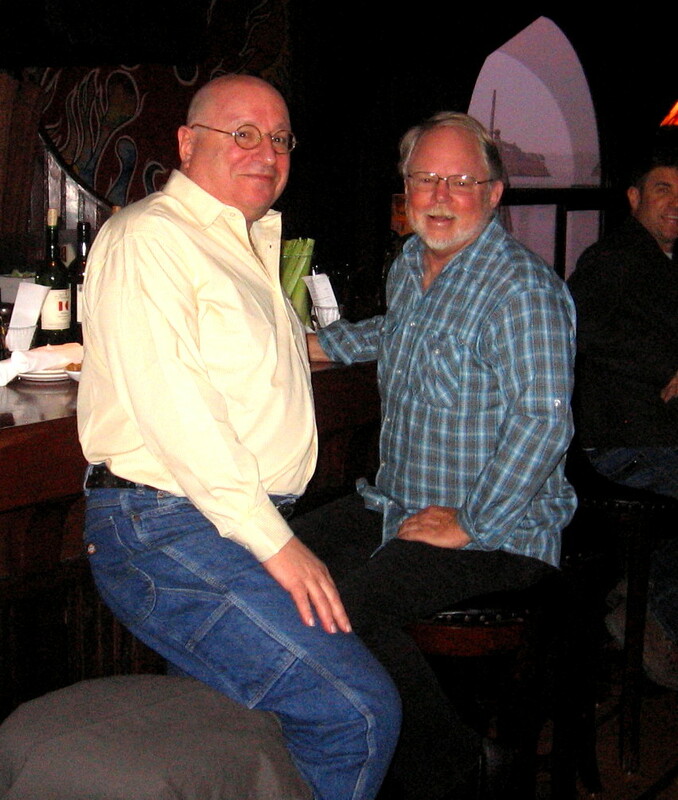 Bill and Gary, Izzy's fans, enjoyed the fun atmosphere and the jazz. 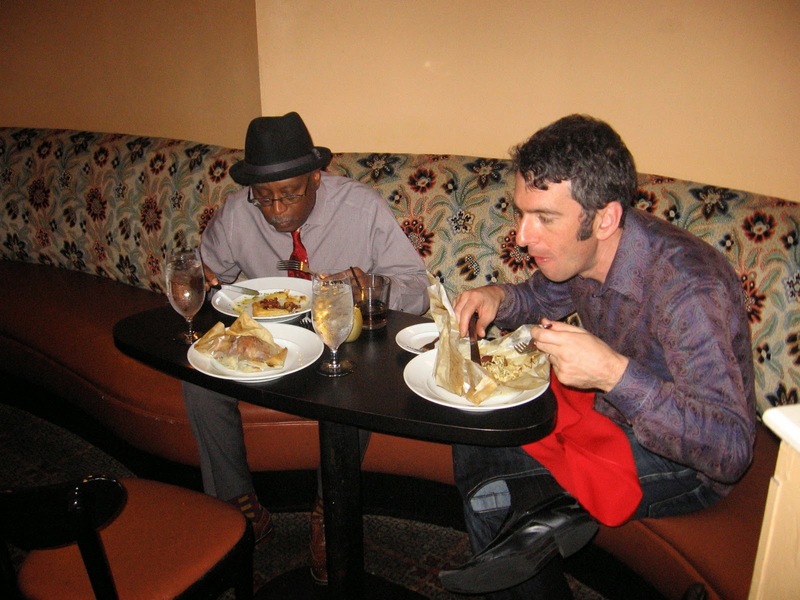 Don't forget to book for your private event in plenty of time. 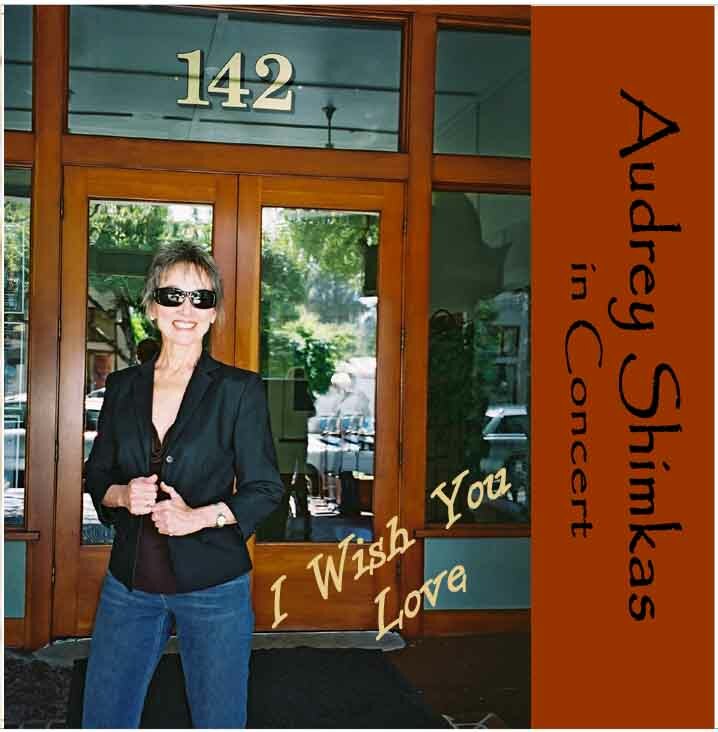 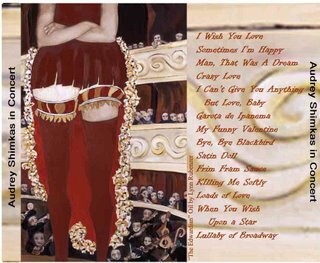 New CD: Available Her recently released 2nd CD, "I Wish You Love" showcases a performer who reaches for the stars...and takes your breath away.